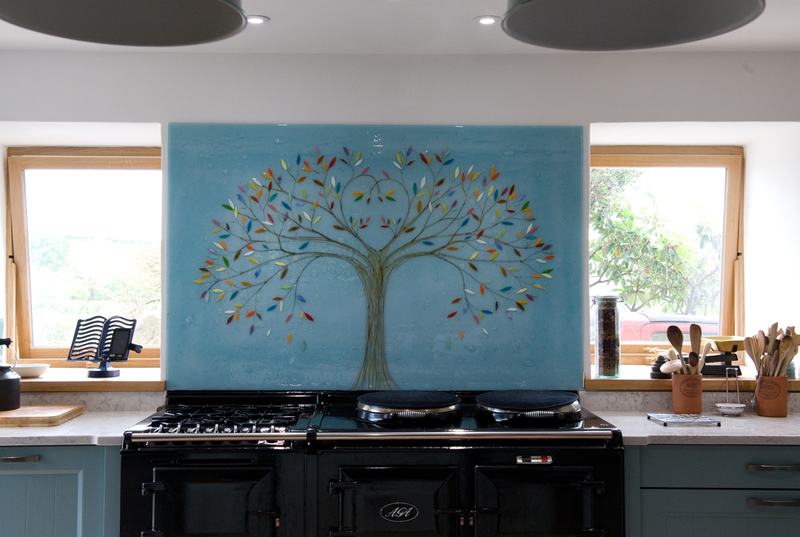 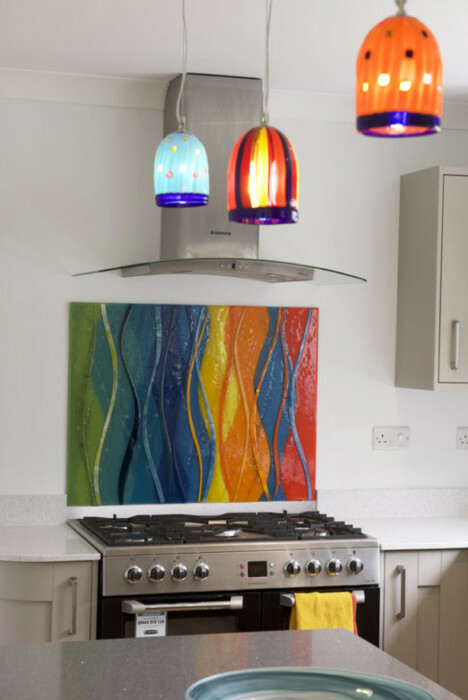 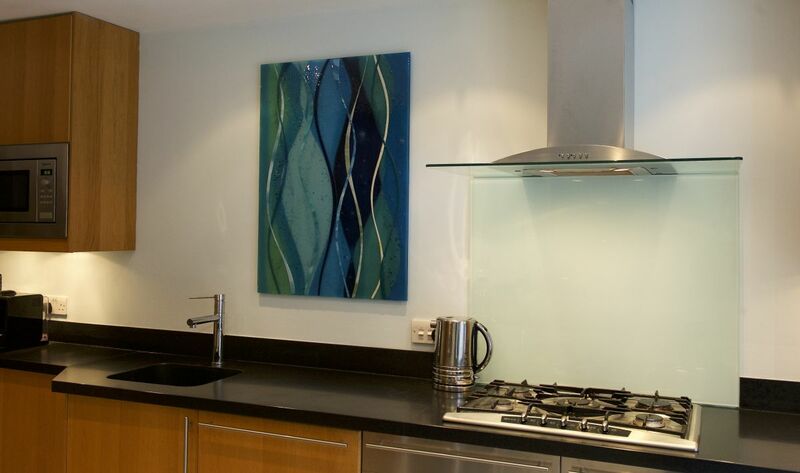 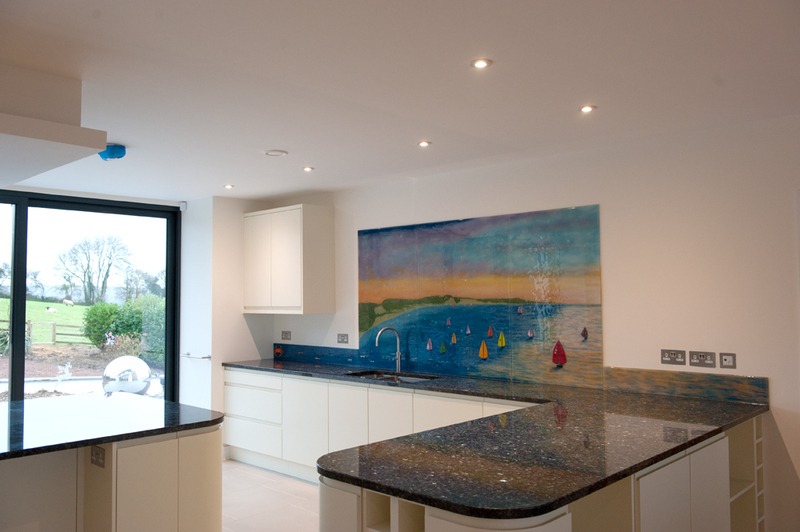 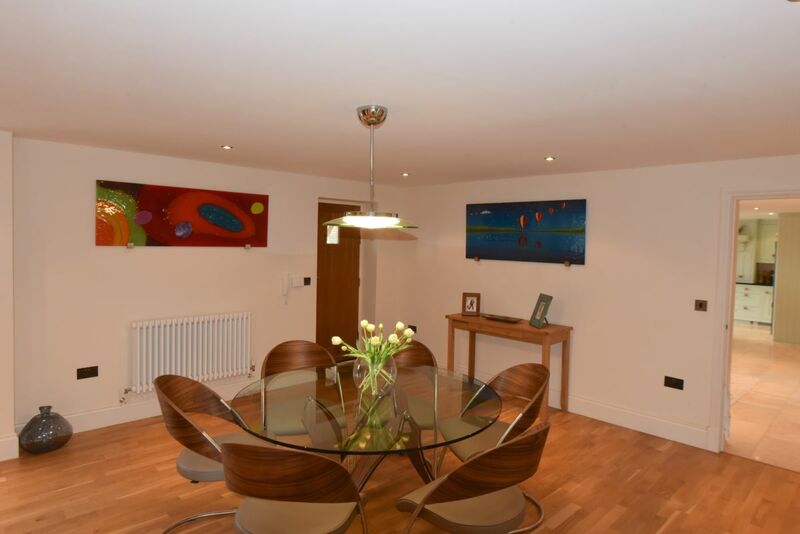 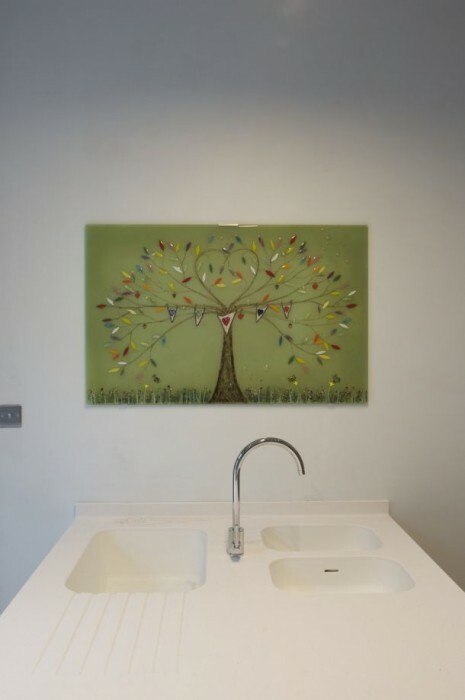 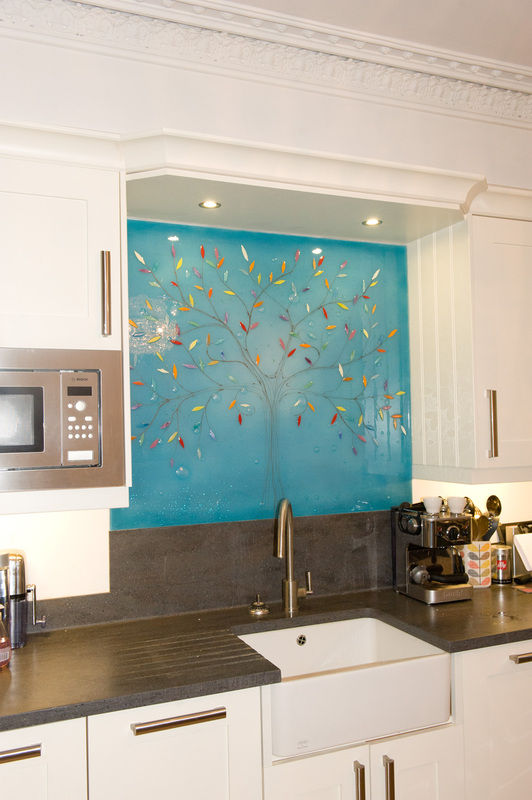 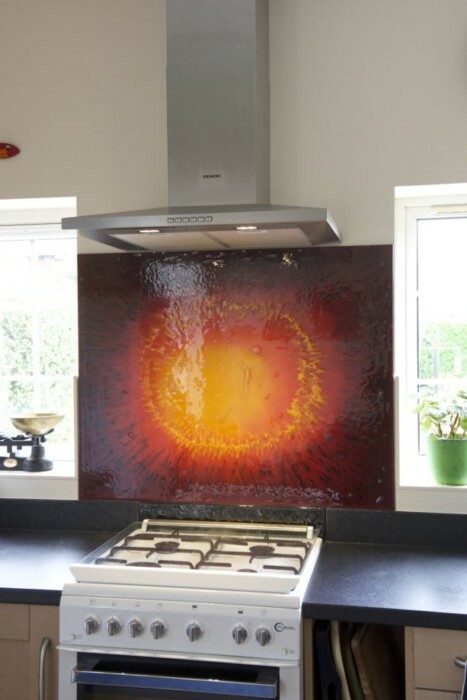 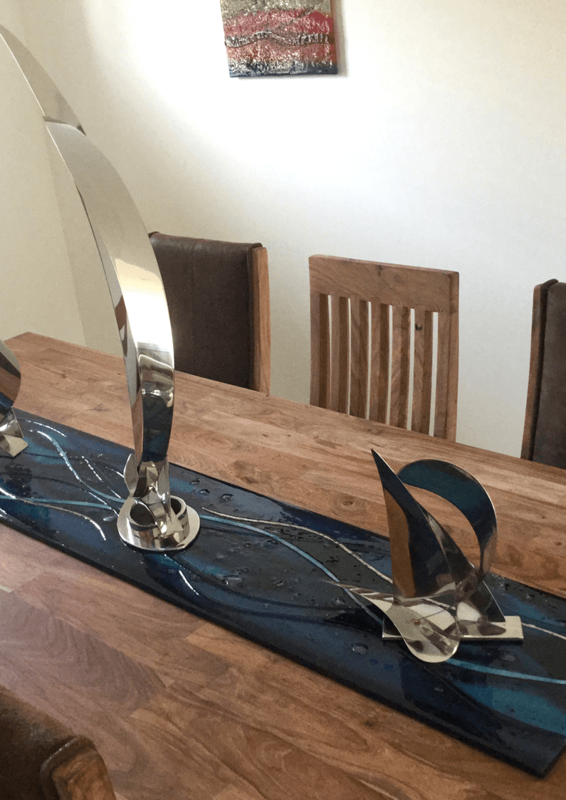 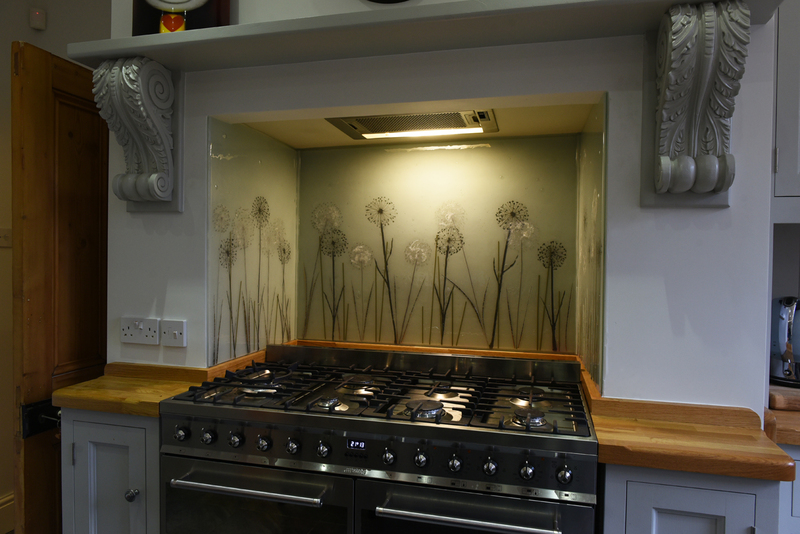 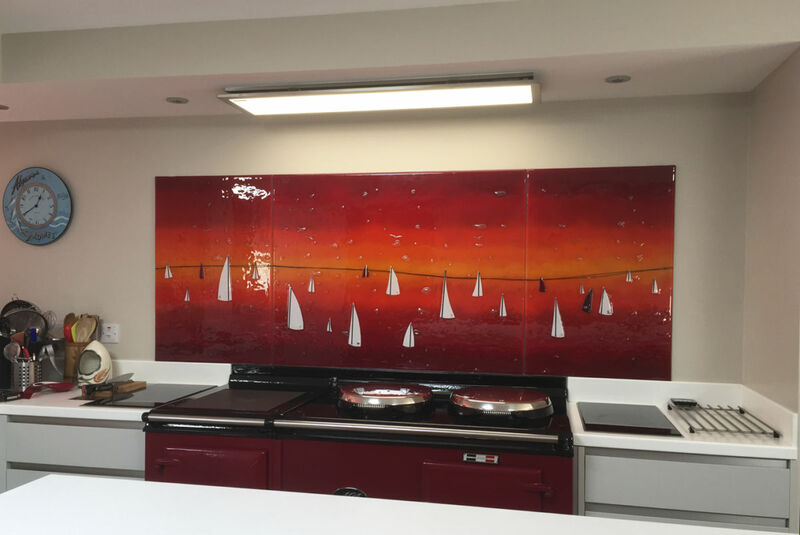 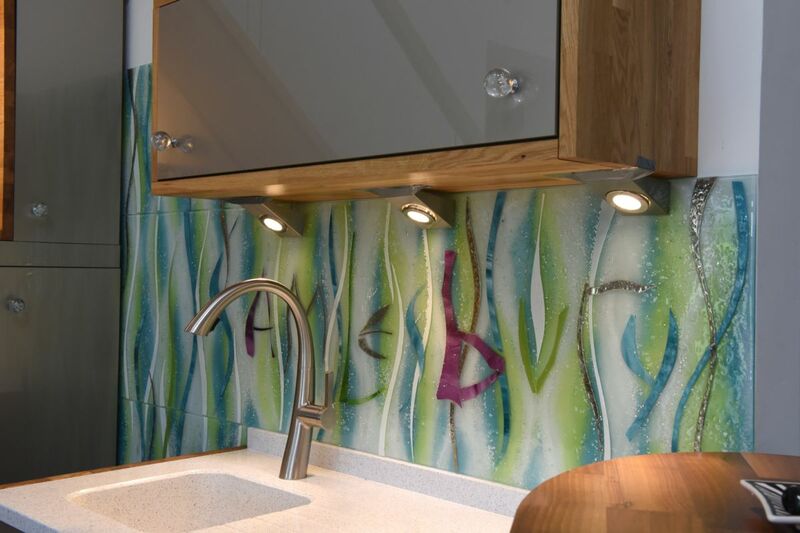 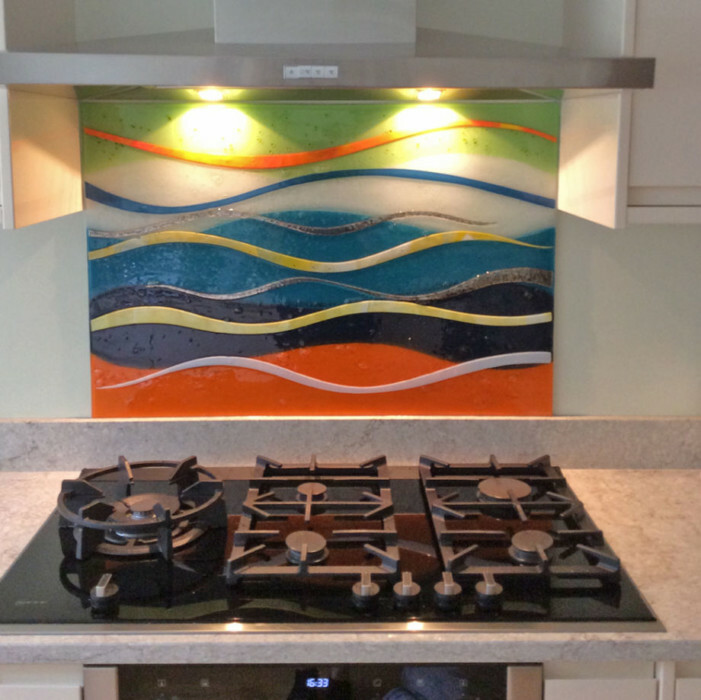 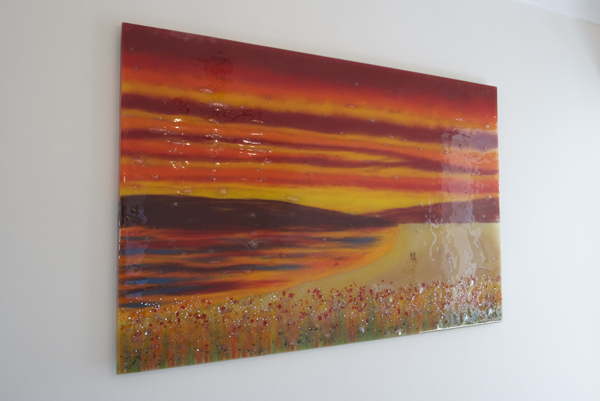 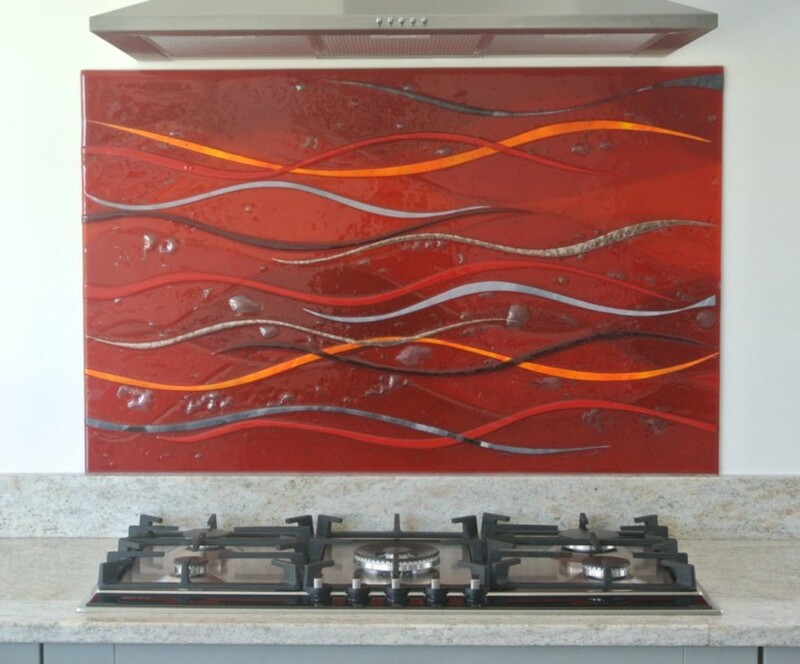 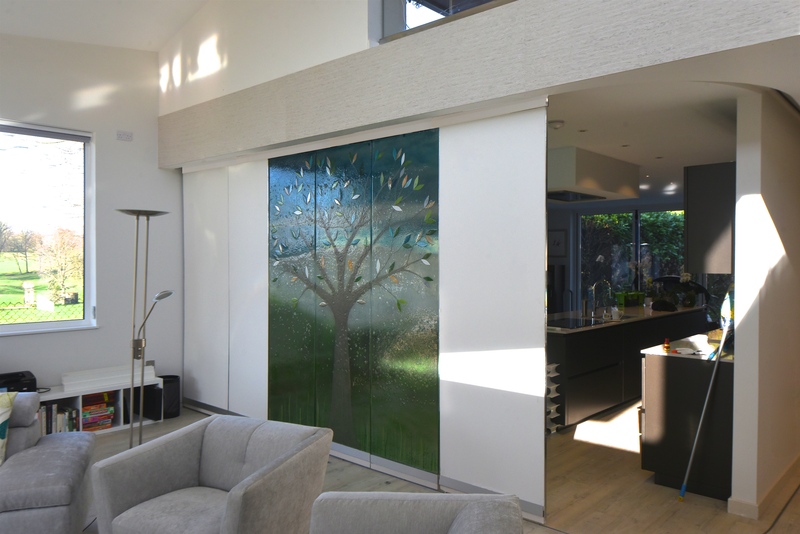 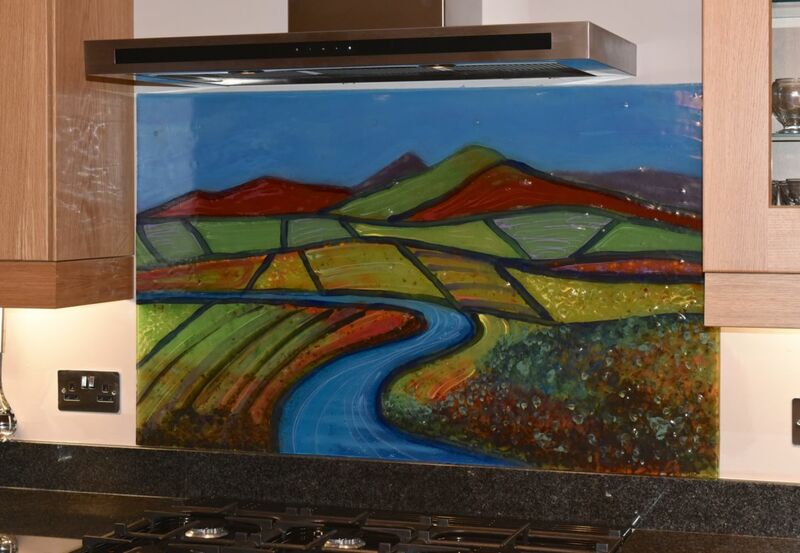 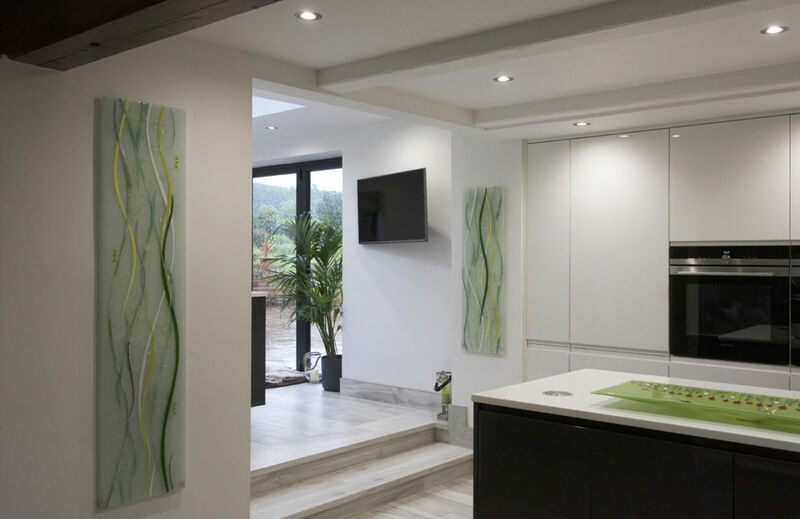 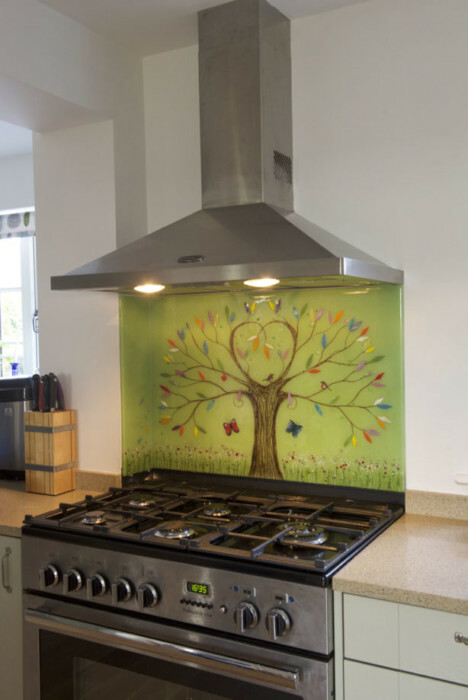 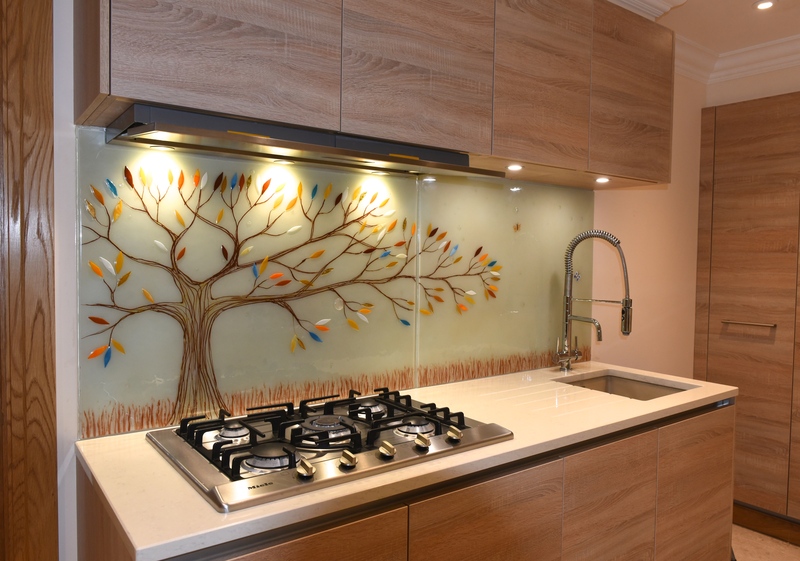 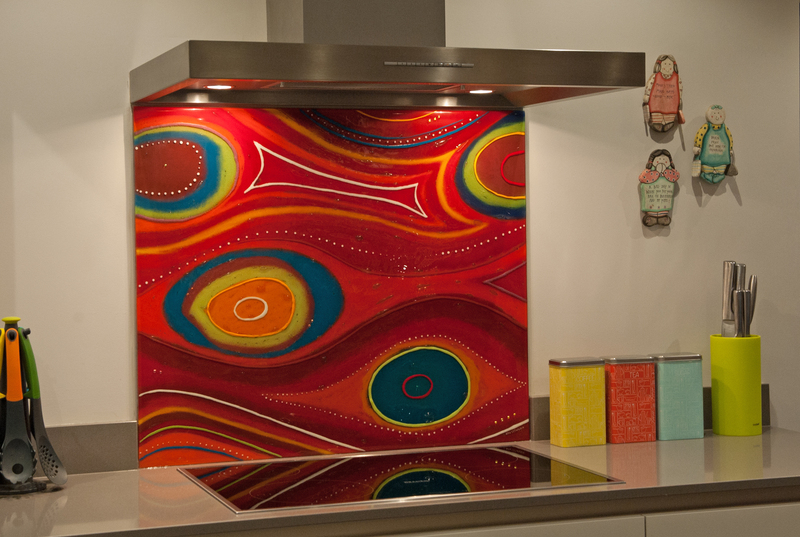 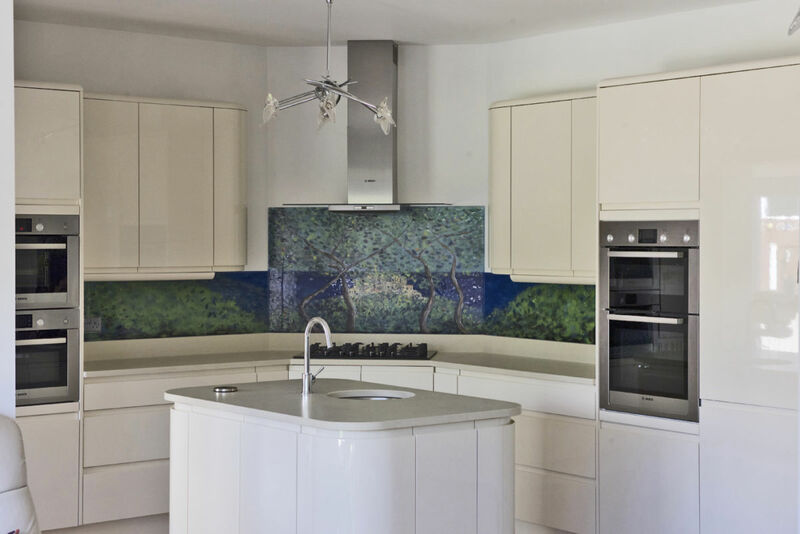 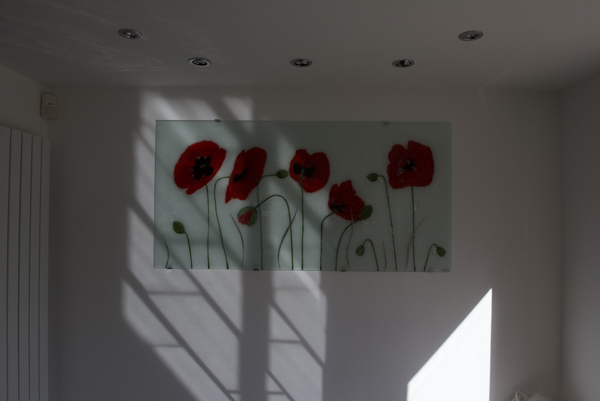 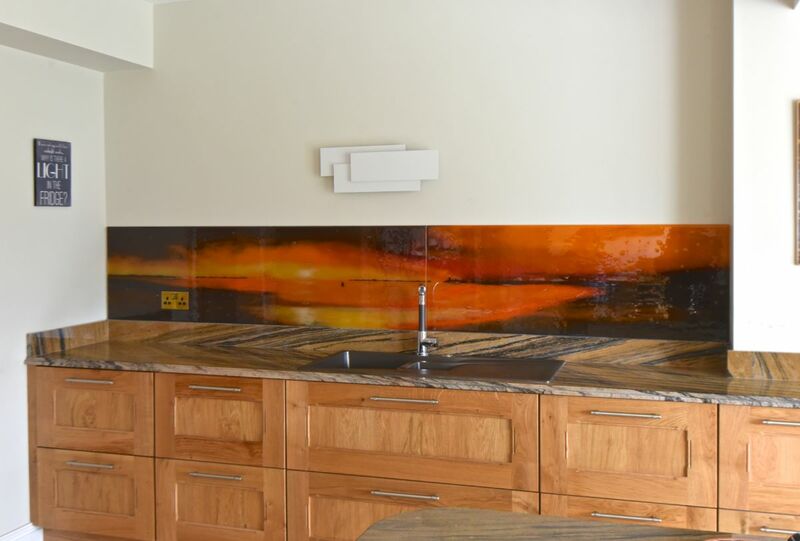 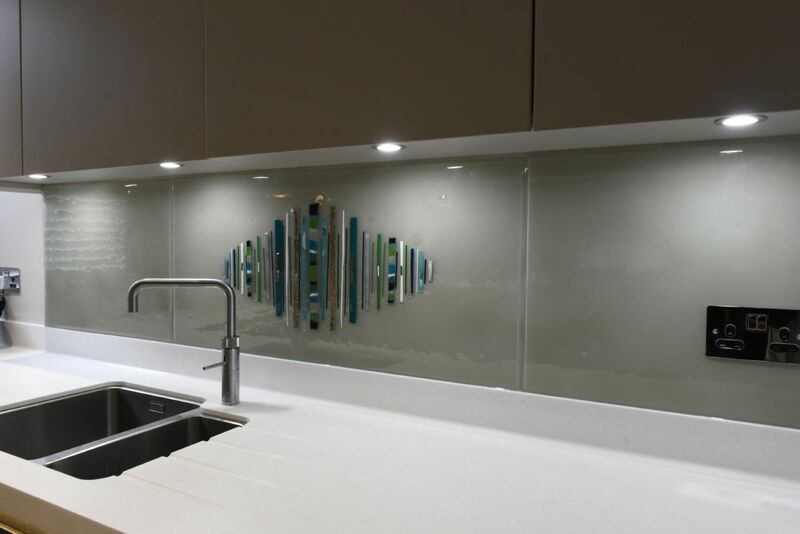 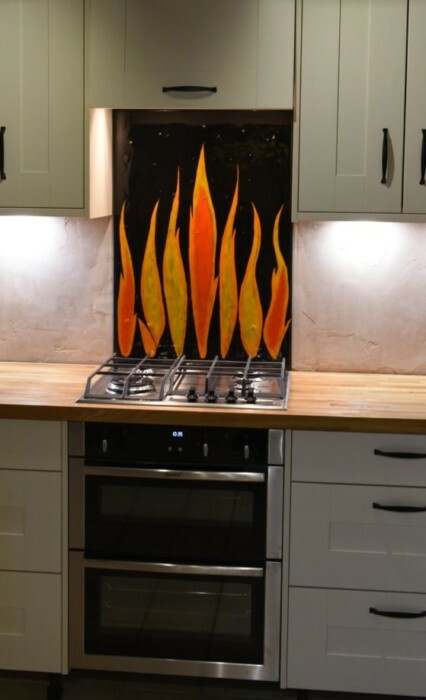 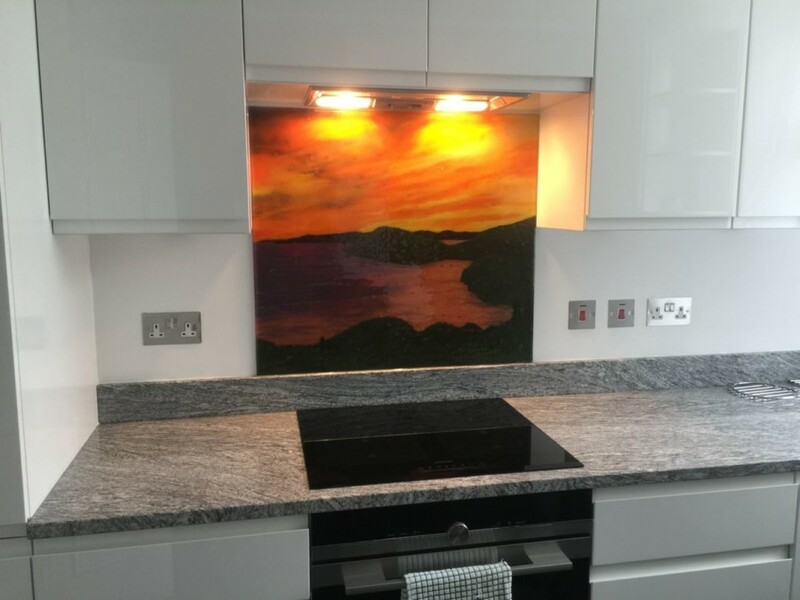 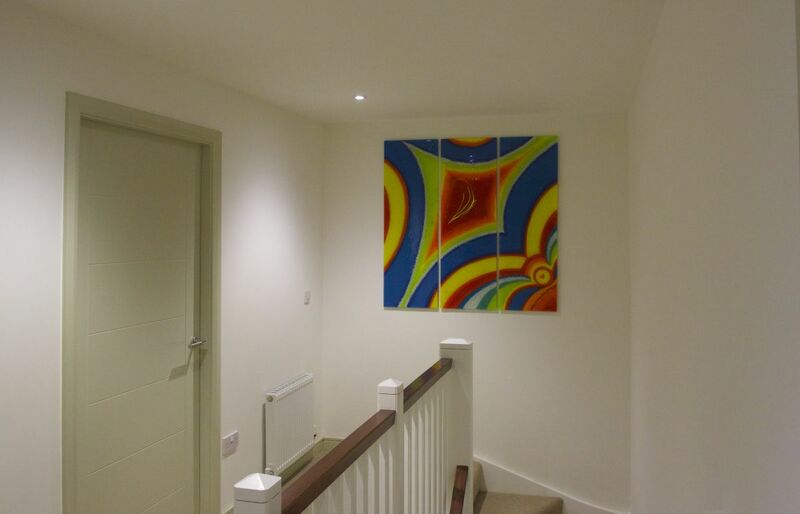 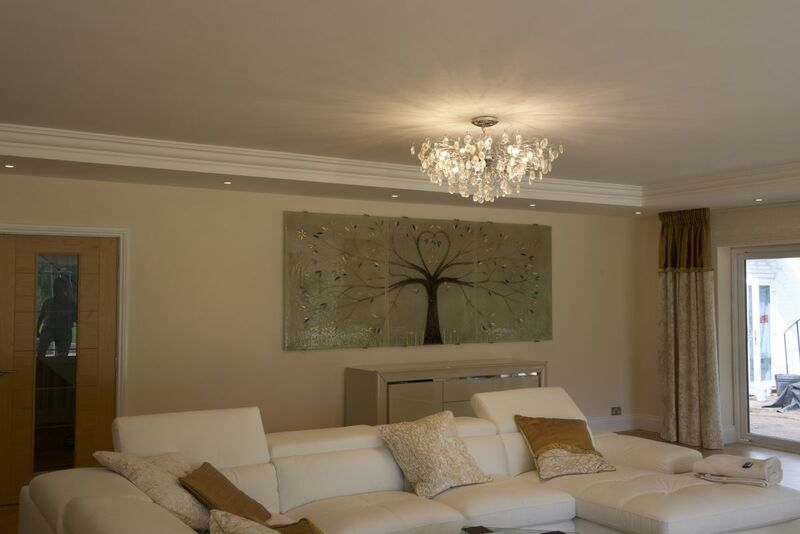 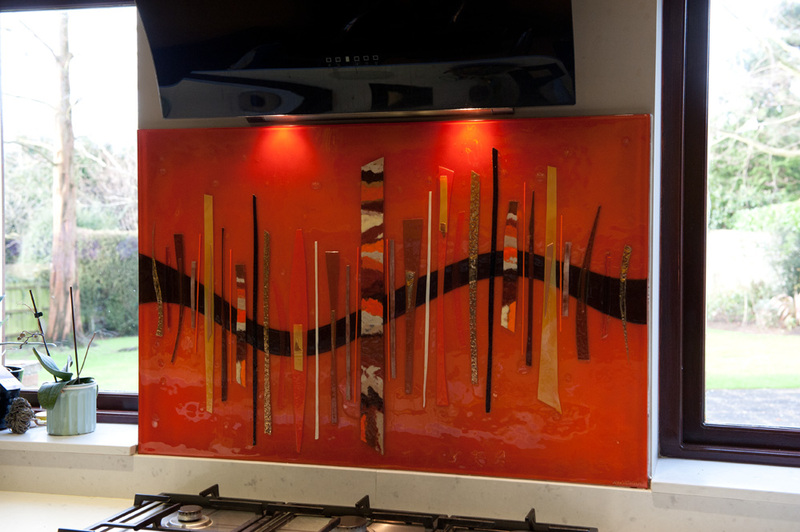 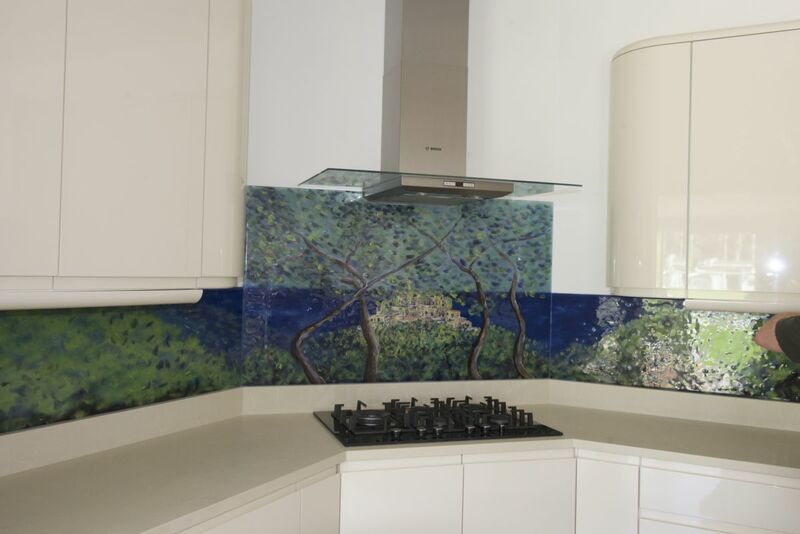 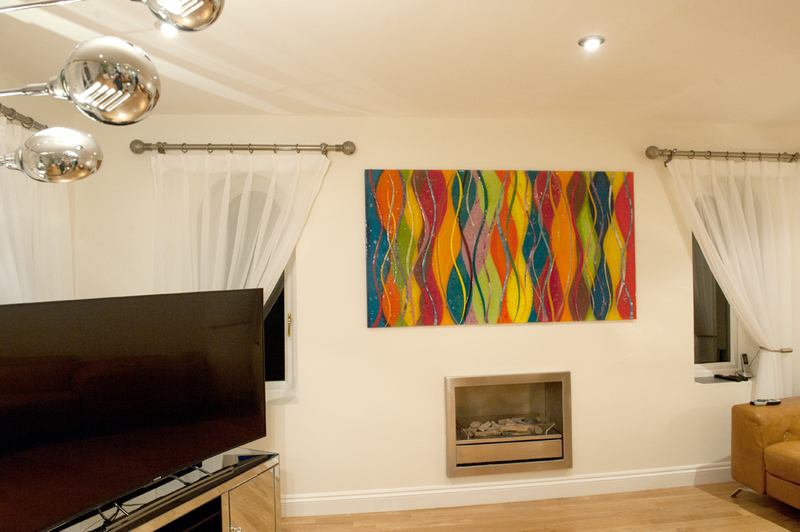 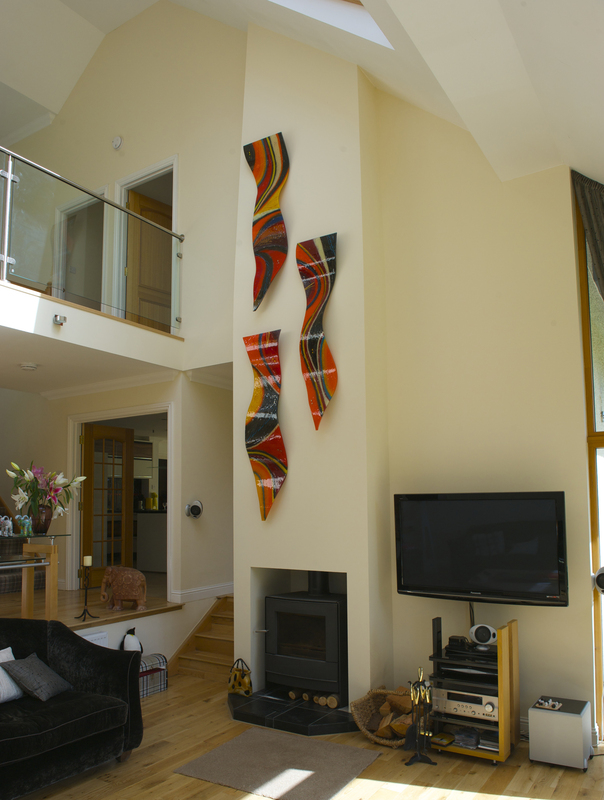 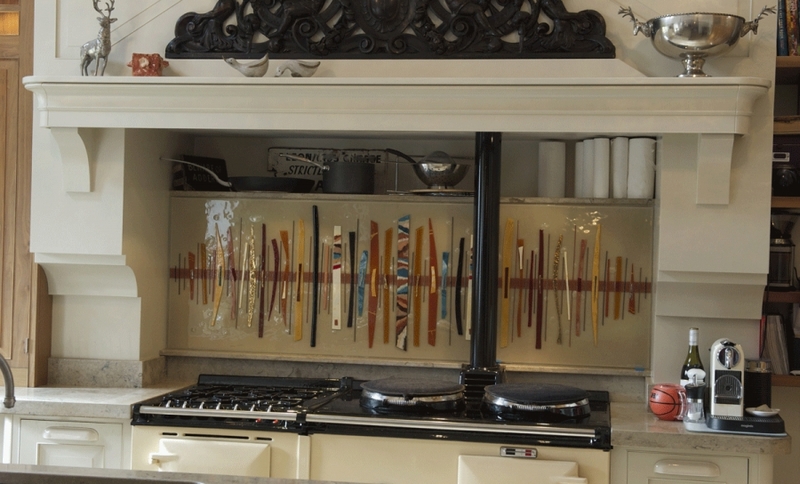 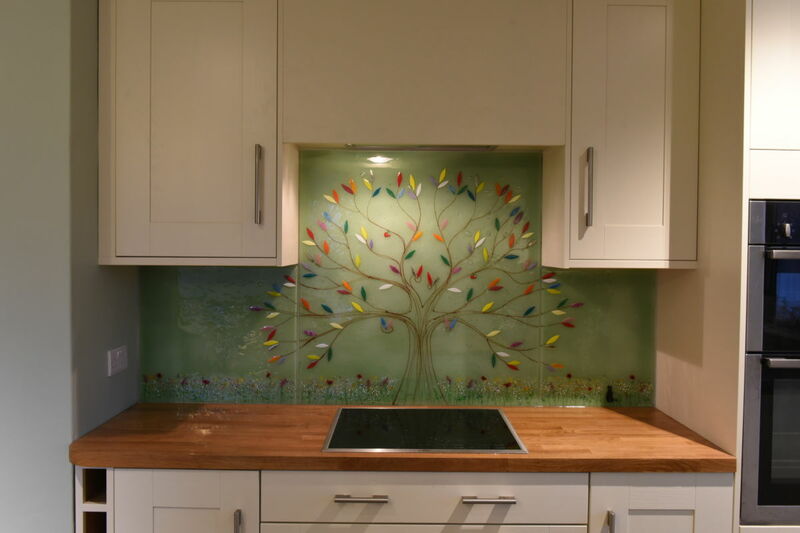 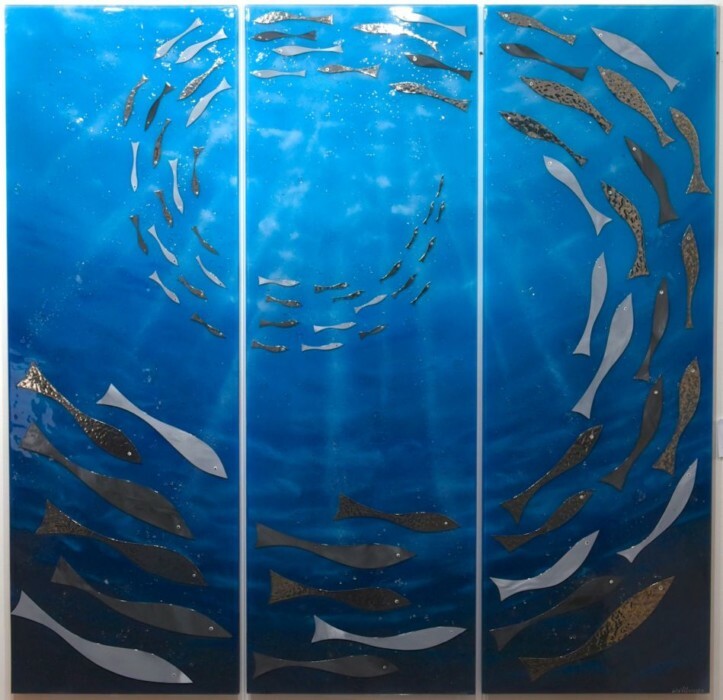 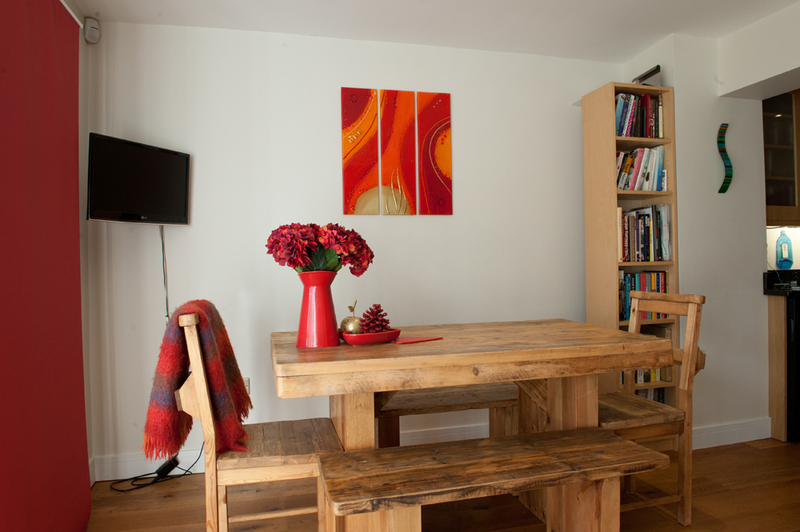 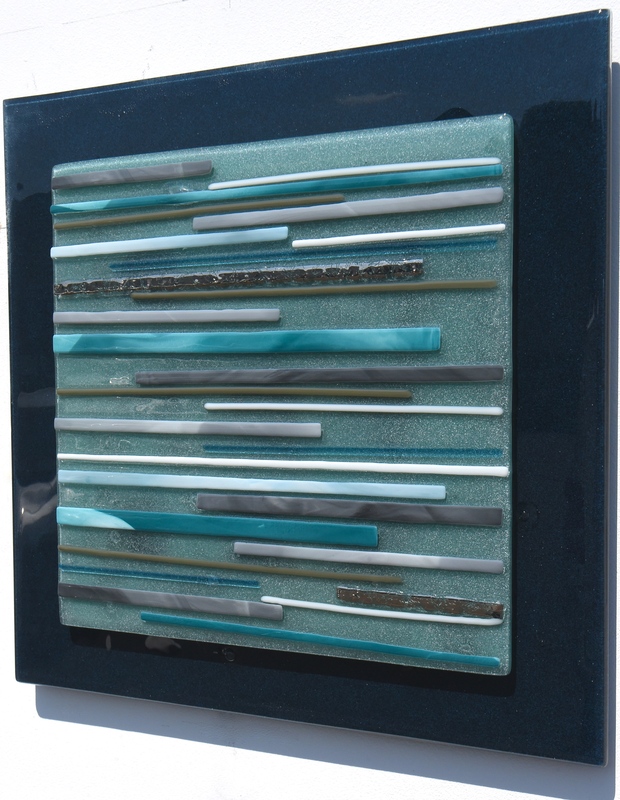 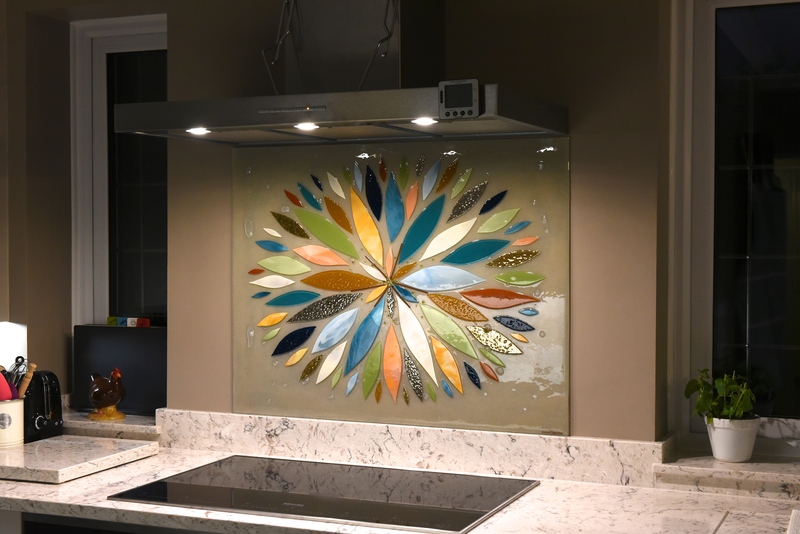 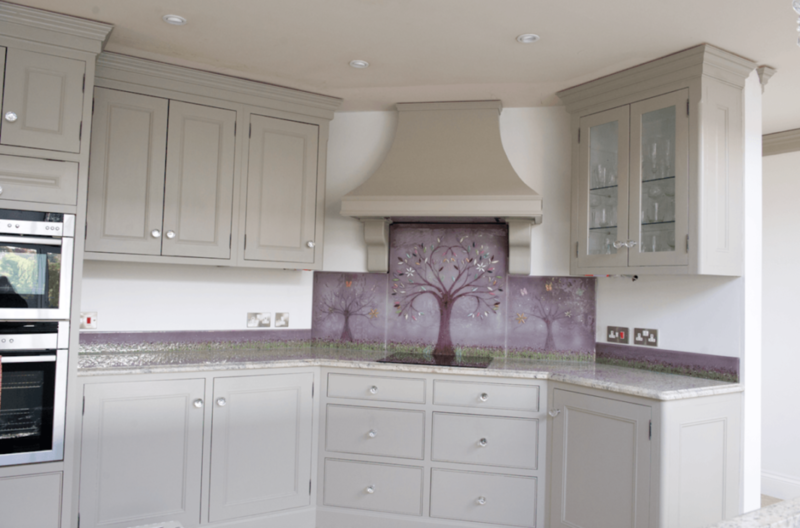 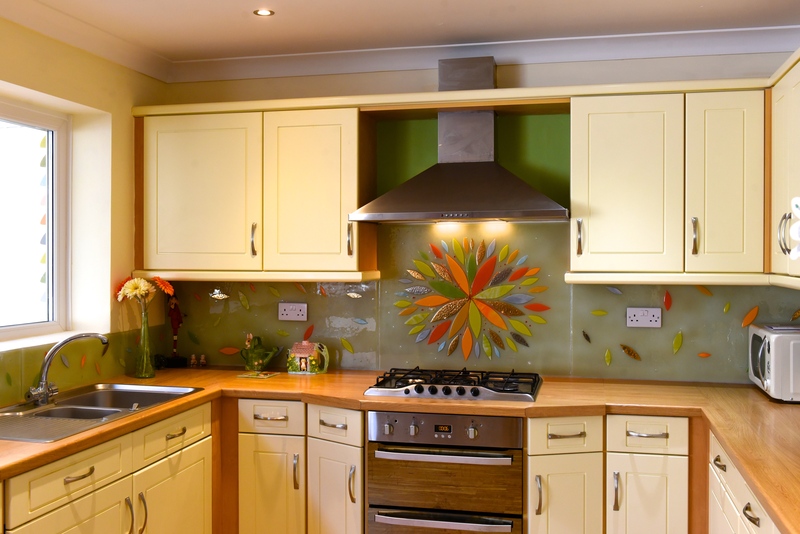 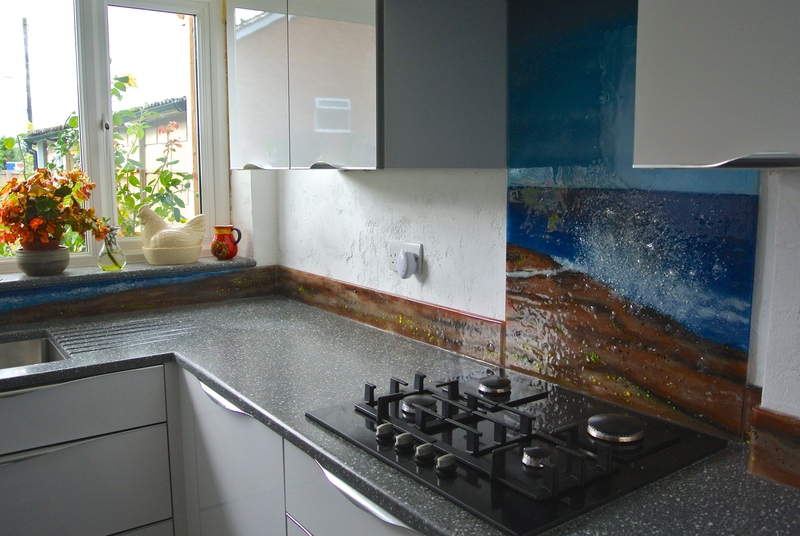 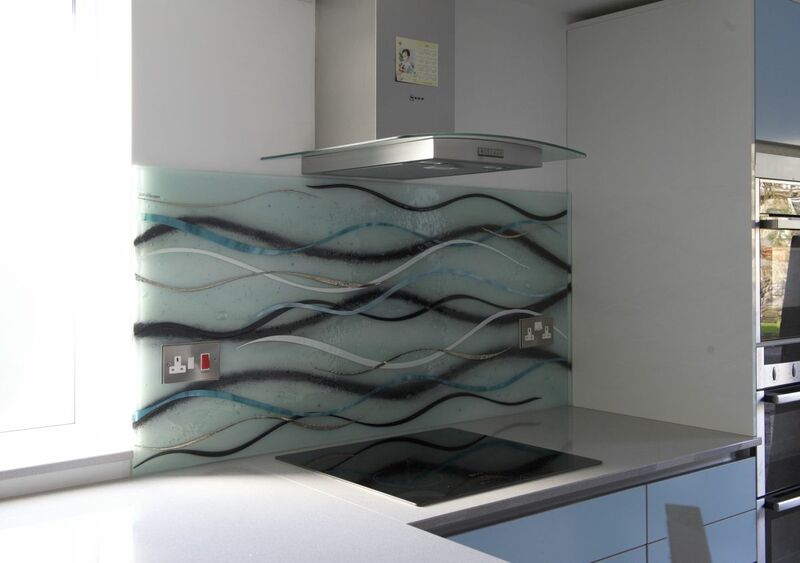 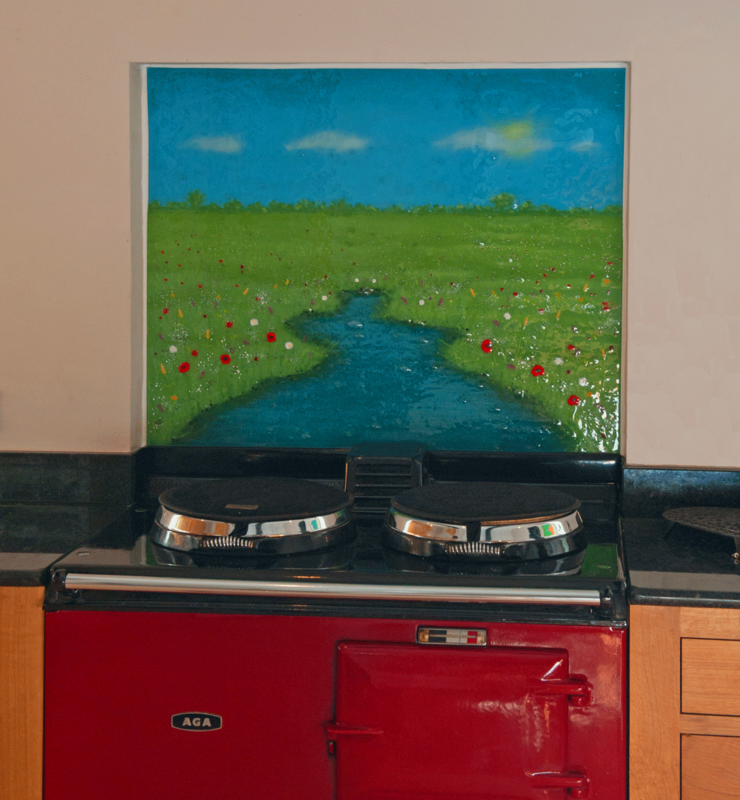 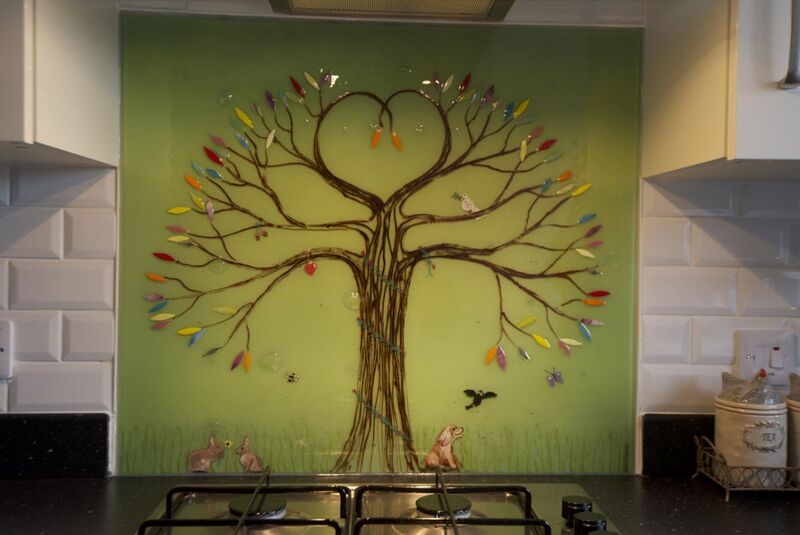 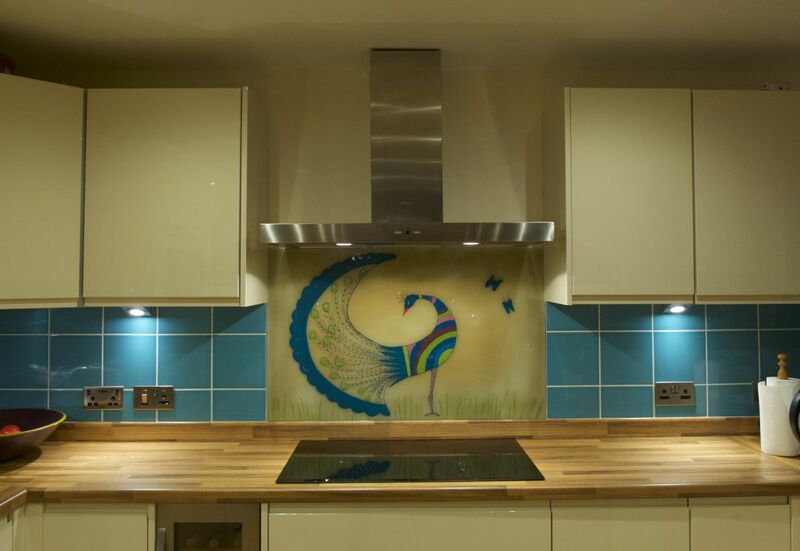 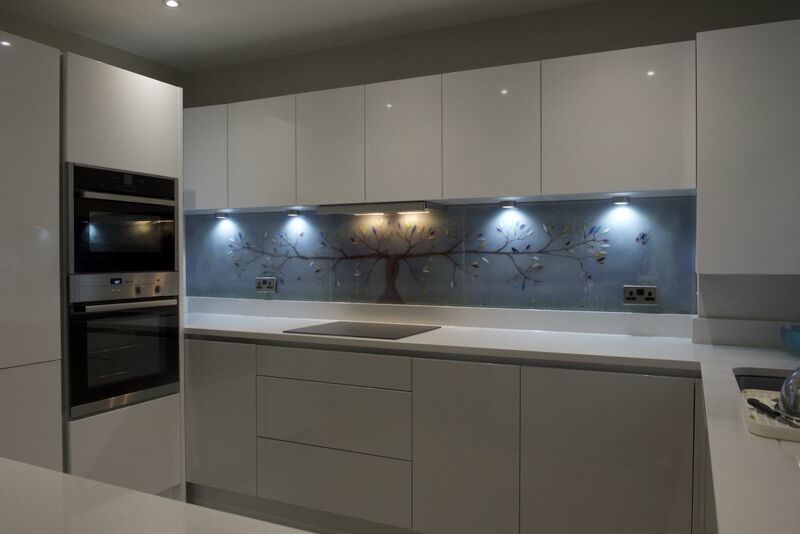 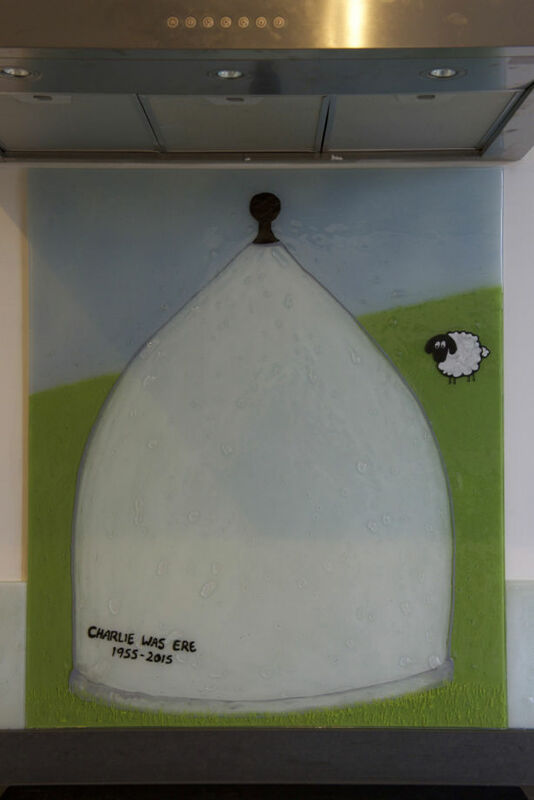 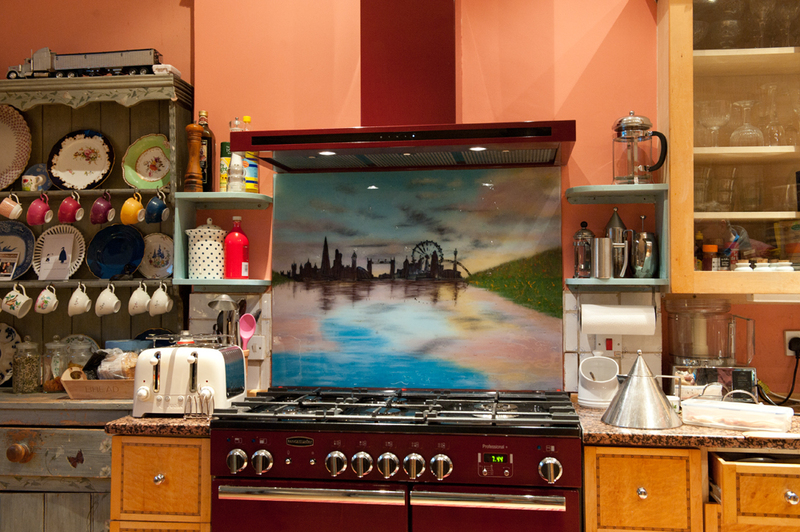 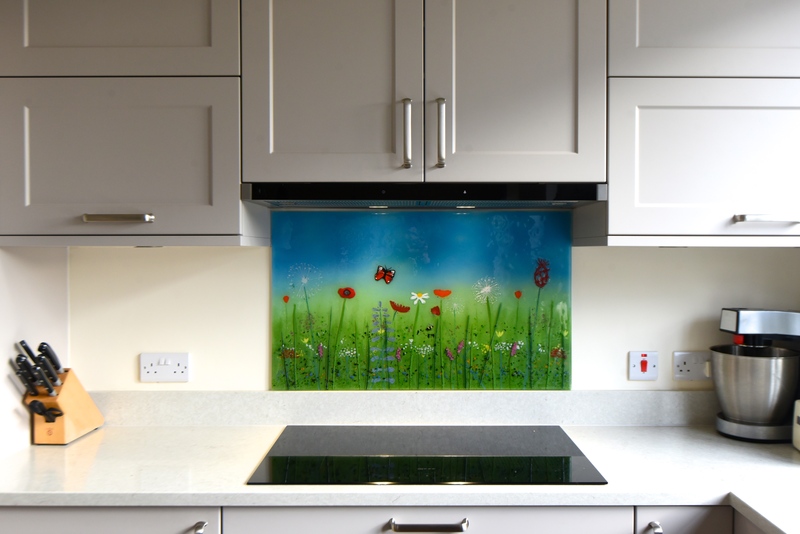 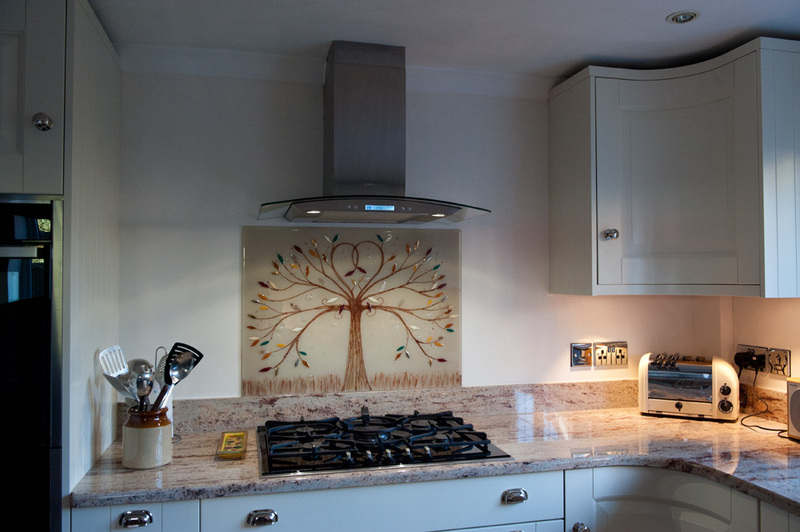 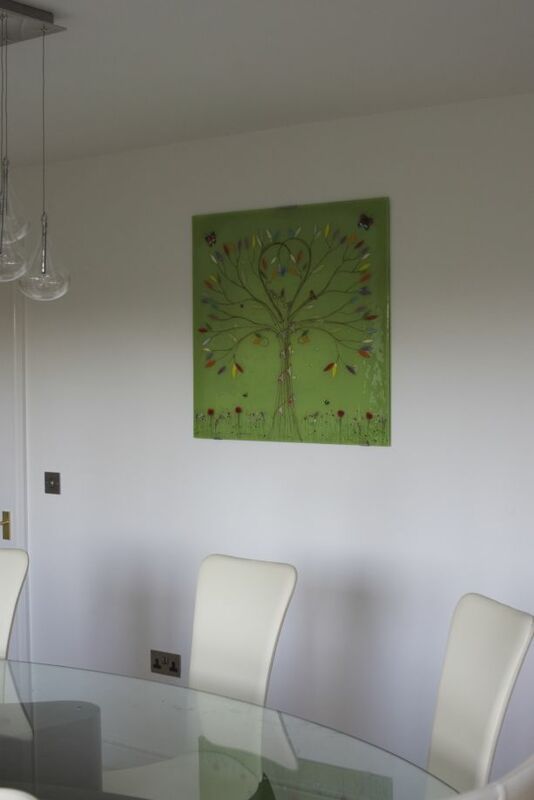 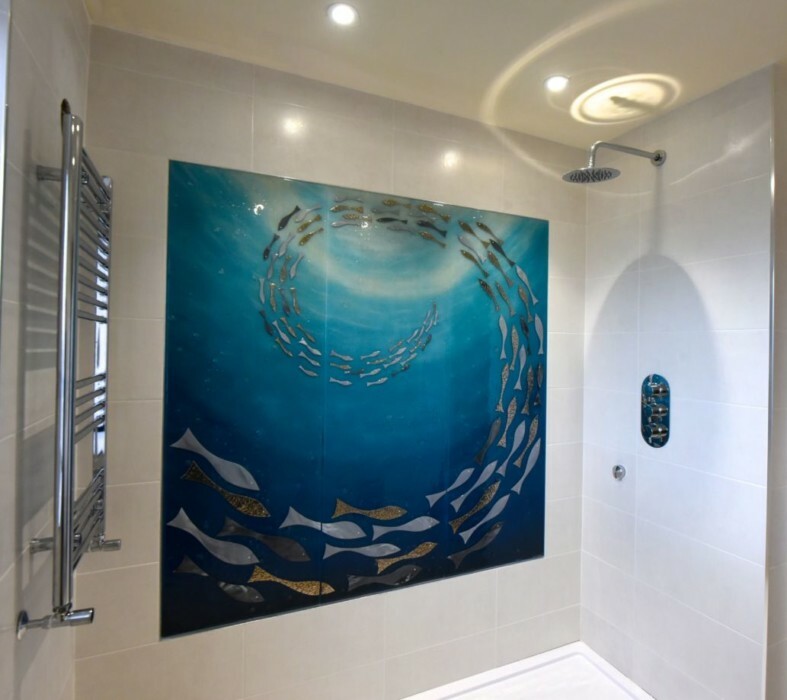 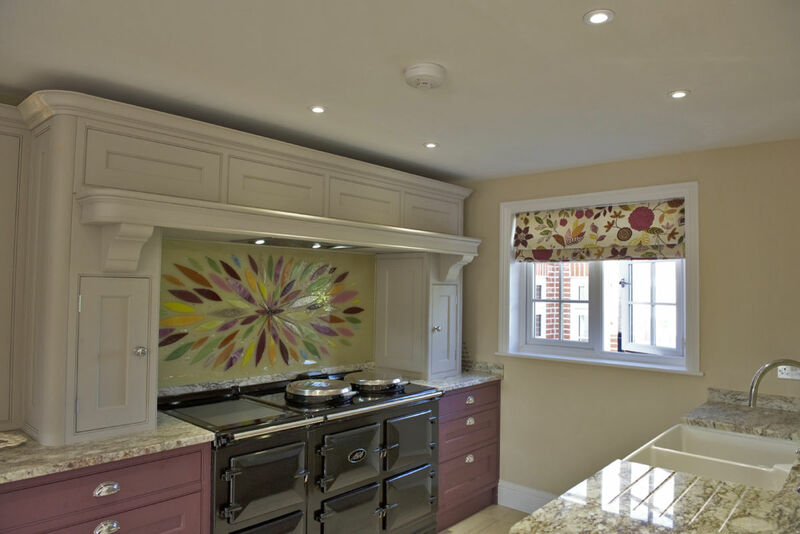 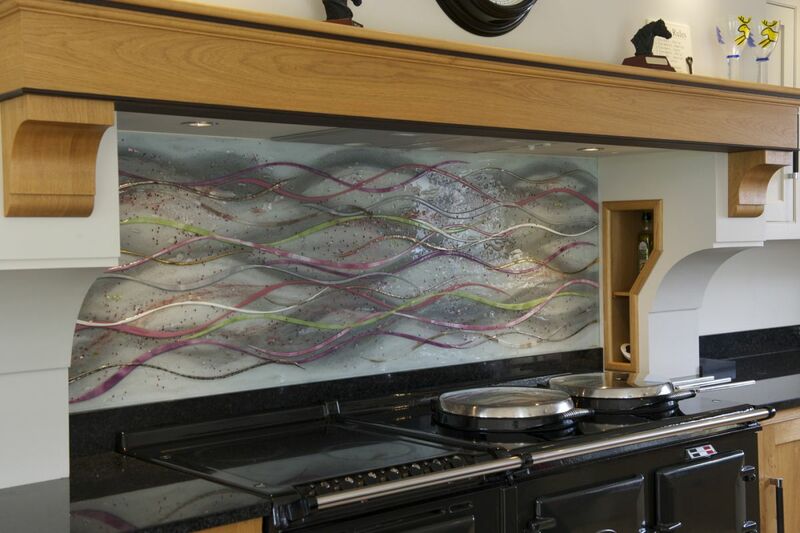 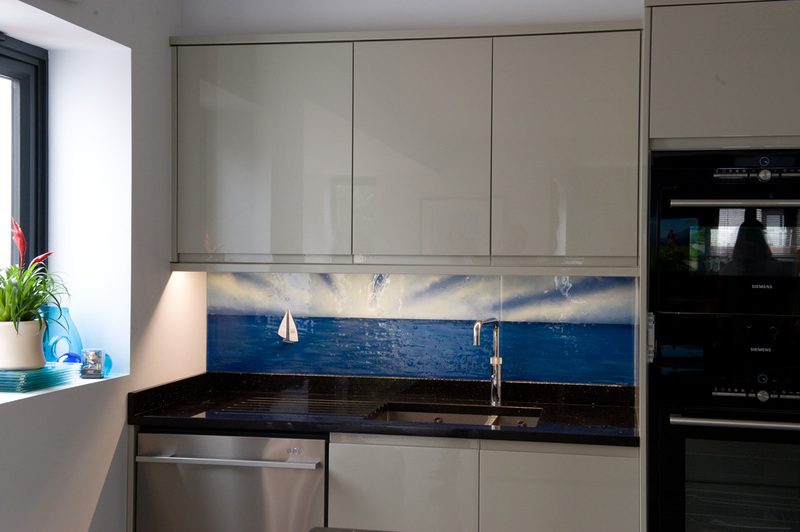 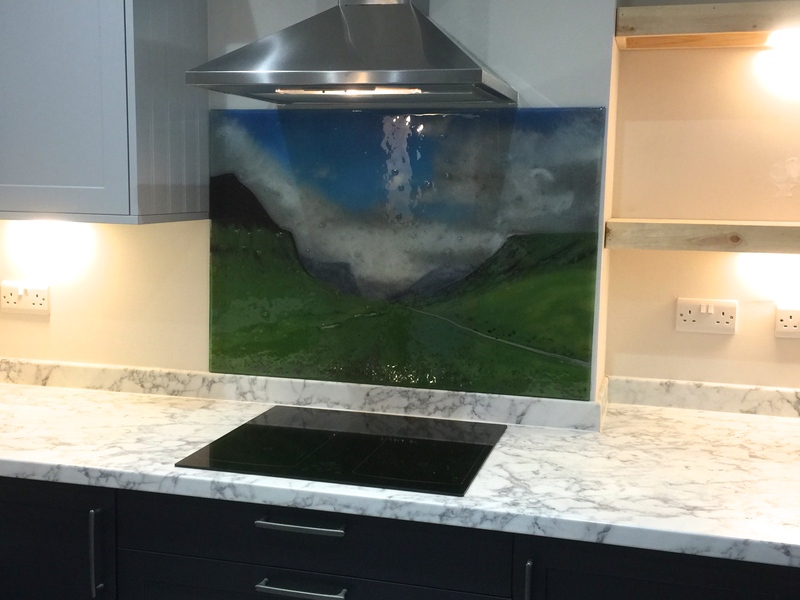 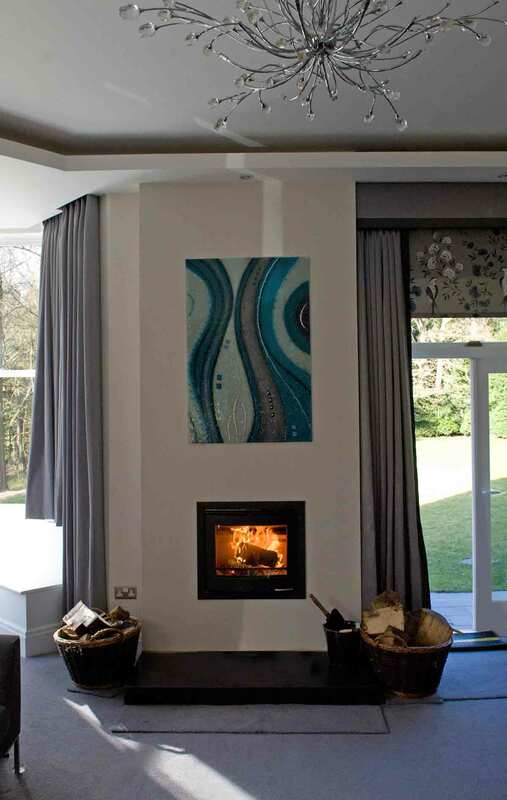 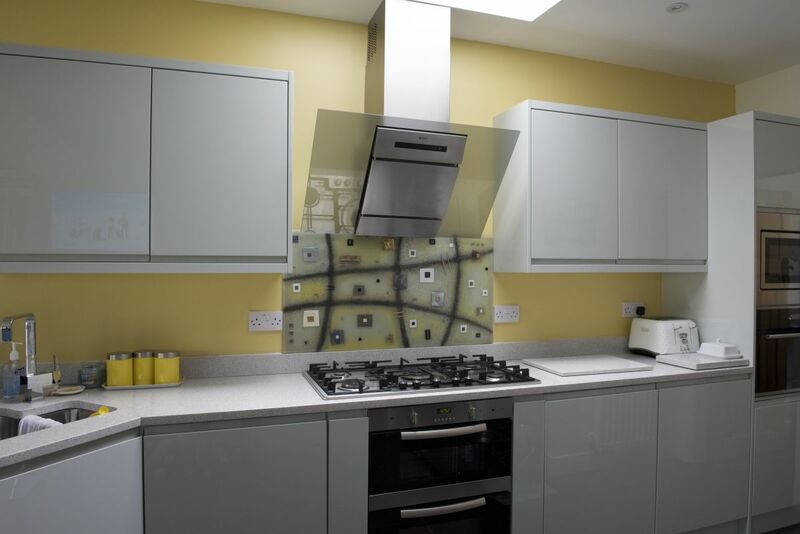 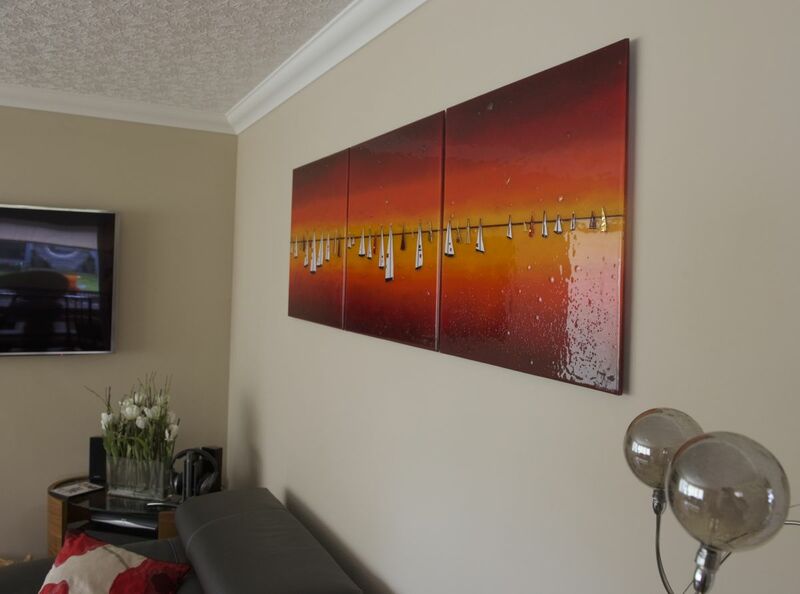 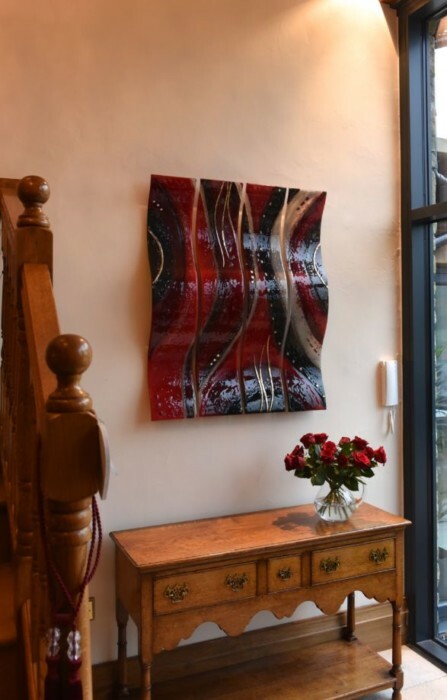 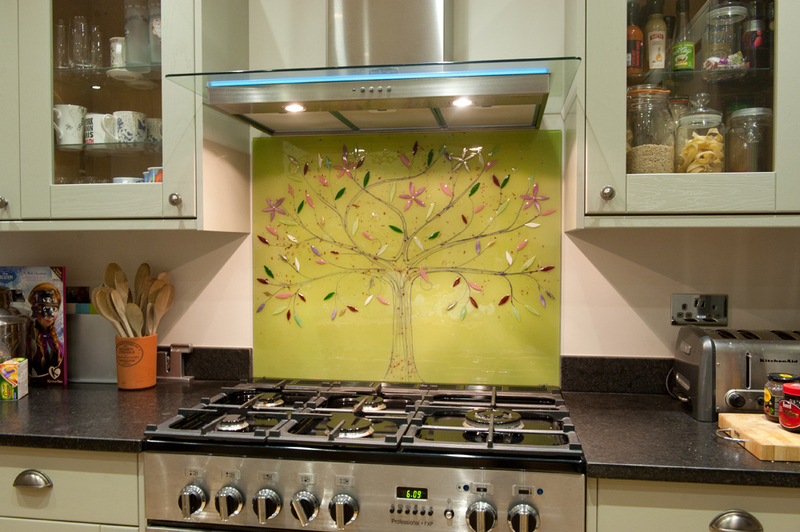 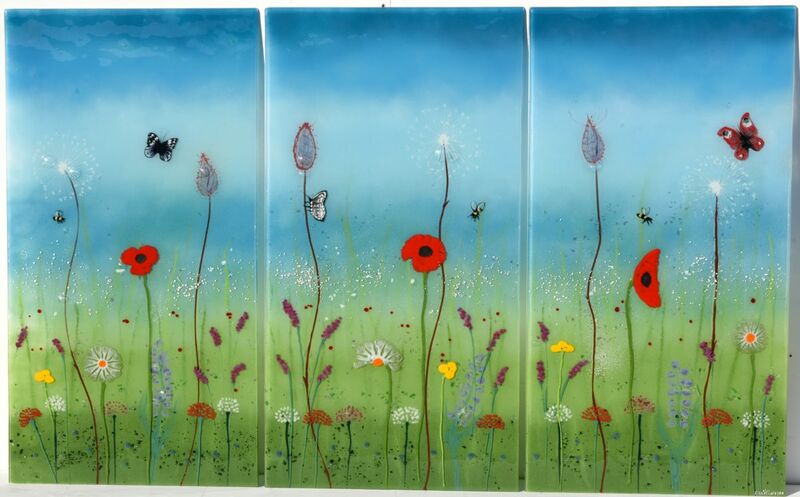 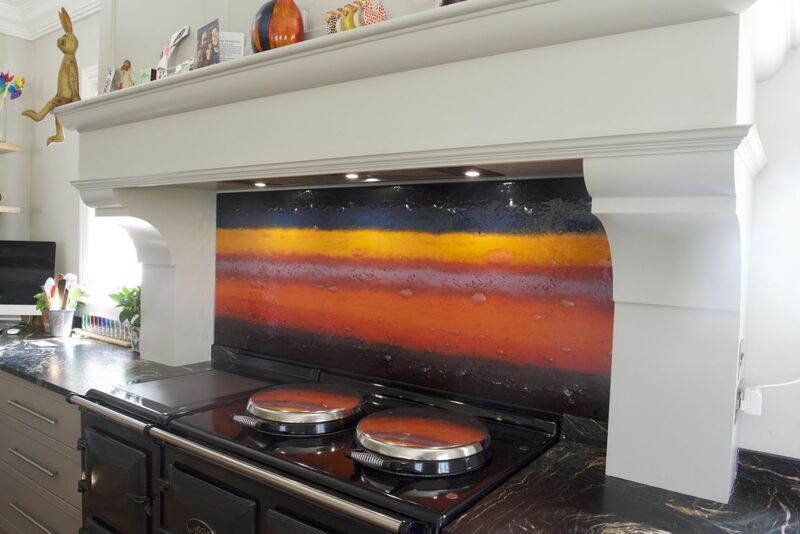 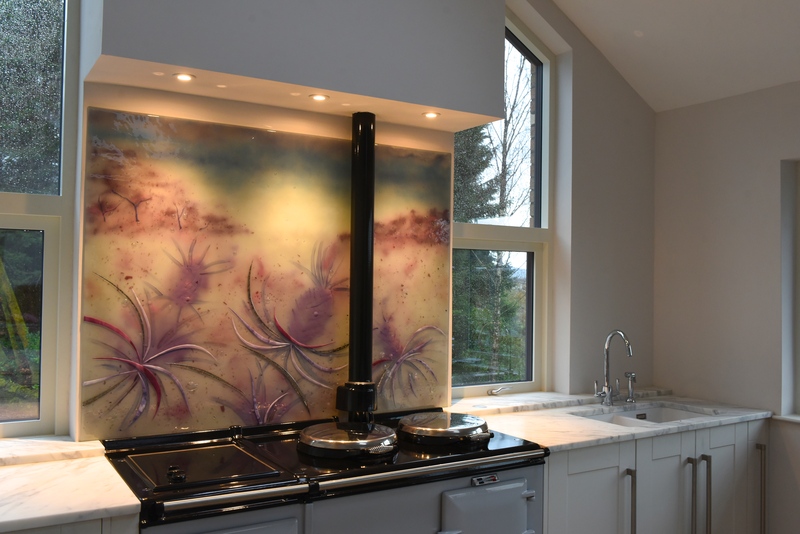 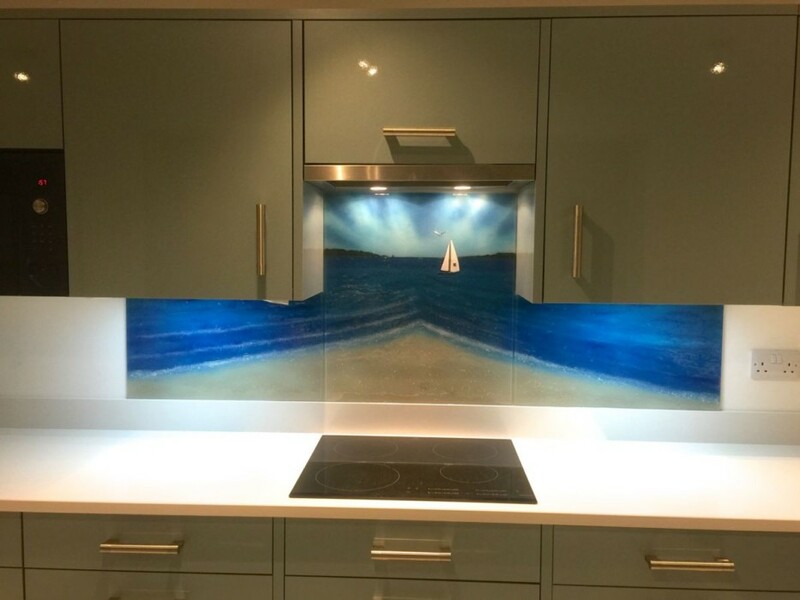 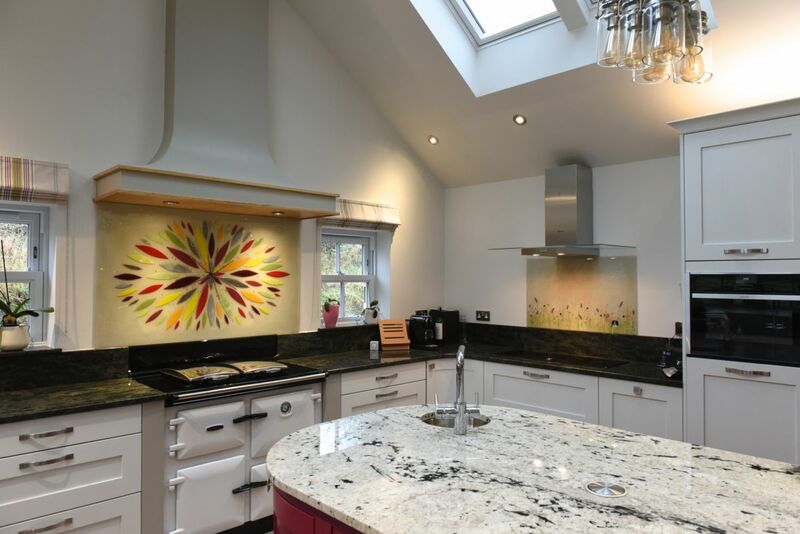 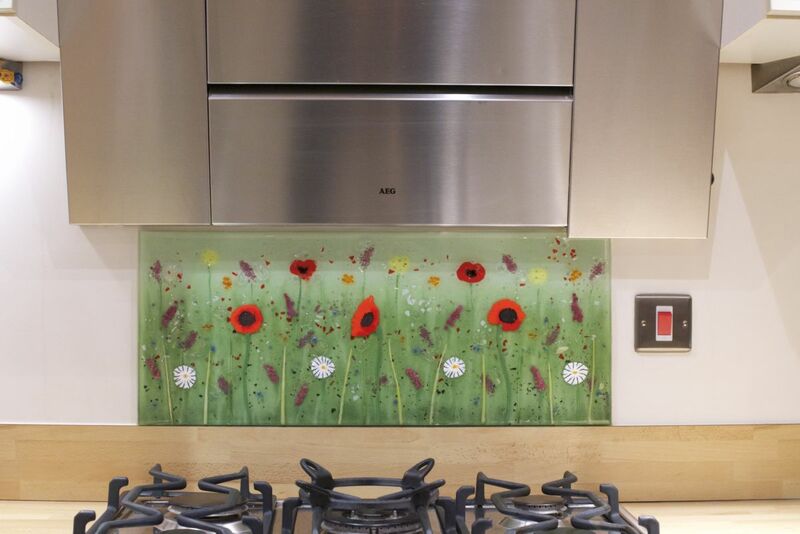 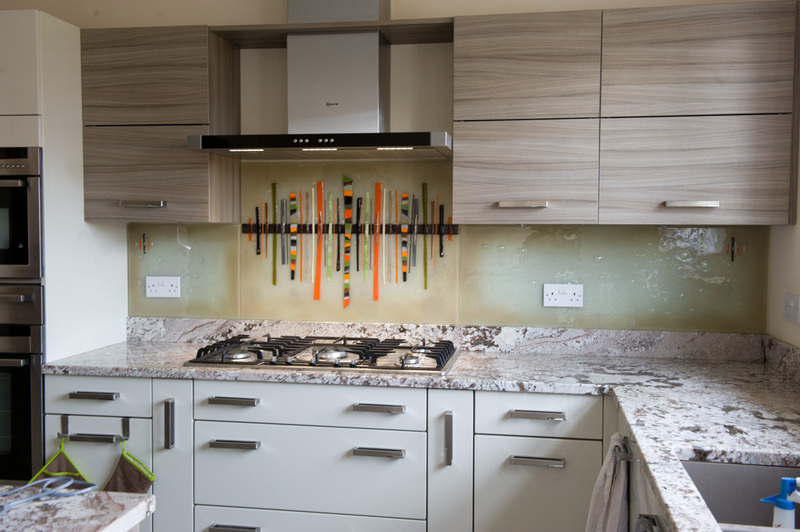 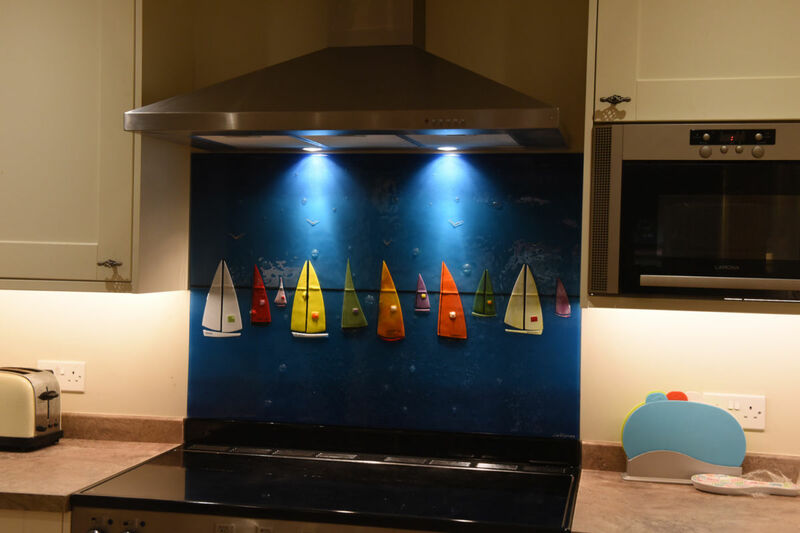 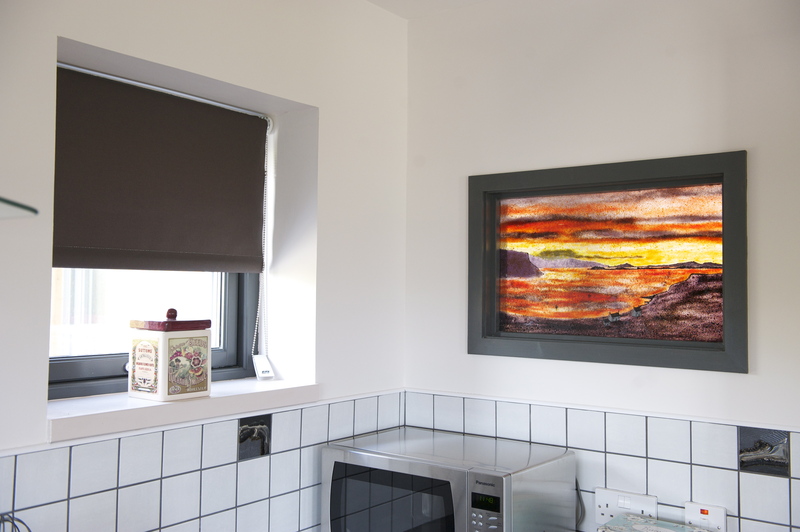 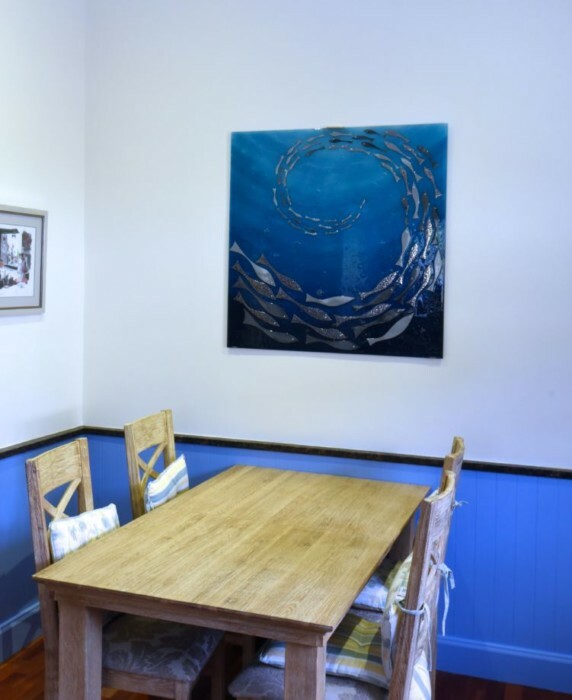 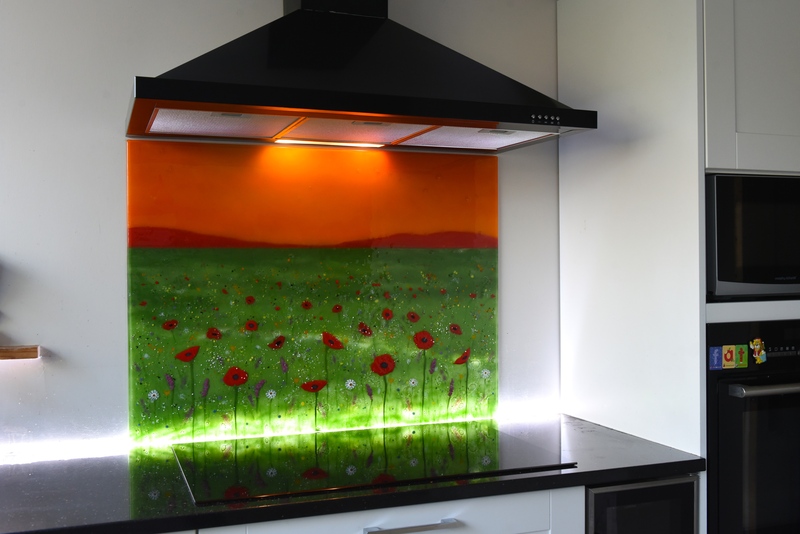 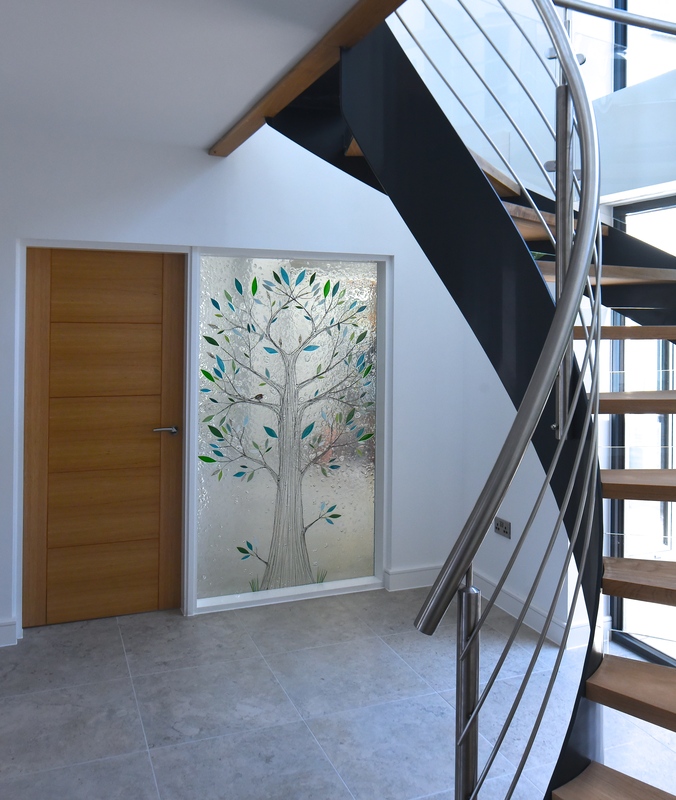 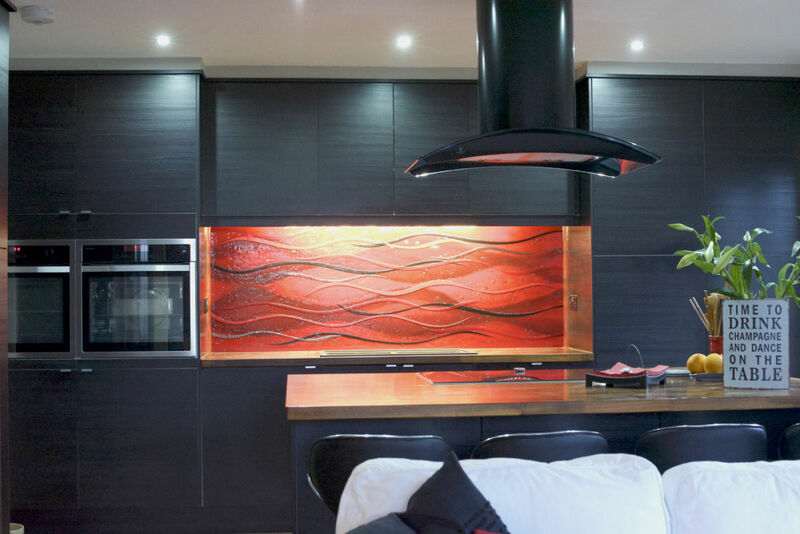 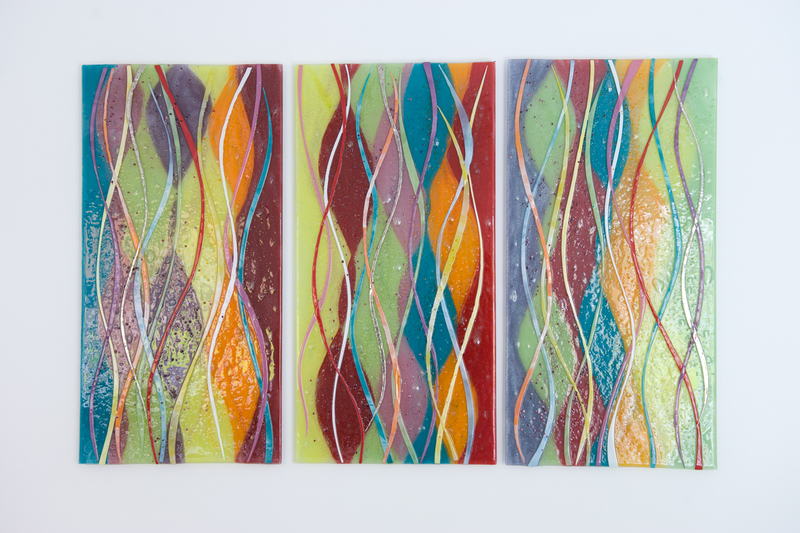 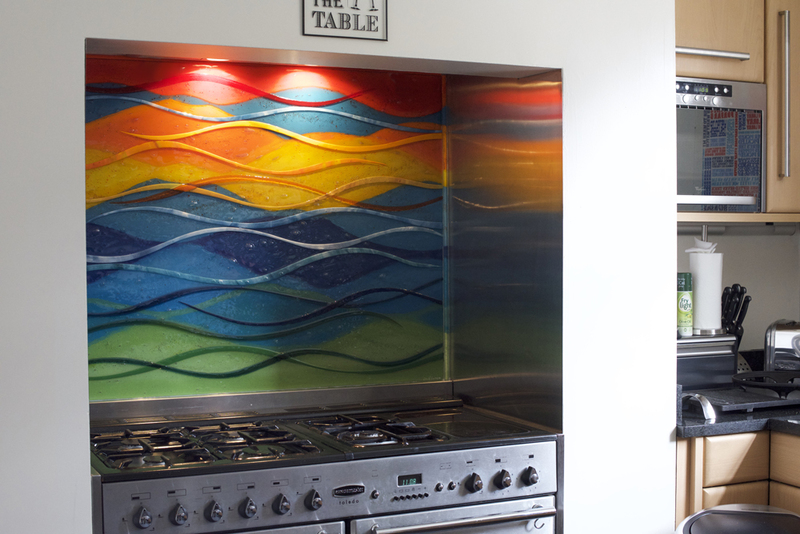 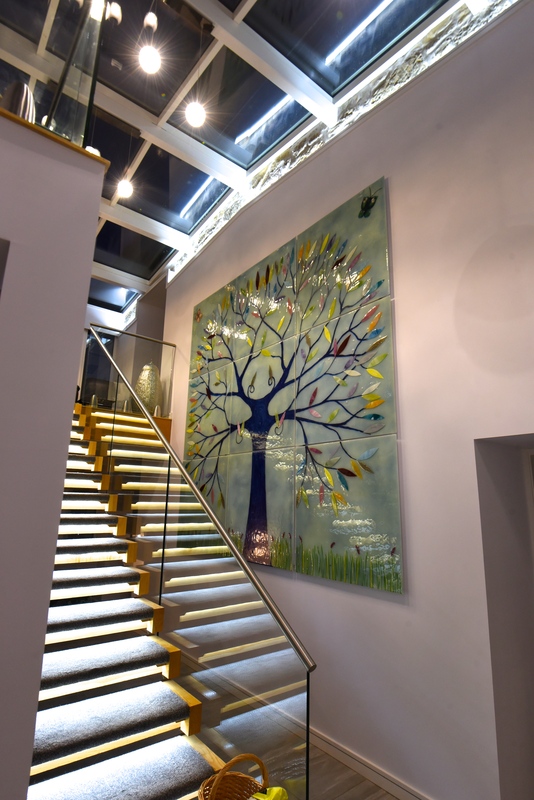 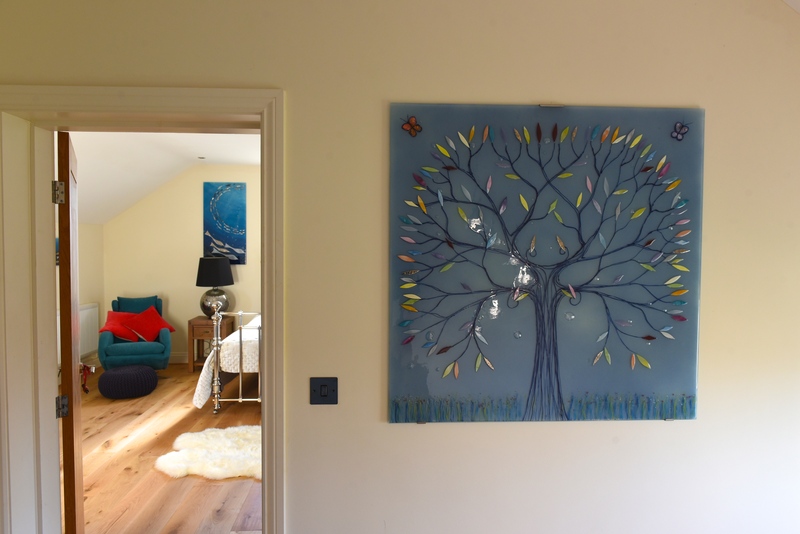 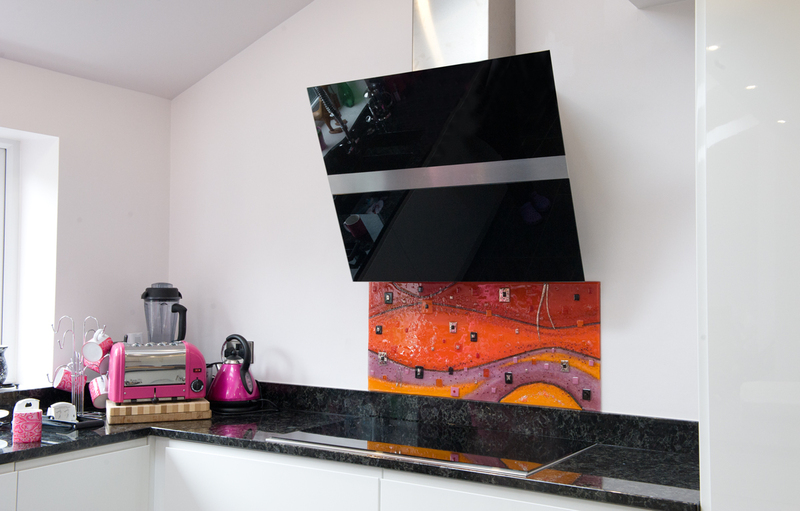 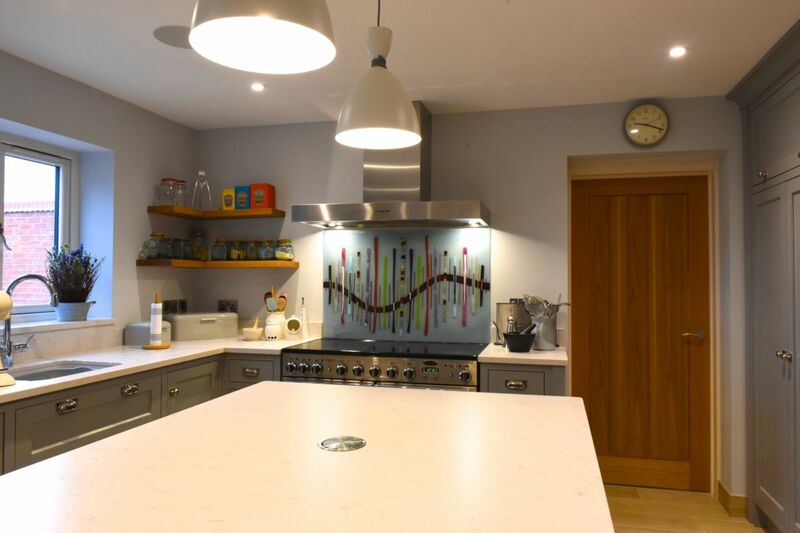 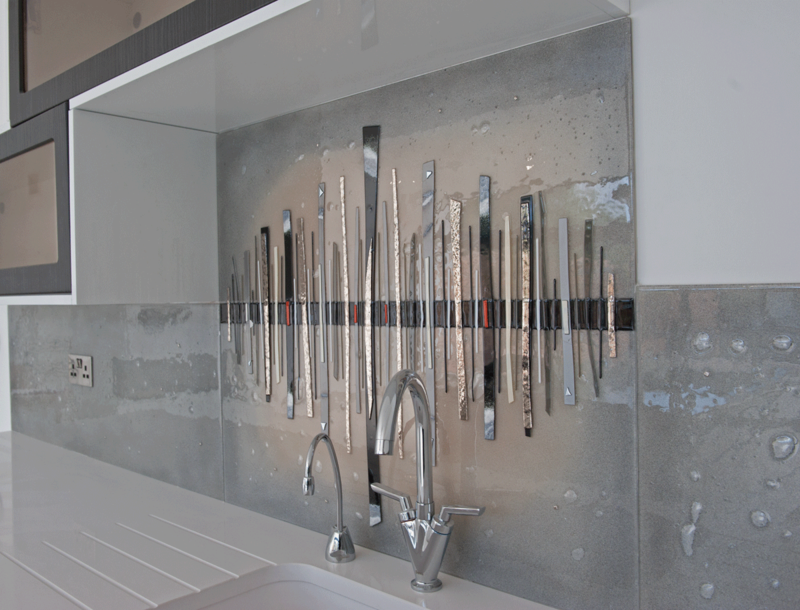 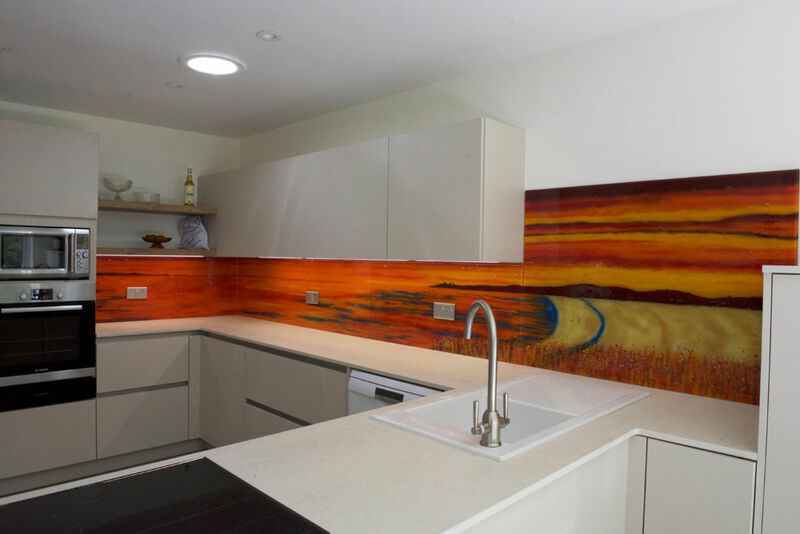 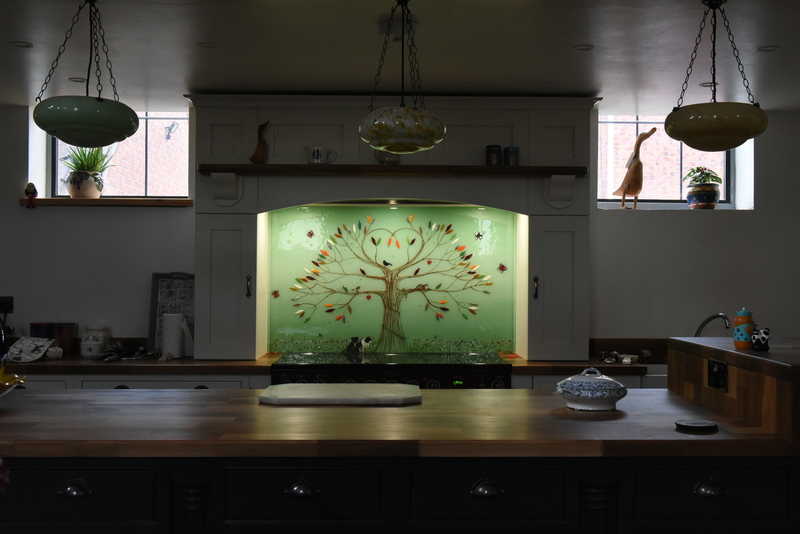 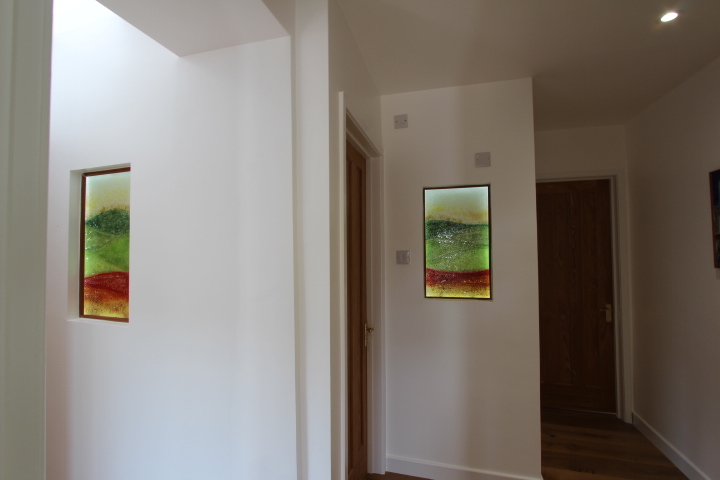 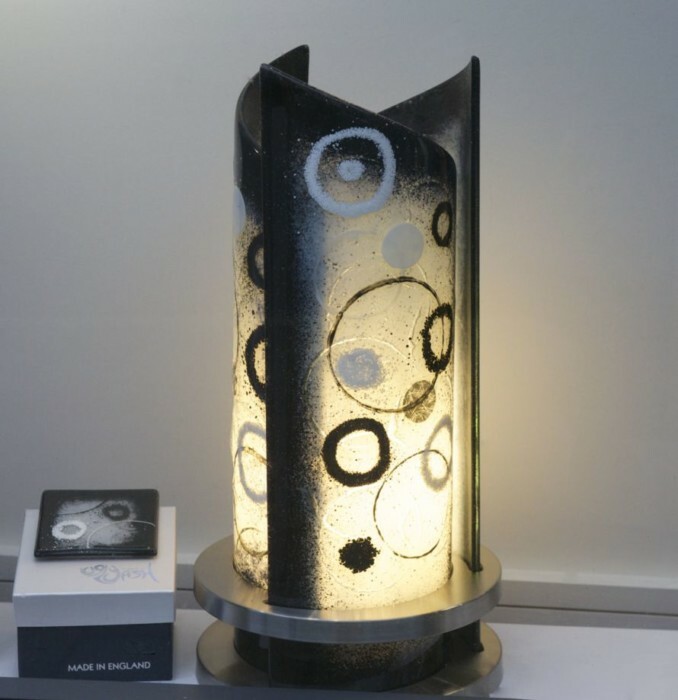 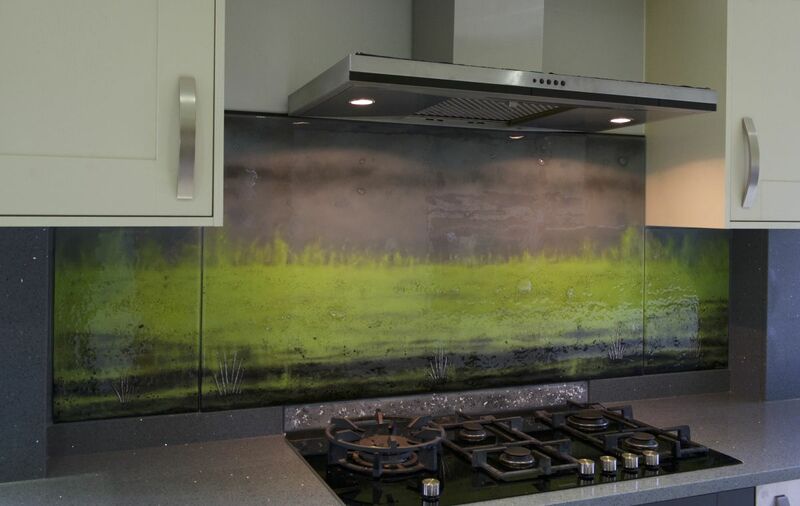 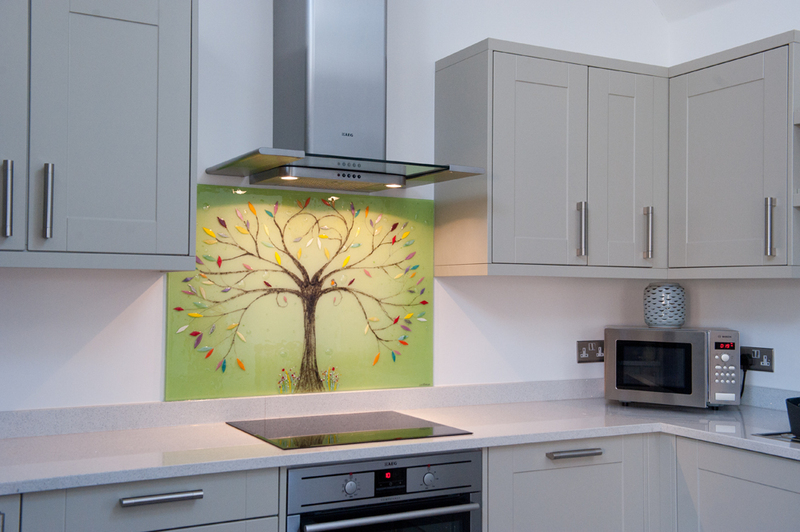 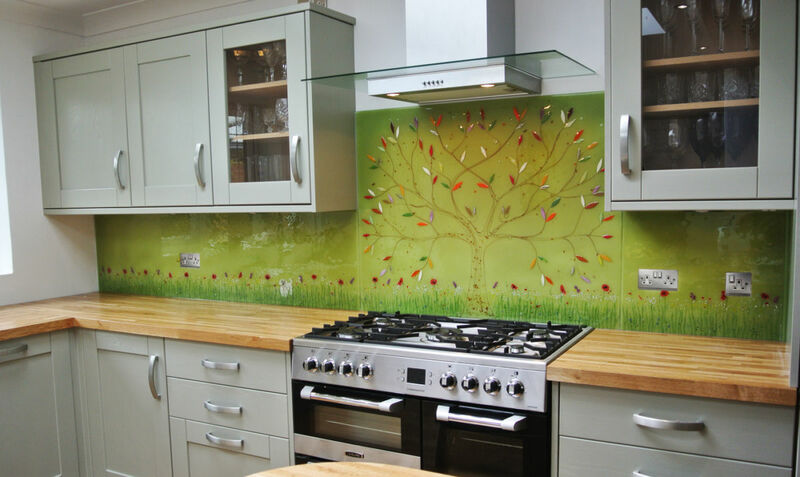 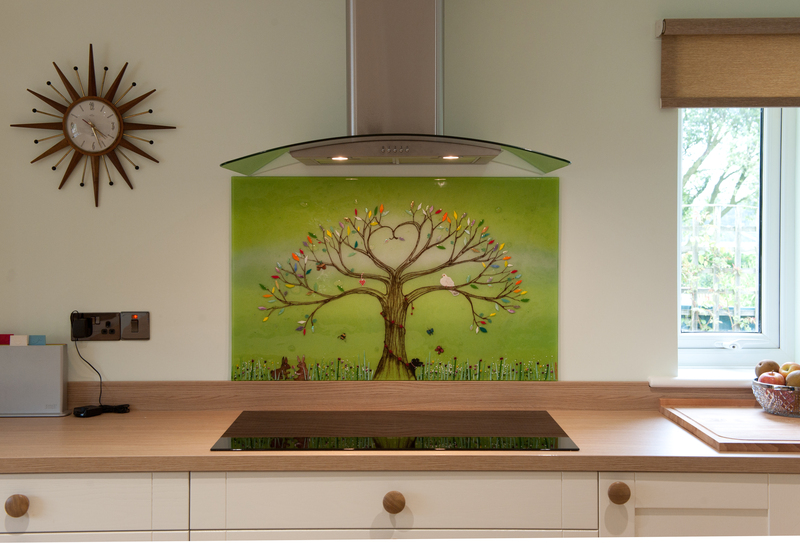 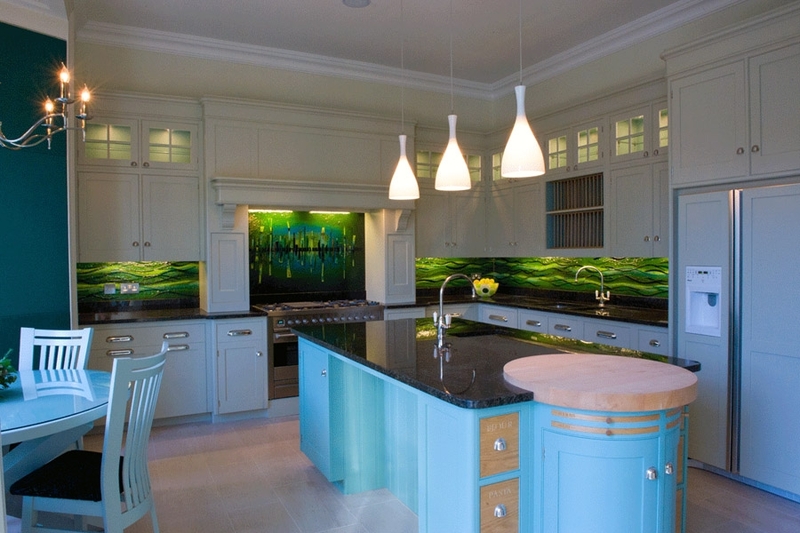 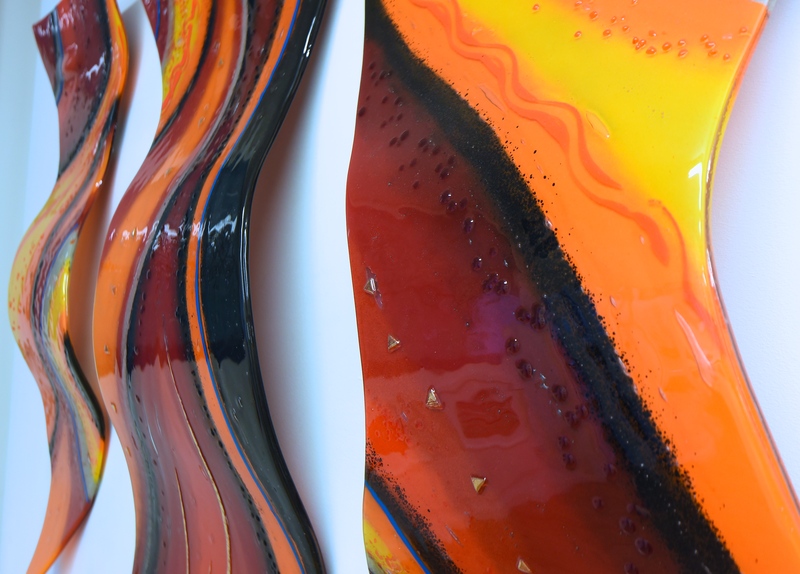 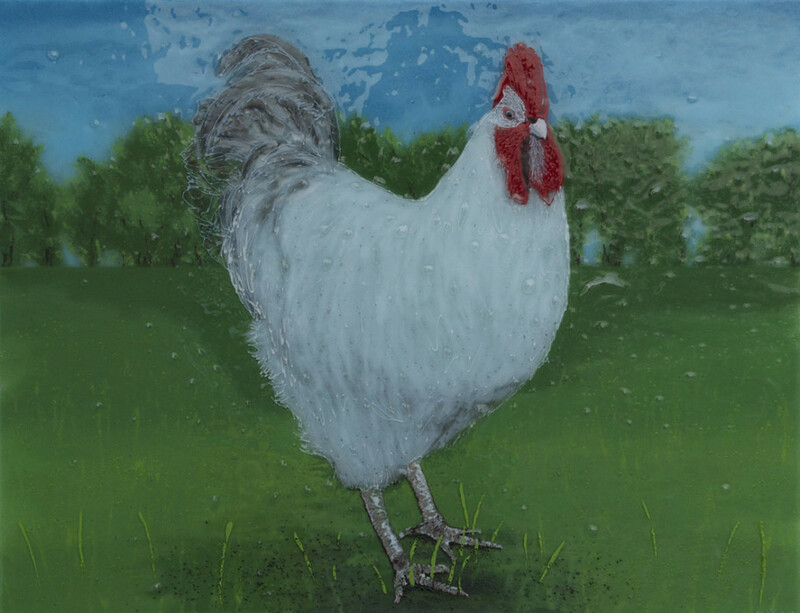 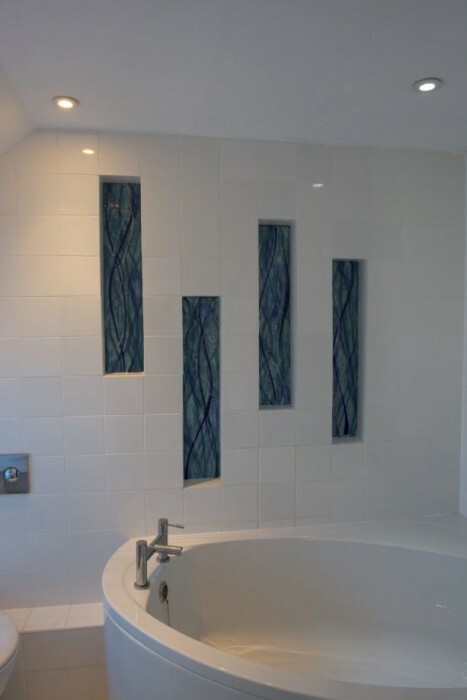 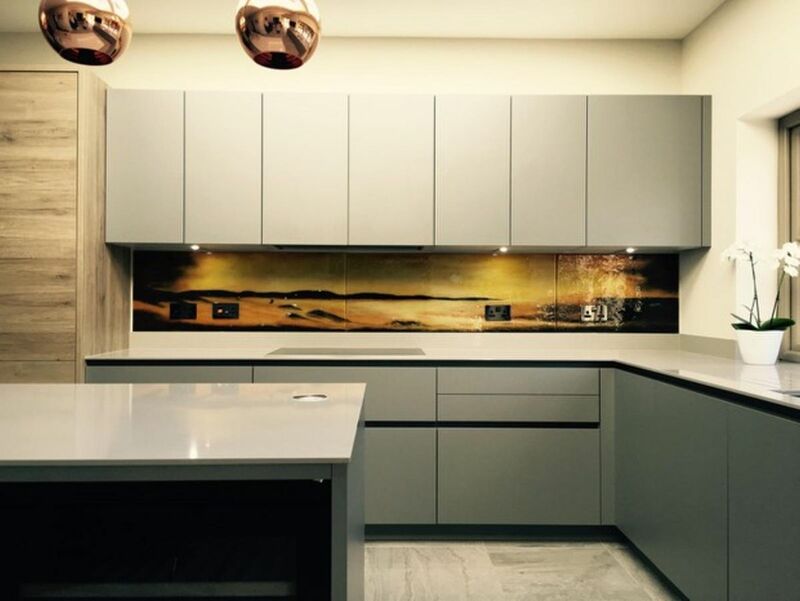 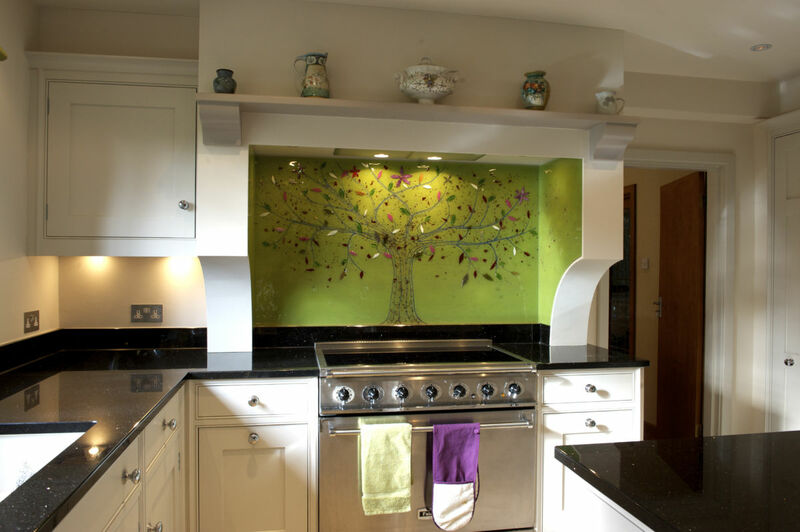 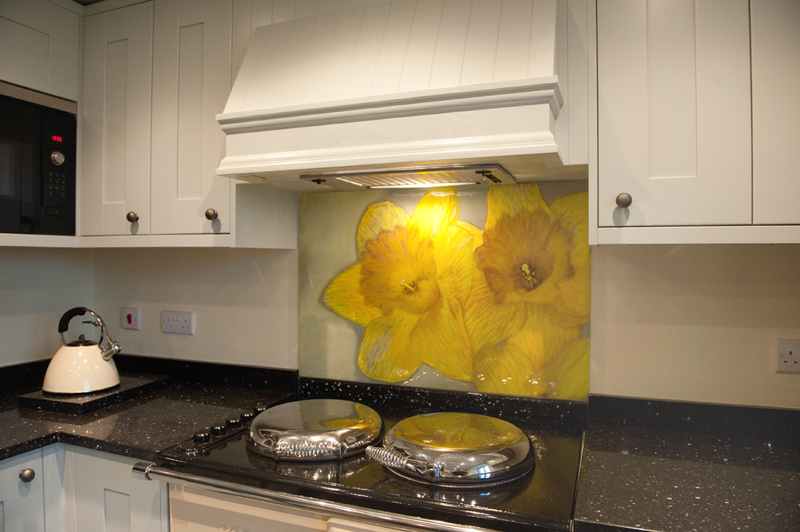 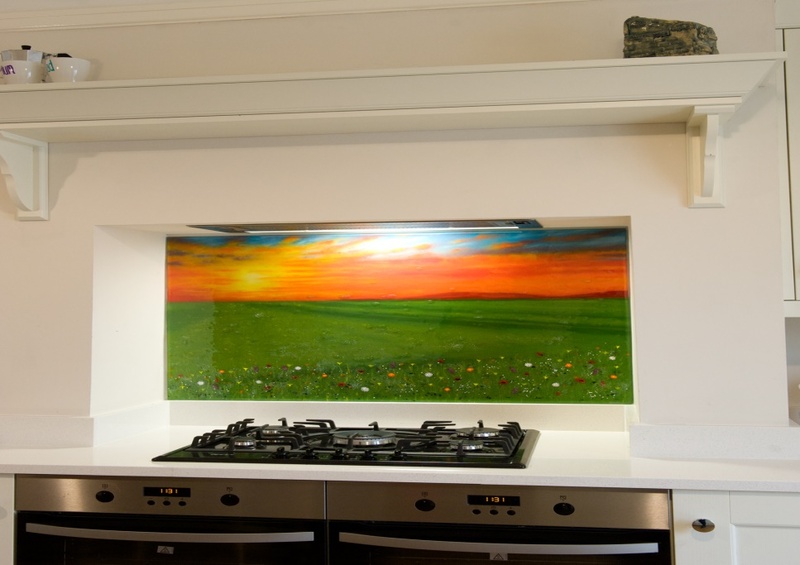 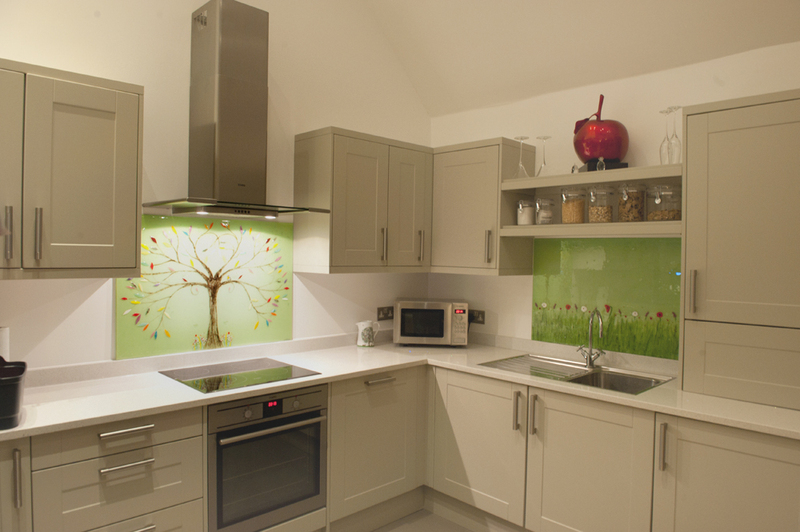 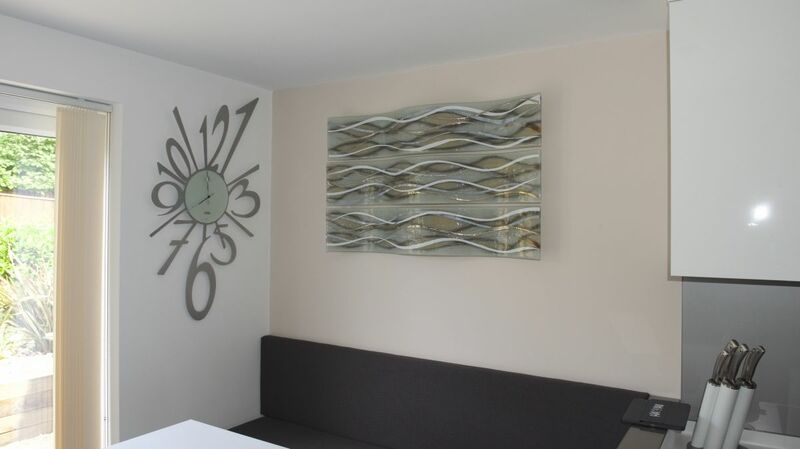 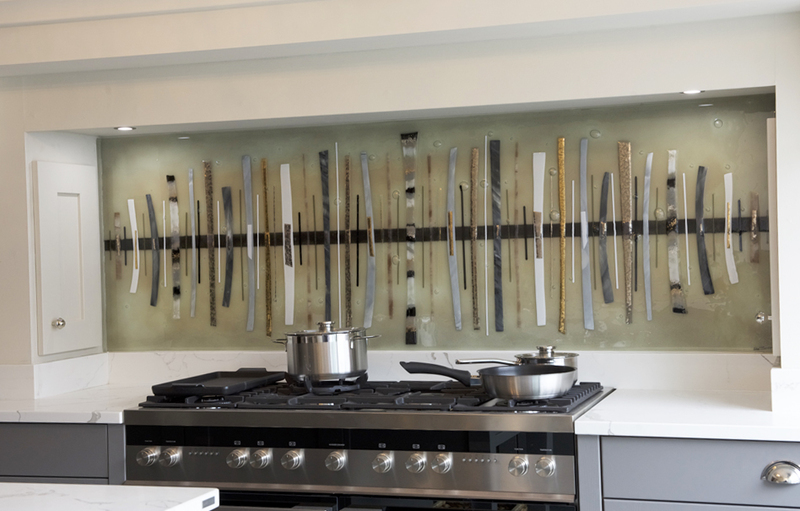 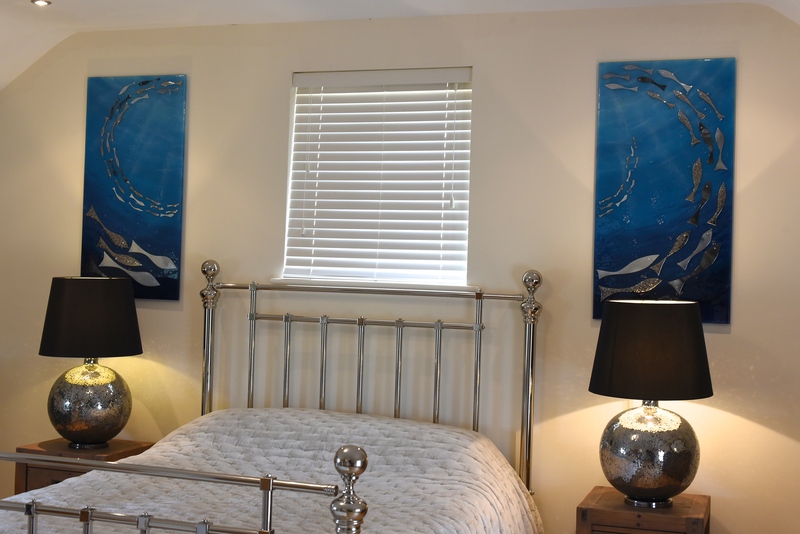 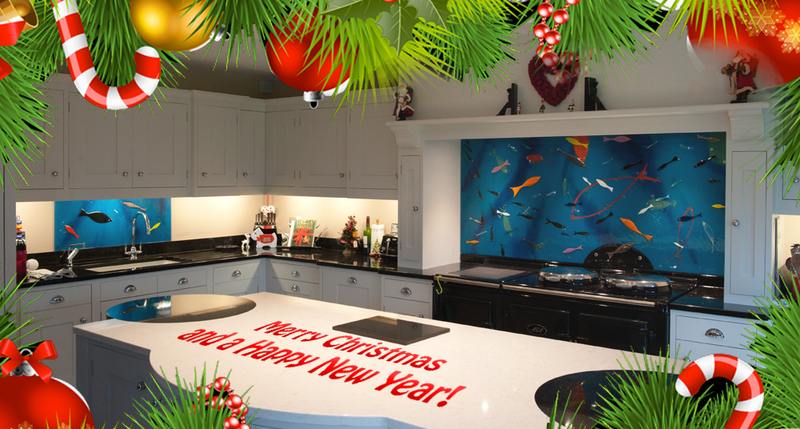 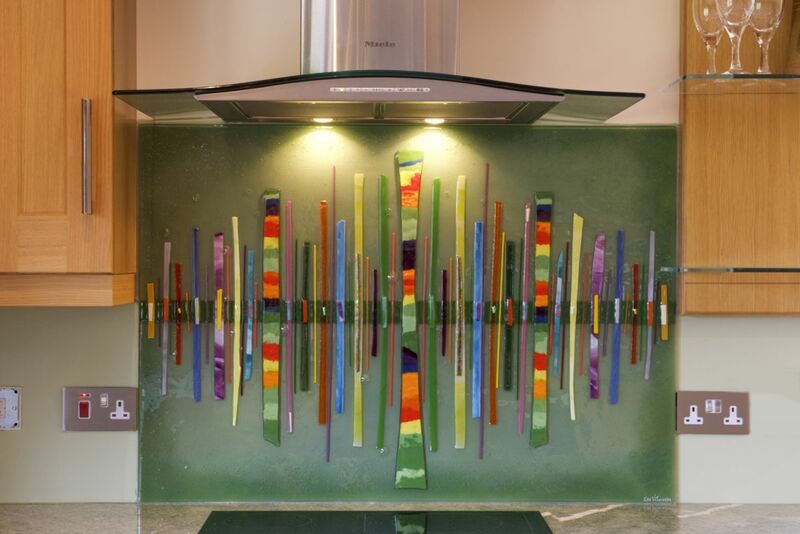 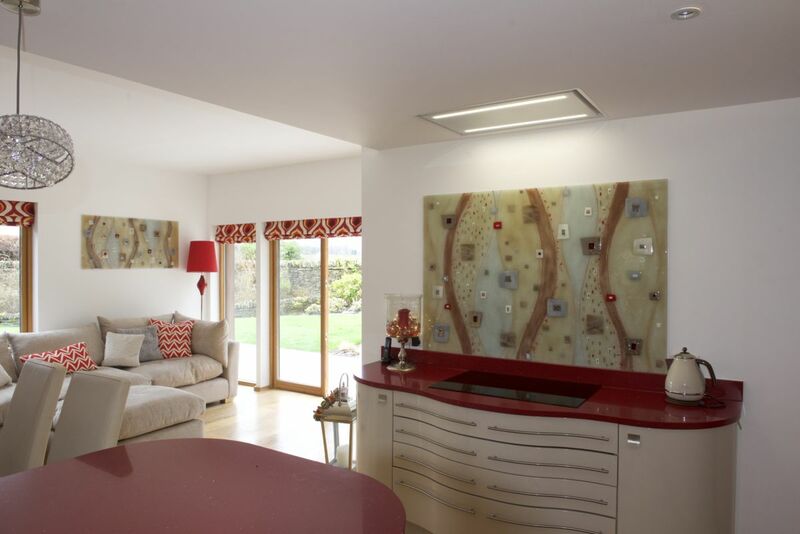 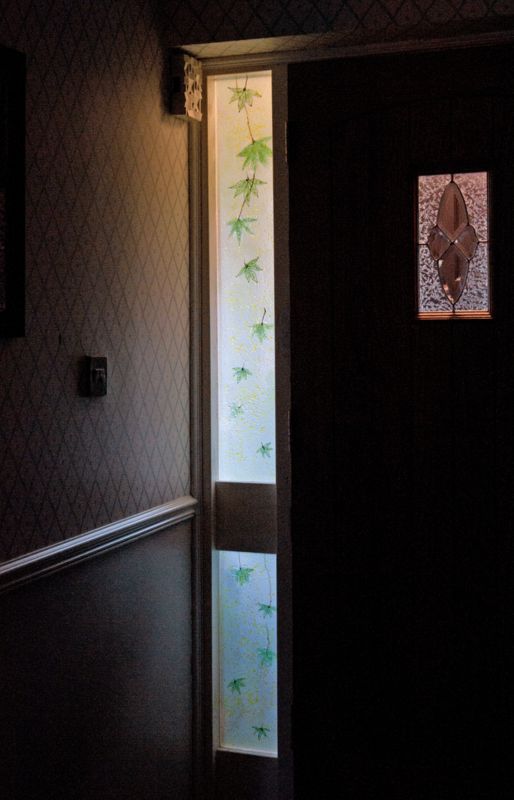 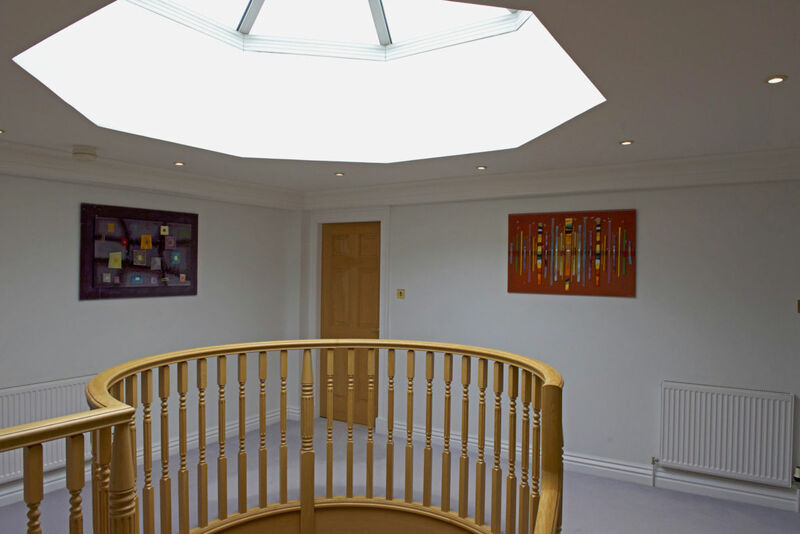 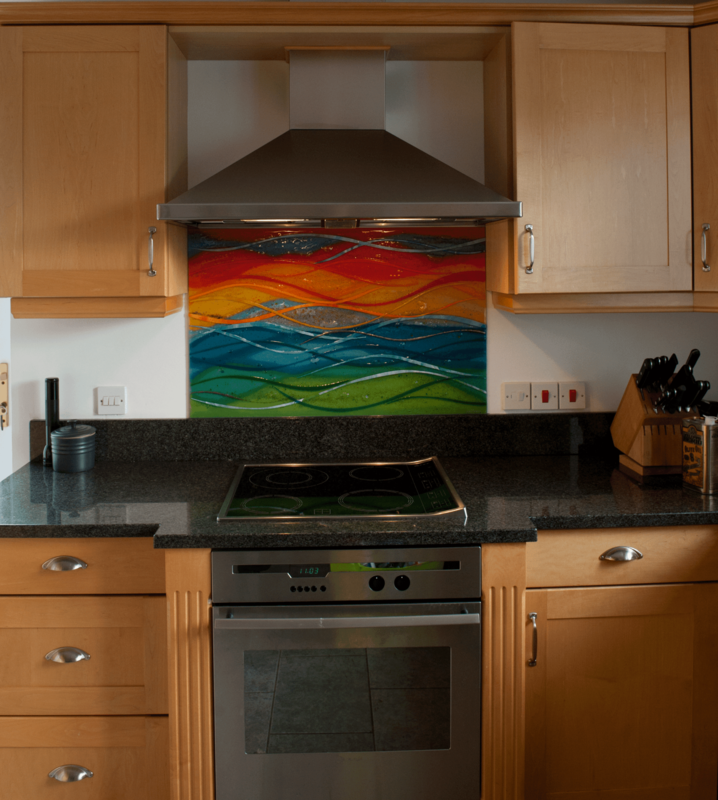 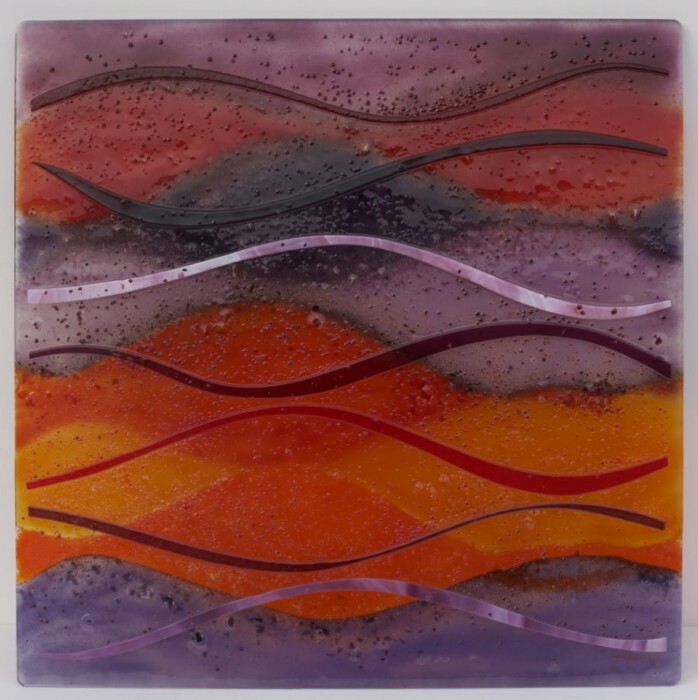 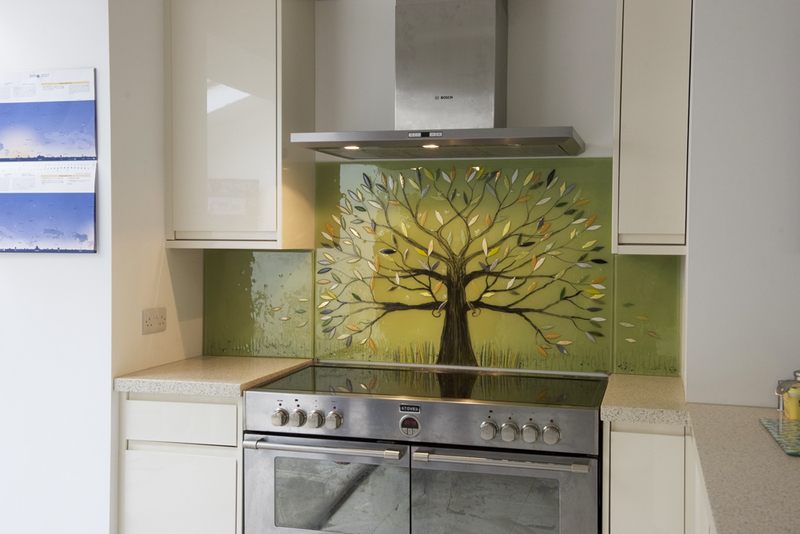 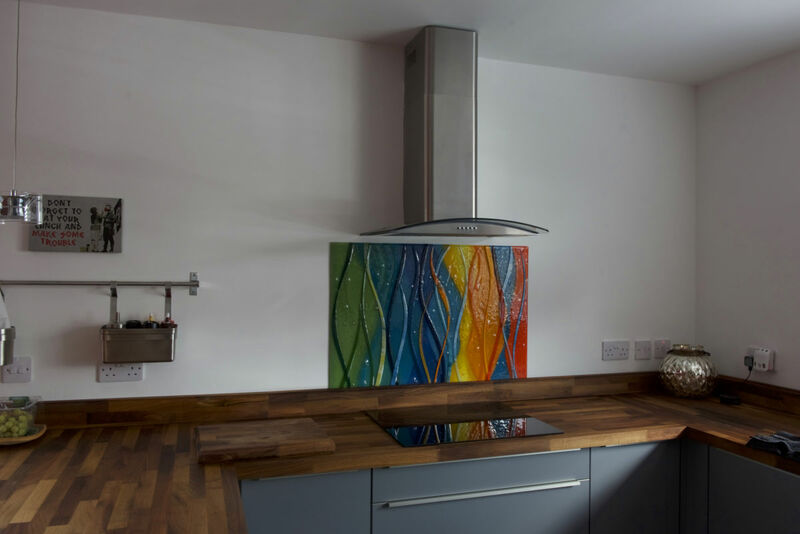 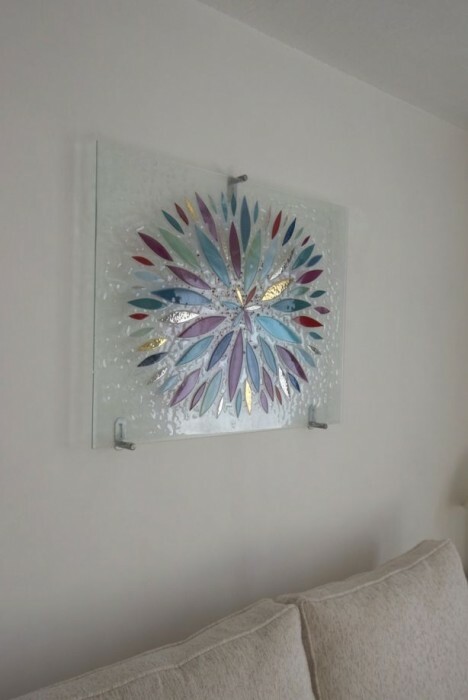 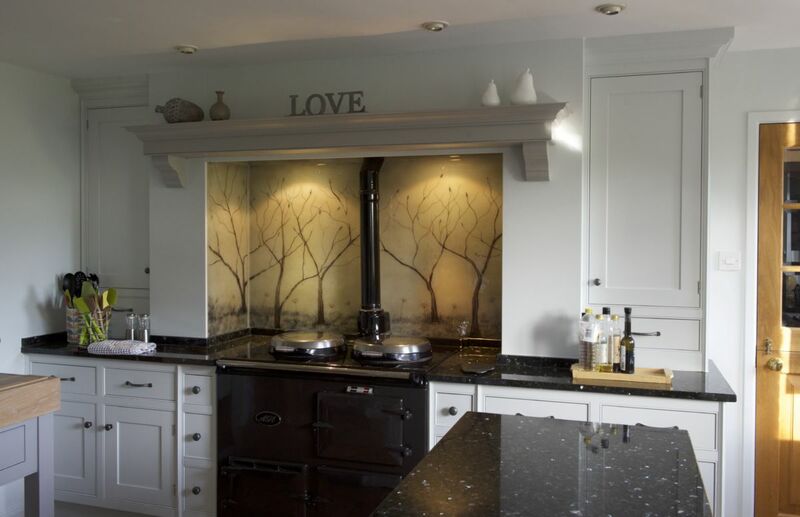 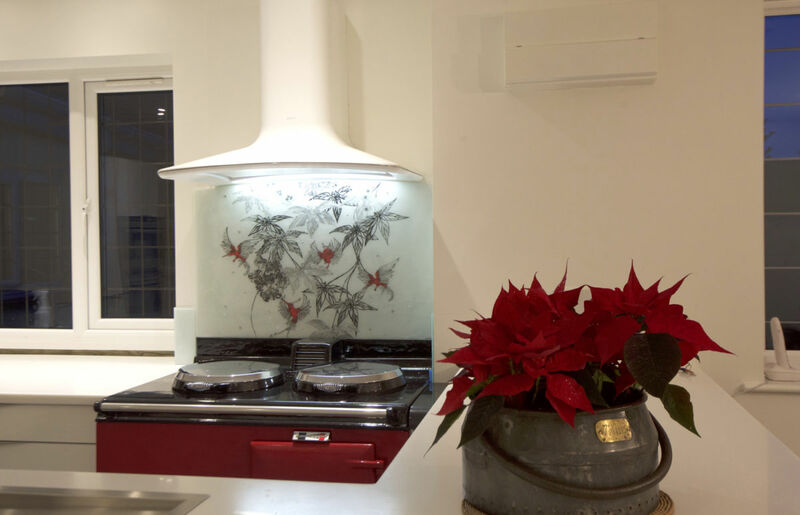 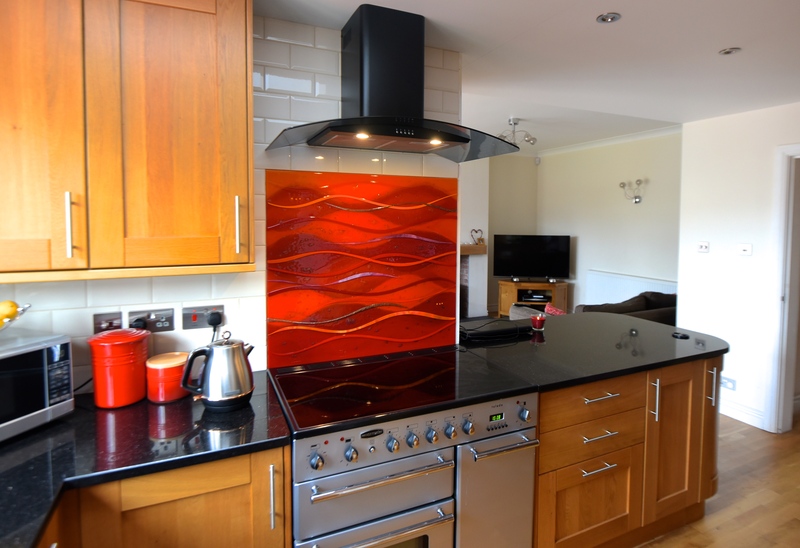 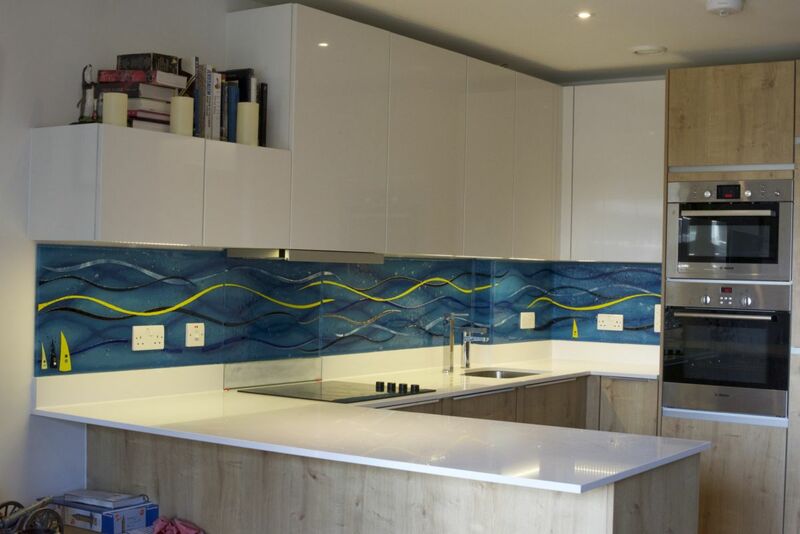 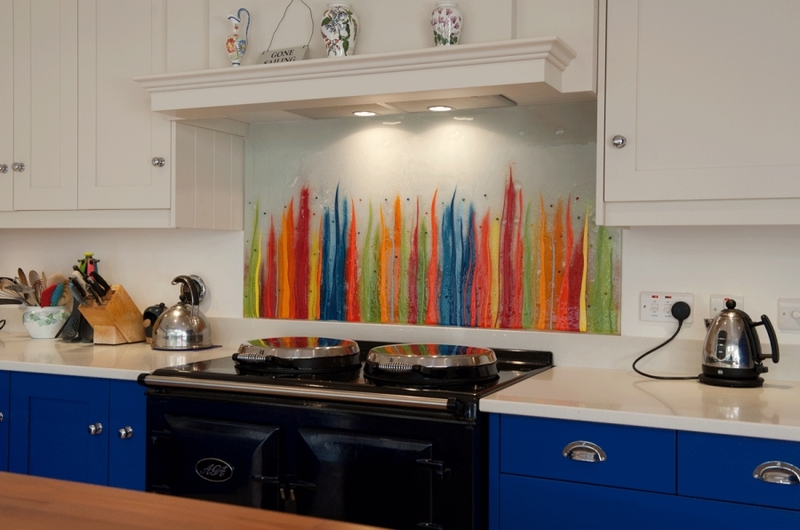 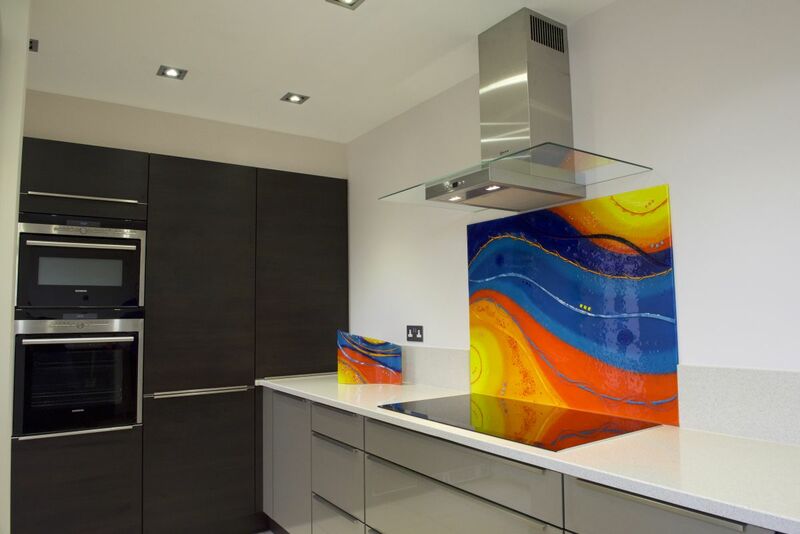 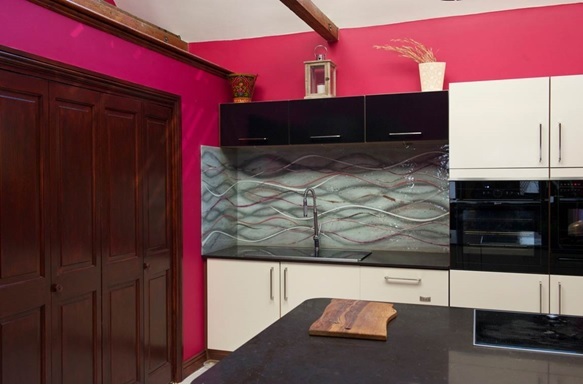 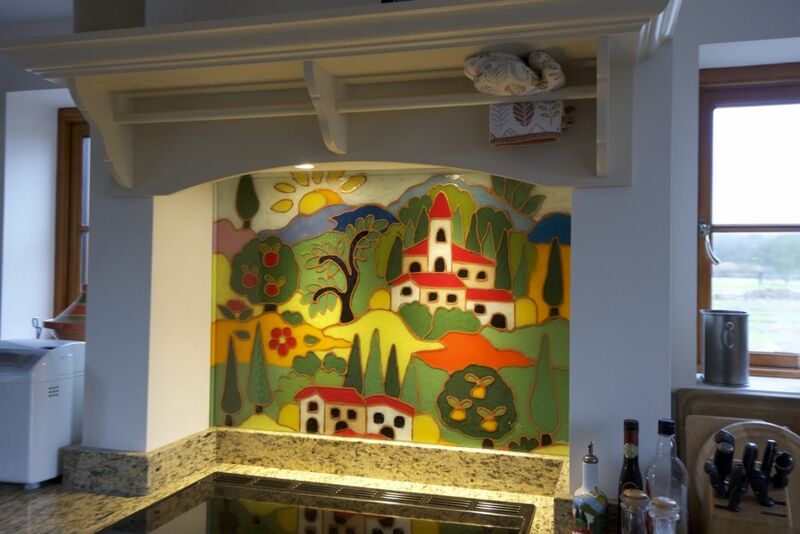 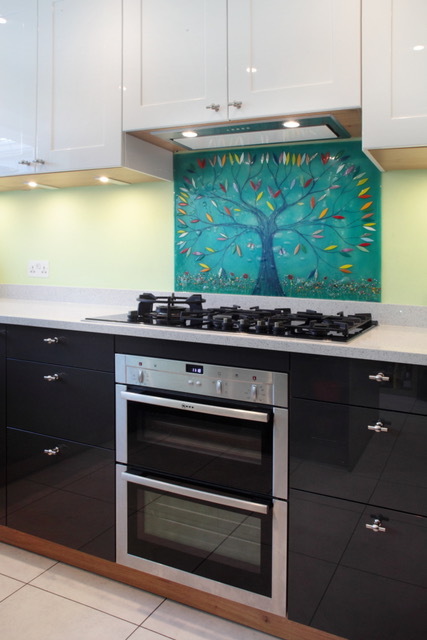 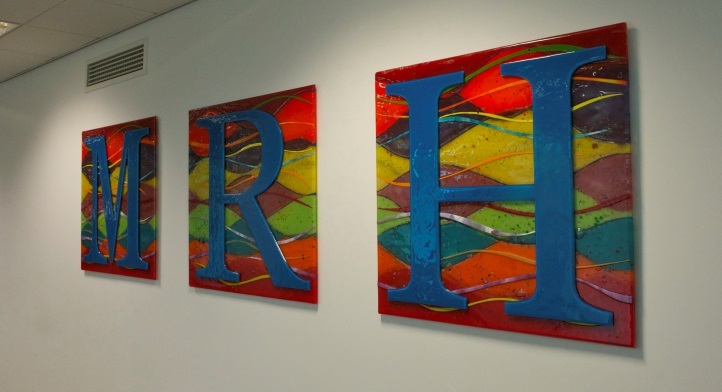 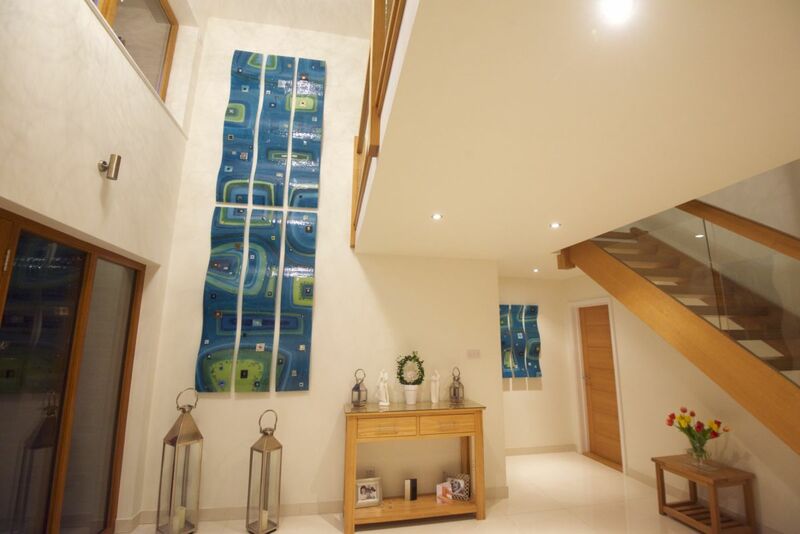 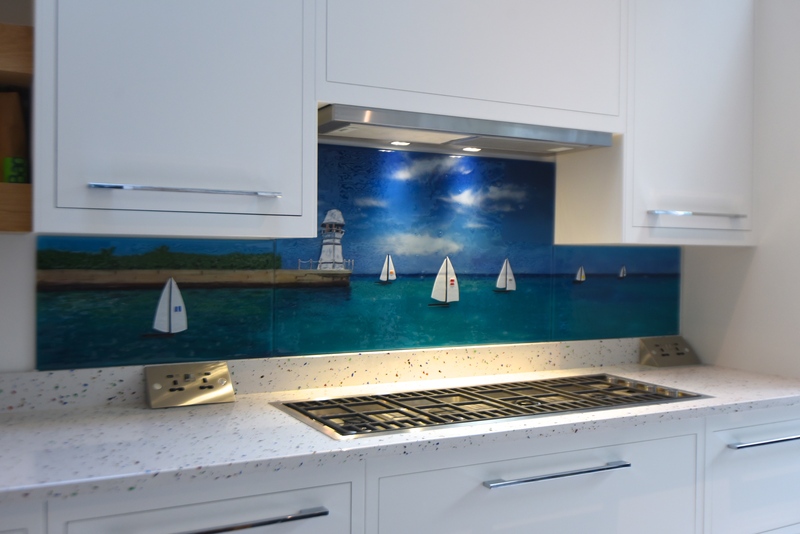 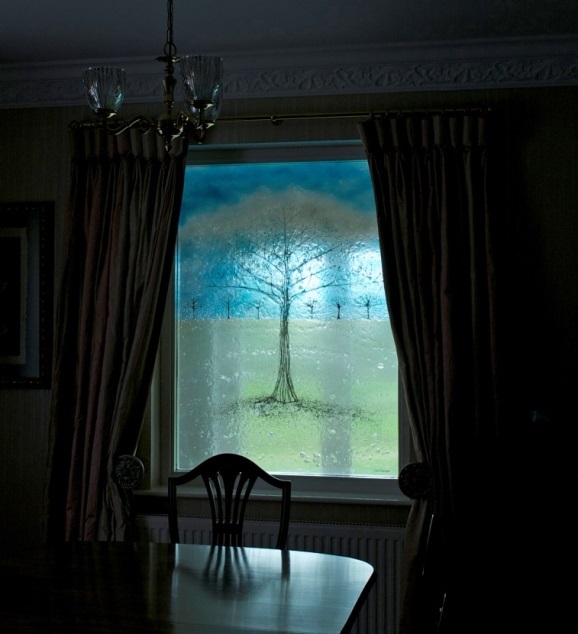 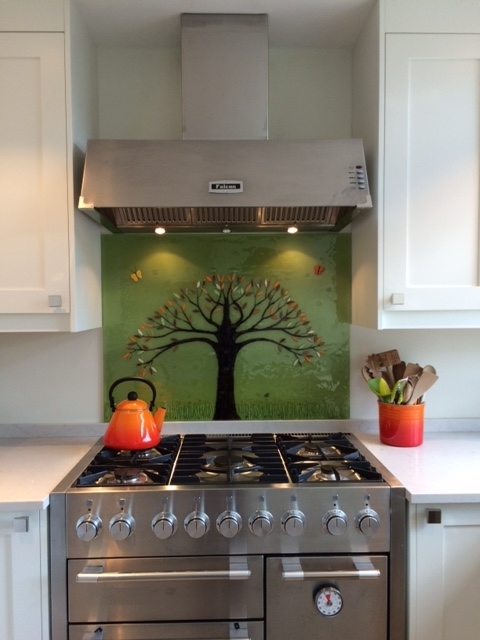 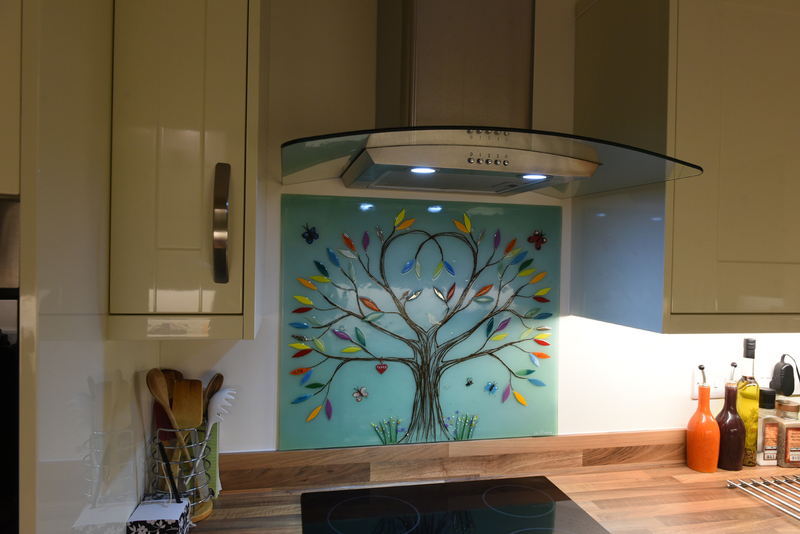 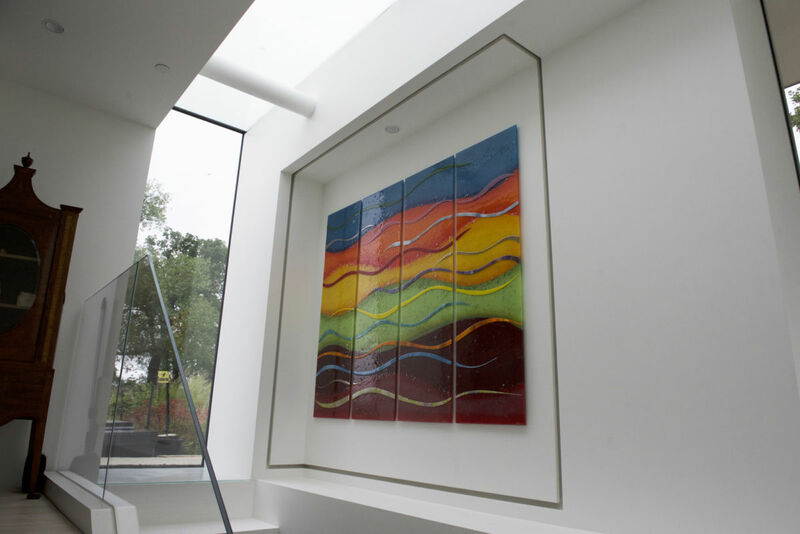 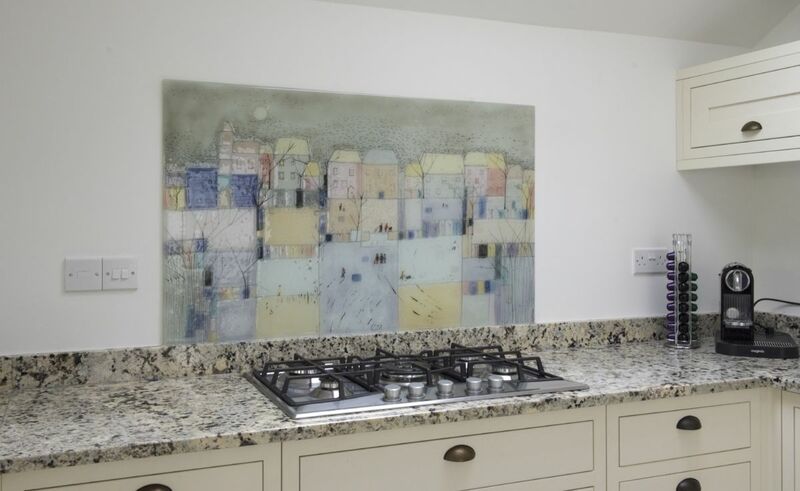 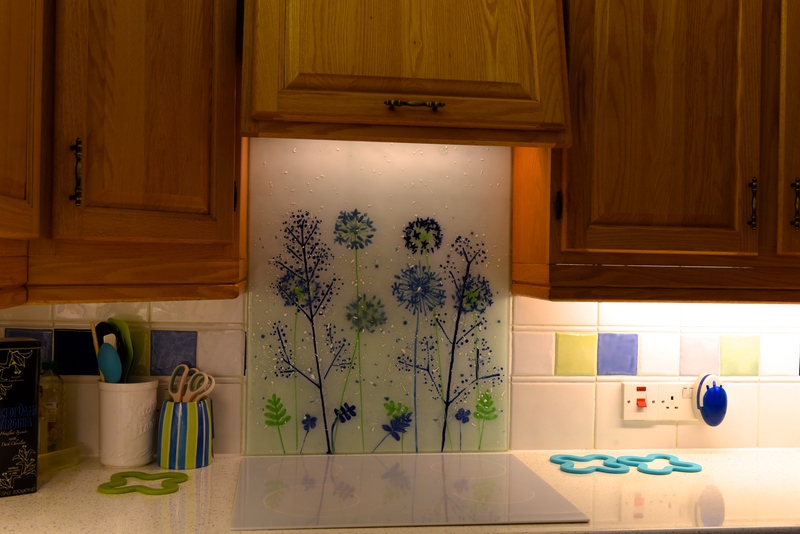 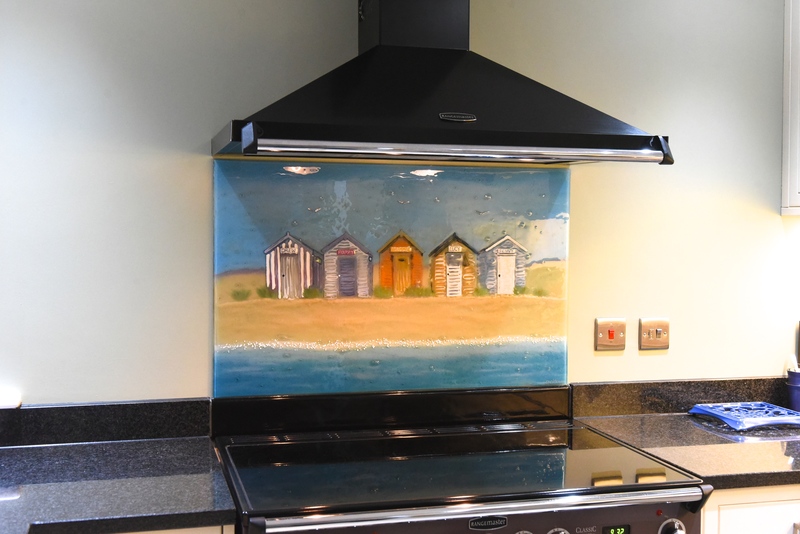 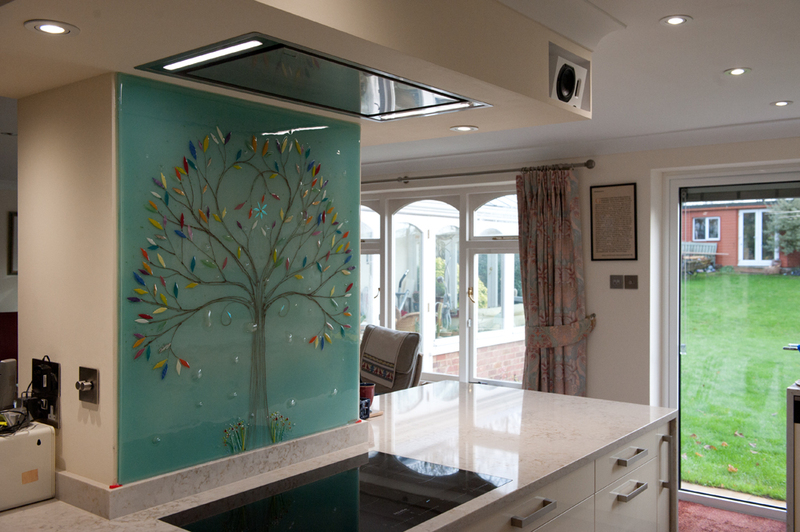 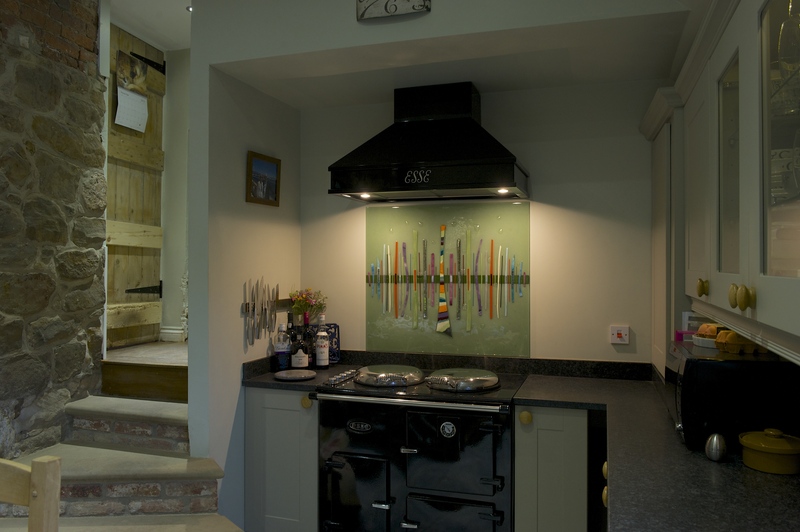 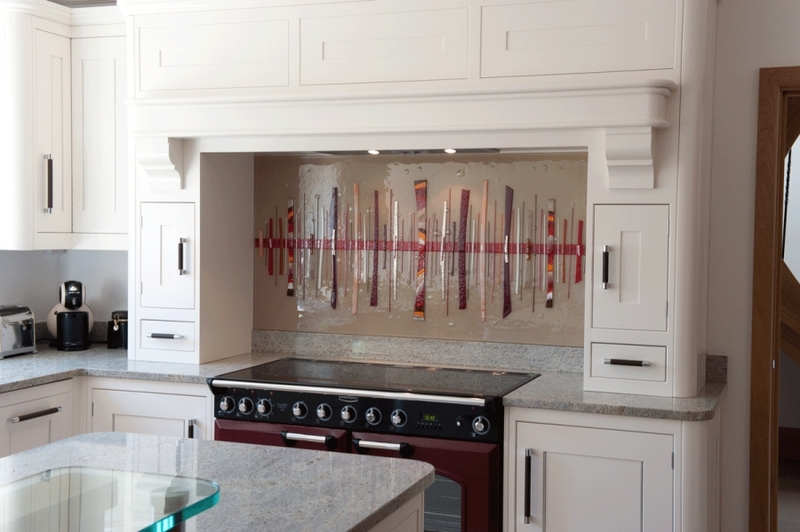 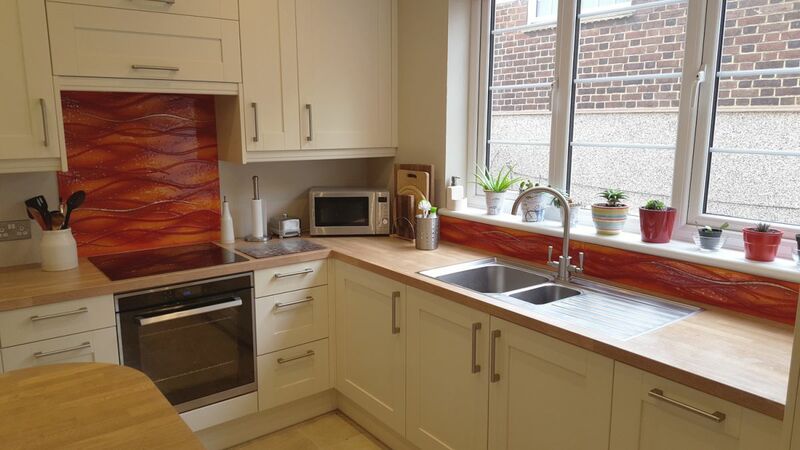 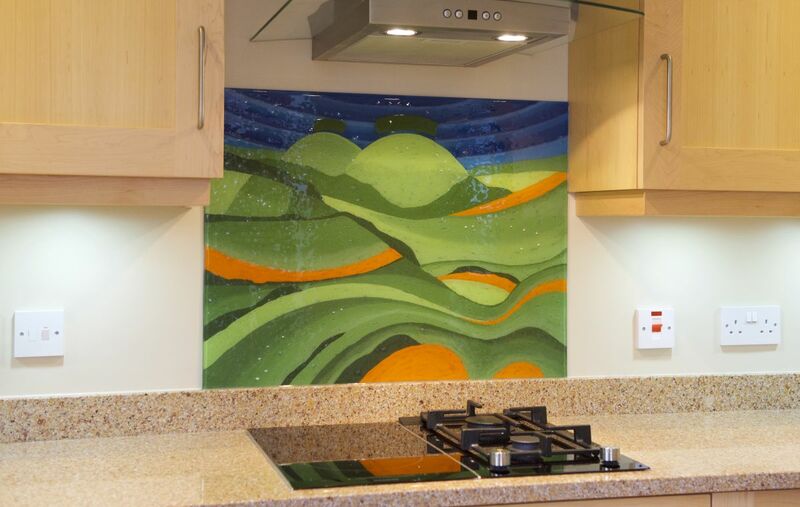 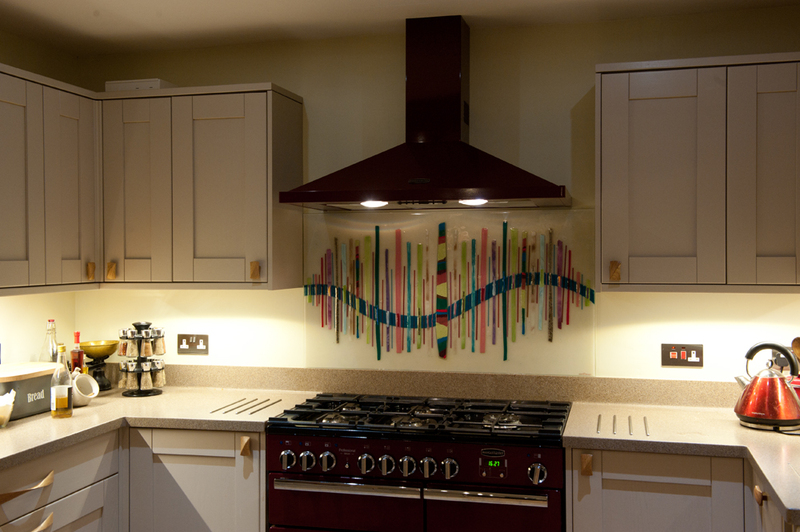 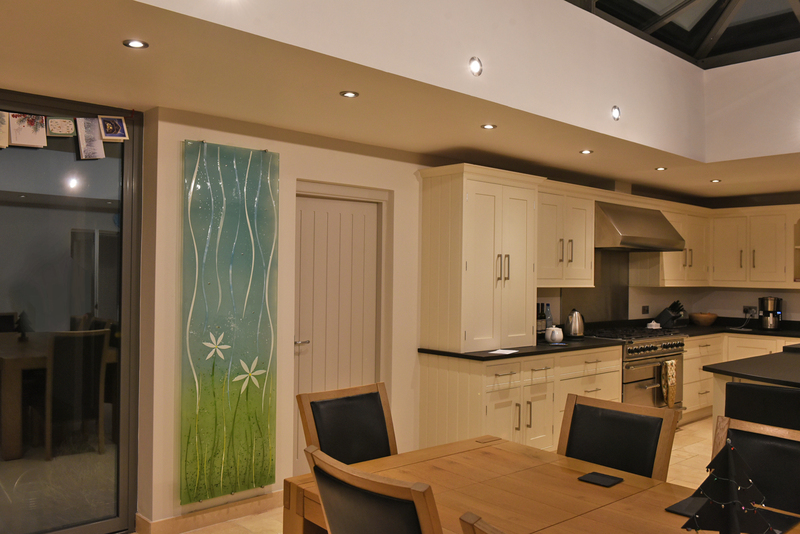 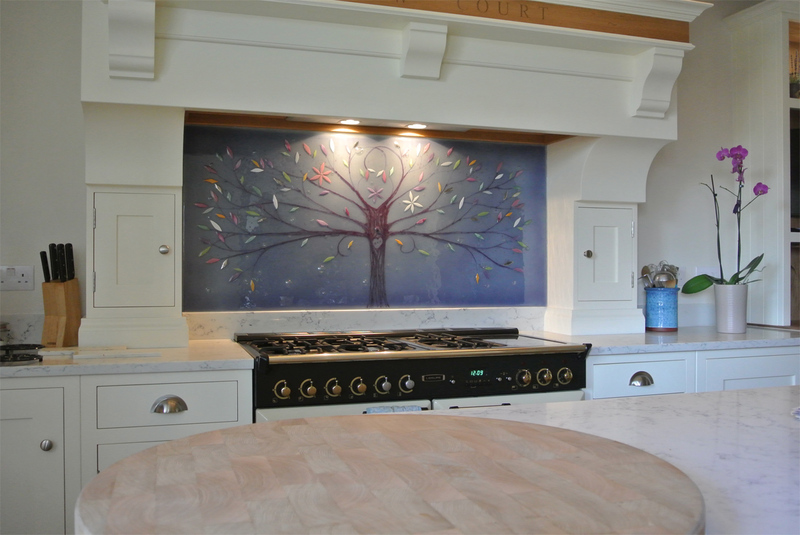 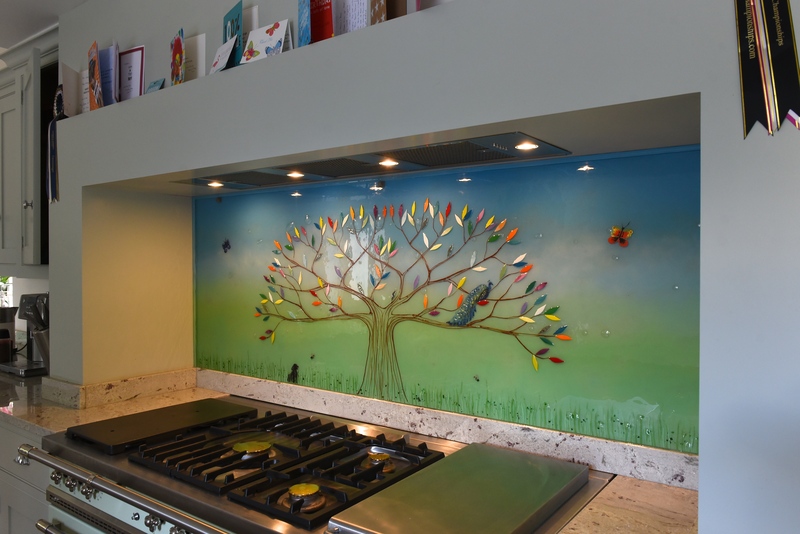 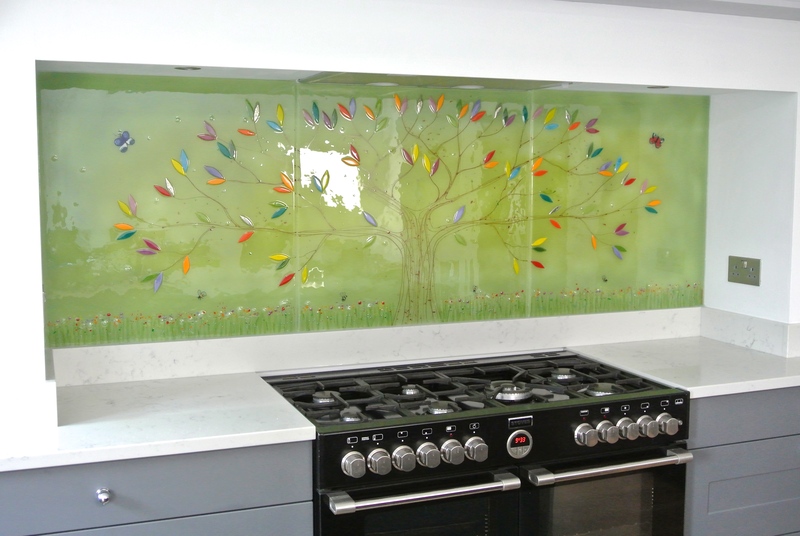 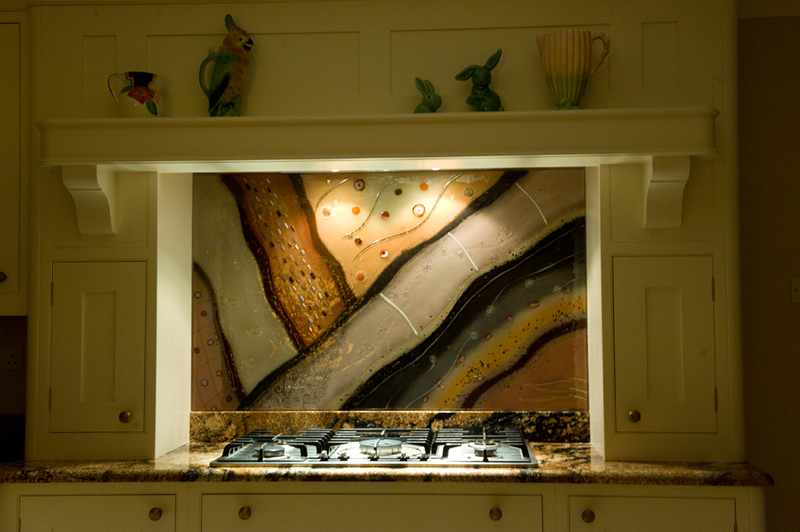 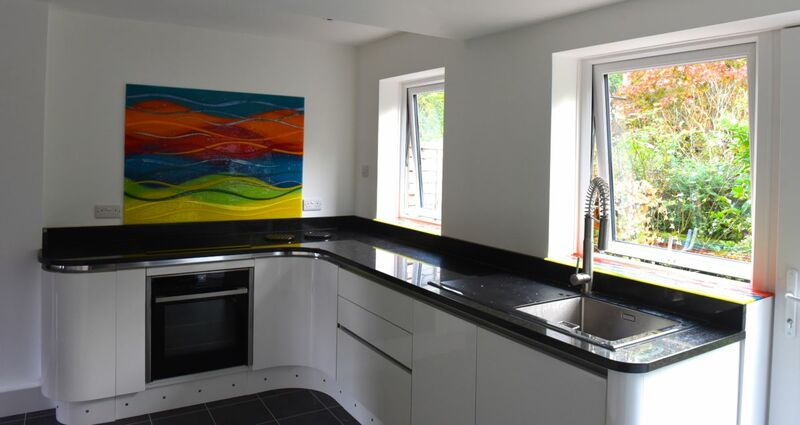 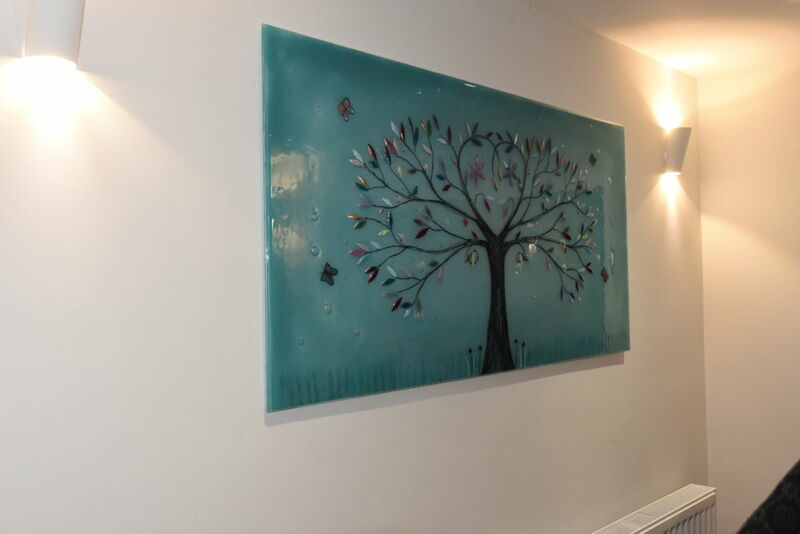 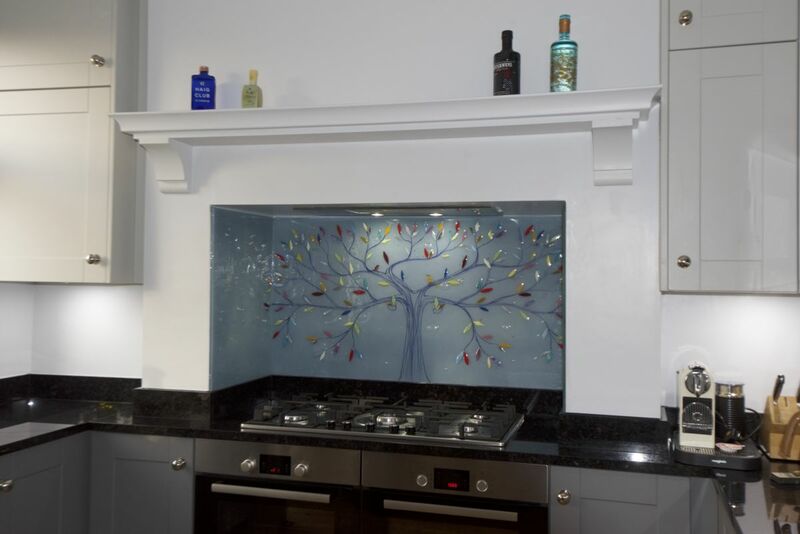 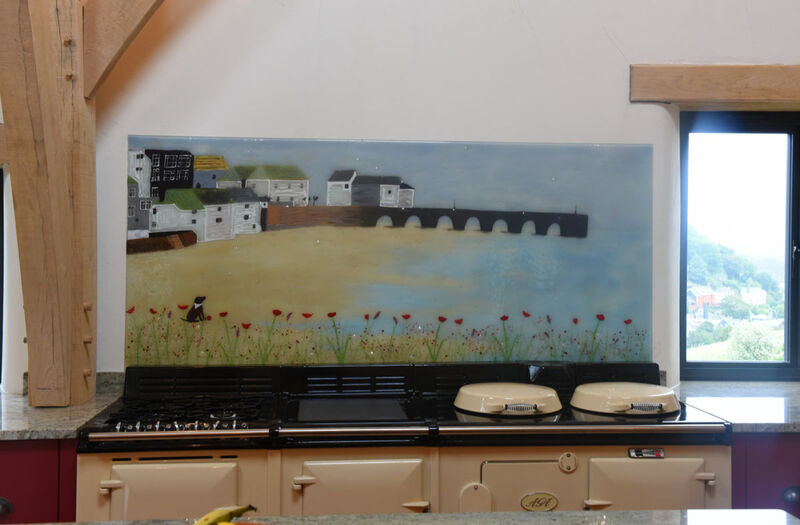 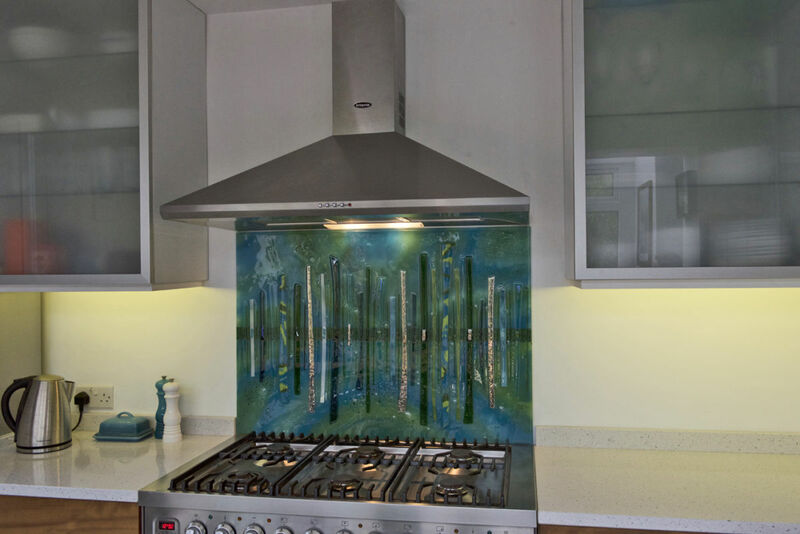 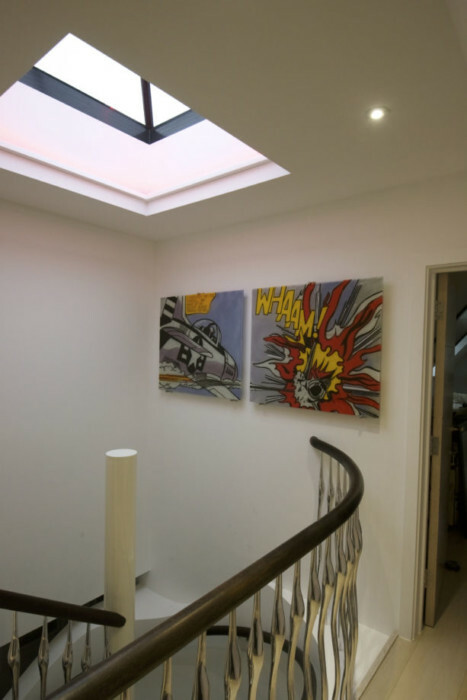 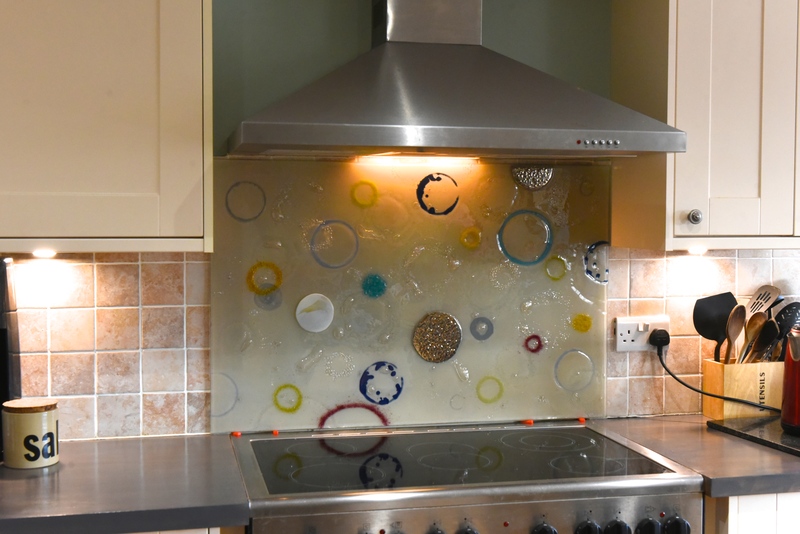 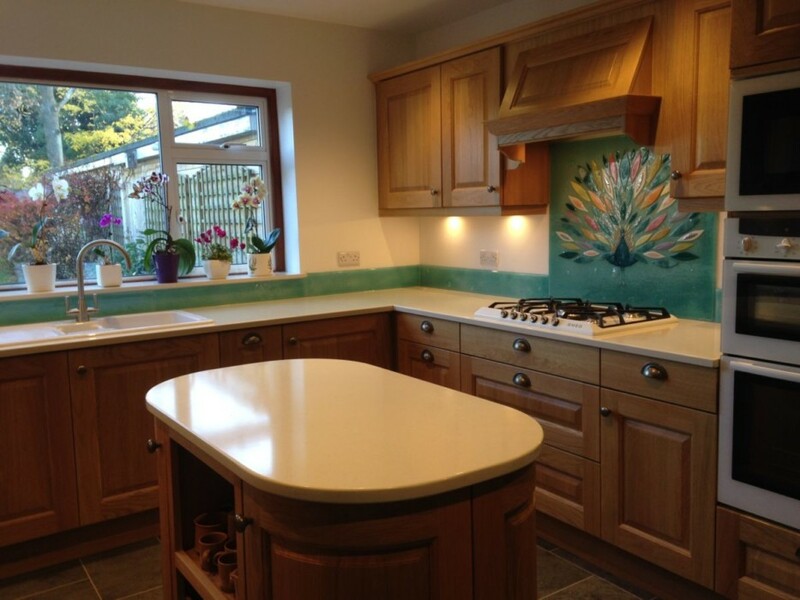 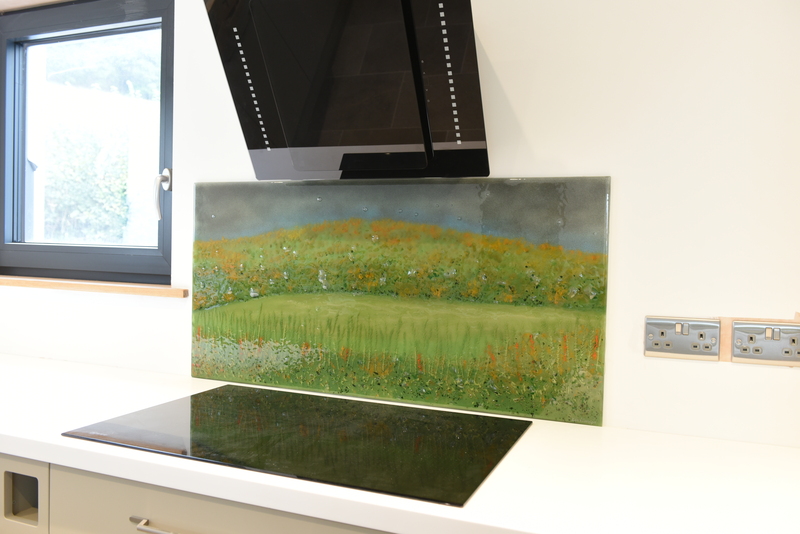 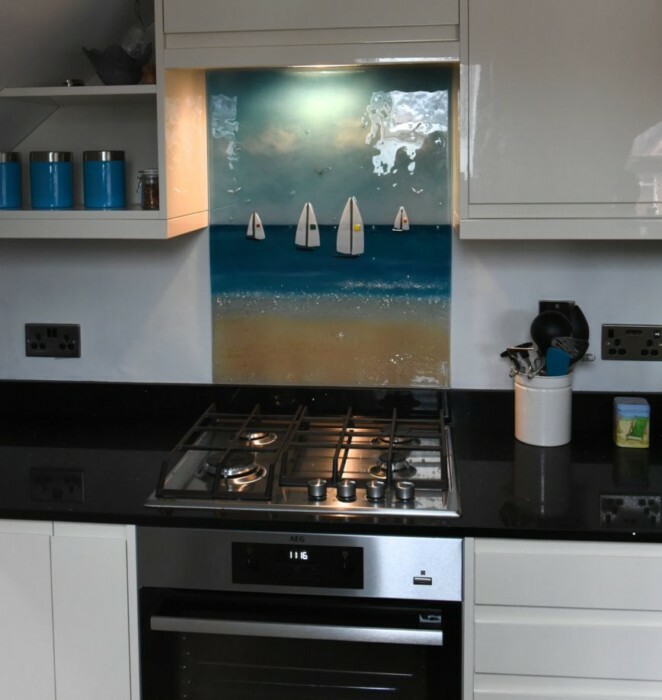 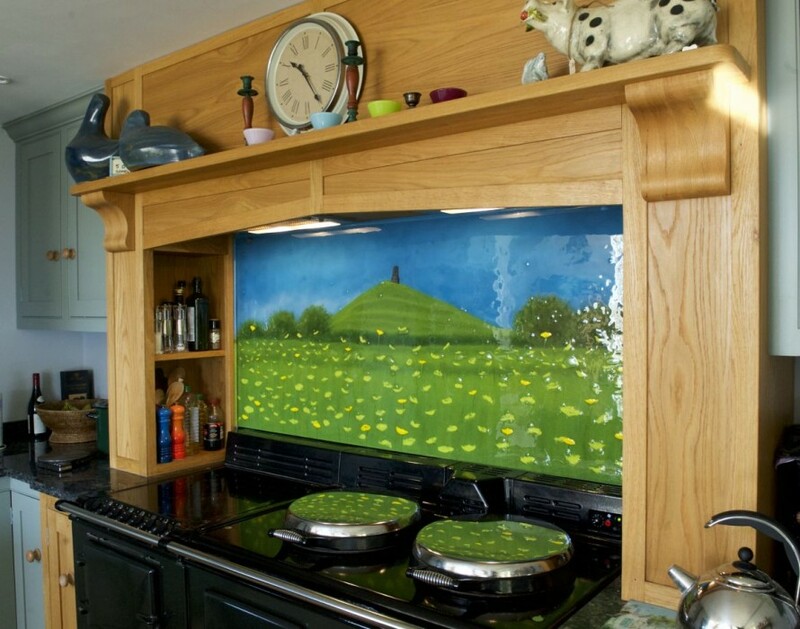 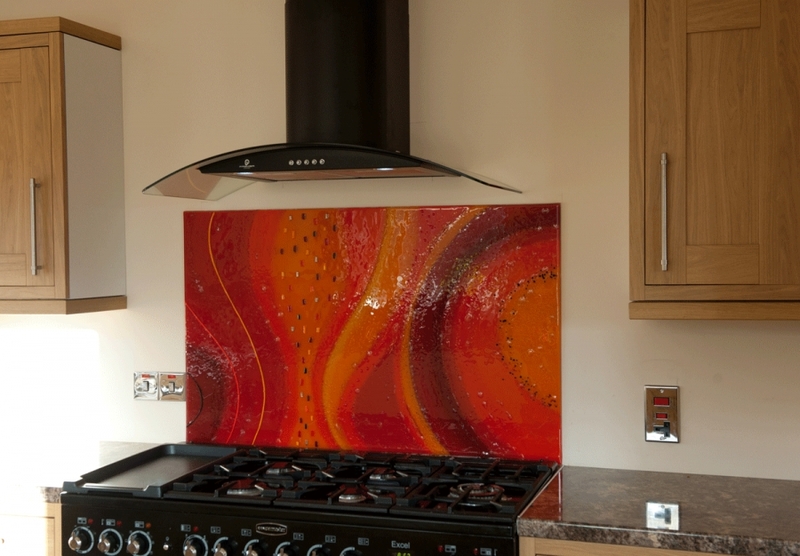 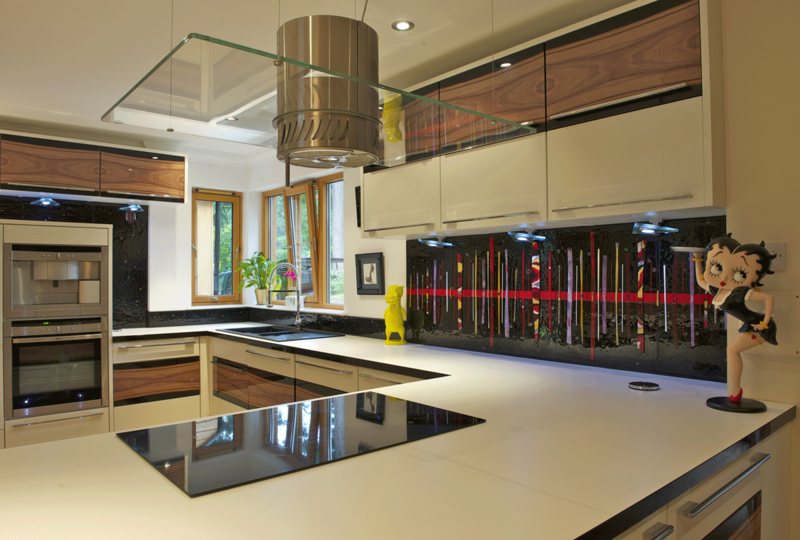 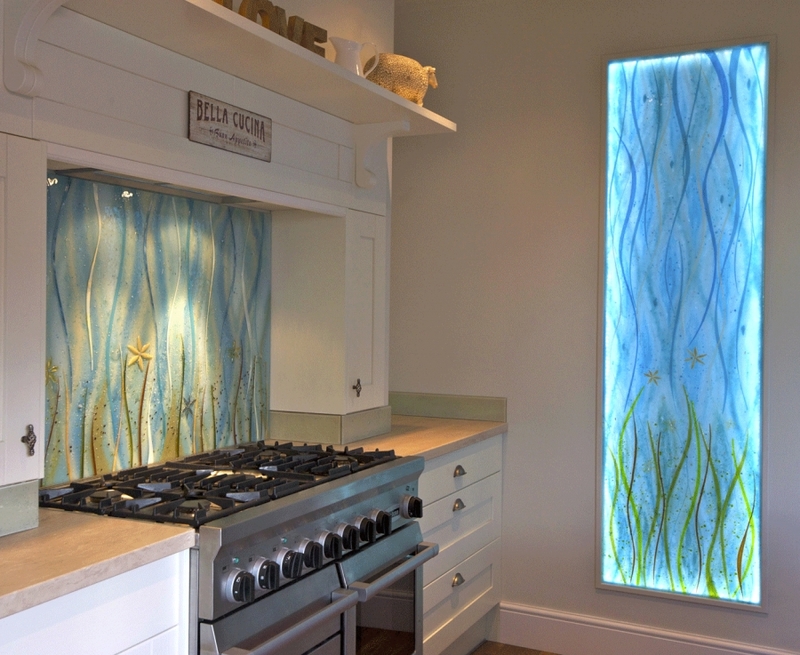 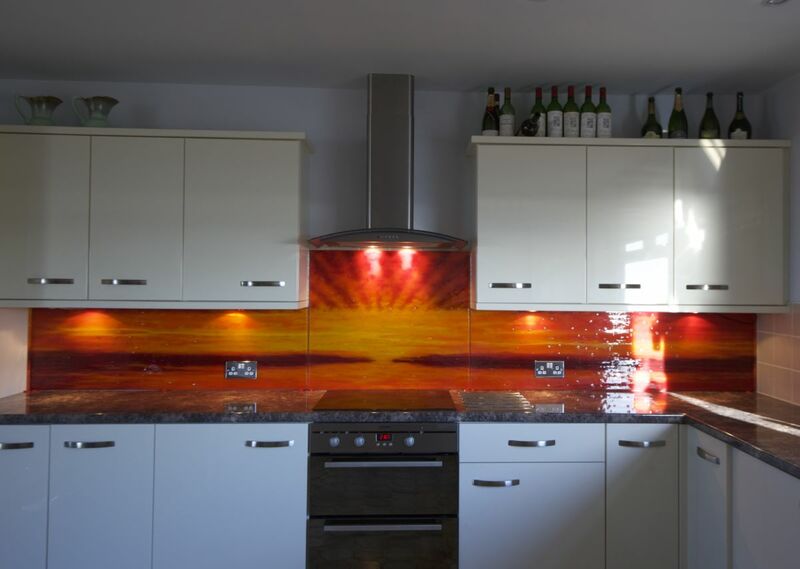 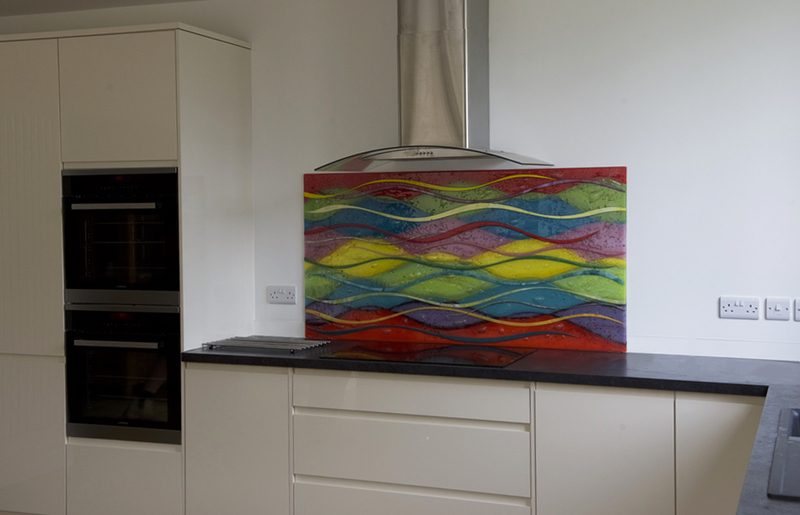 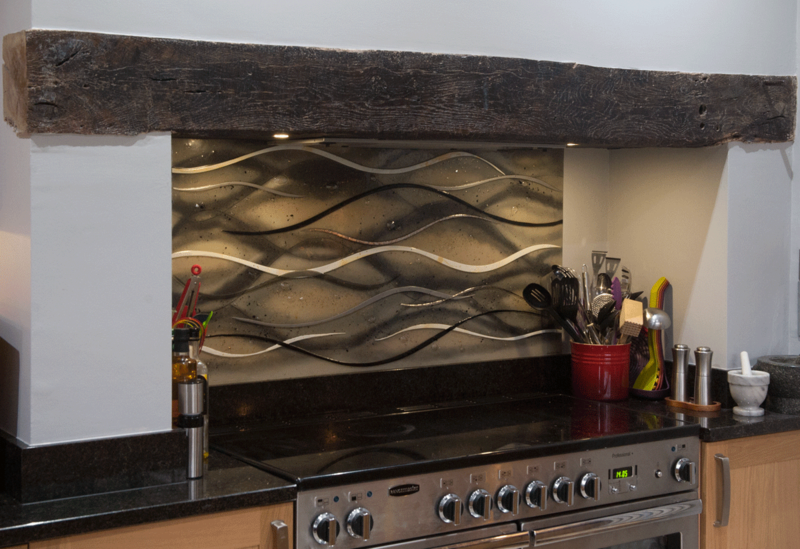 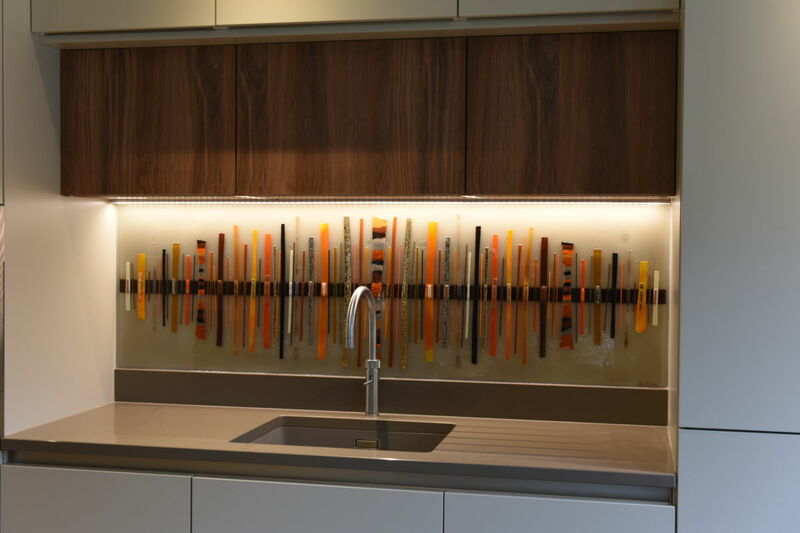 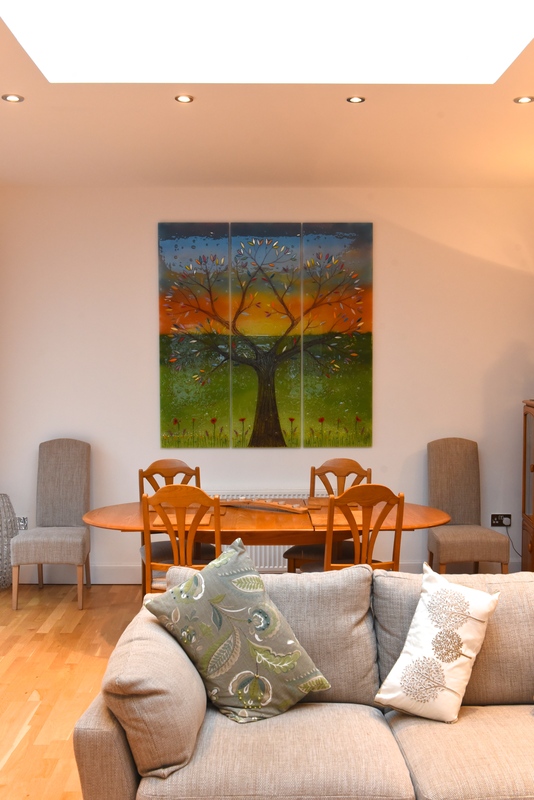 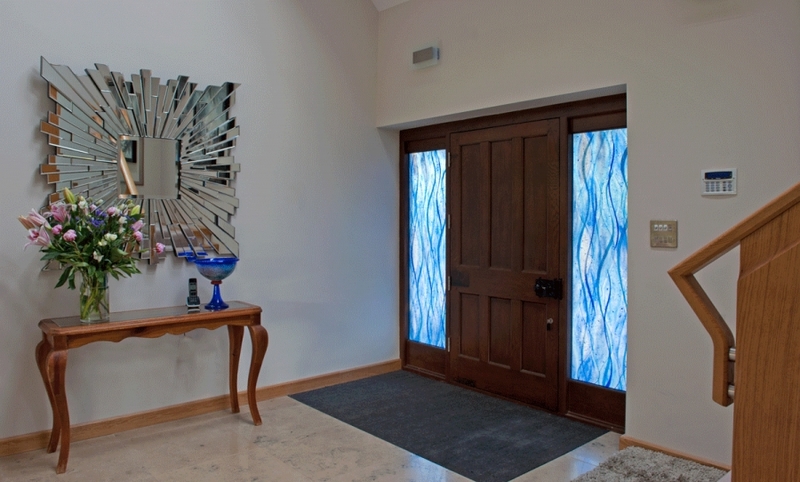 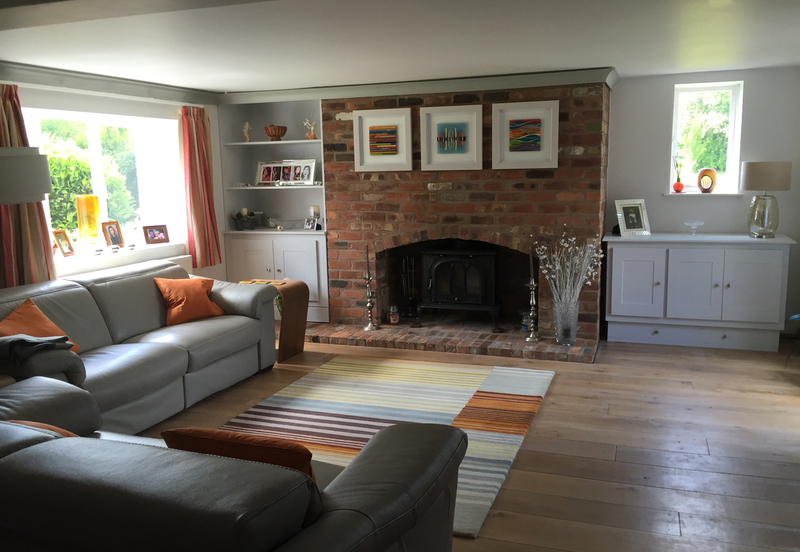 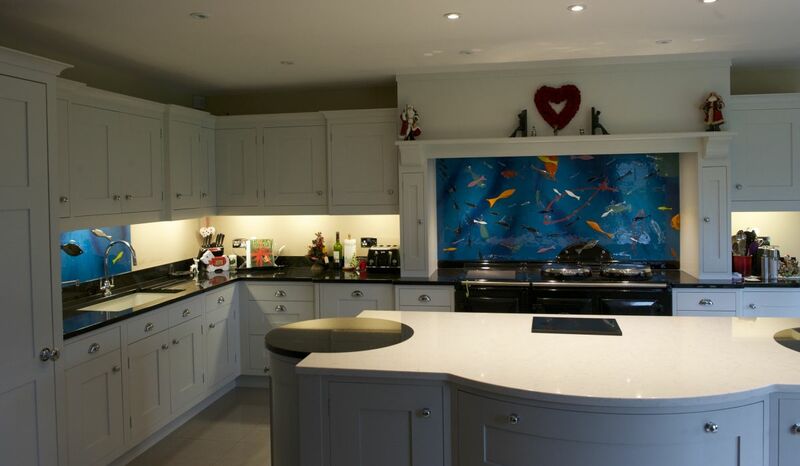 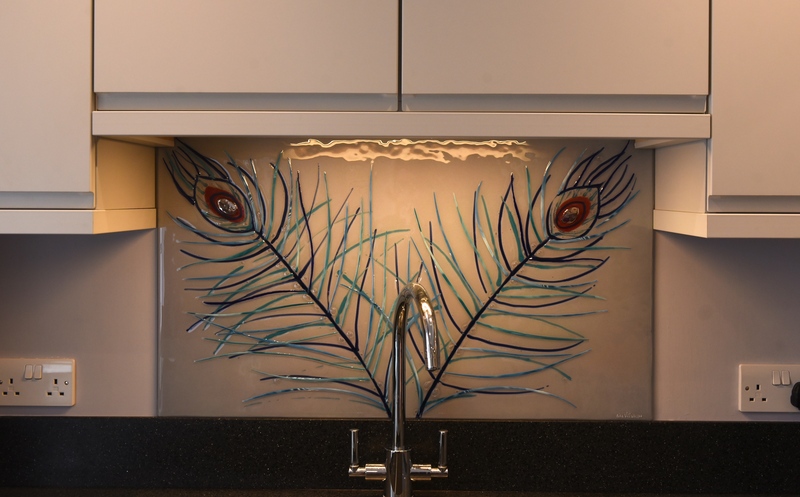 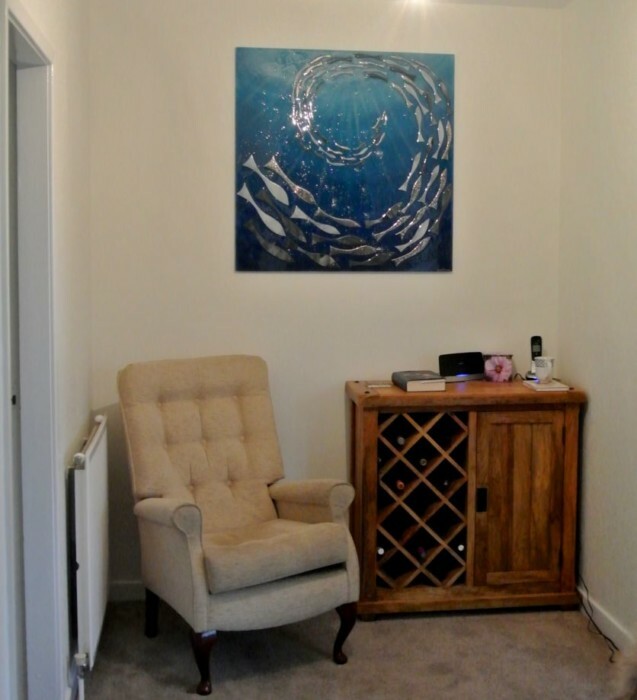 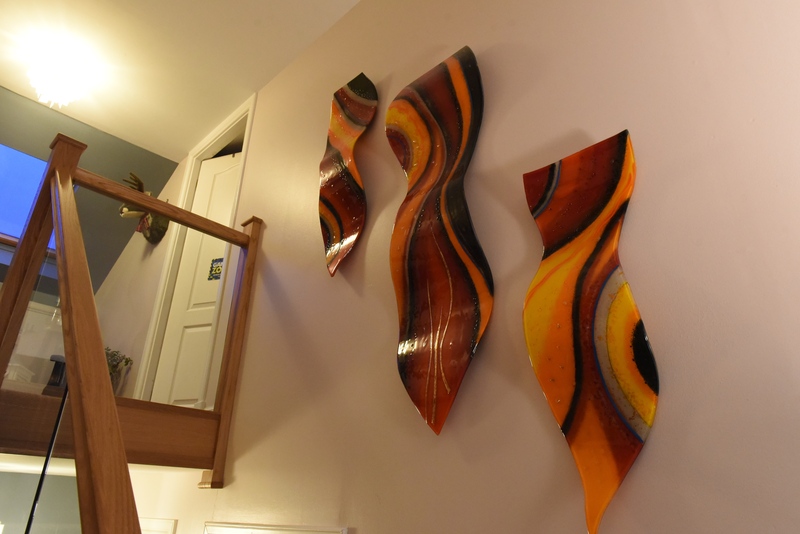 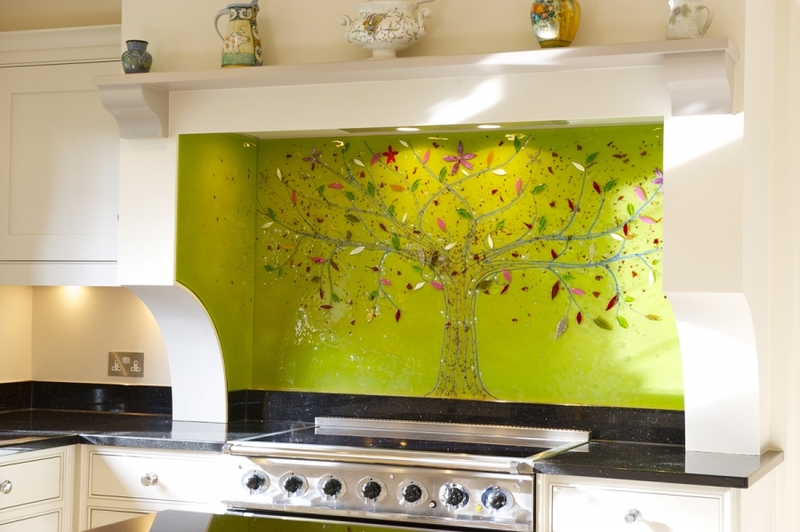 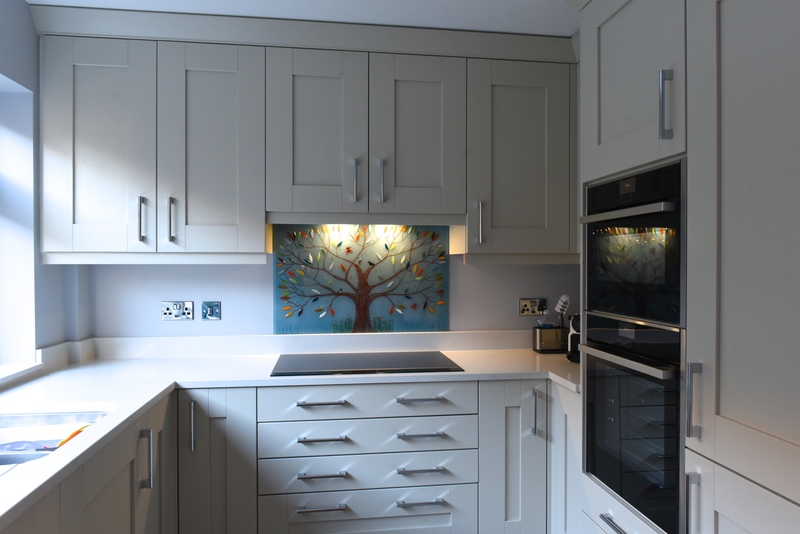 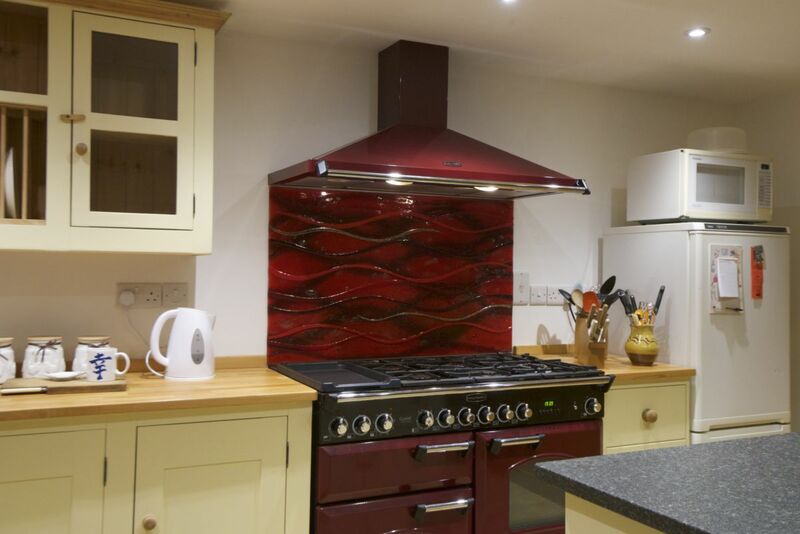 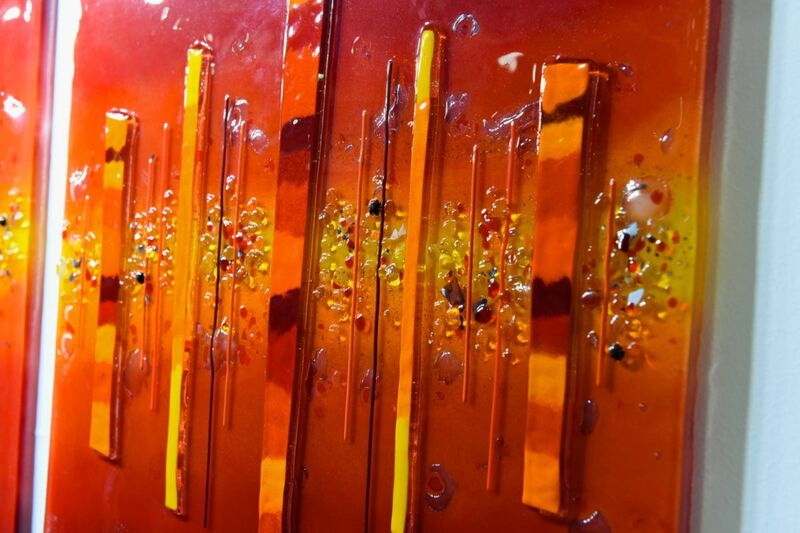 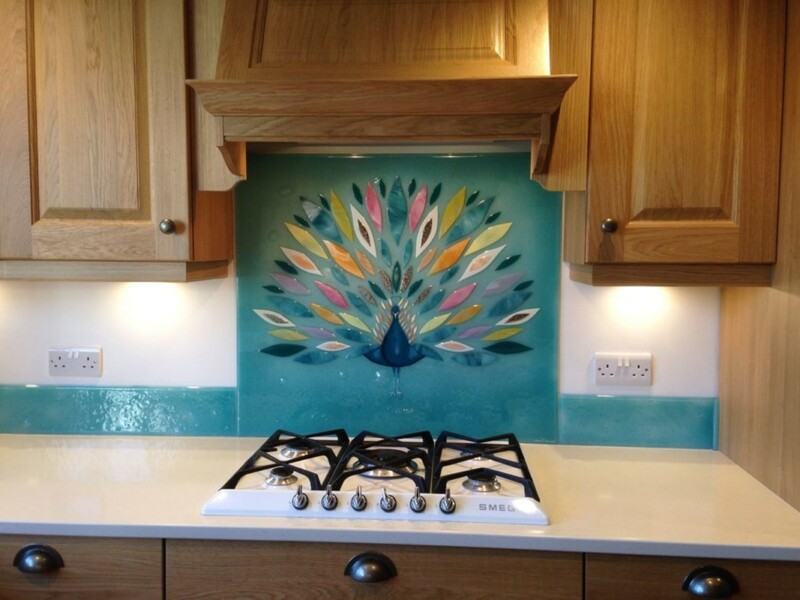 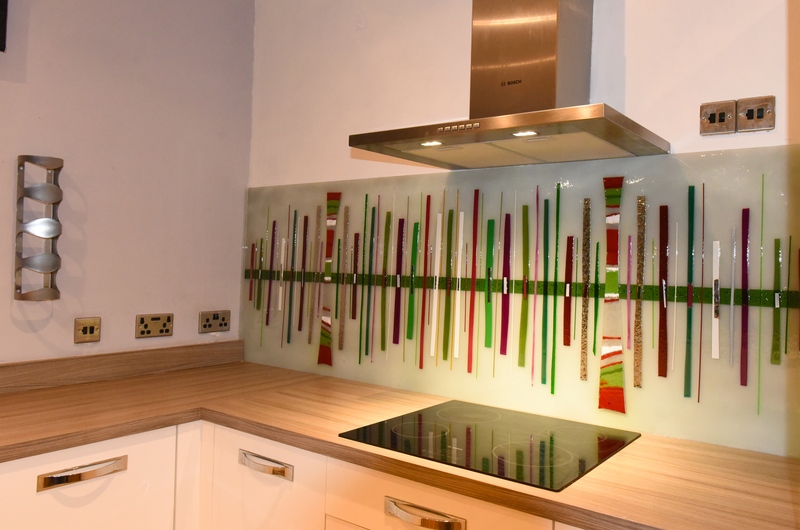 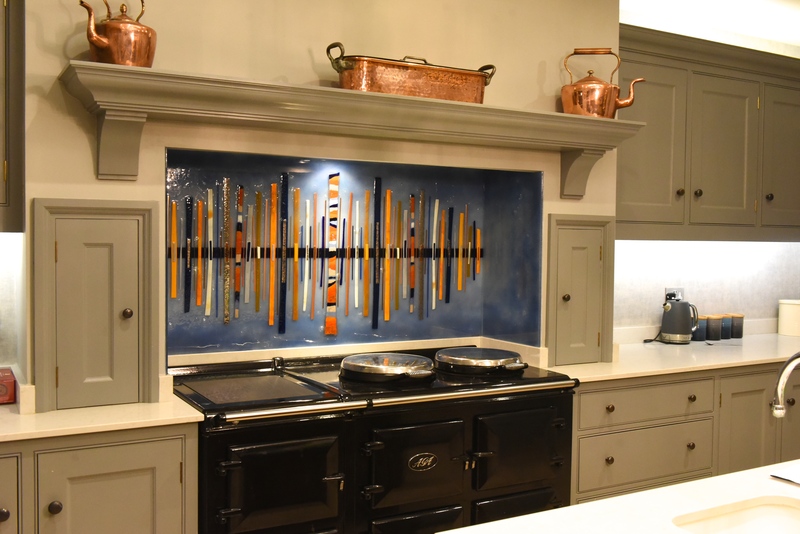 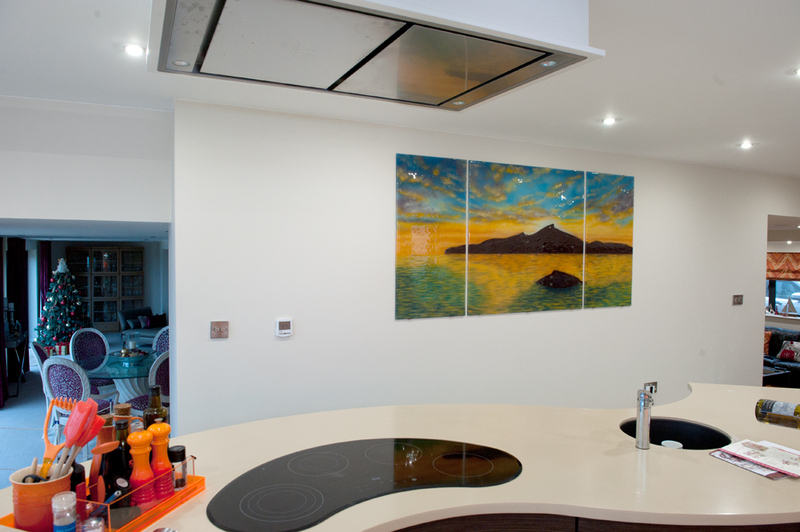 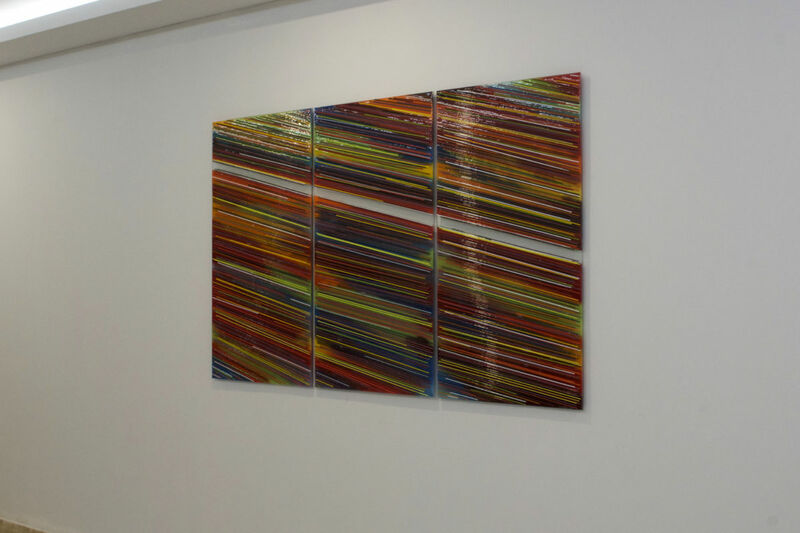 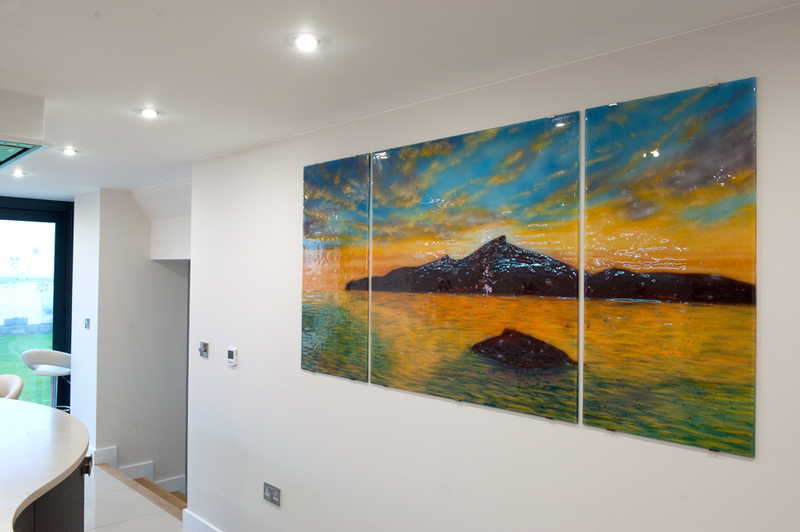 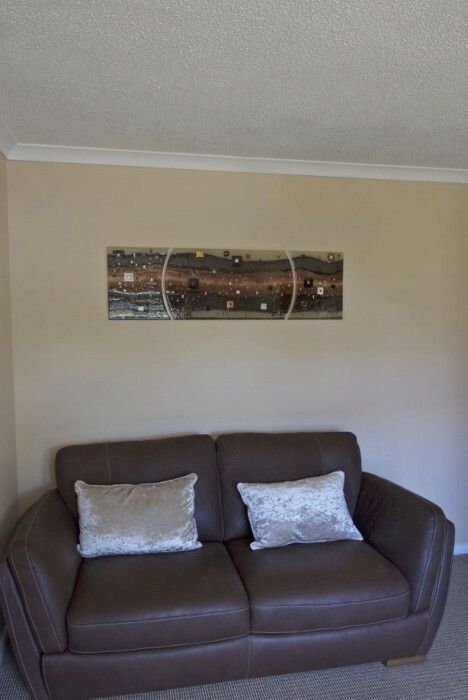 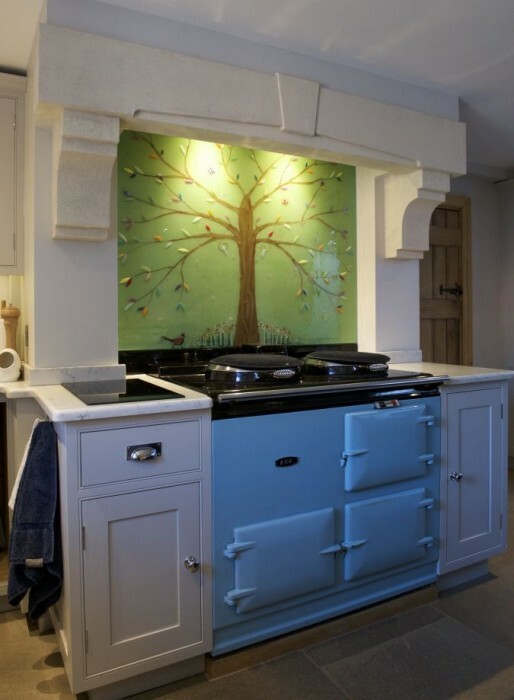 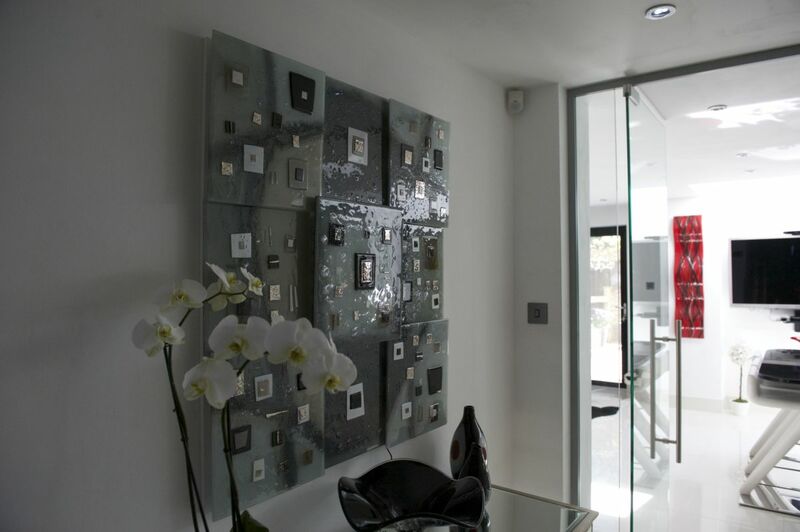 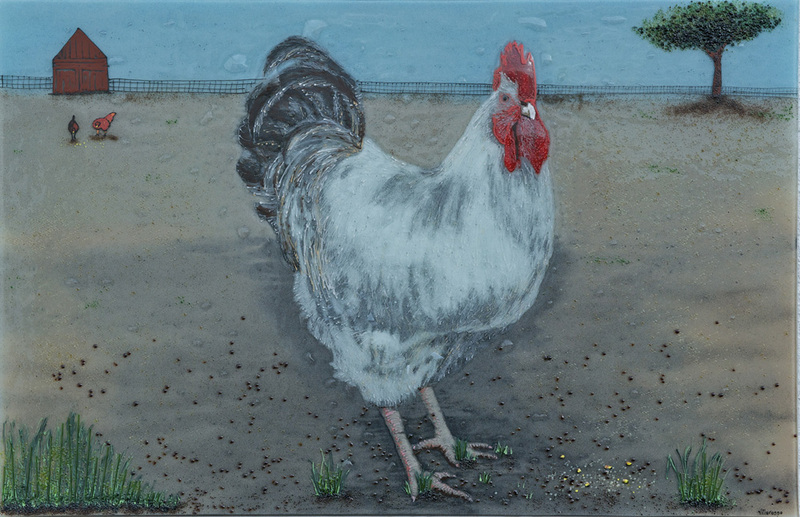 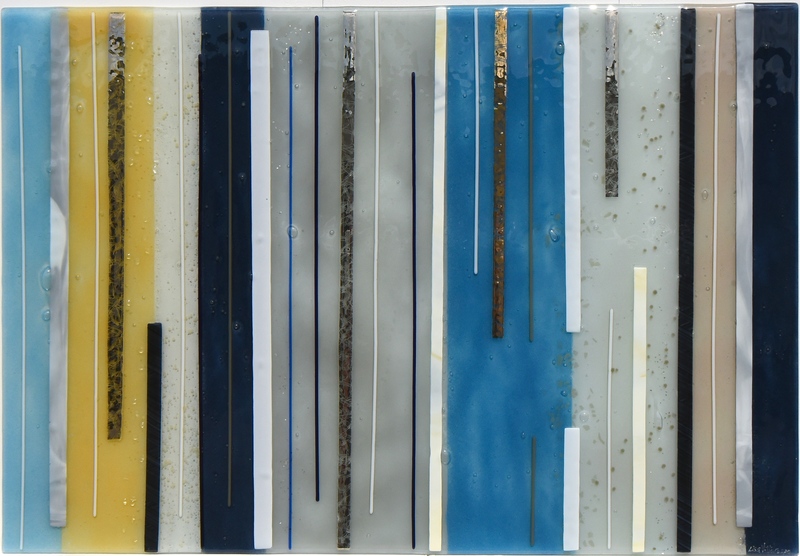 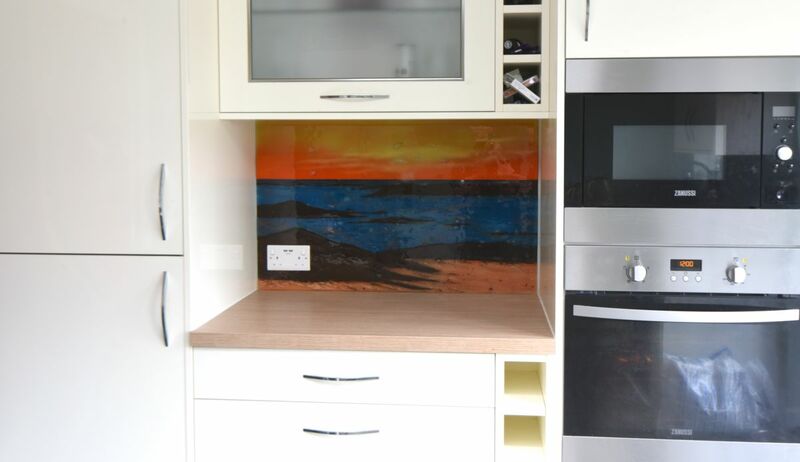 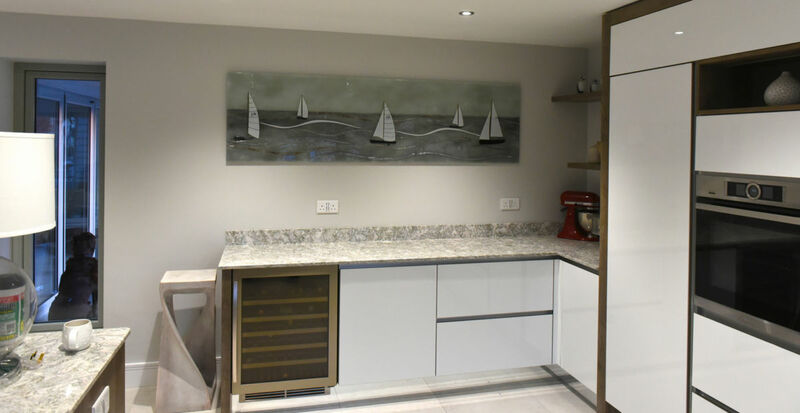 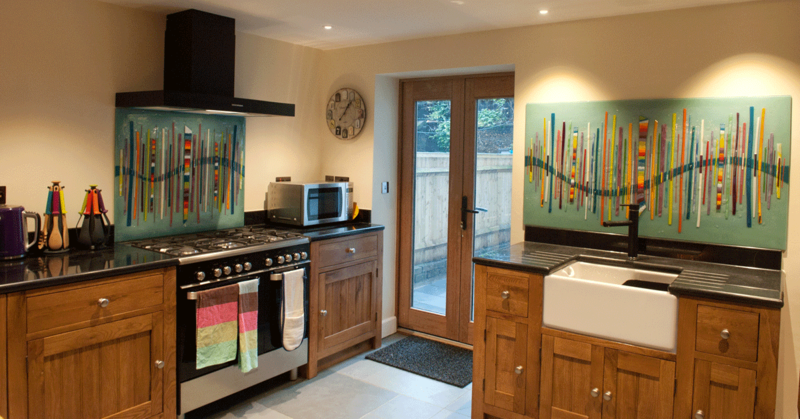 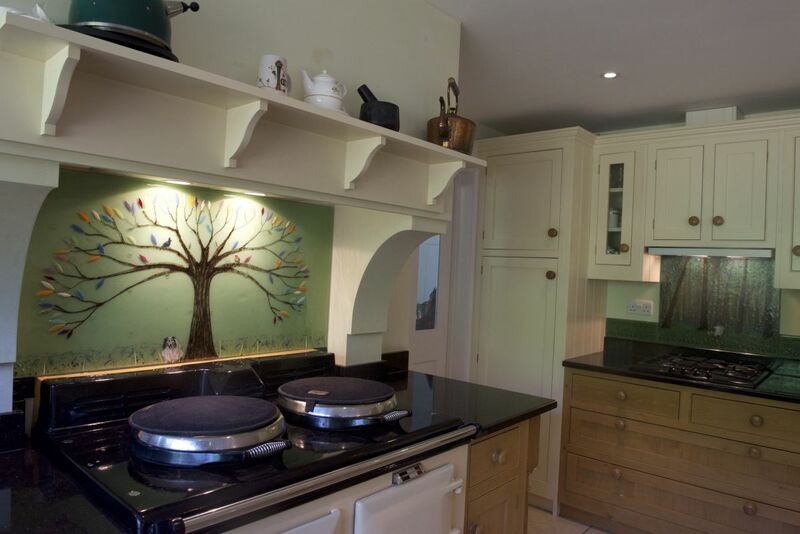 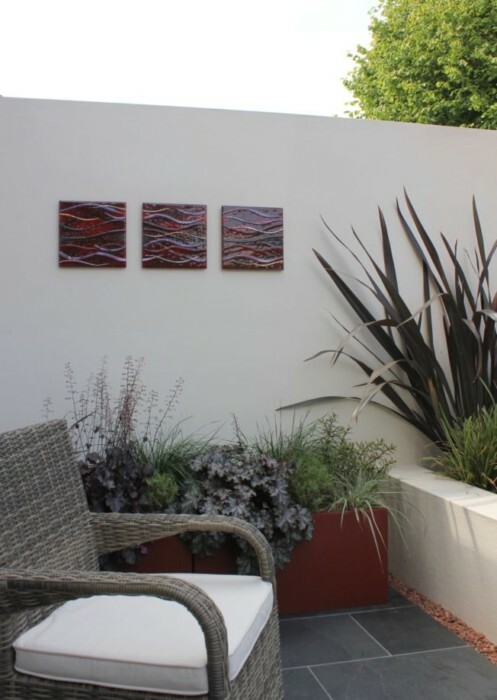 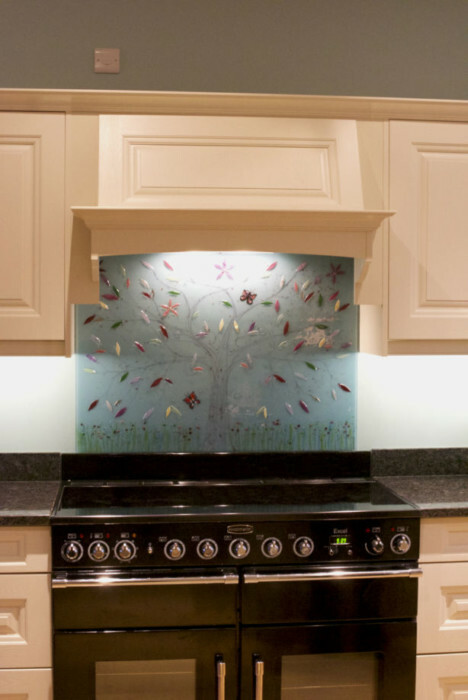 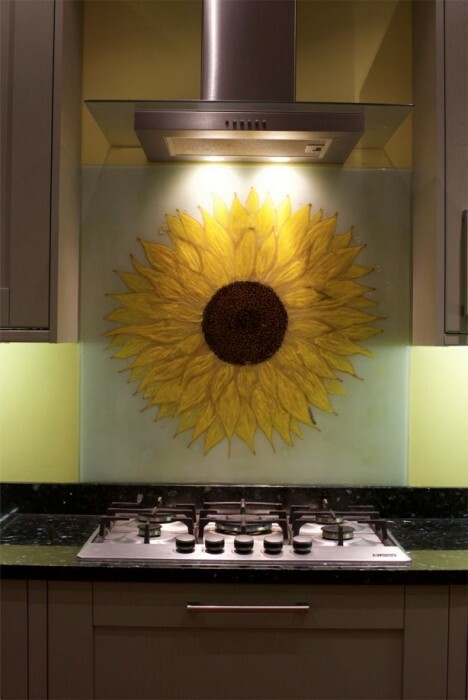 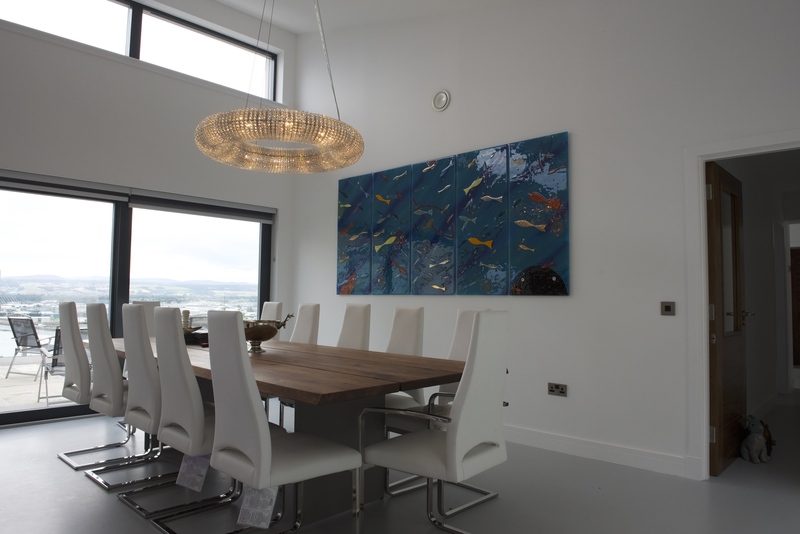 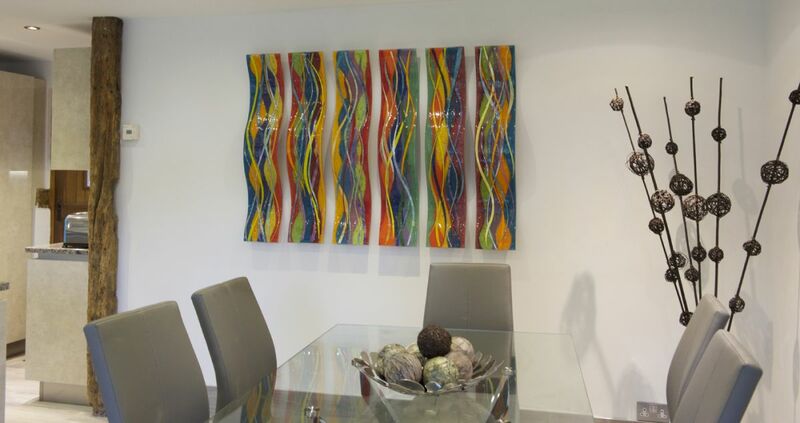 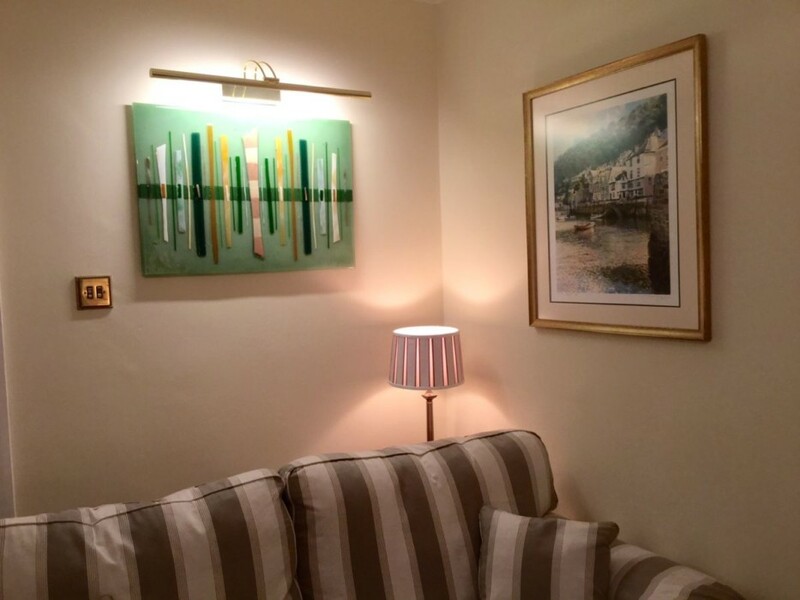 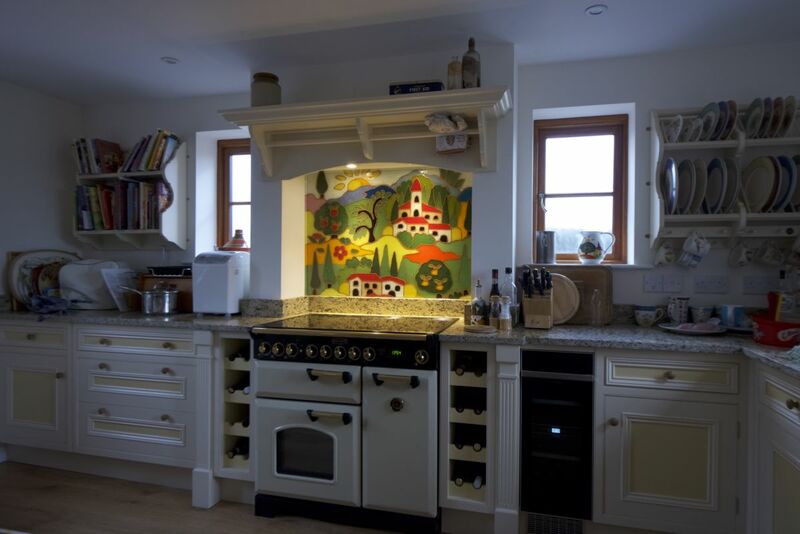 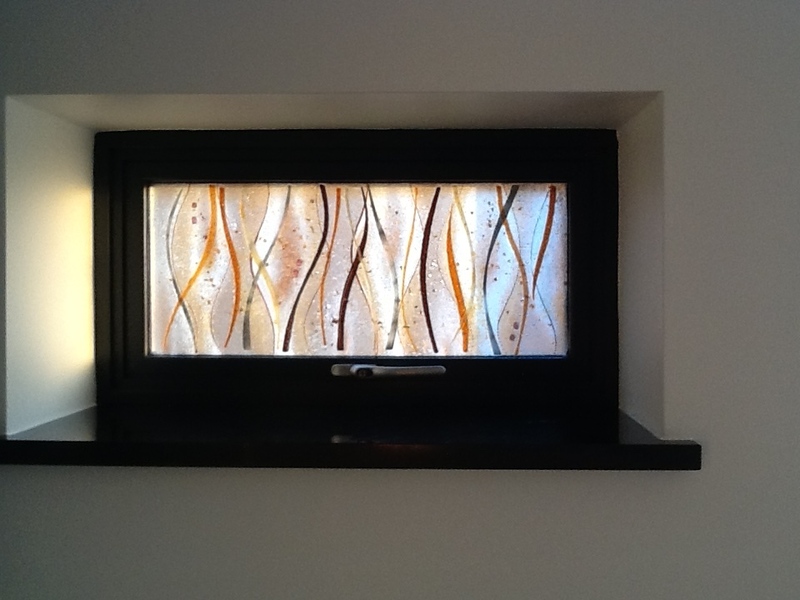 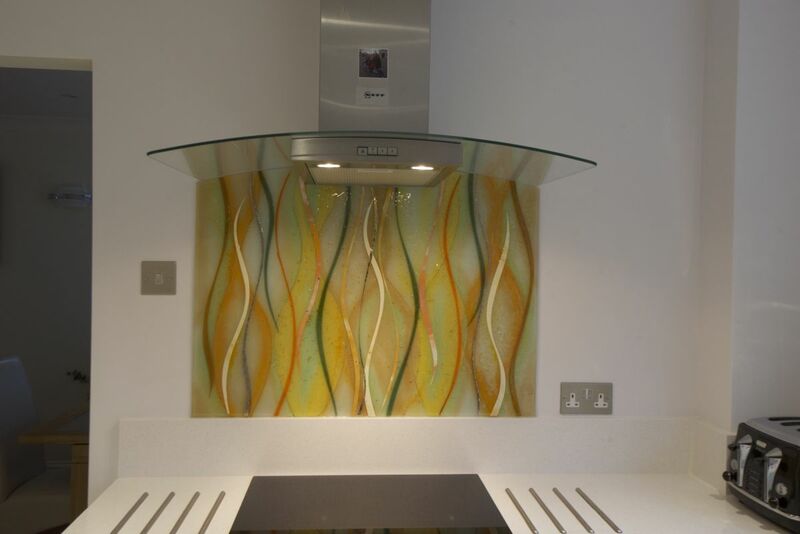 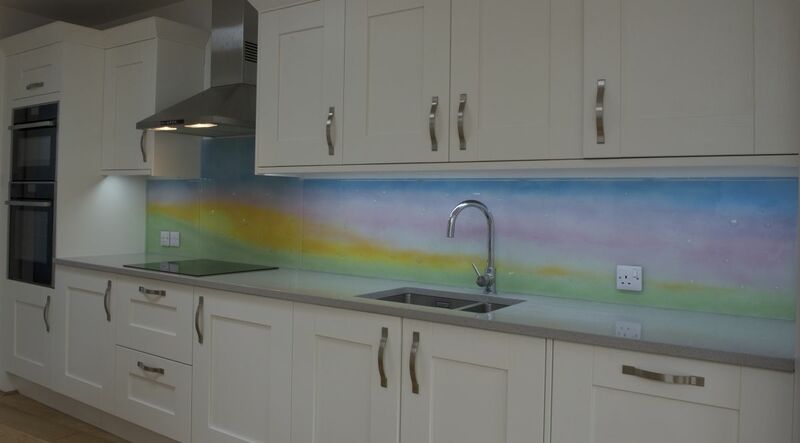 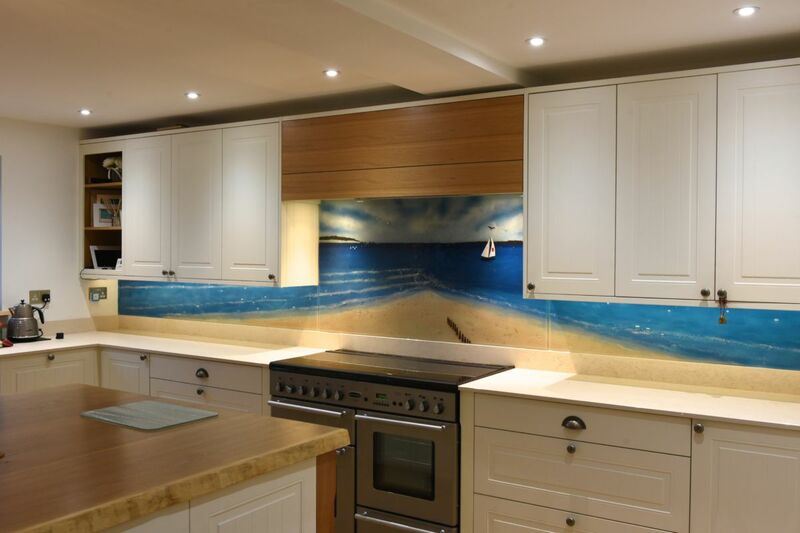 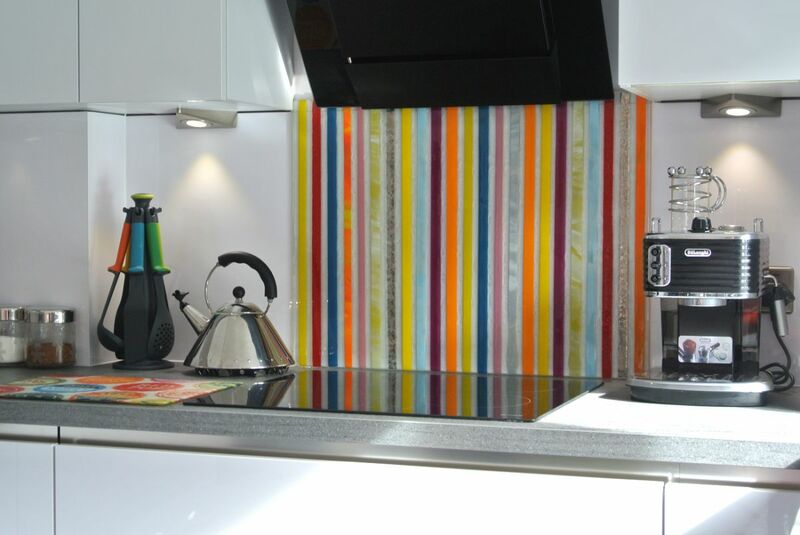 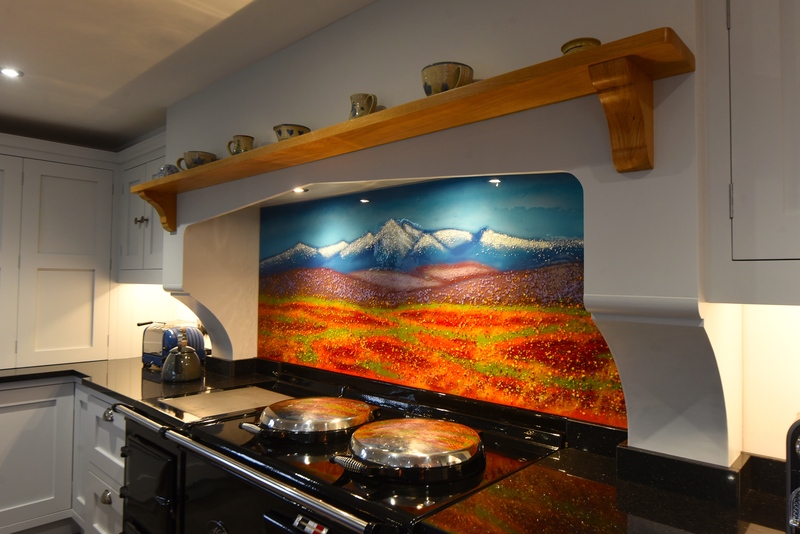 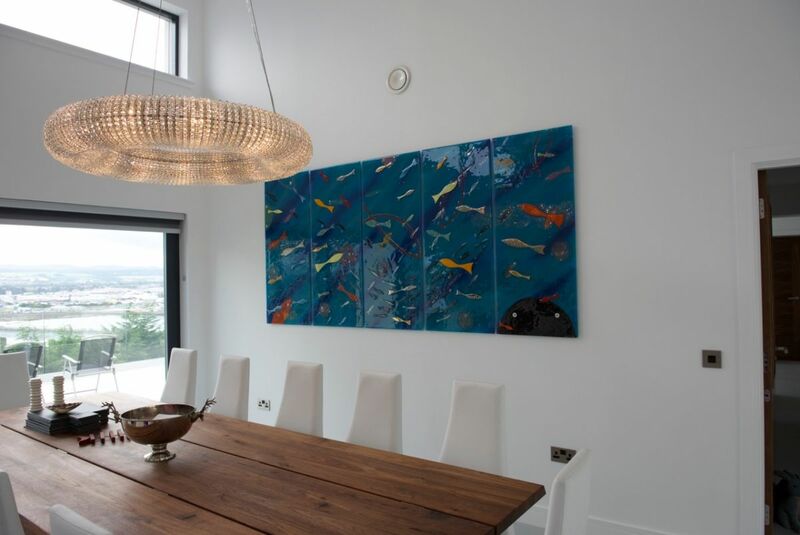 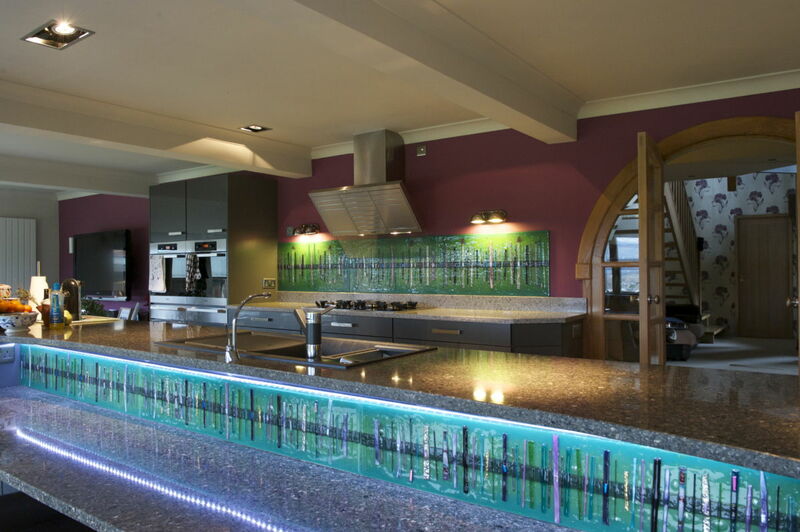 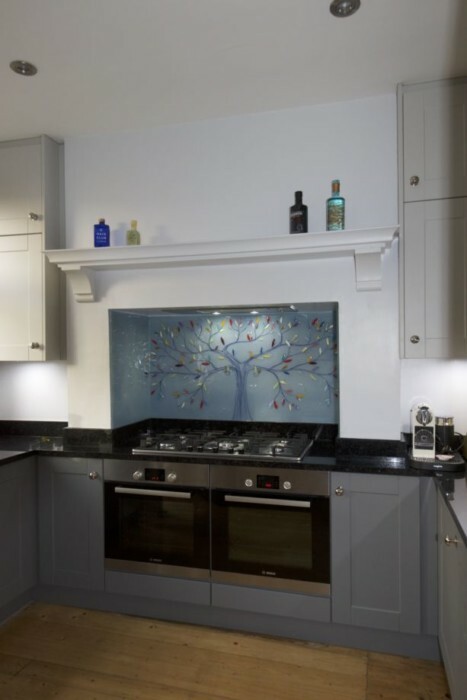 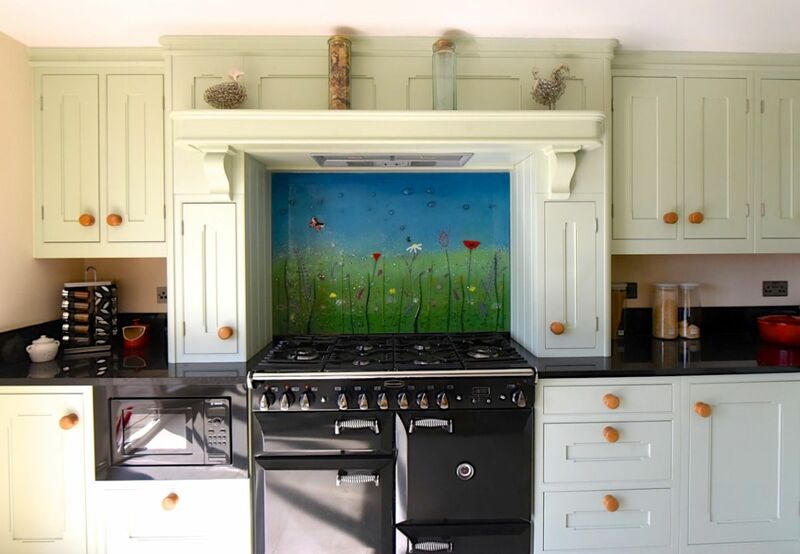 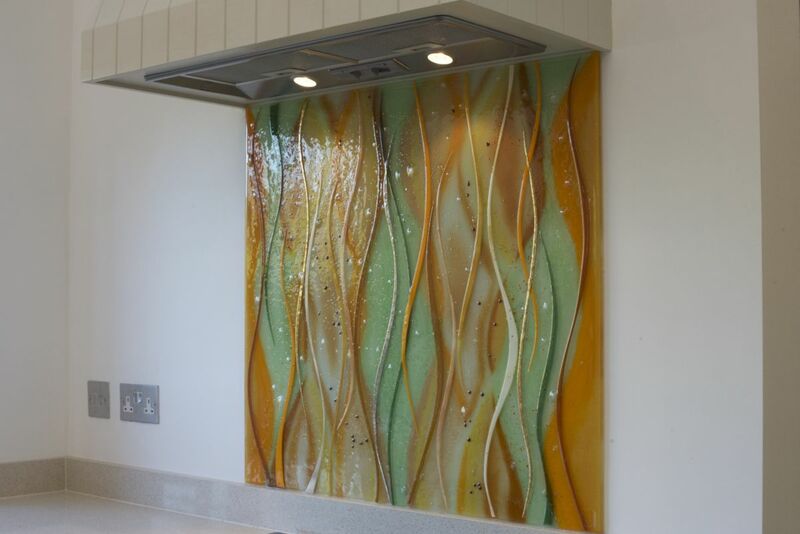 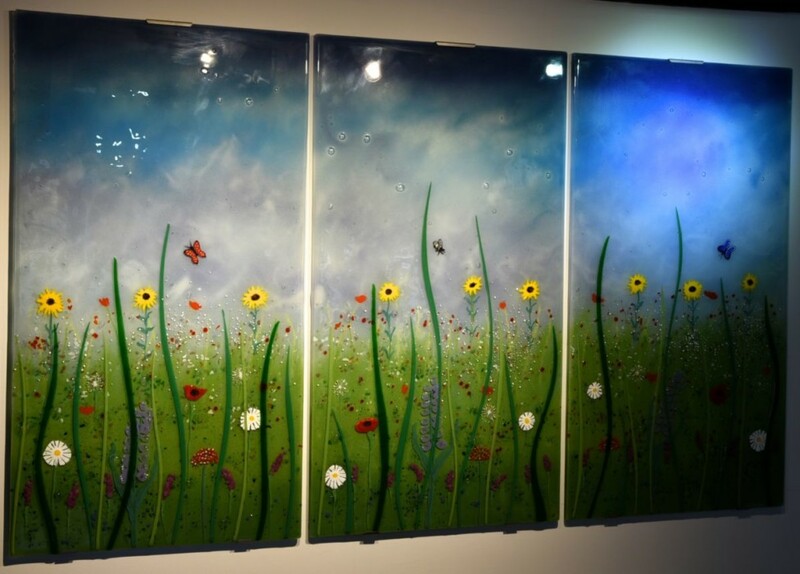 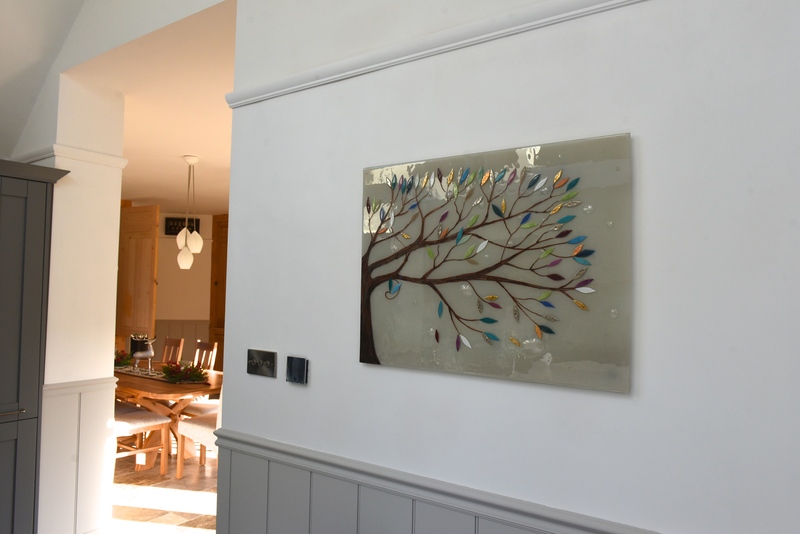 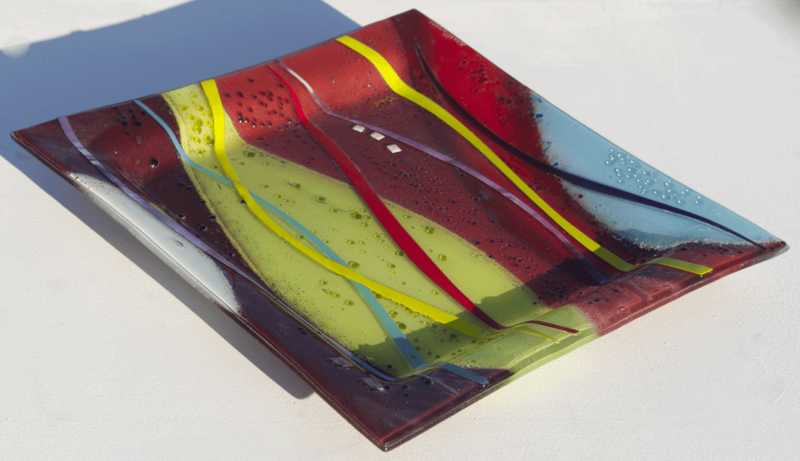 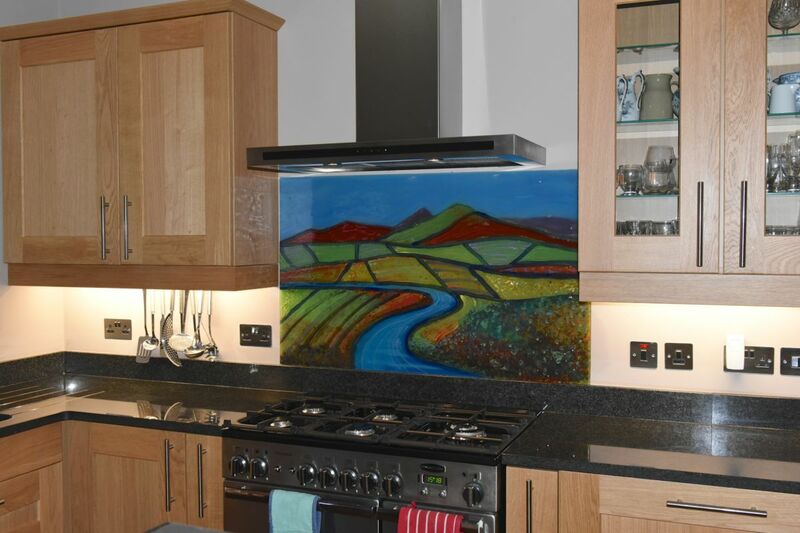 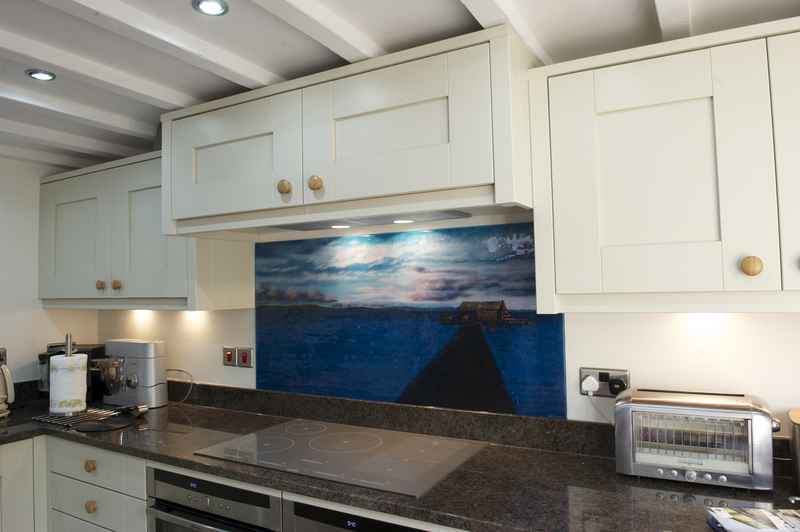 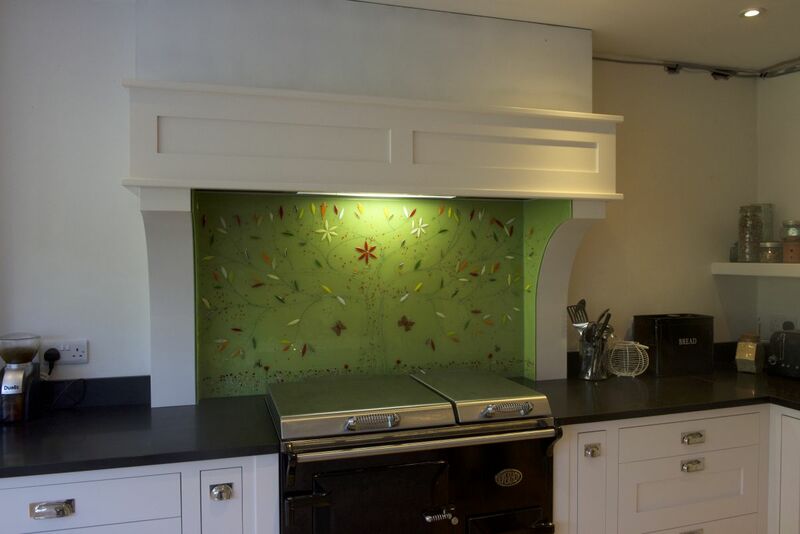 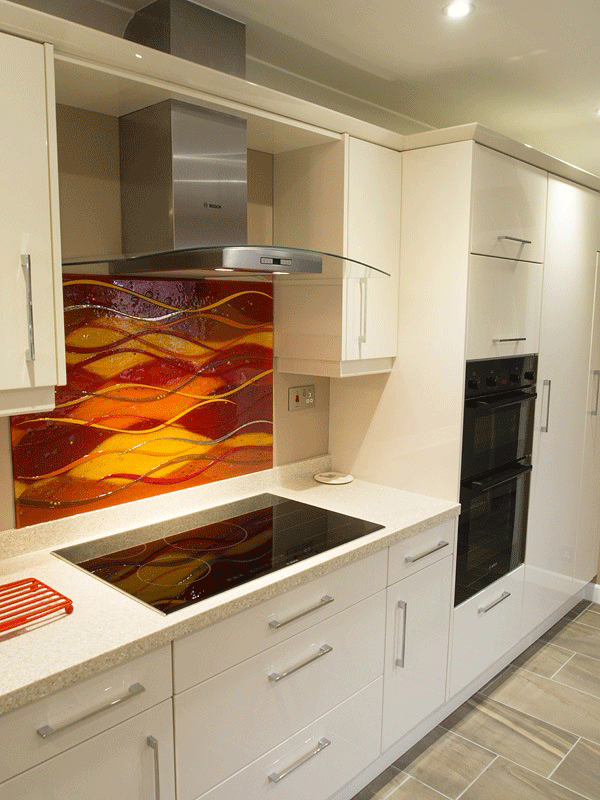 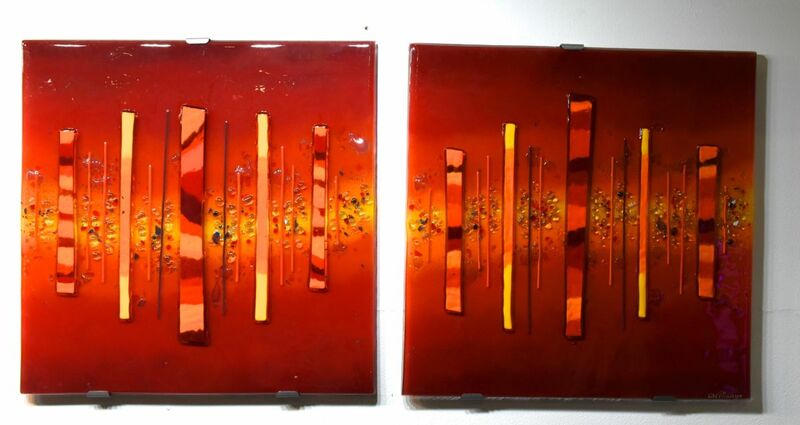 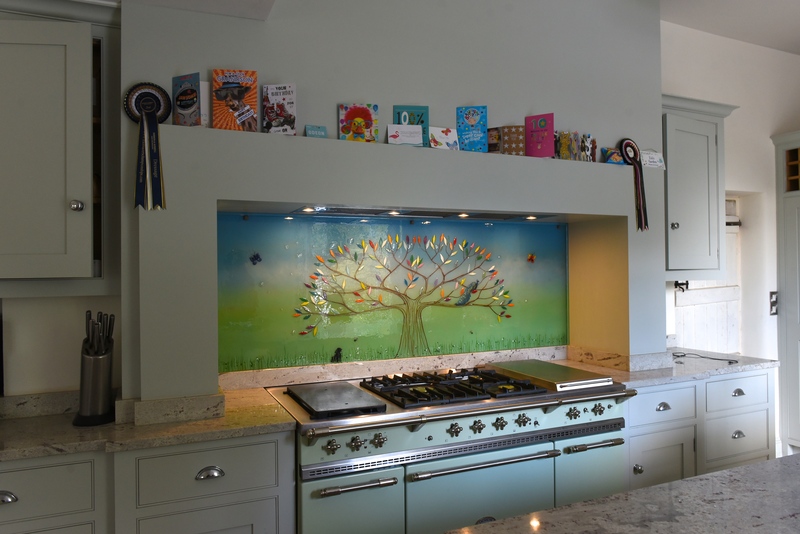 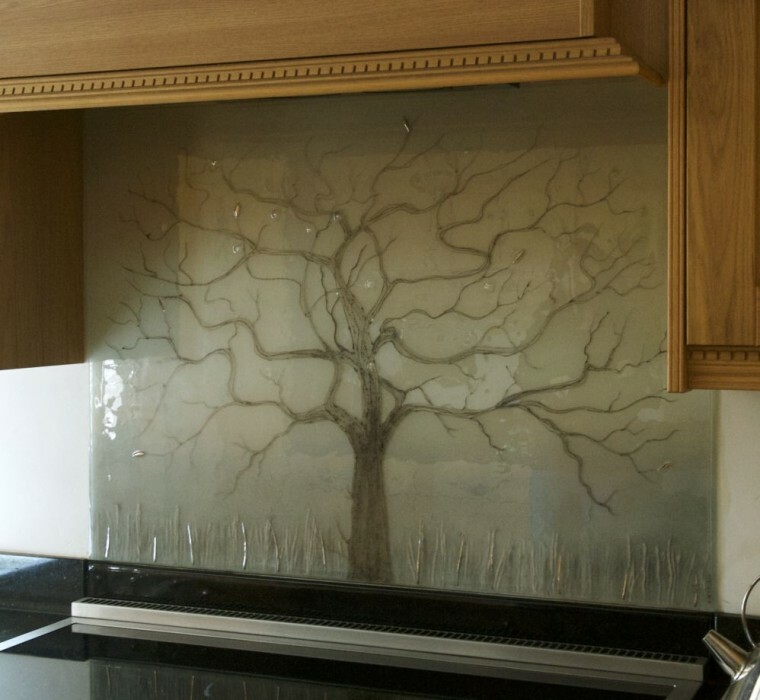 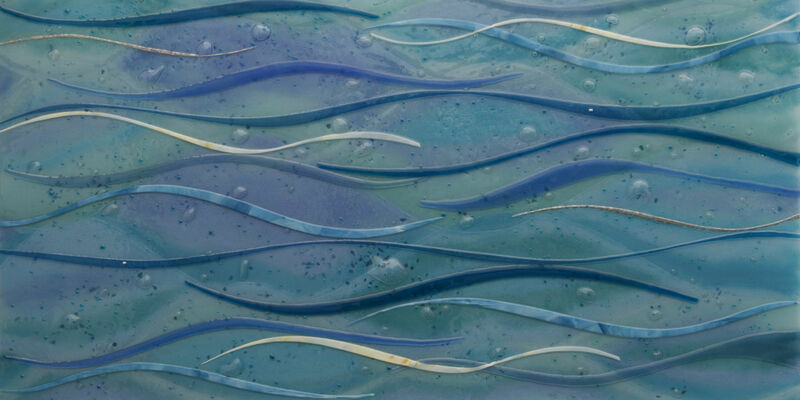 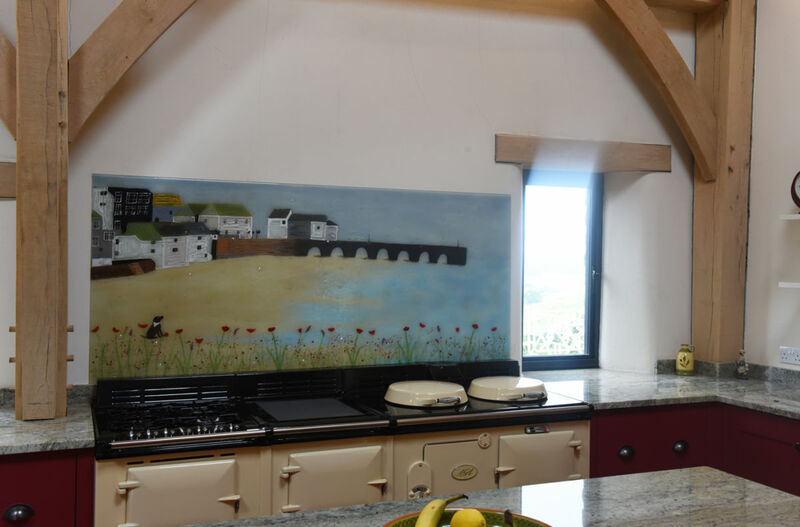 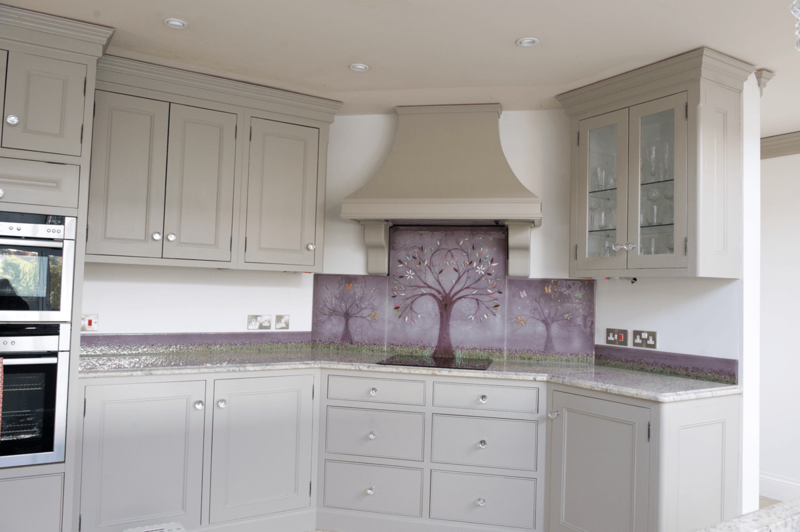 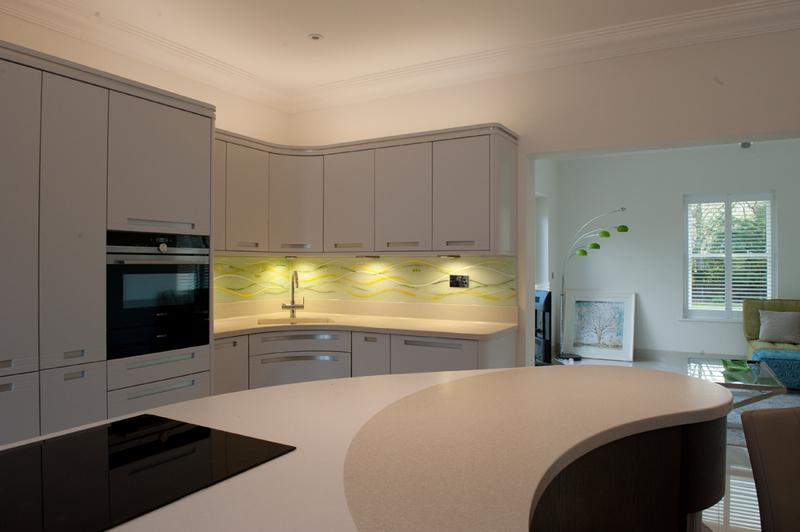 Finding a home in a kitchen in East Grinstead, Sussex, this gorgeous fused glass art was a real treat to bring to life. 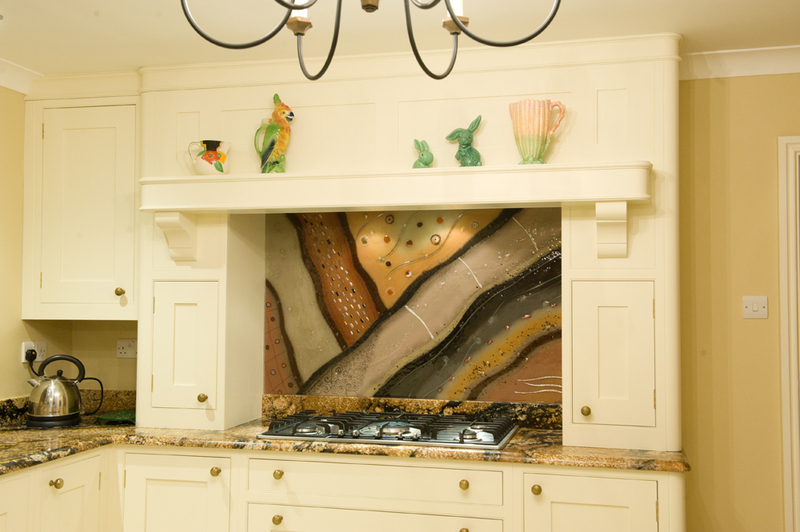 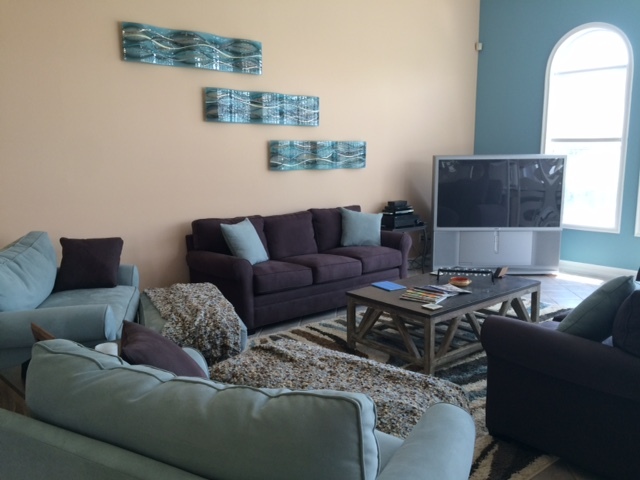 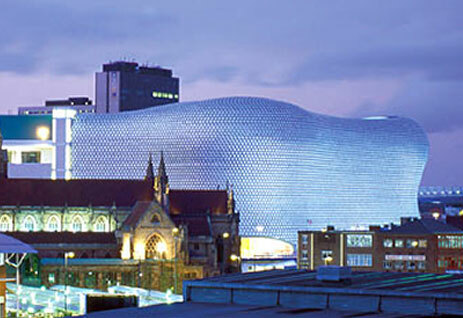 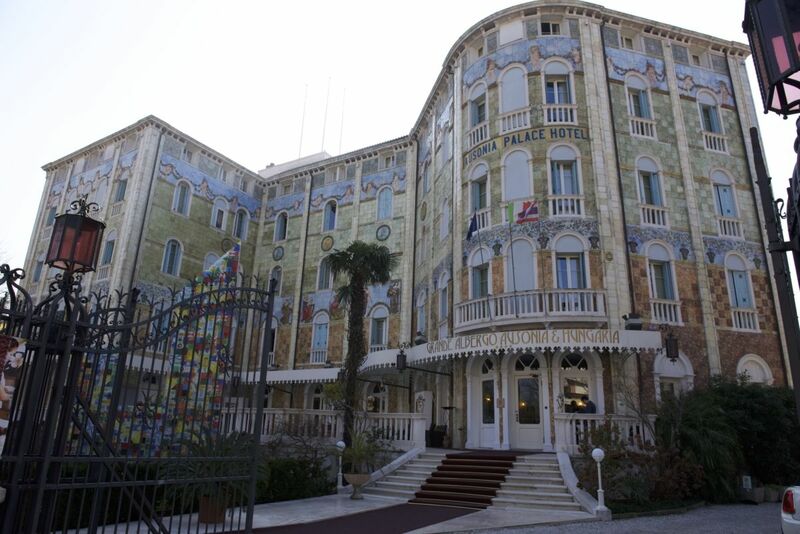 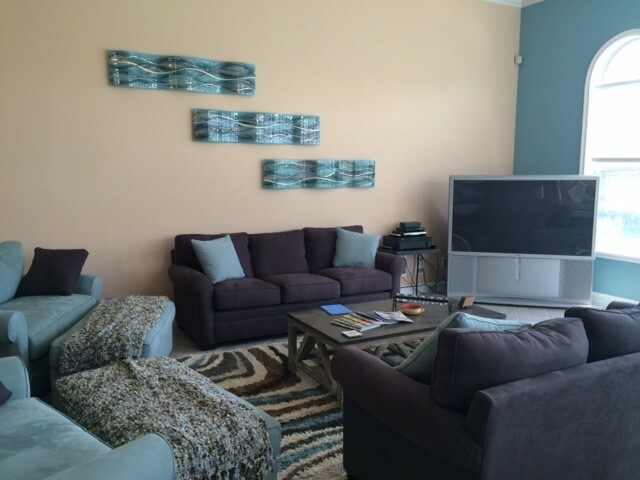 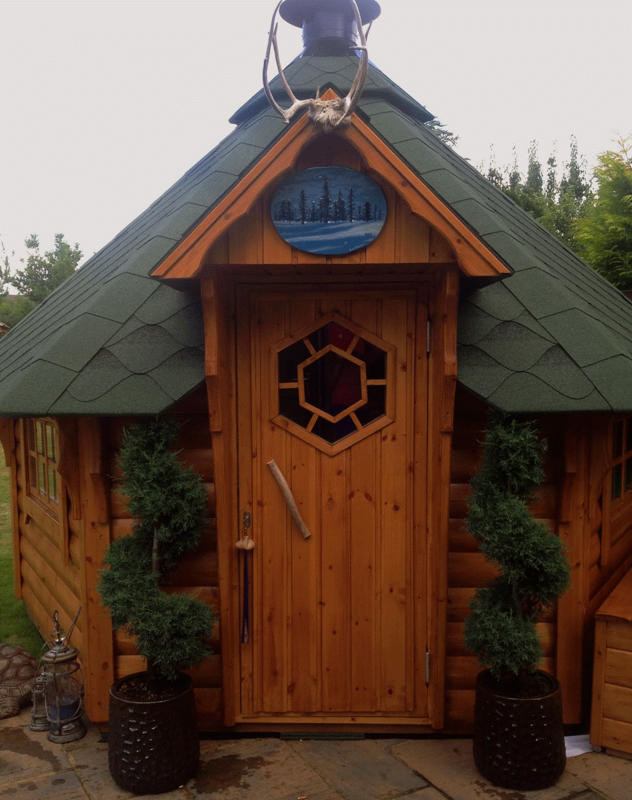 Seeing it put in place was even more rewarding, so we’ll walk you through all of the elements involved in the design. 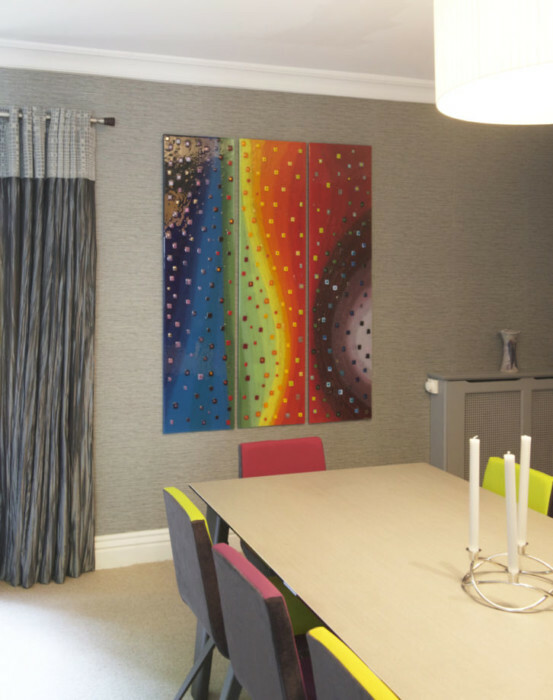 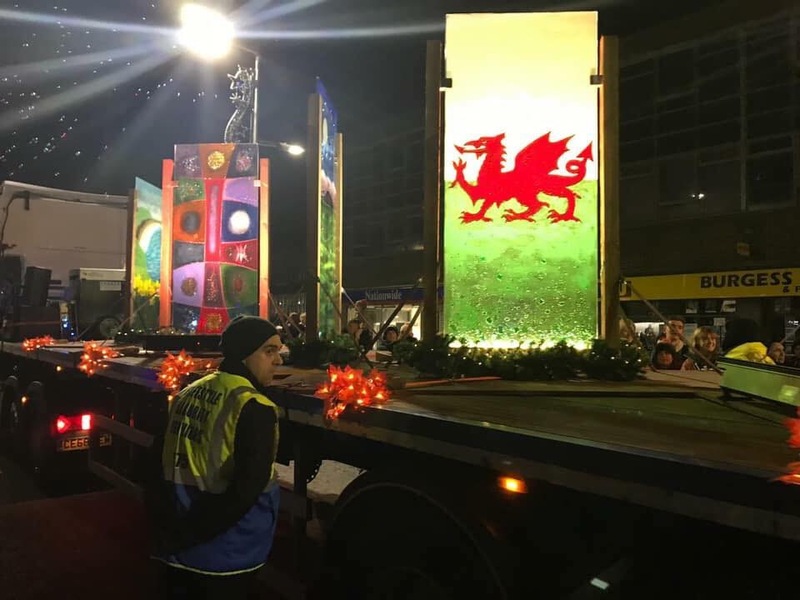 Firstly, as you may have already noticed, the piece is a prime example of our classic Wave style with a very colourful twist. 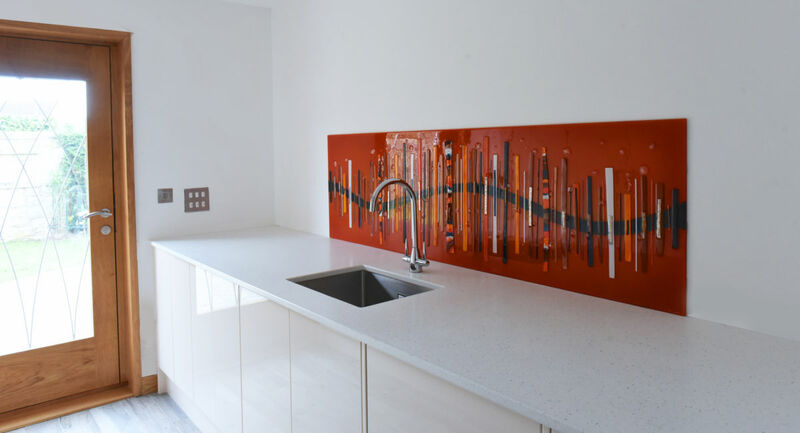 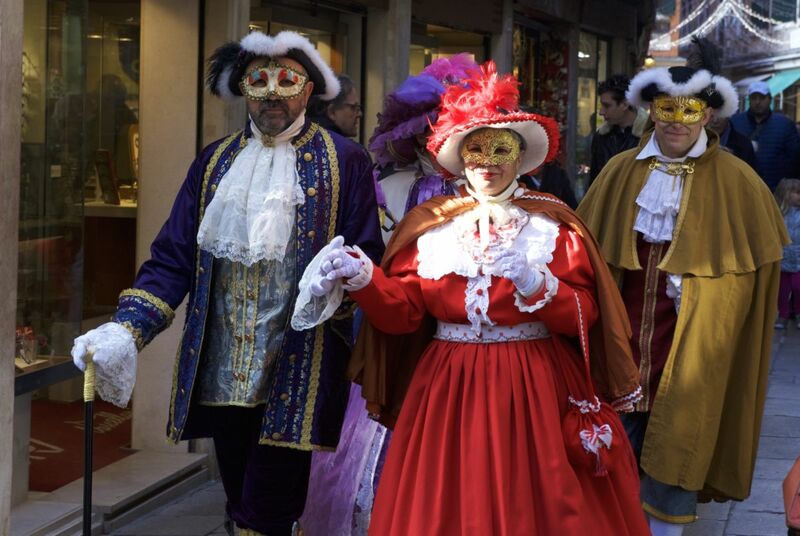 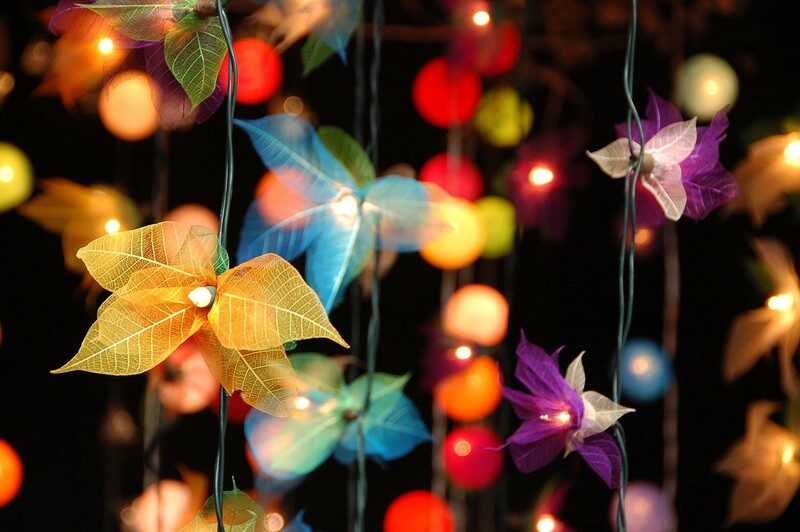 A whole myriad of bright hues come together to create what you see above, including cool blues and greens, neutral yellow shades, and vivid bursts of warm red and orange. 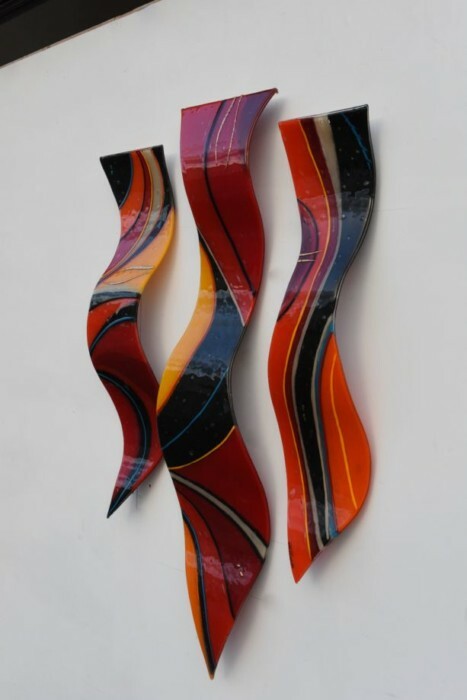 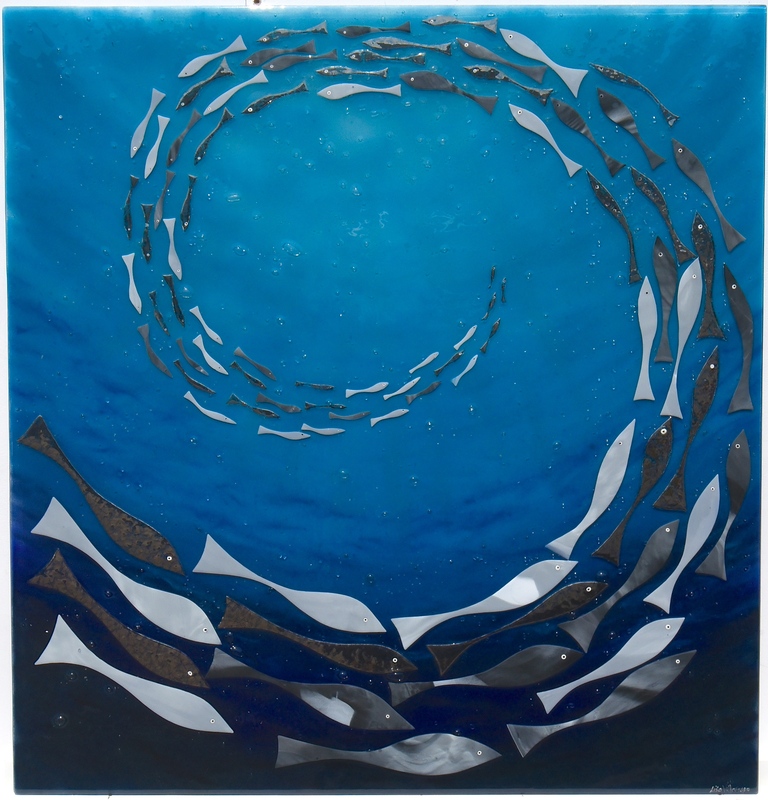 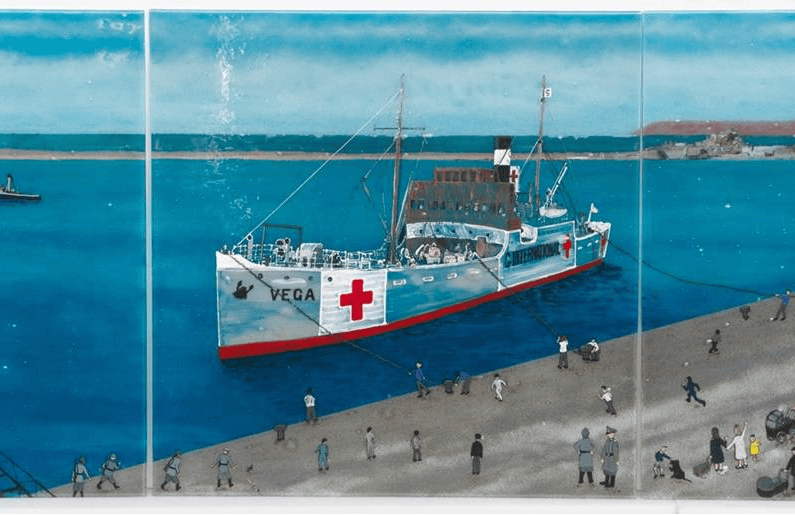 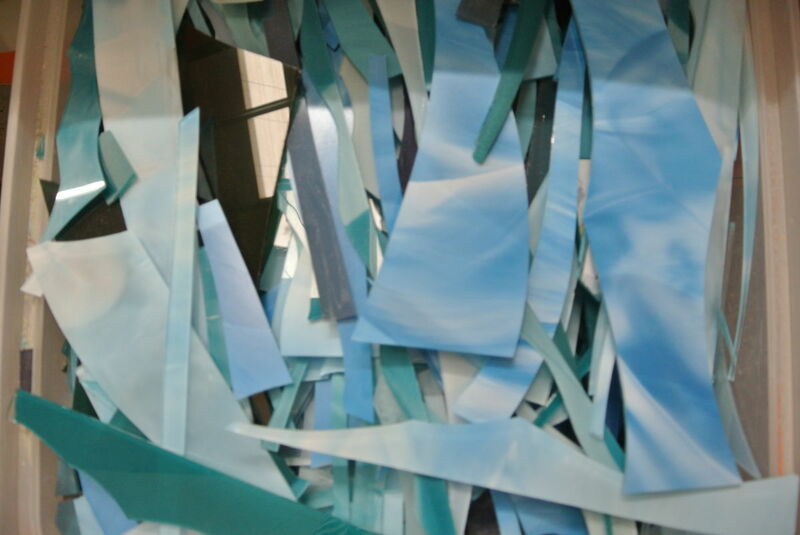 The pieces creating the waves stand out from the background, providing a fantastic amount of contrast. 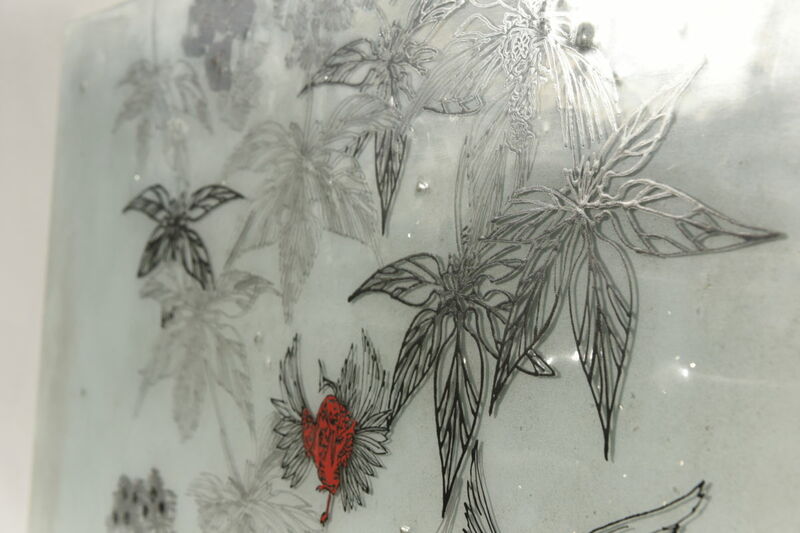 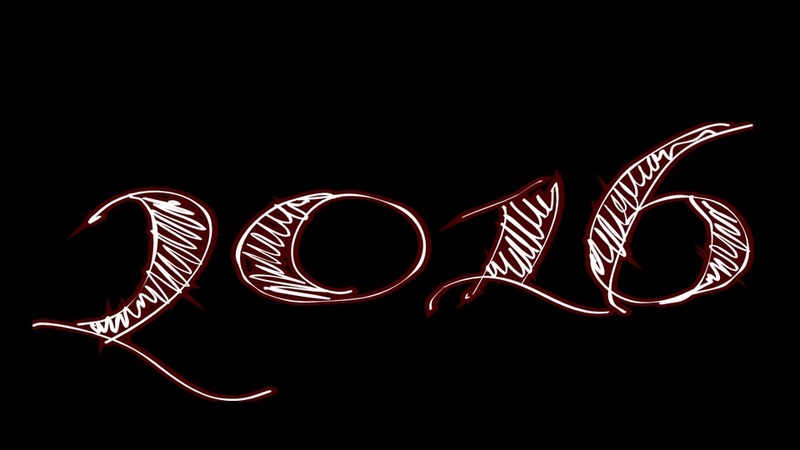 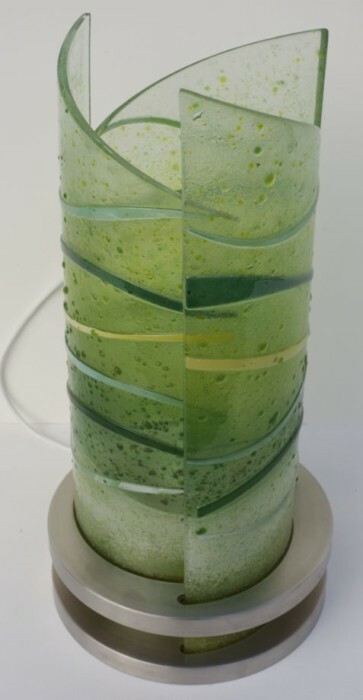 Make sure you look closely at the image above, though, and see if you can spot all the glass pieces. 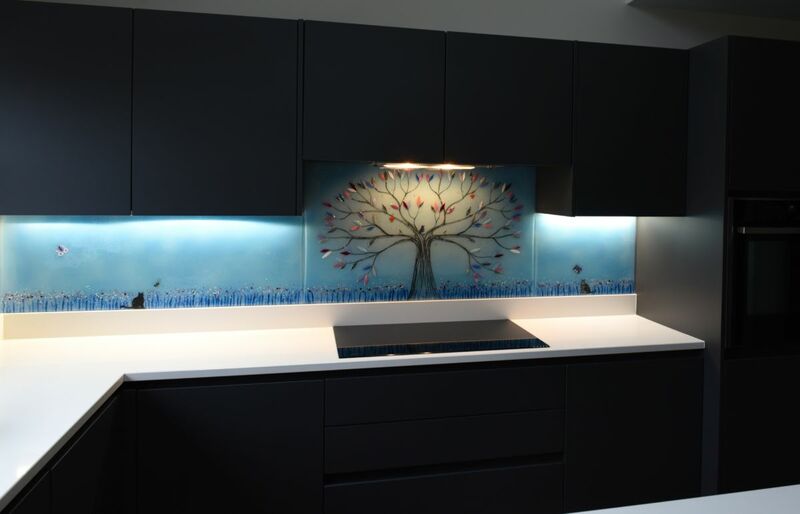 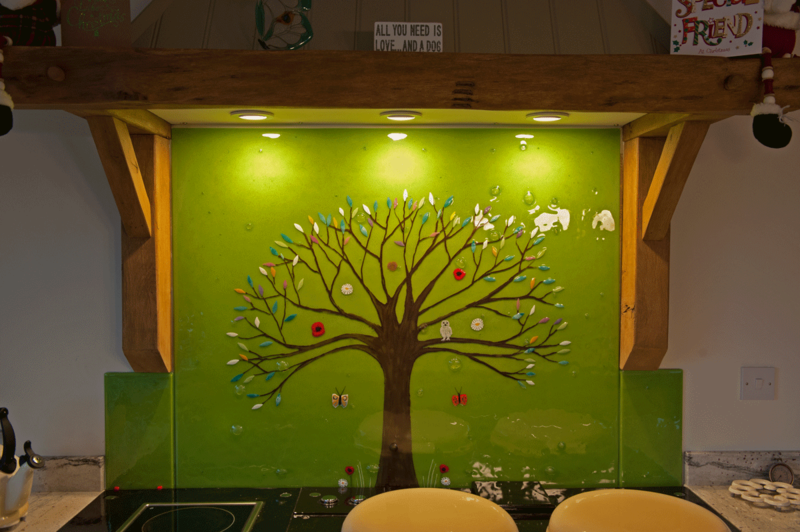 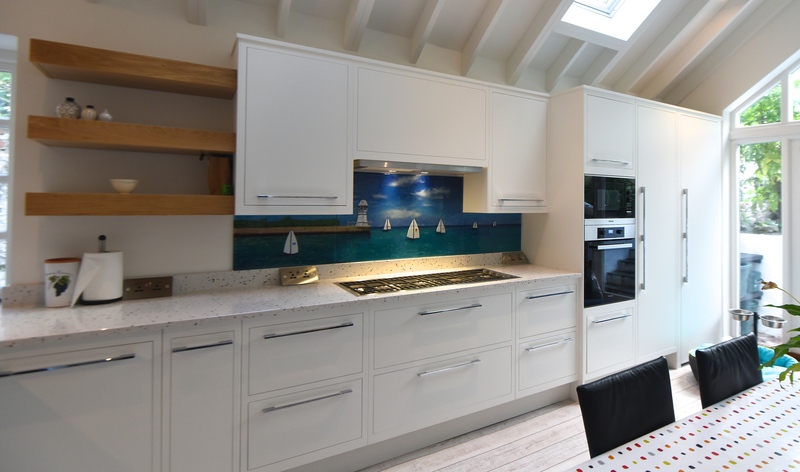 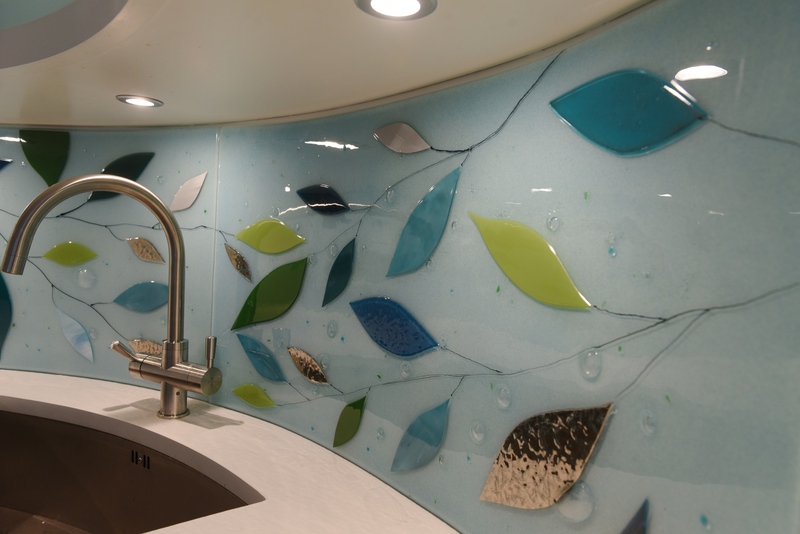 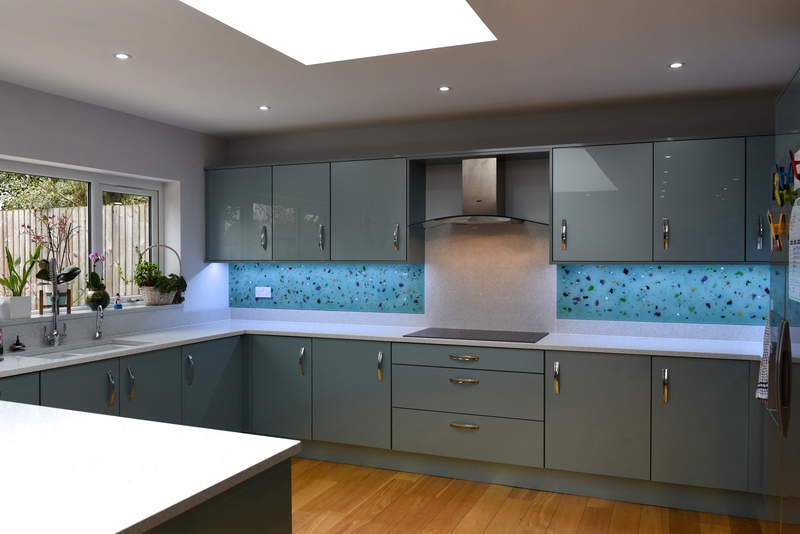 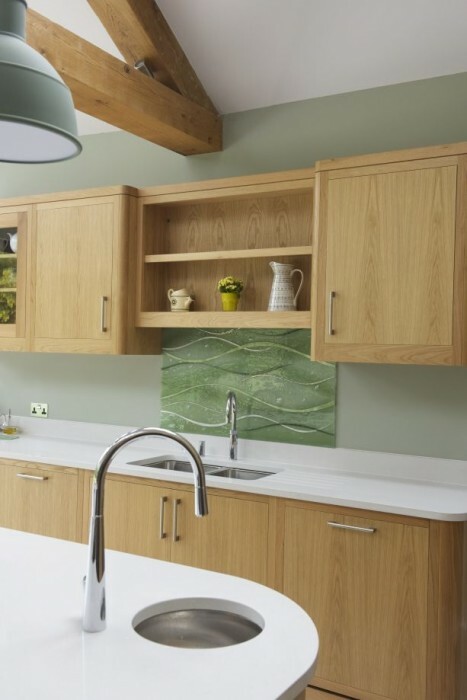 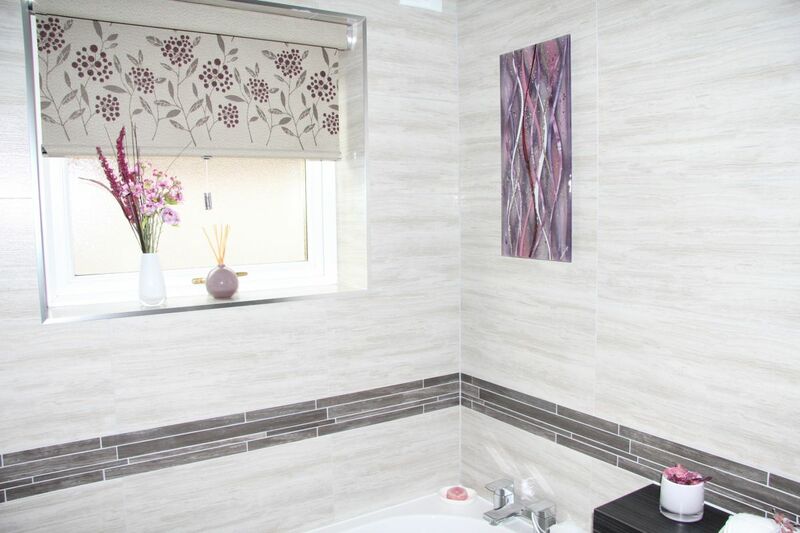 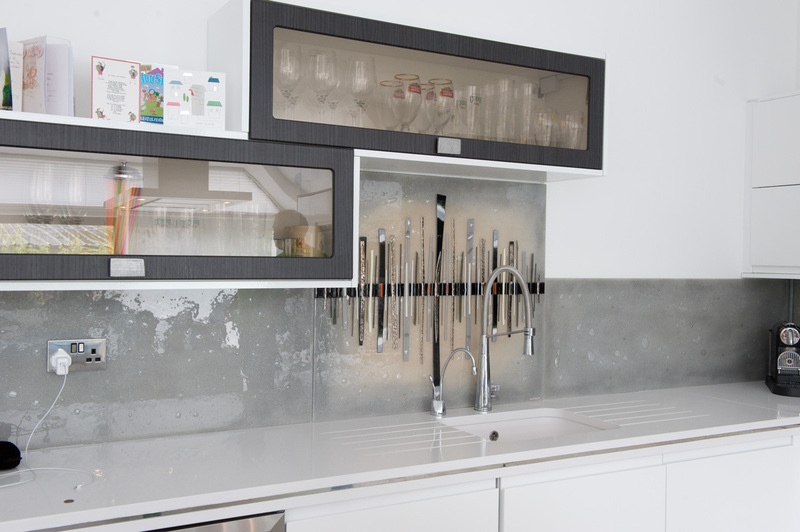 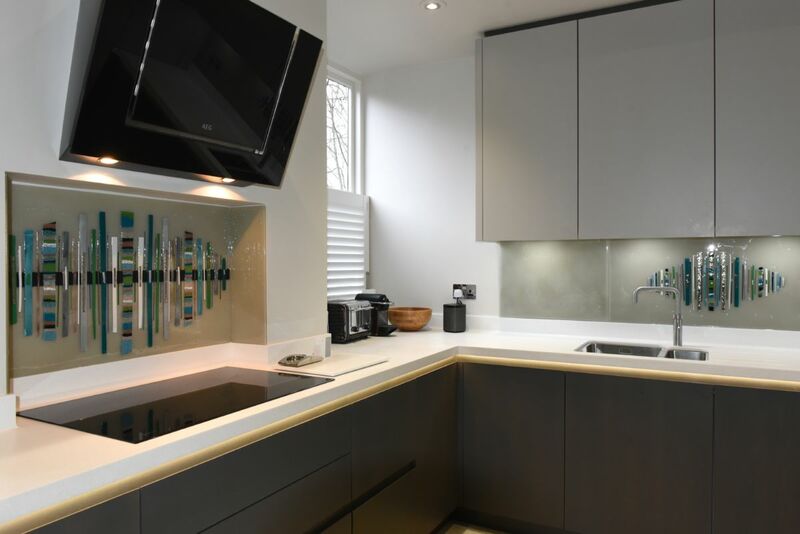 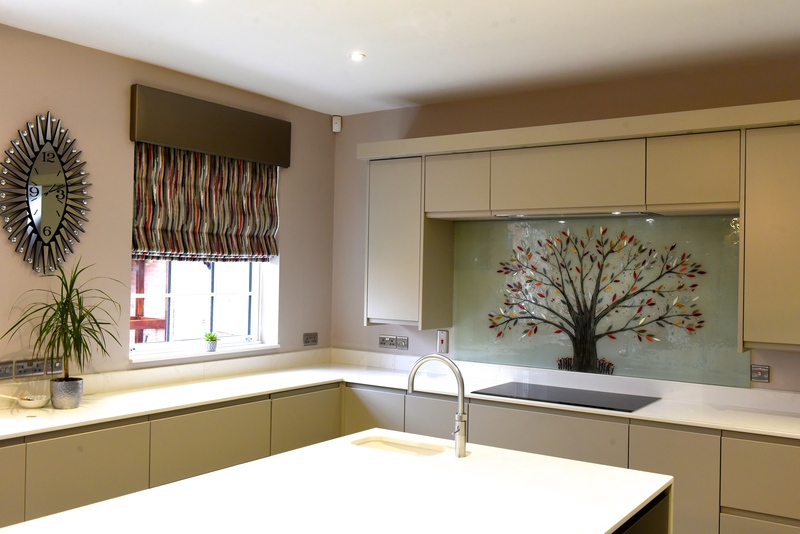 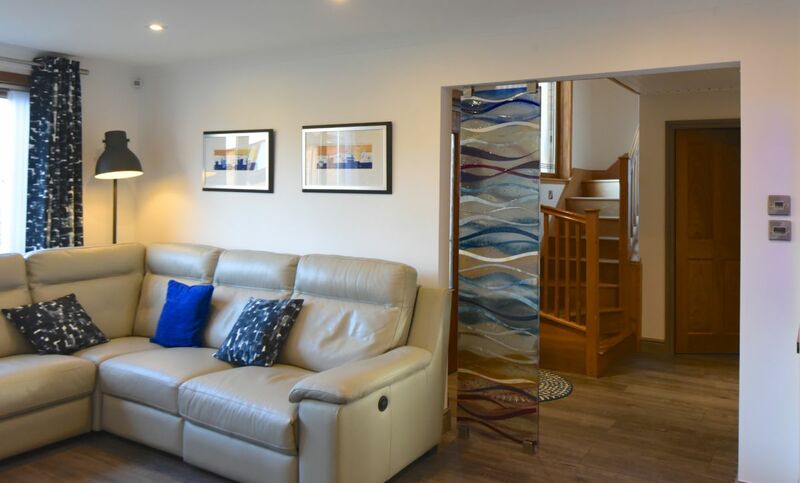 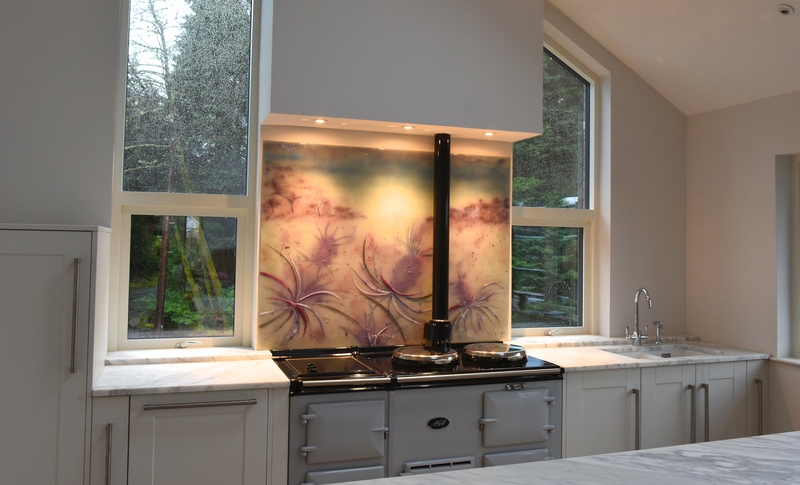 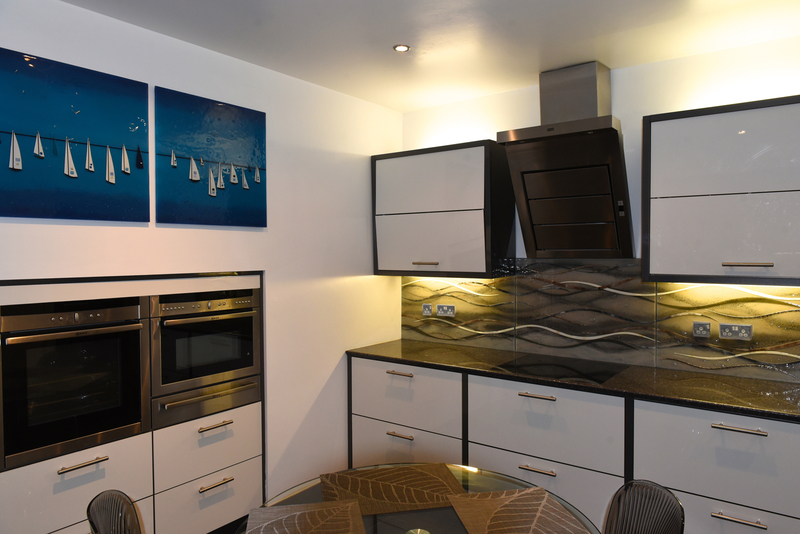 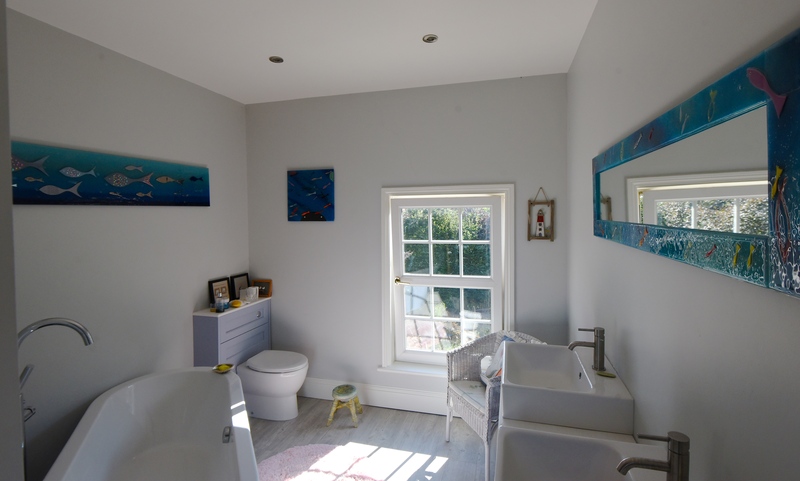 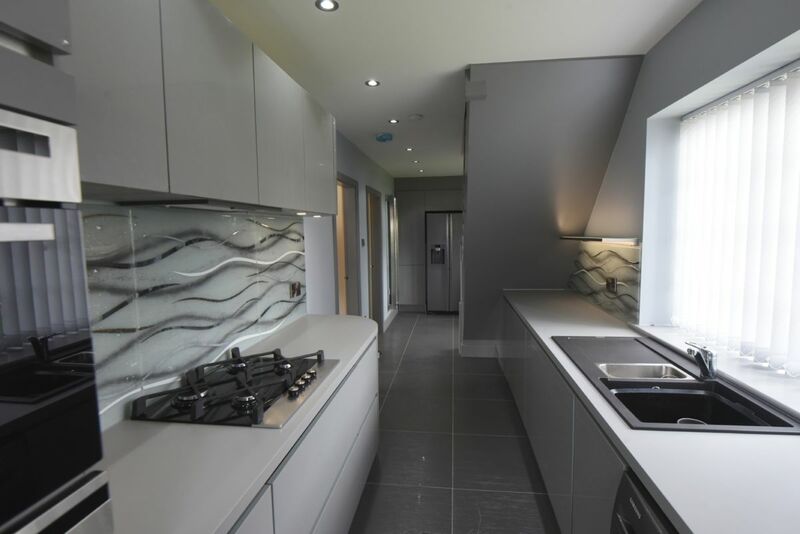 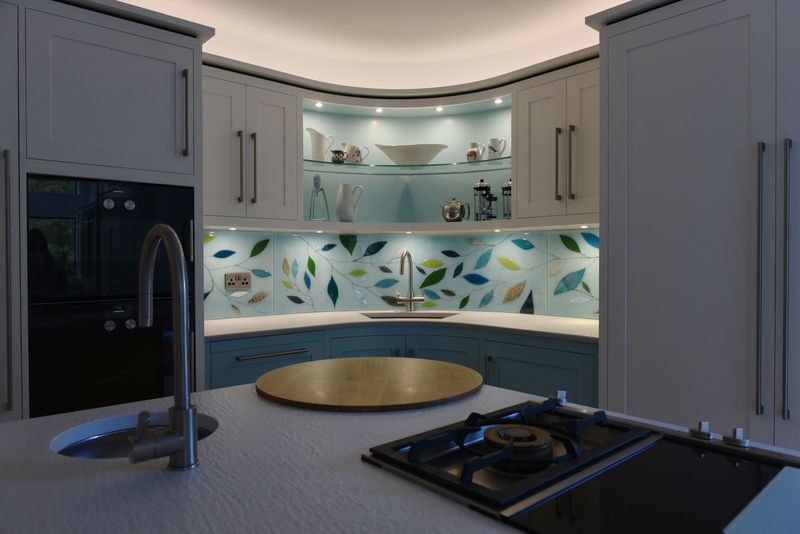 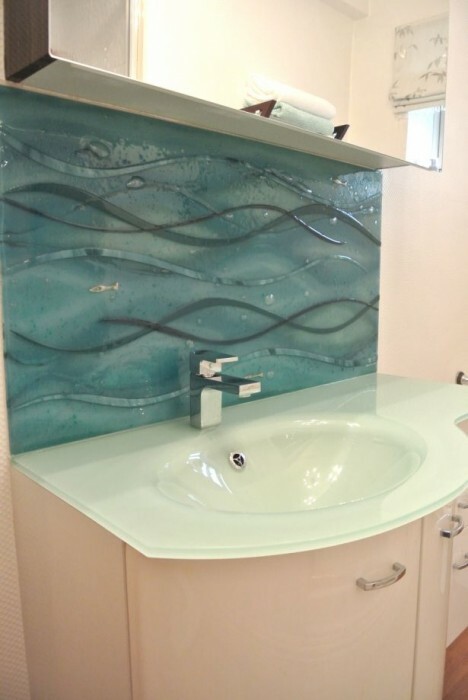 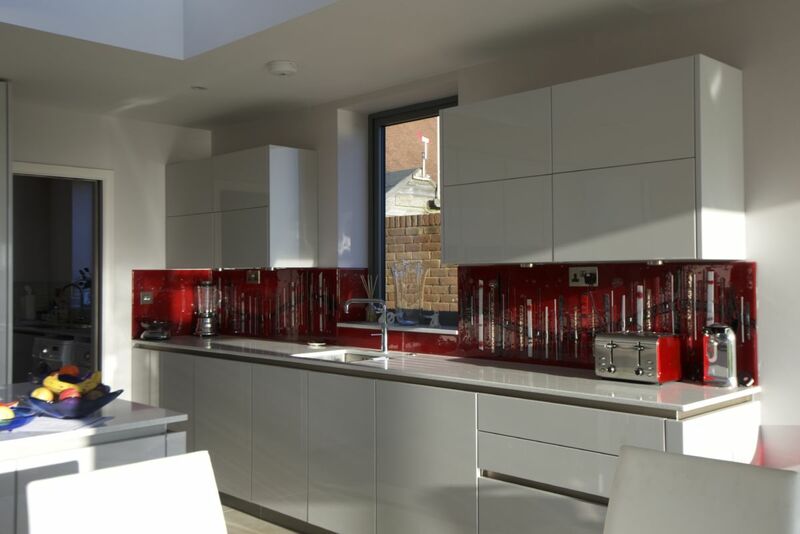 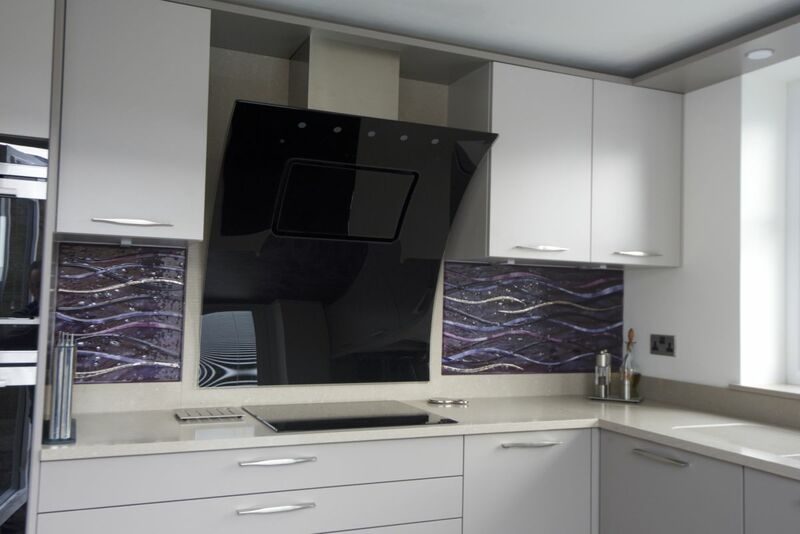 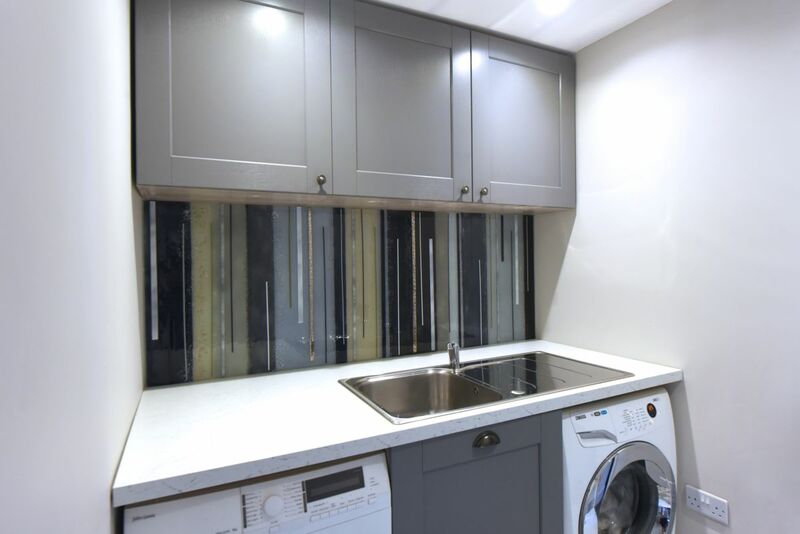 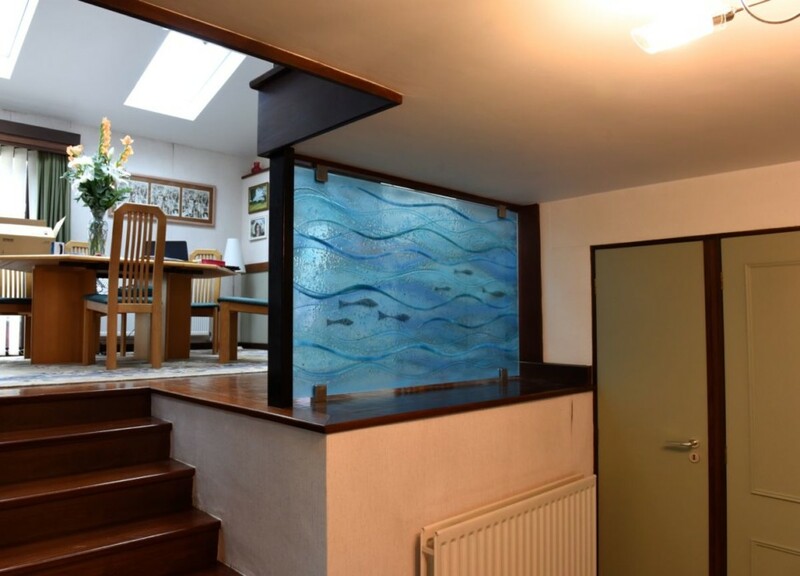 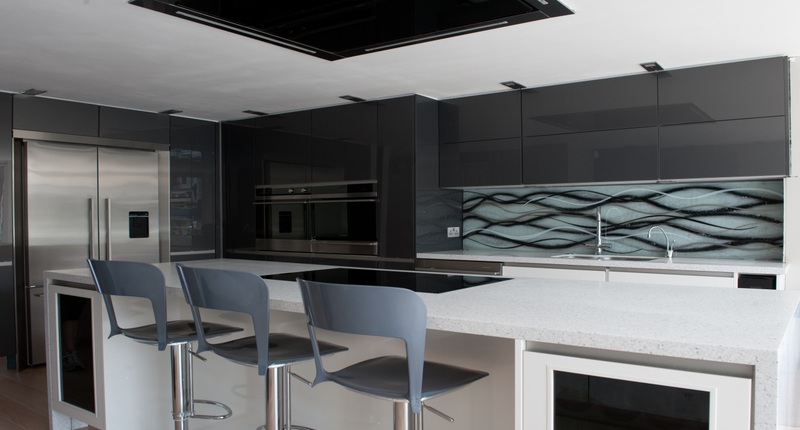 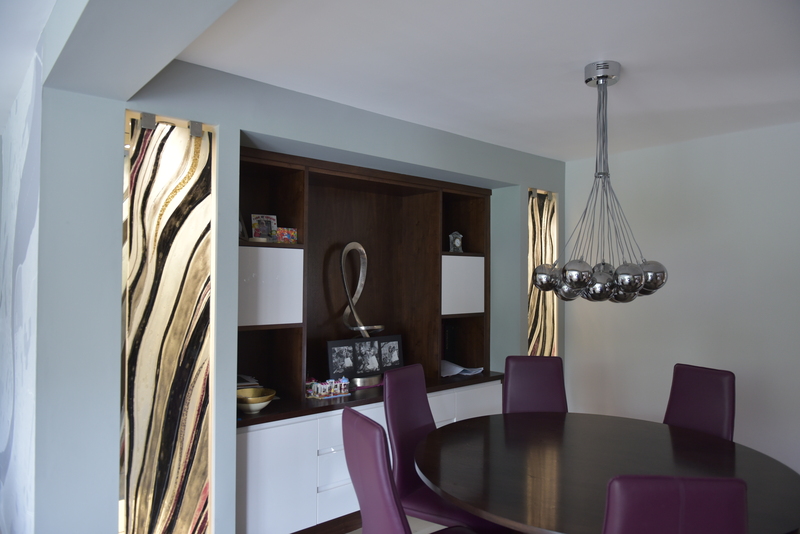 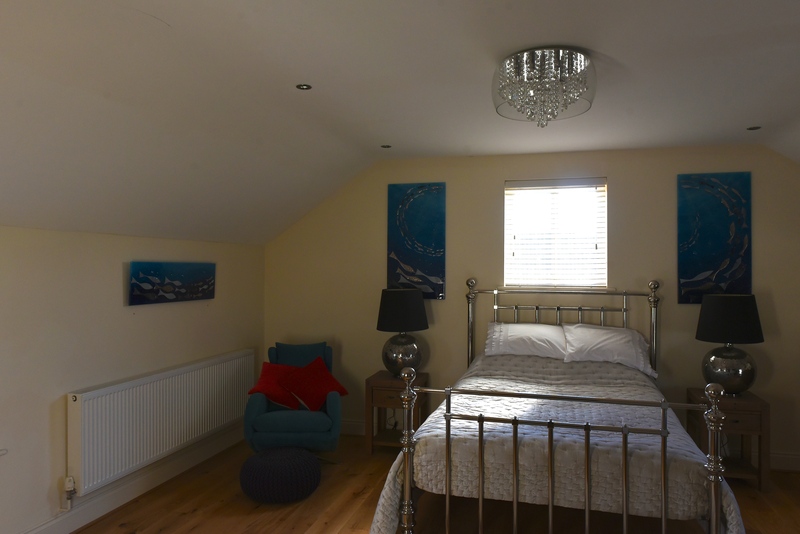 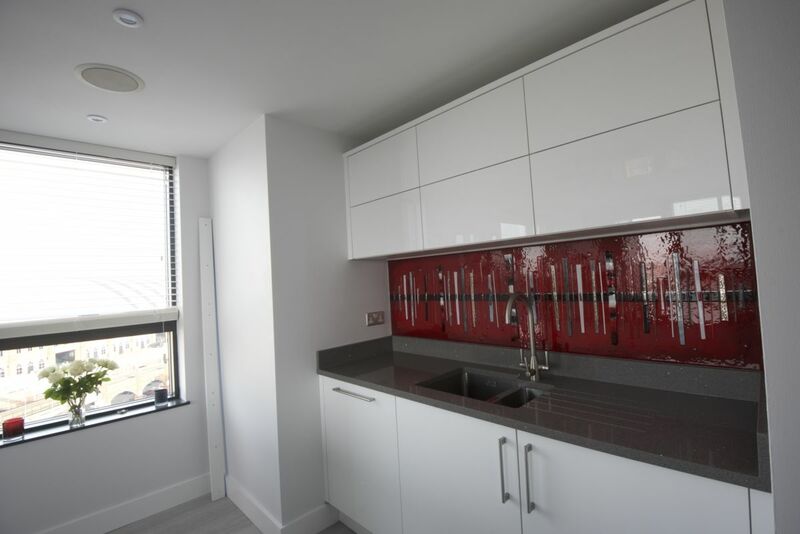 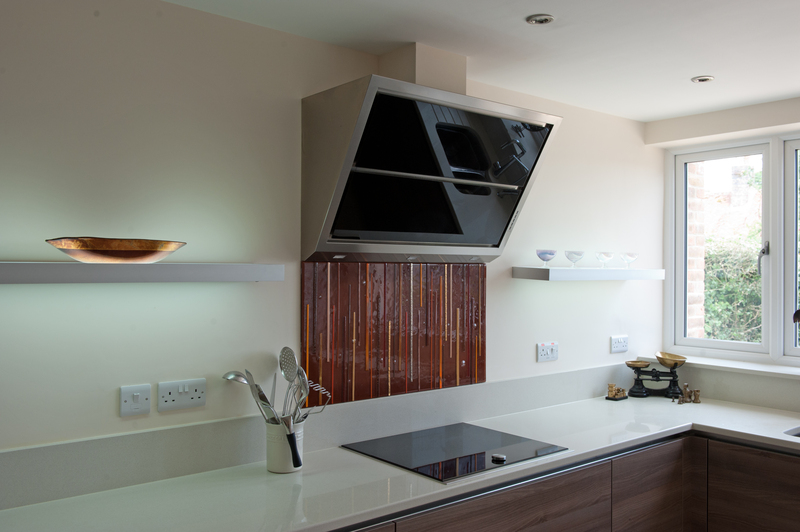 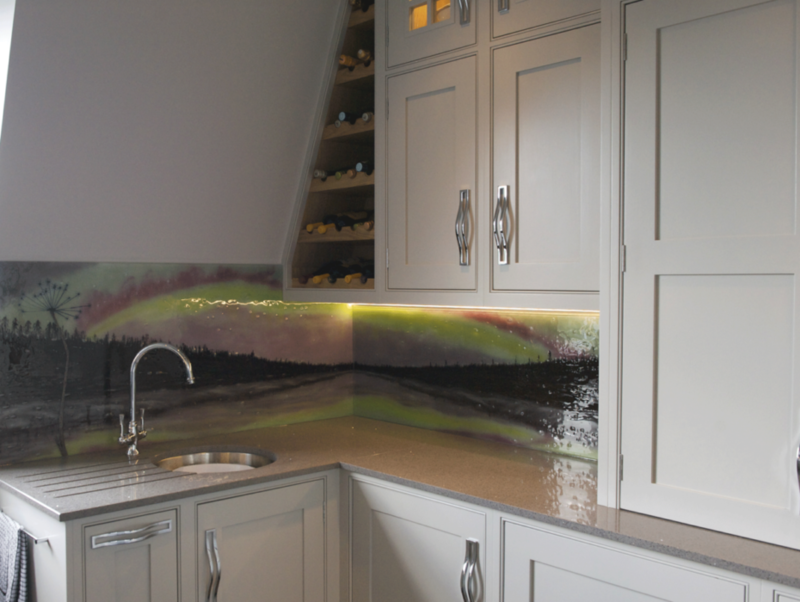 That’s right, as well as the central splashback, the room also features matching windowsills created from fused glass art. 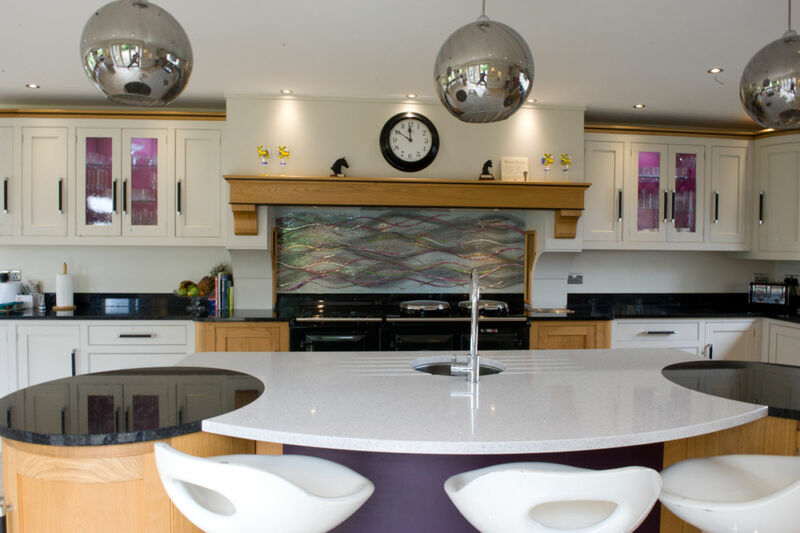 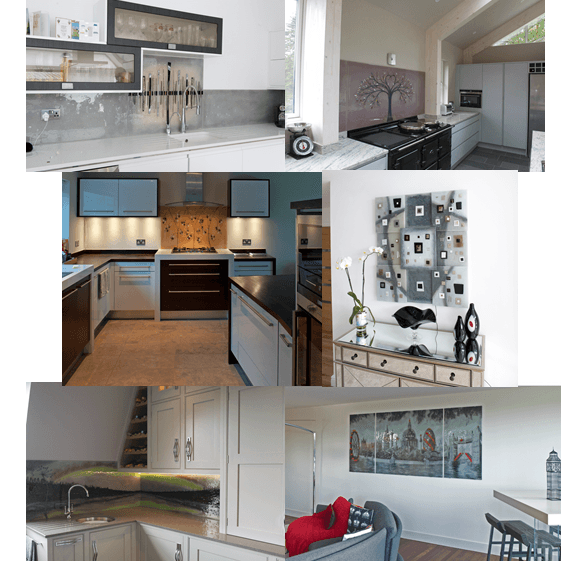 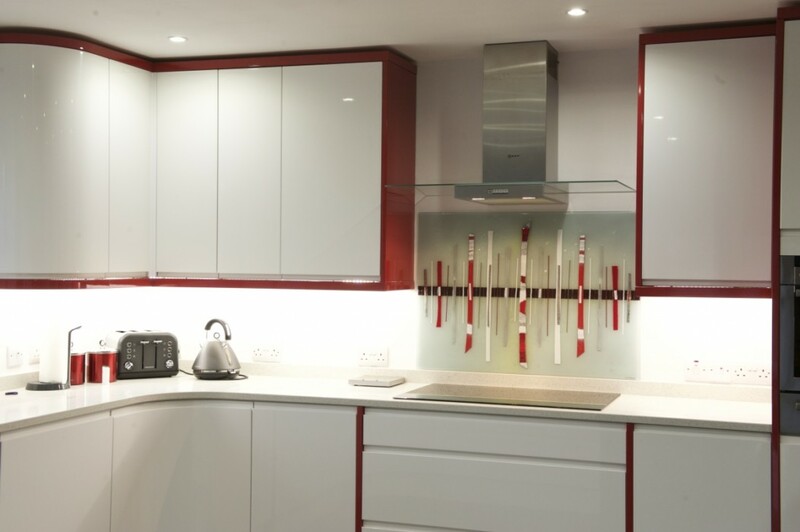 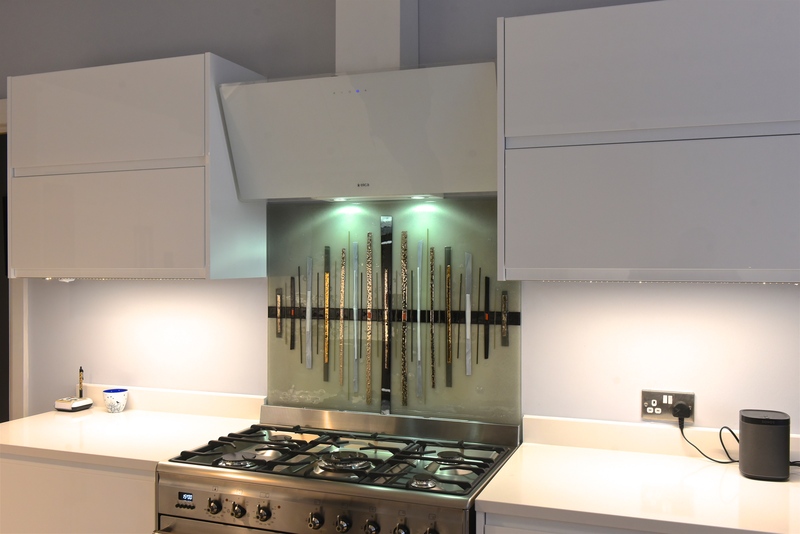 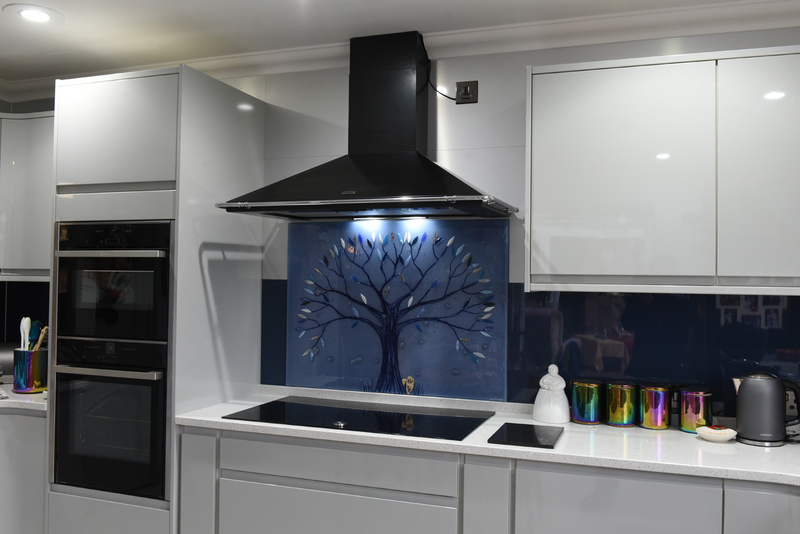 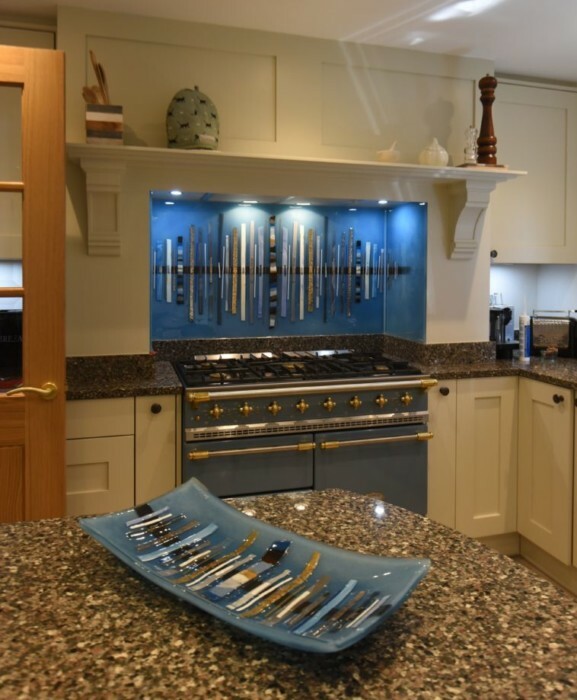 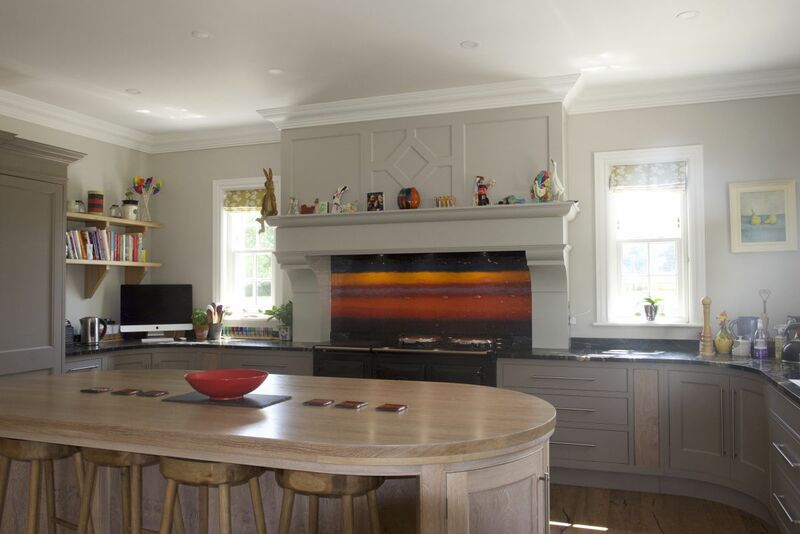 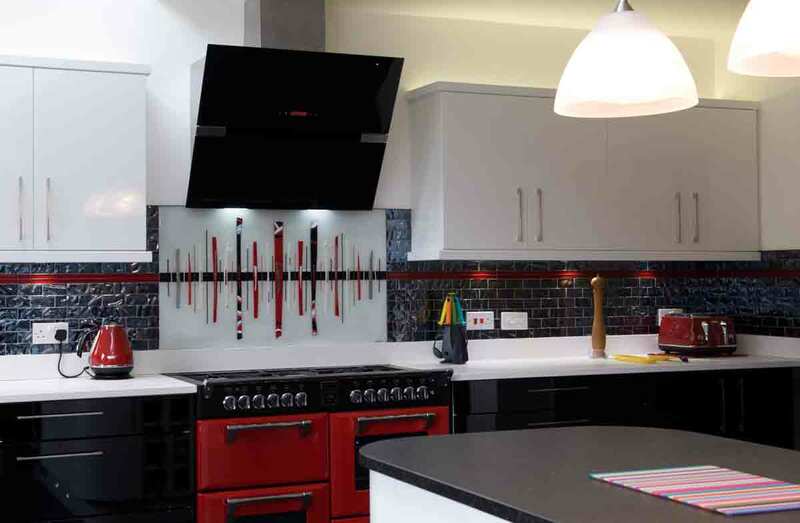 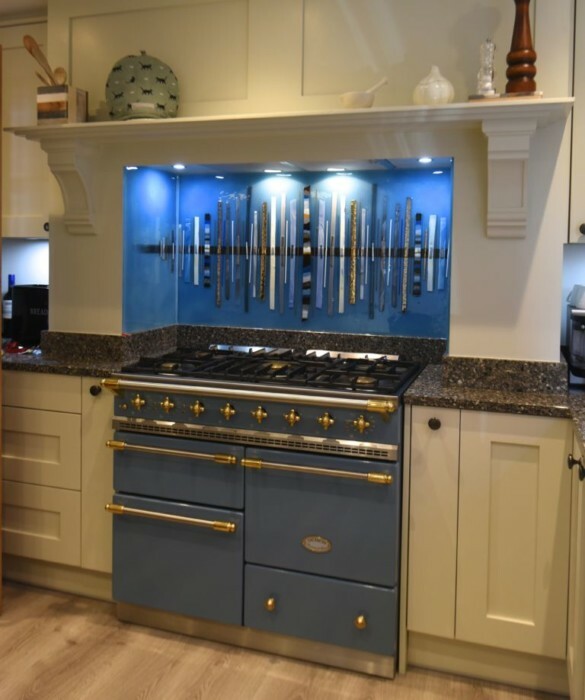 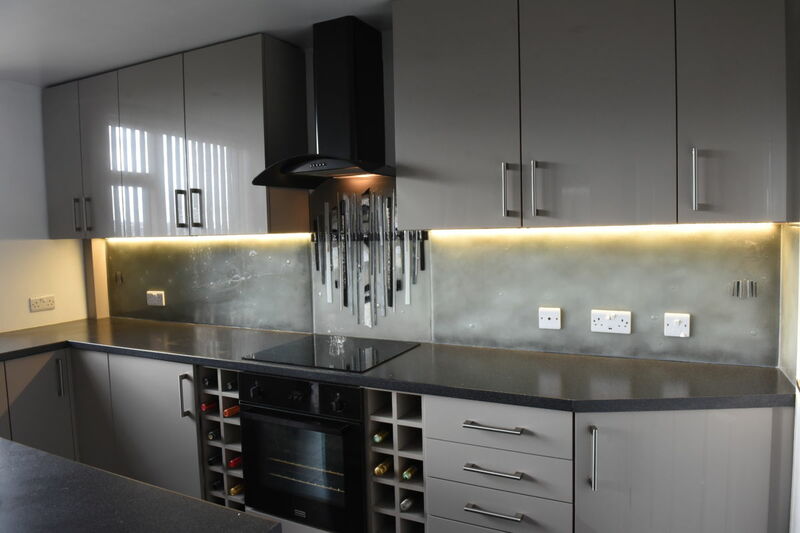 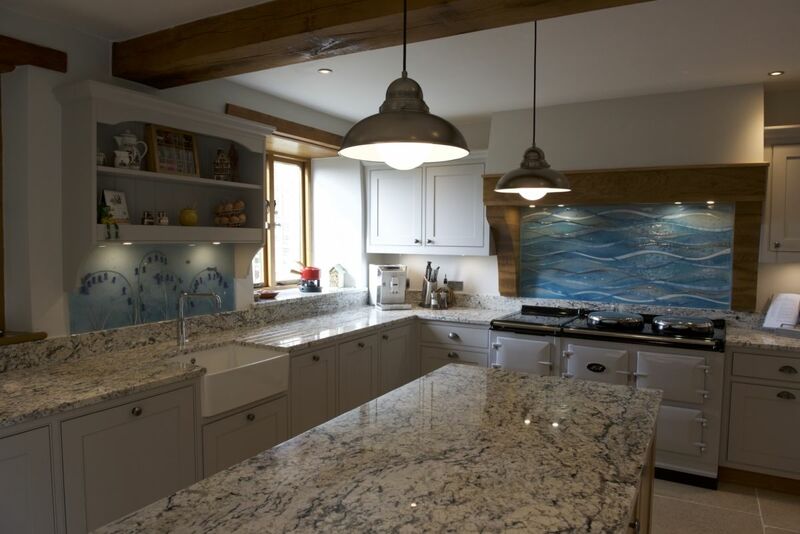 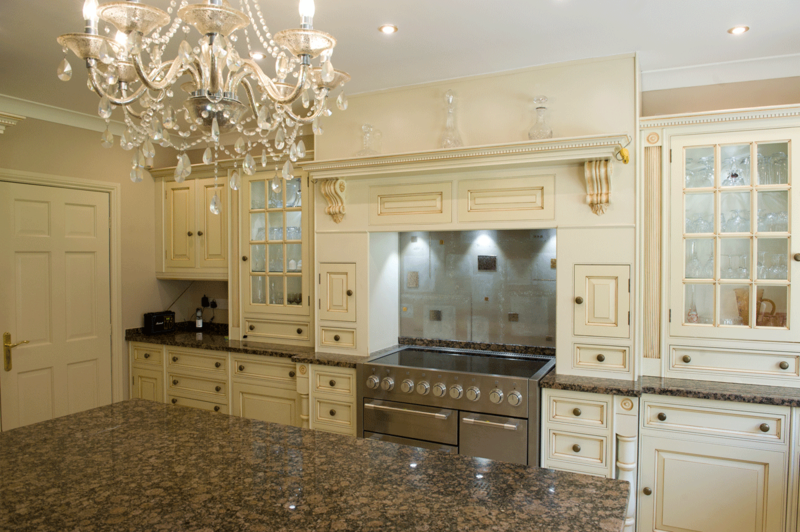 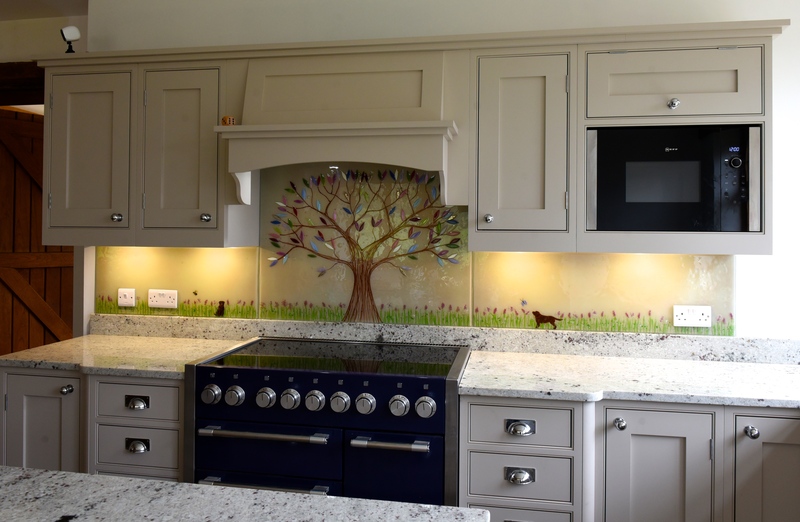 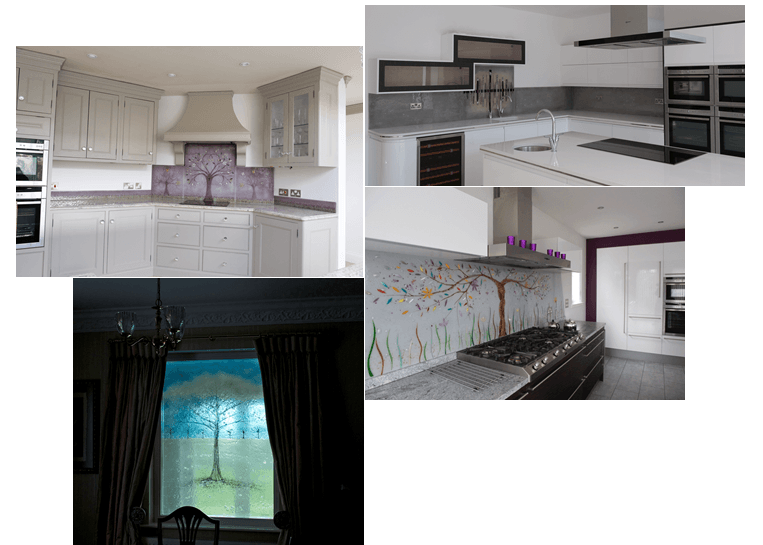 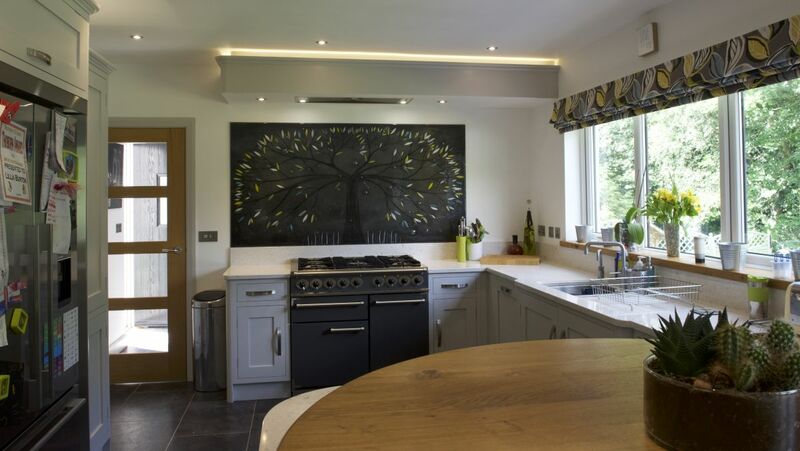 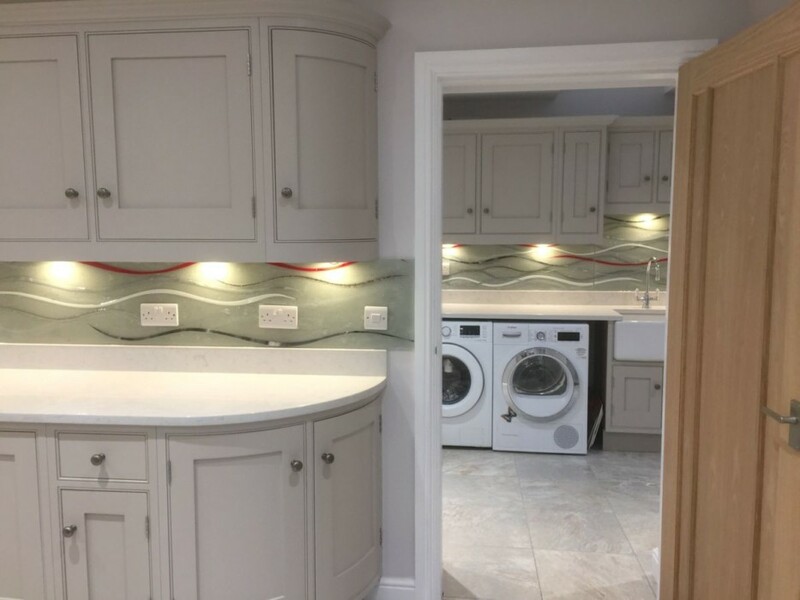 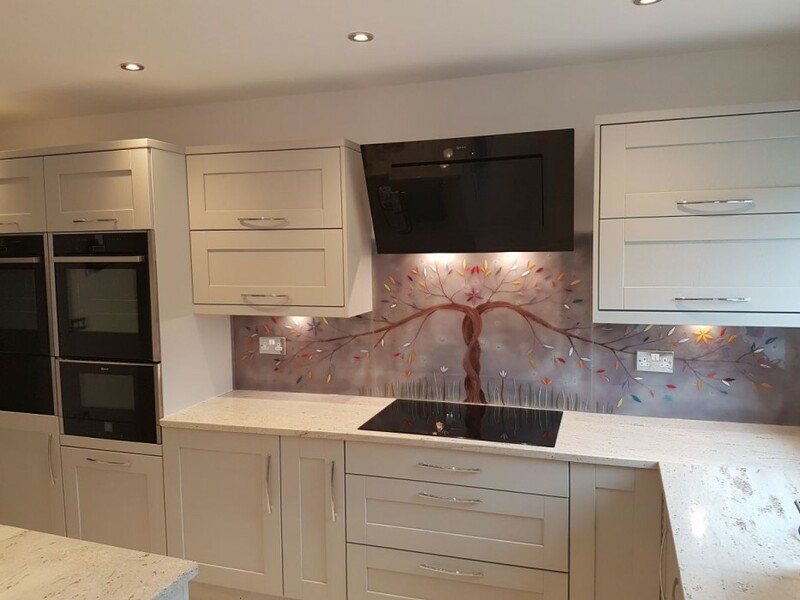 The design on each is like a miniature version of the main feature, which really creates a fantastic theme and helps cast light around the kitchen. 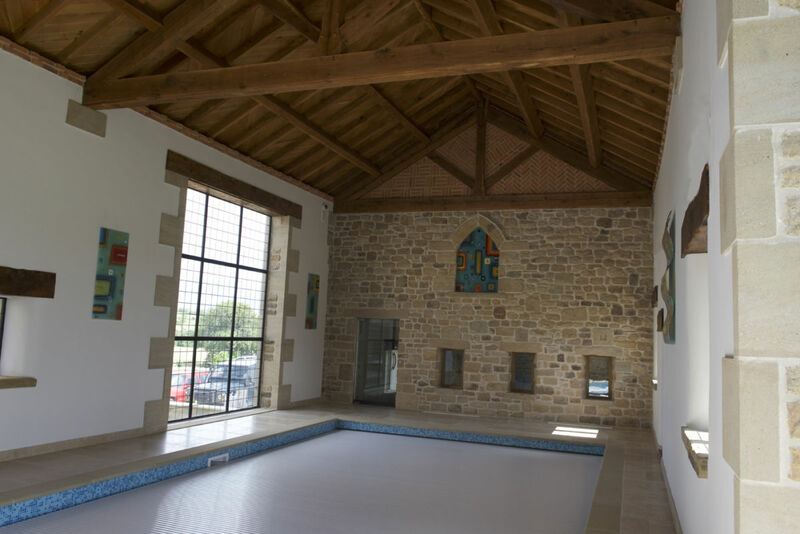 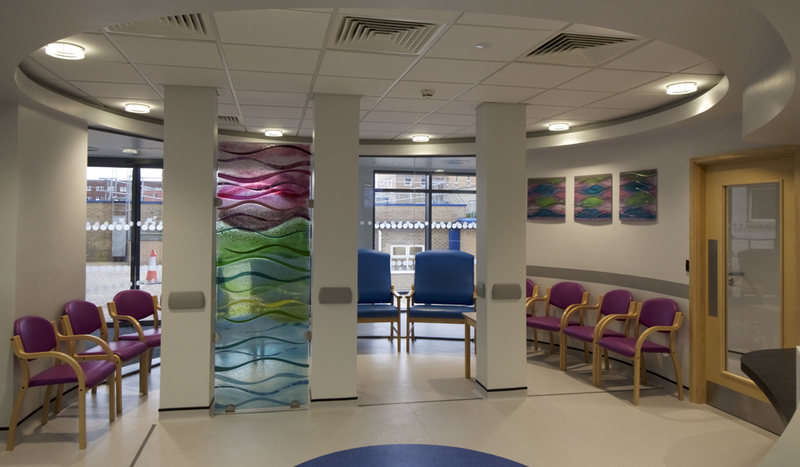 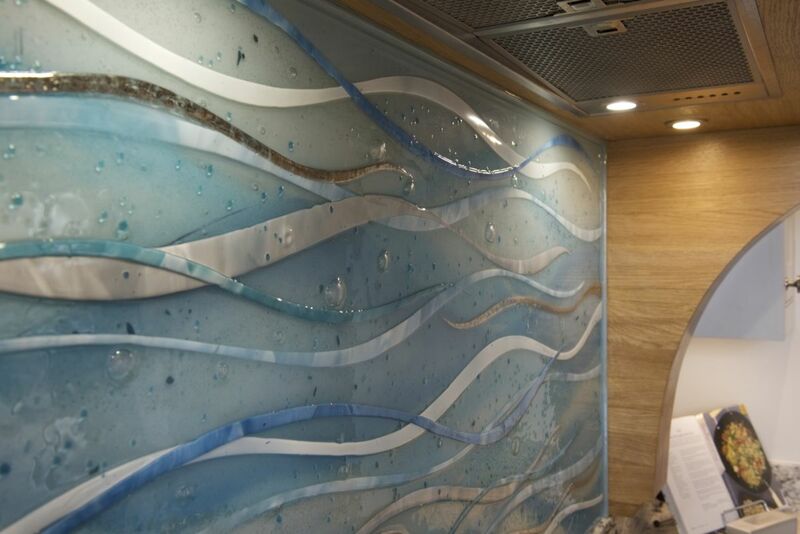 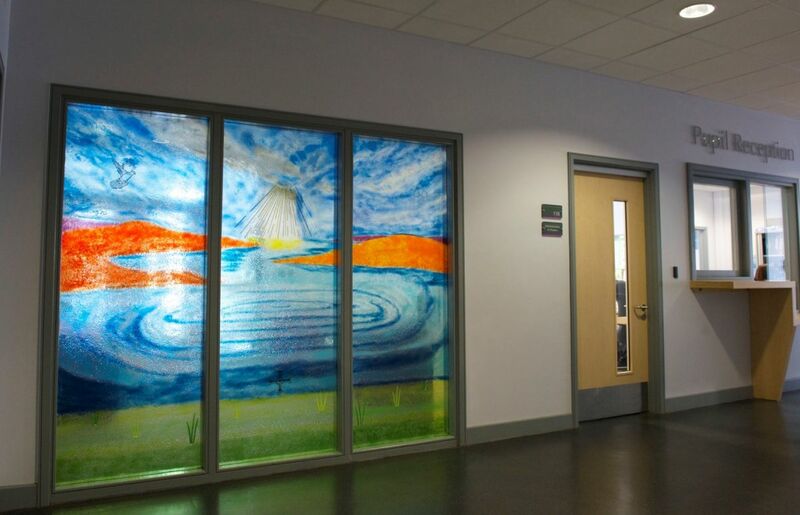 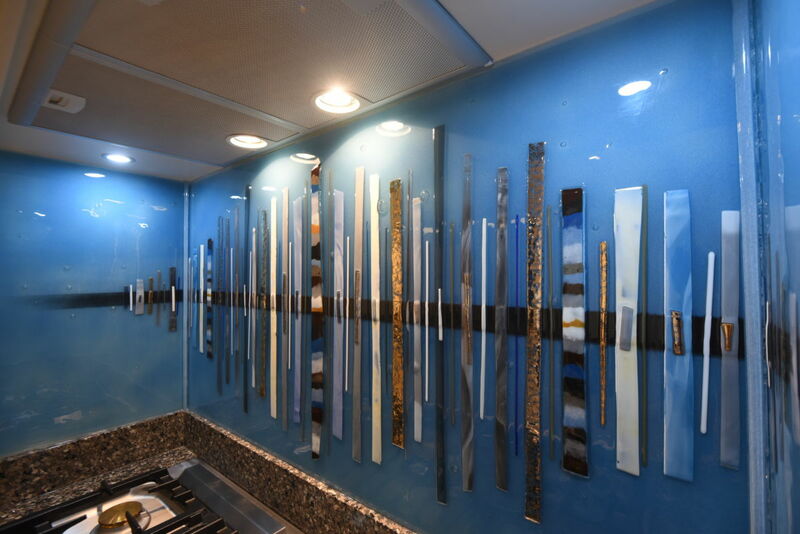 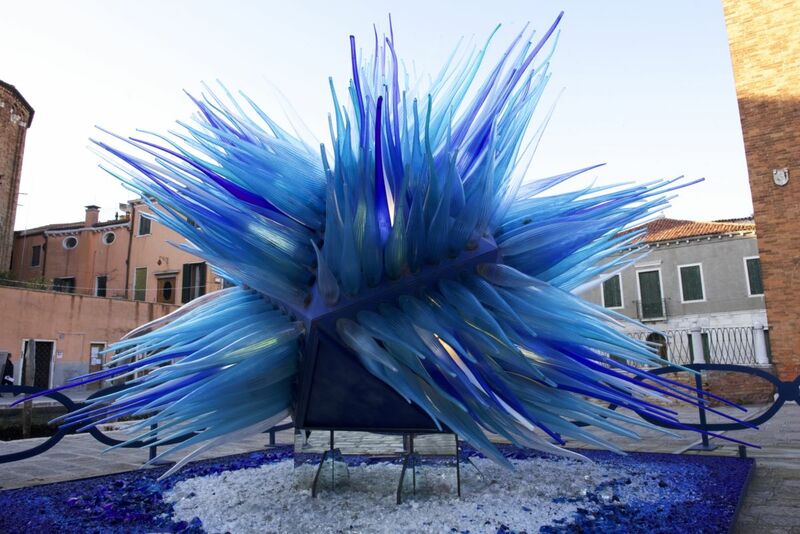 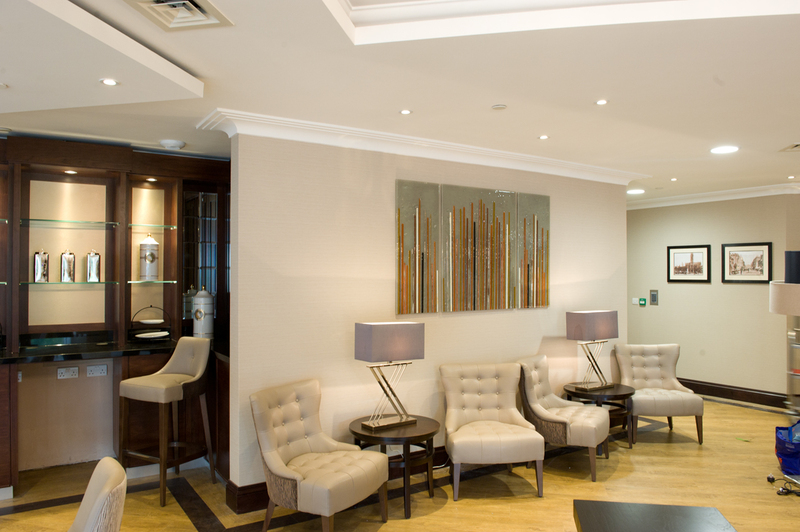 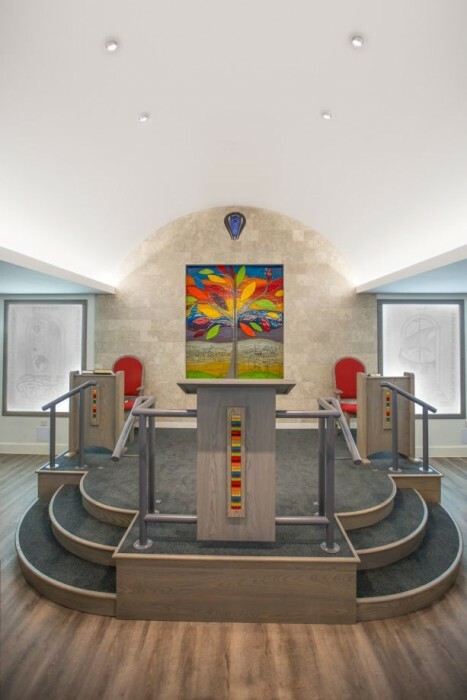 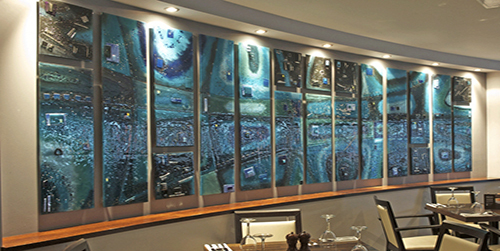 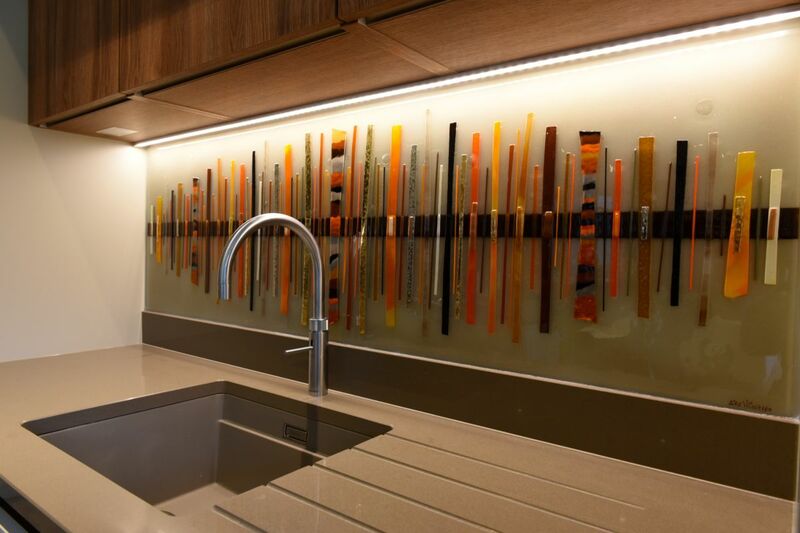 When you stand in the middle of this room, the effect of the fused glass art is never out of sight. 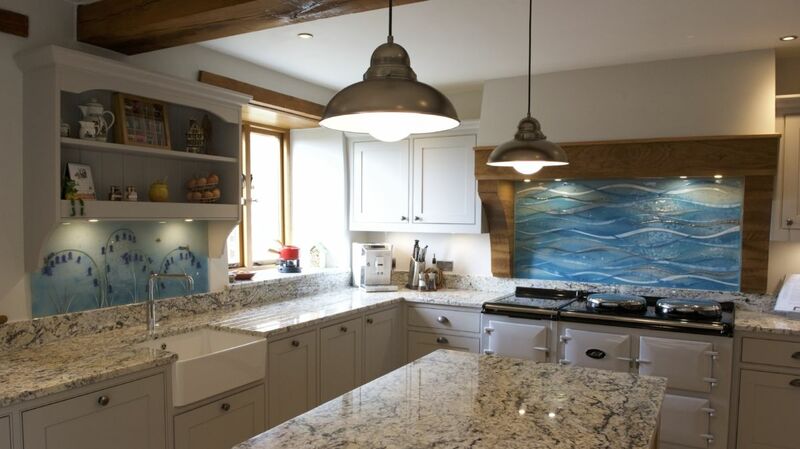 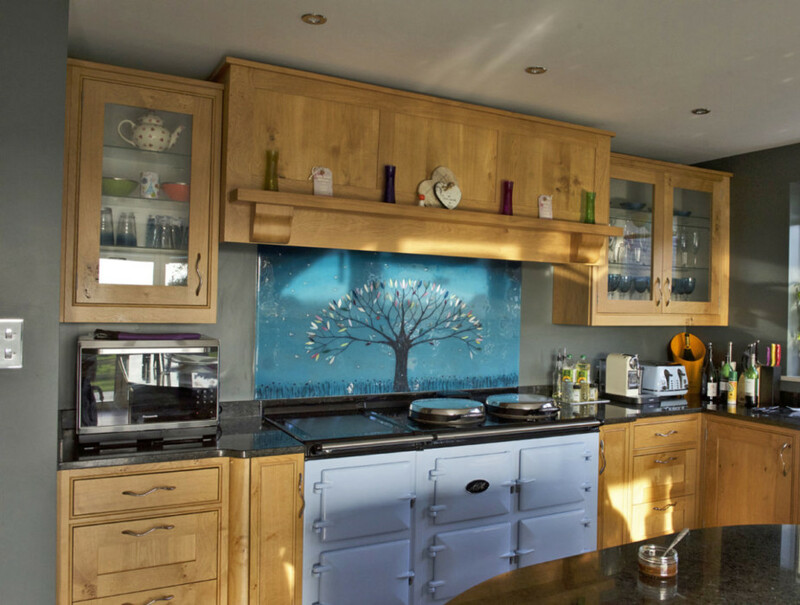 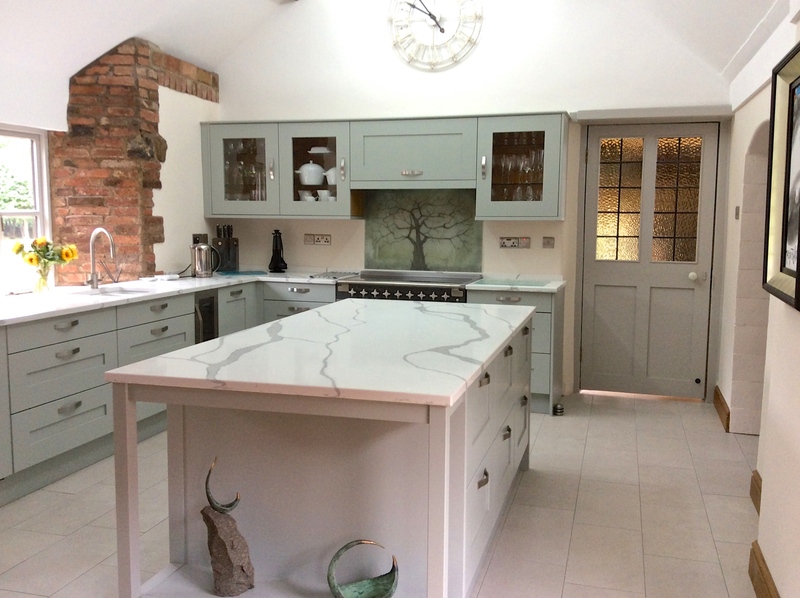 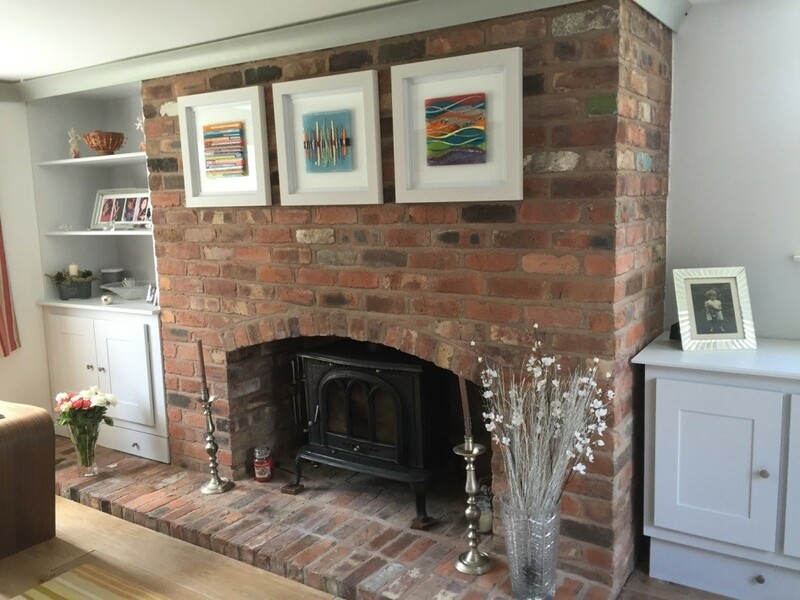 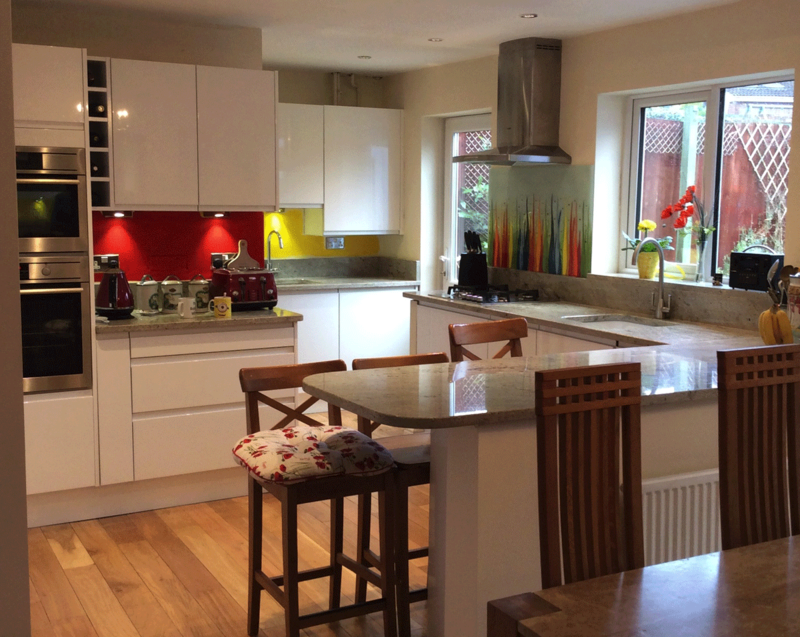 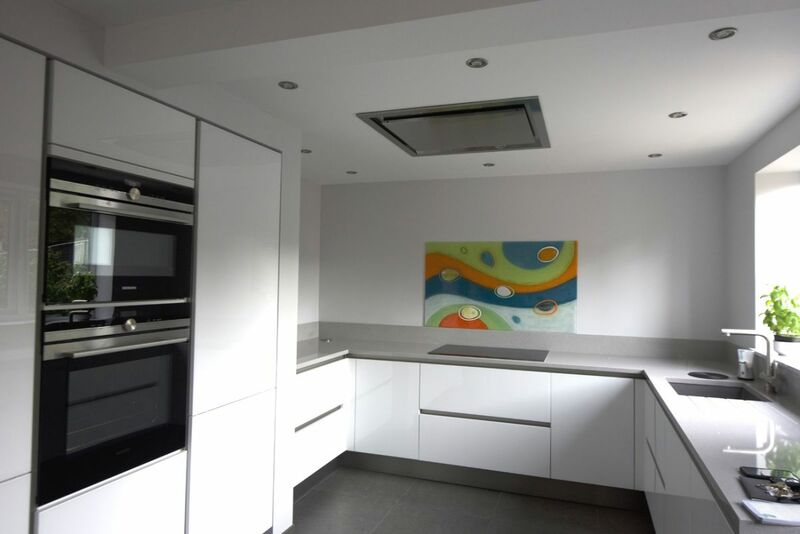 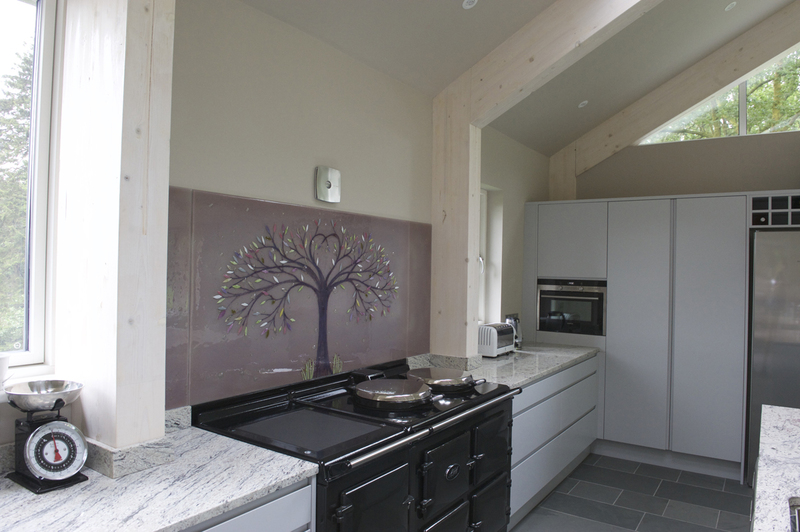 We love how this kitchen turned out, as it perfectly shows why even two small additions can make all the difference. 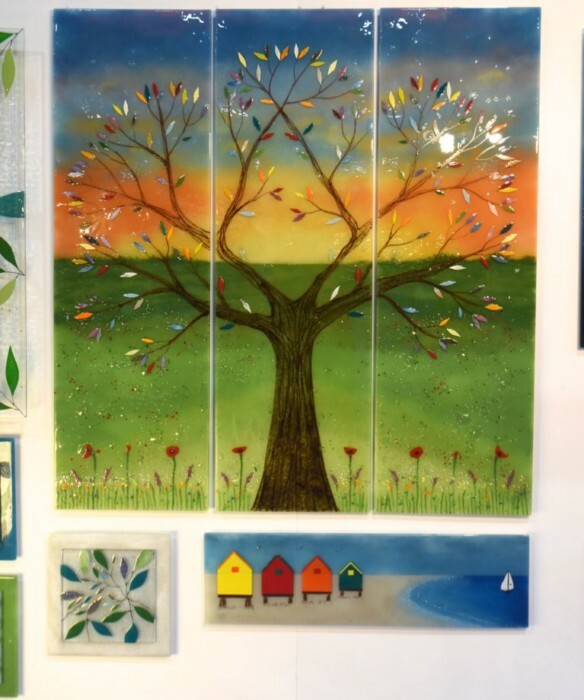 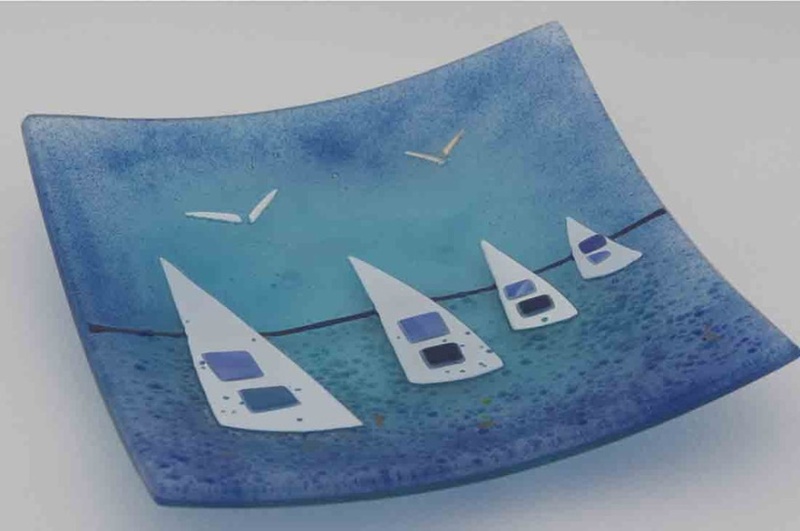 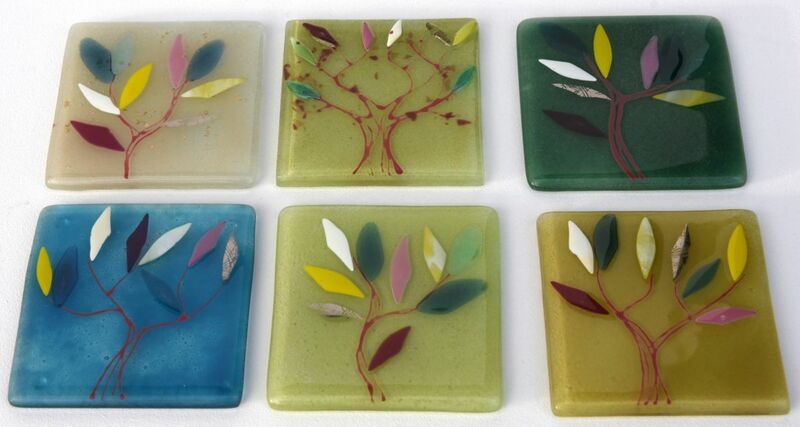 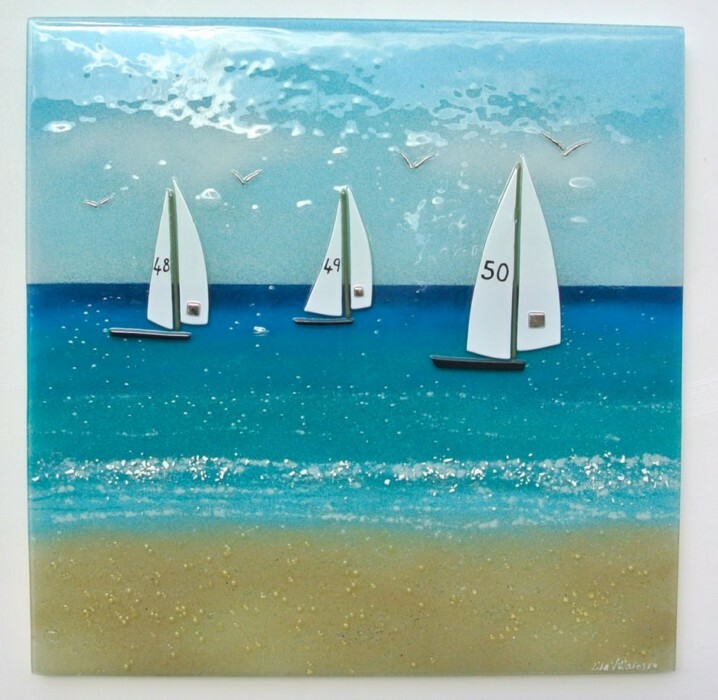 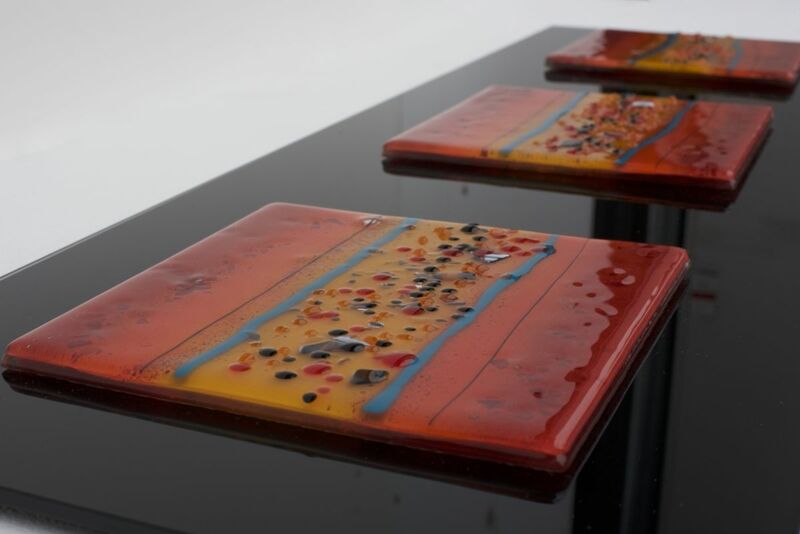 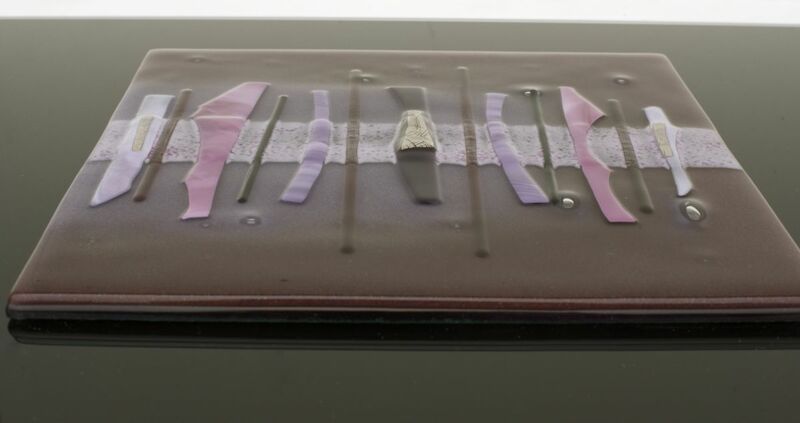 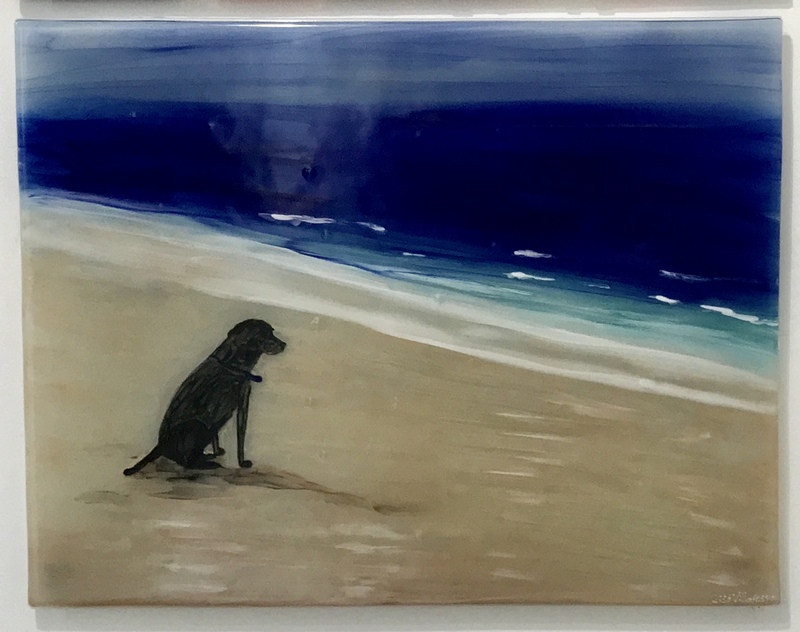 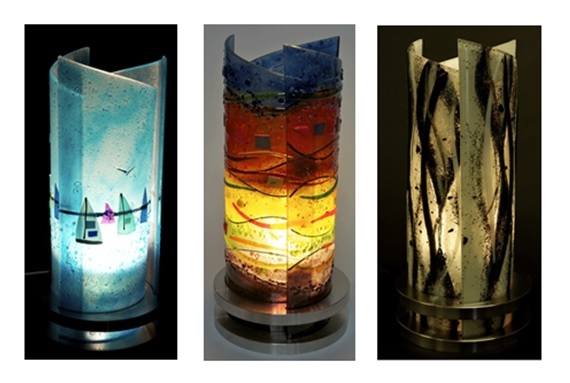 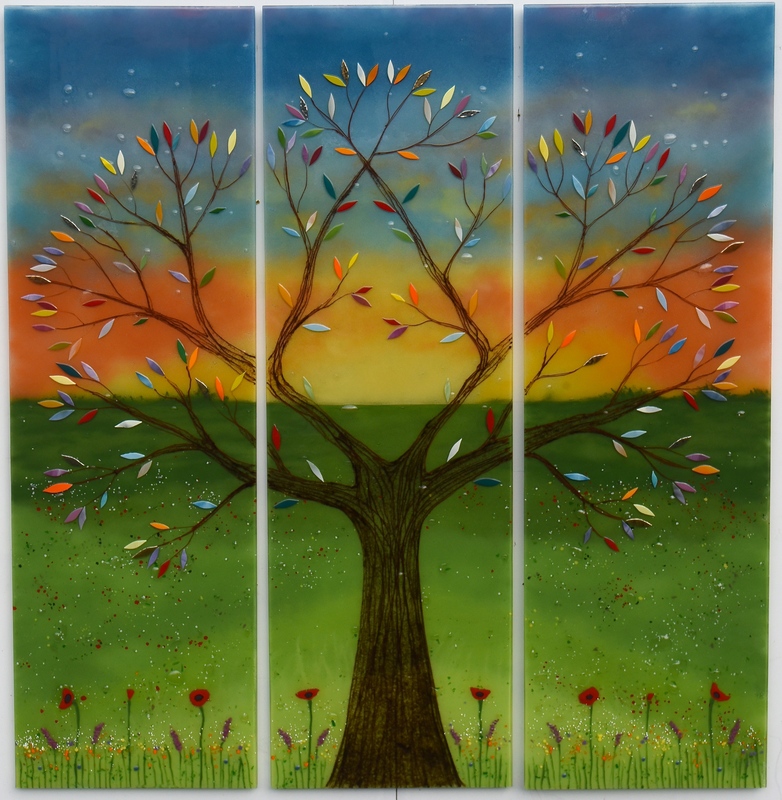 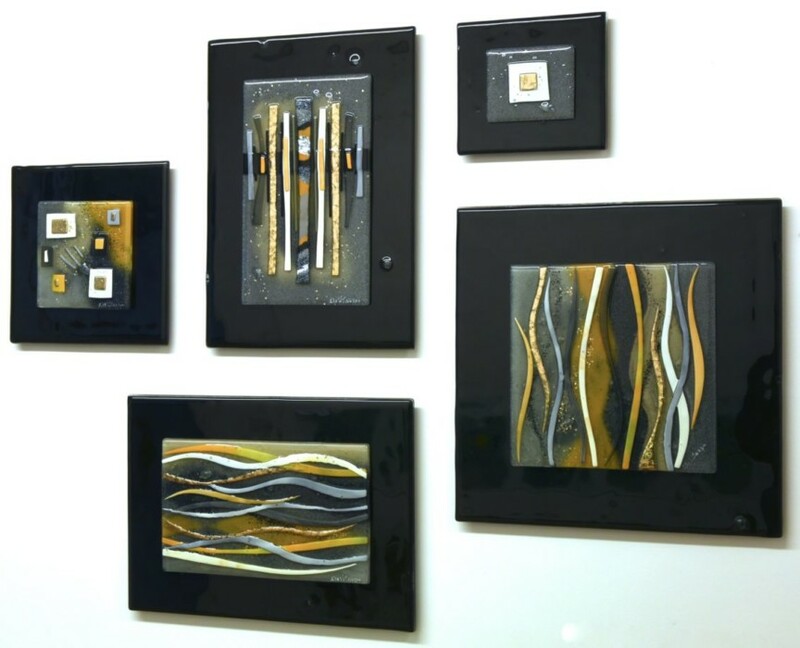 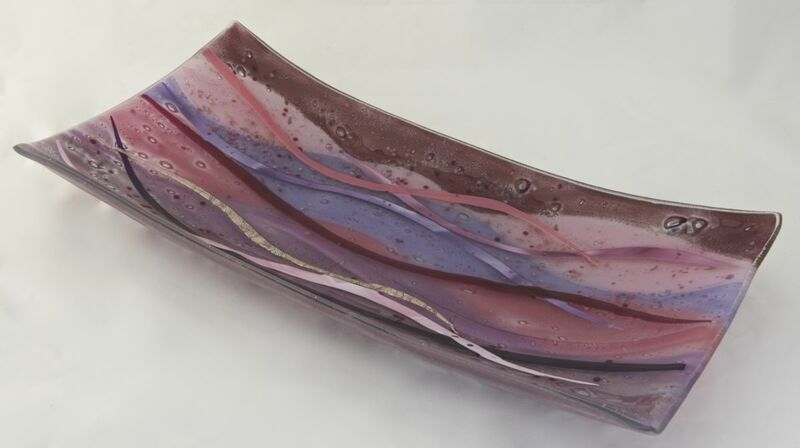 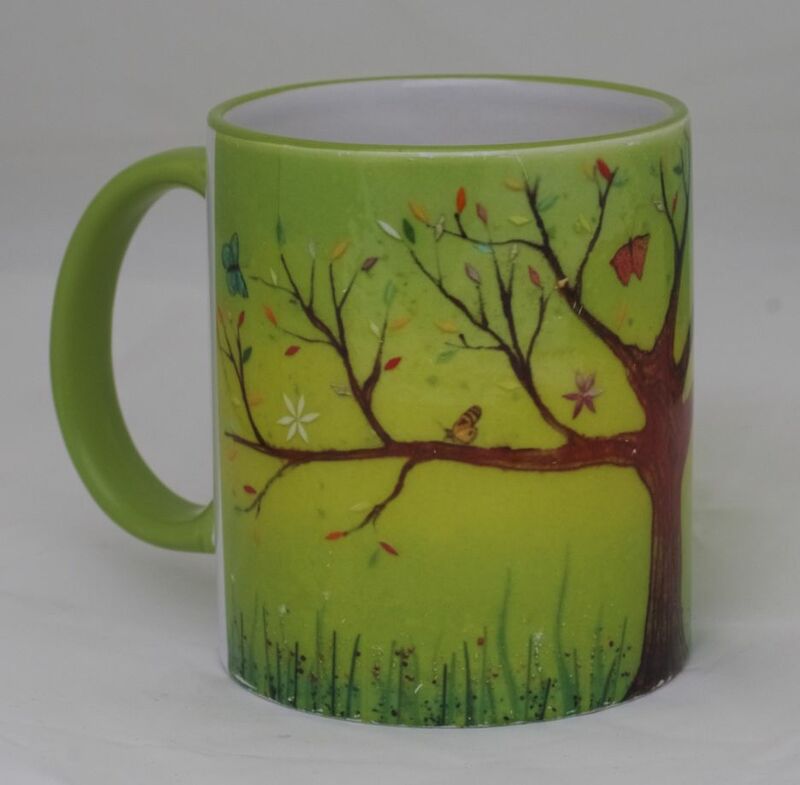 If you have your very own ideas for fused glass art that would work perfectly as multiple matching pieces, let us know all about them! 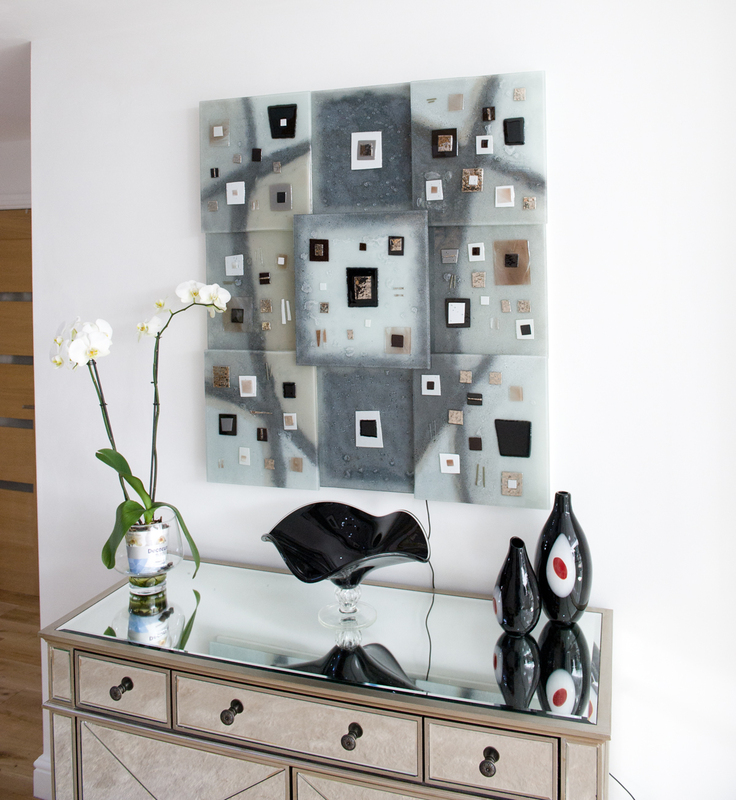 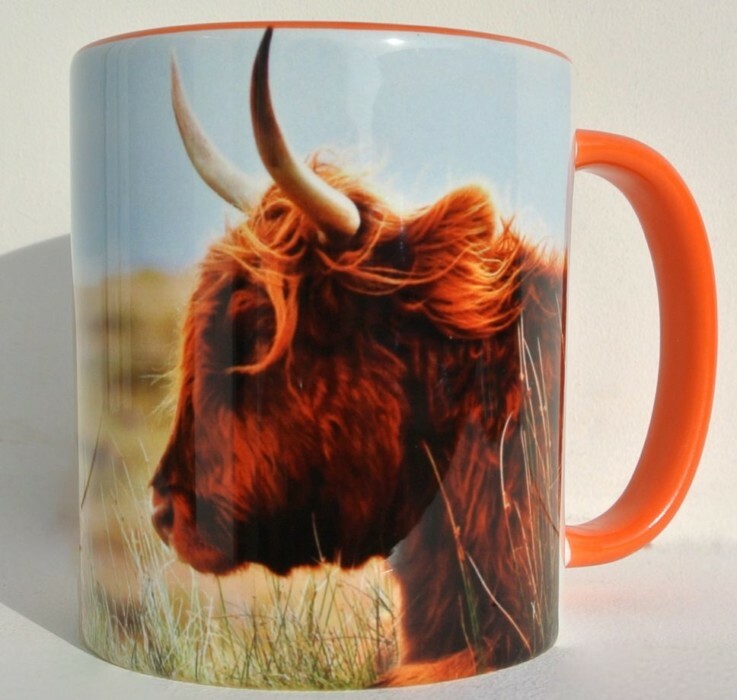 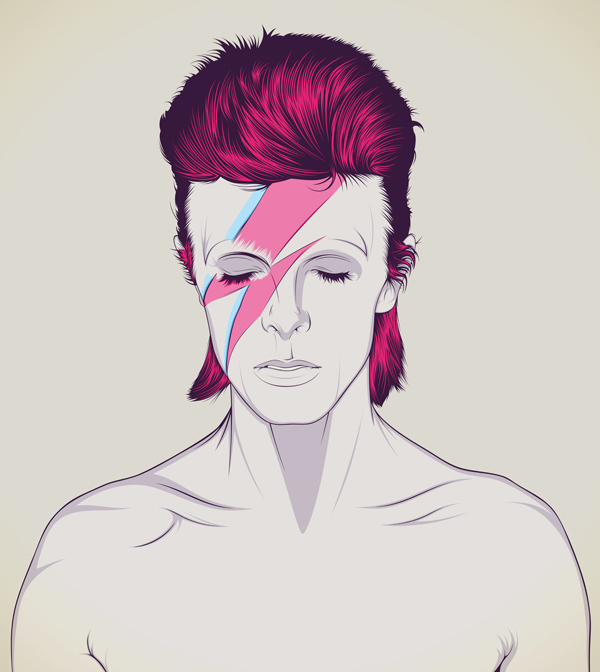 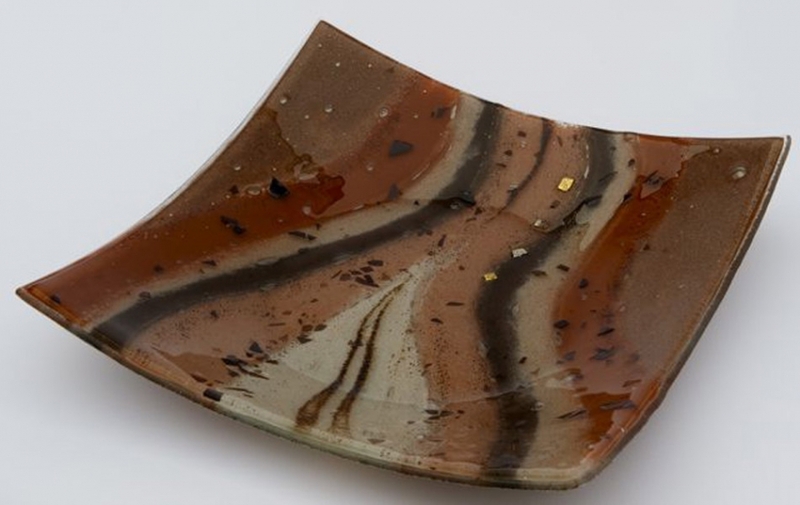 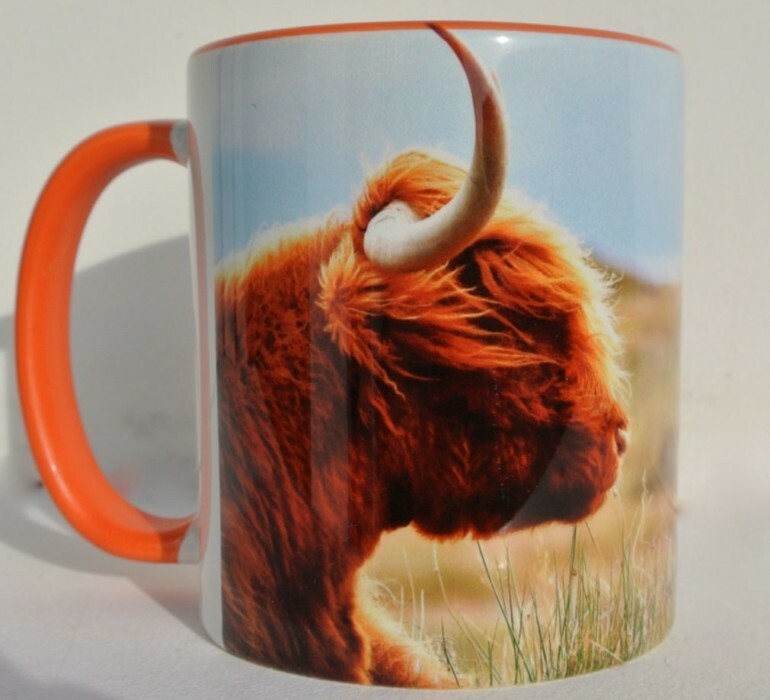 If this particular work inspires your own ideas for the perfect piece (or pieces!) 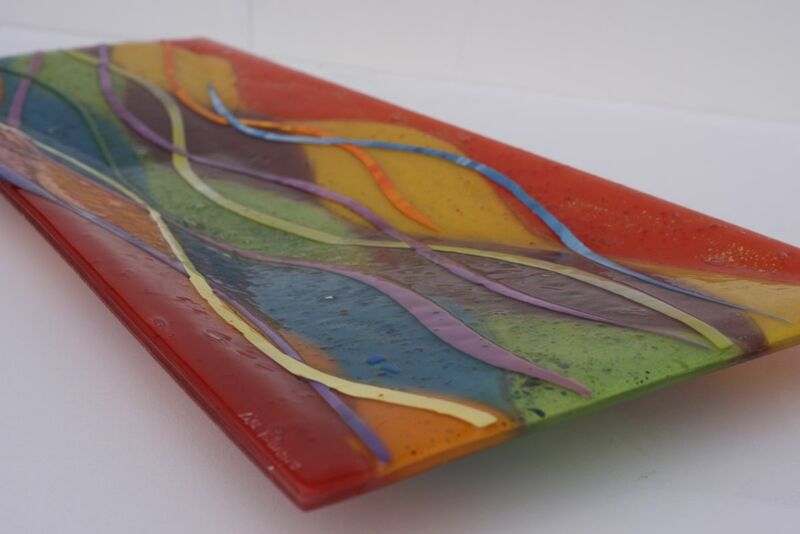 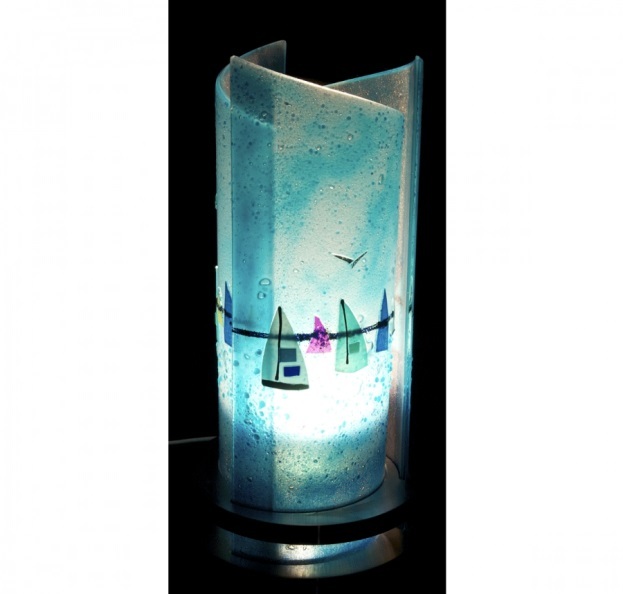 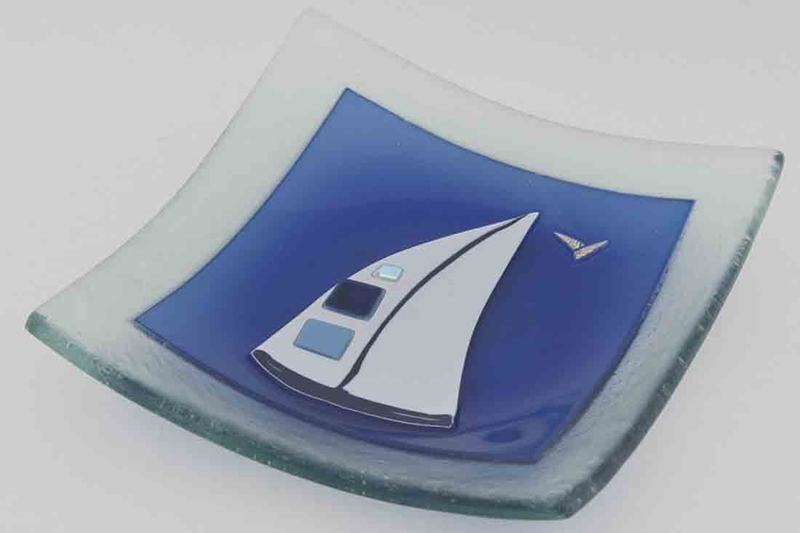 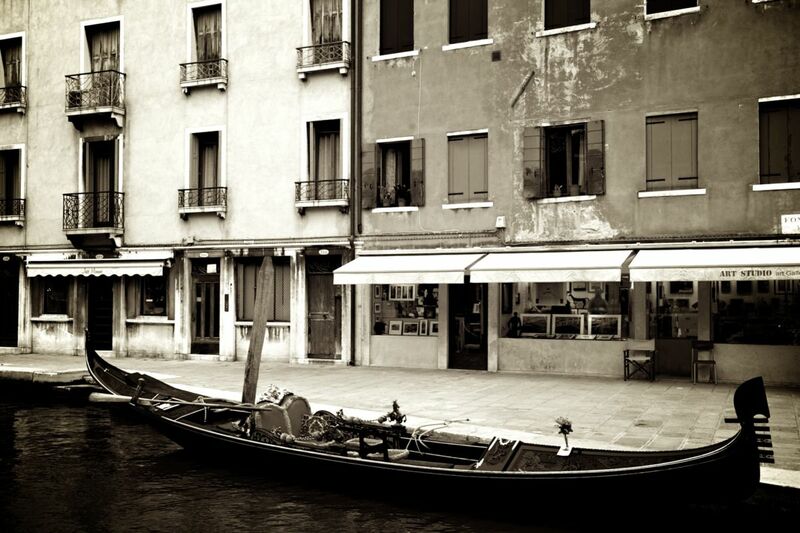 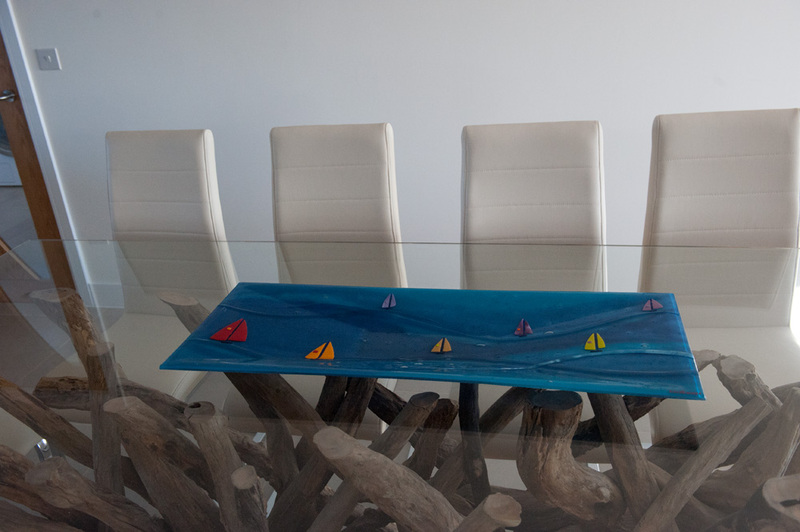 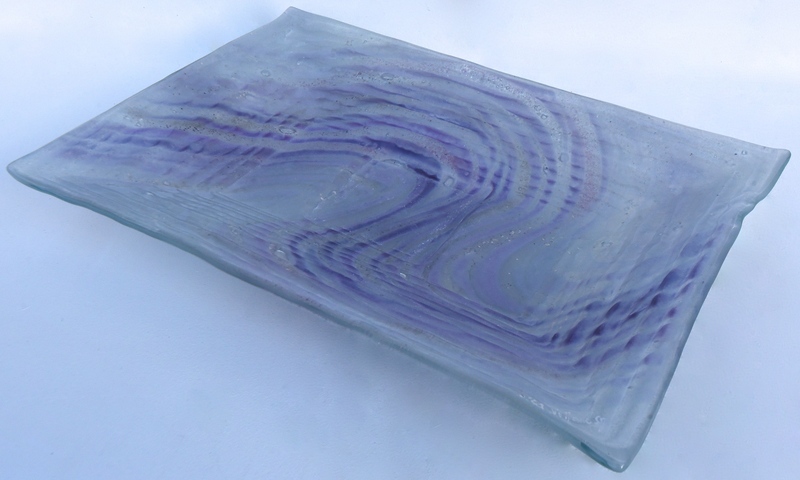 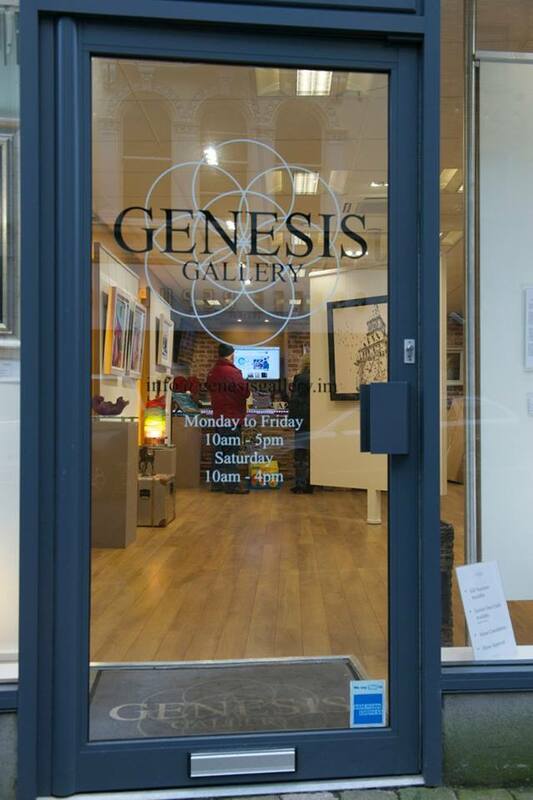 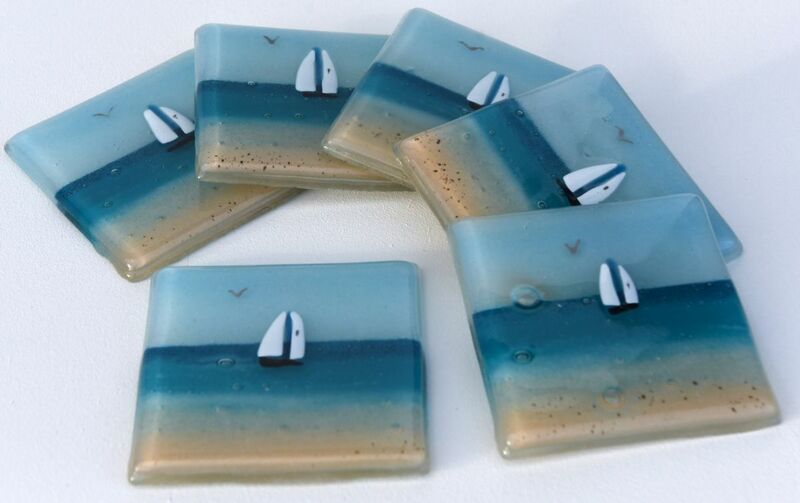 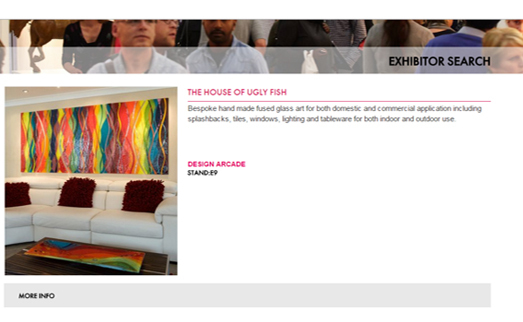 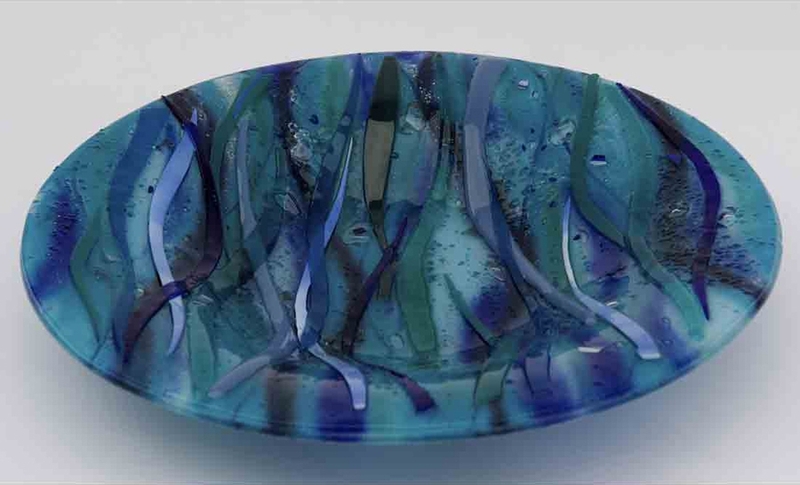 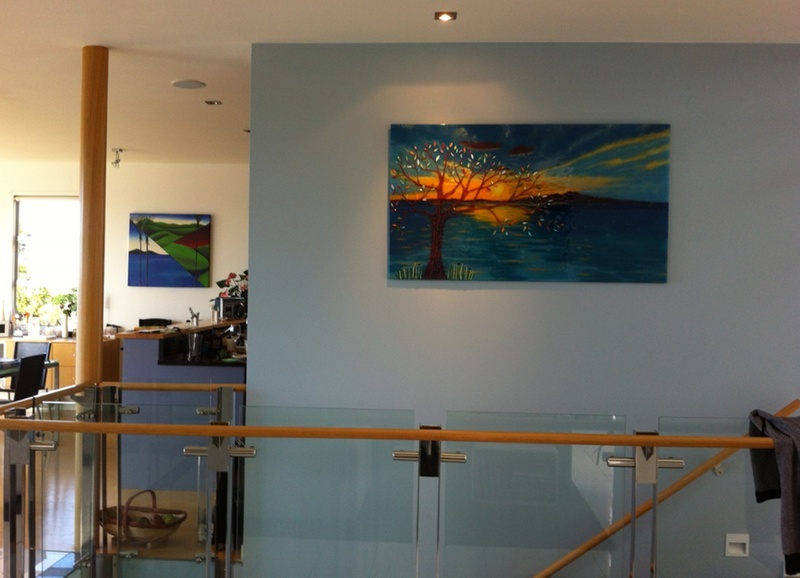 of fused glass art, then come and have a chat with the very friendly team here at The House of Ugly Fish. 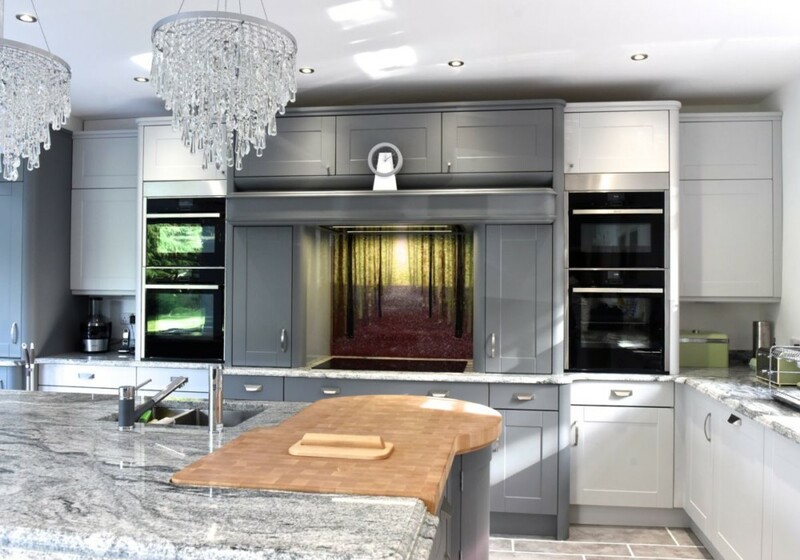 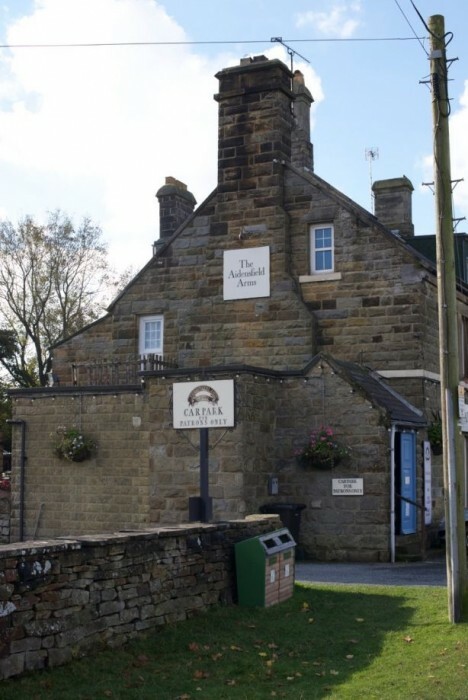 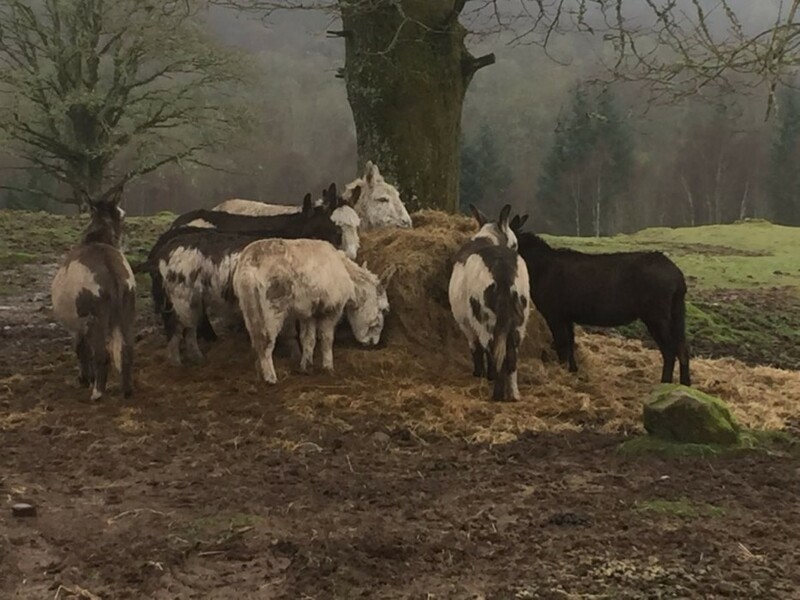 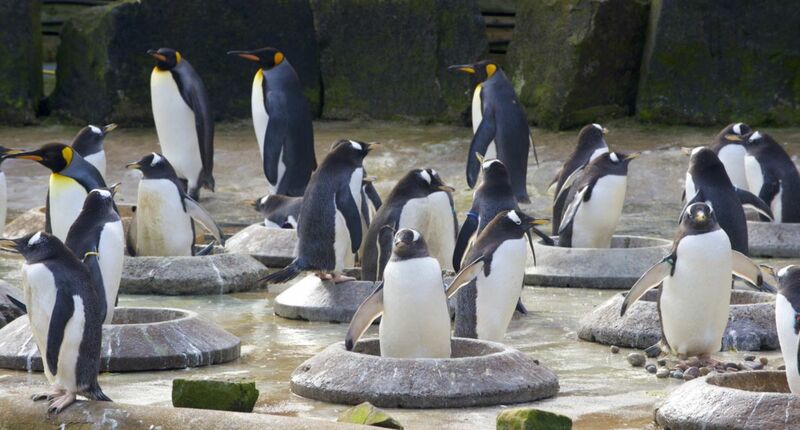 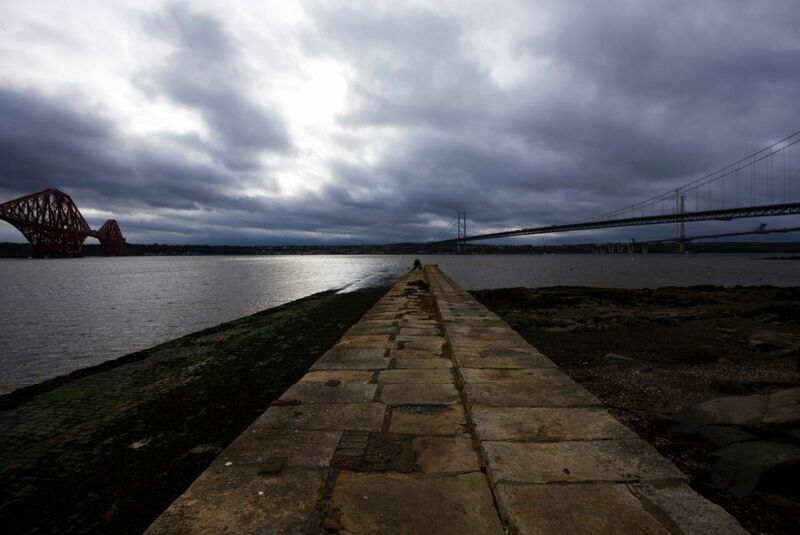 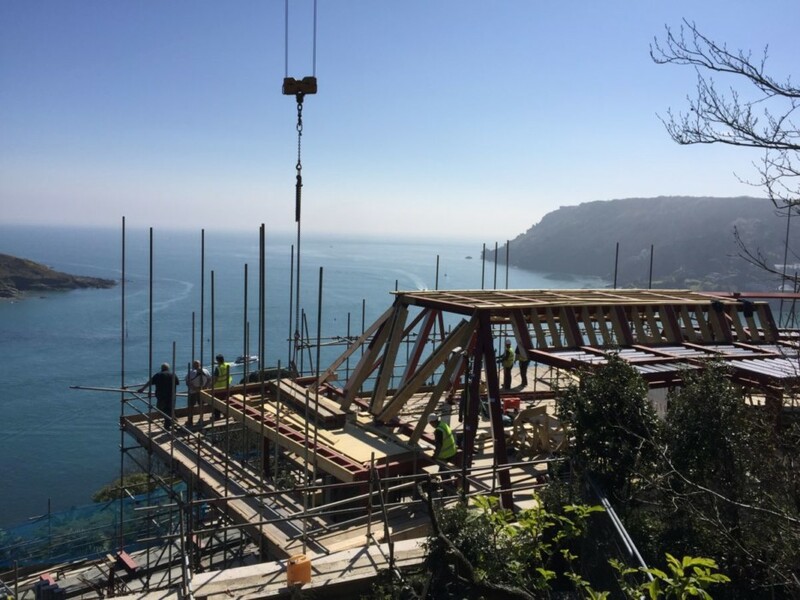 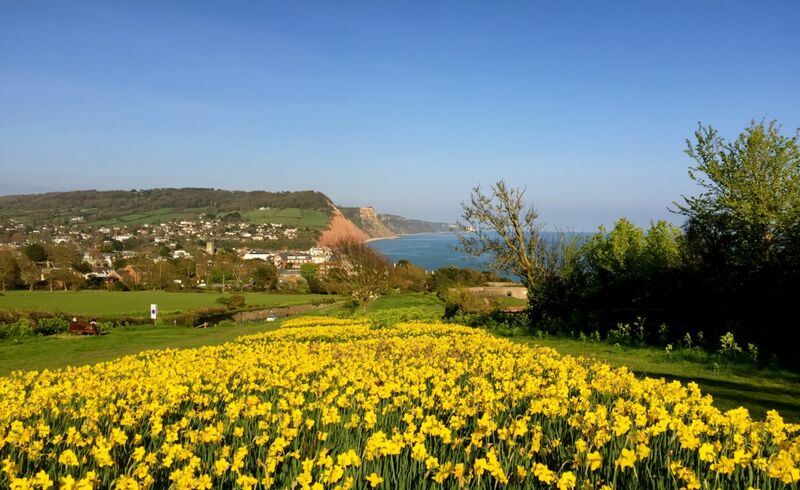 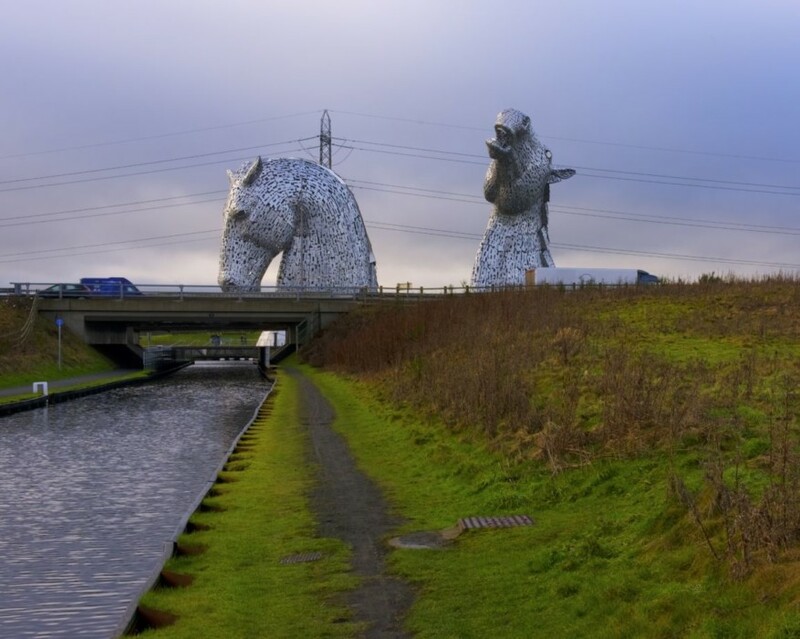 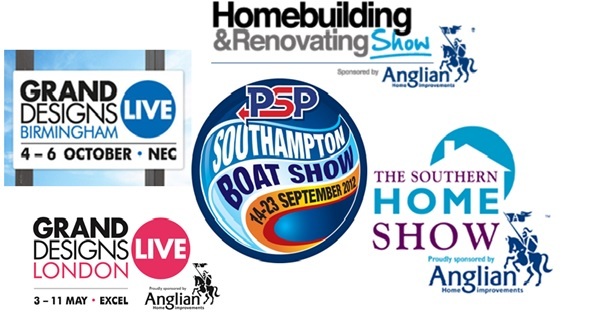 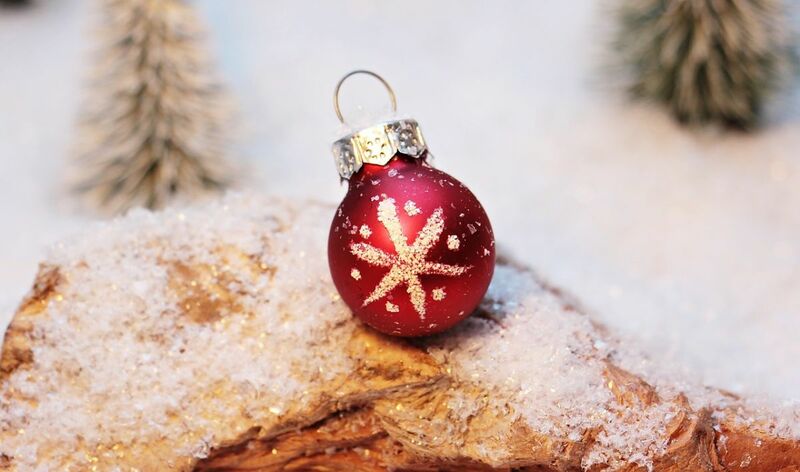 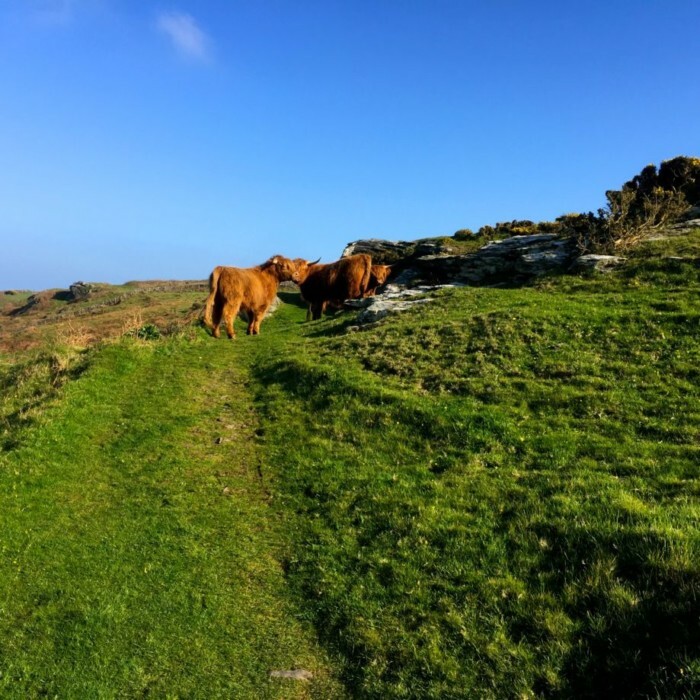 You can find our full contact details right here on our website, so make sure you don’t wait to get in touch as soon as you’re able to. 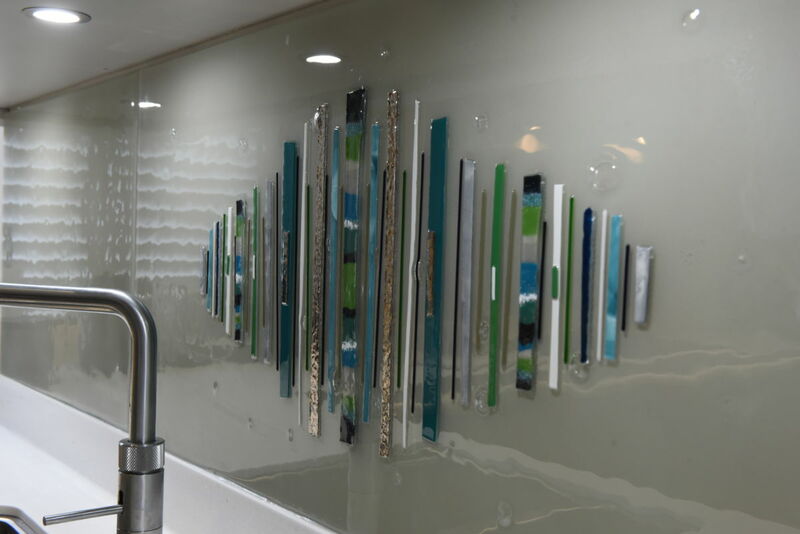 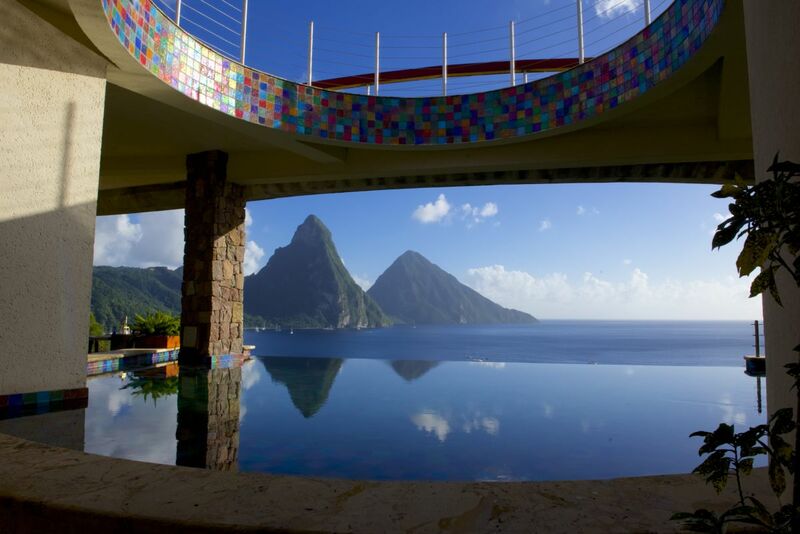 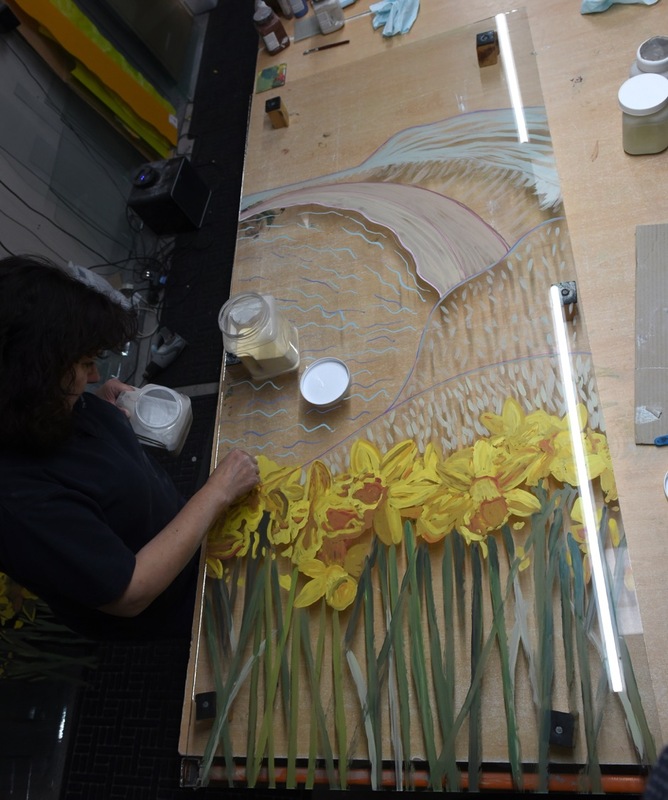 We’re always looking forward to hearing from you, and having the chance to bring your ideal glass to life.